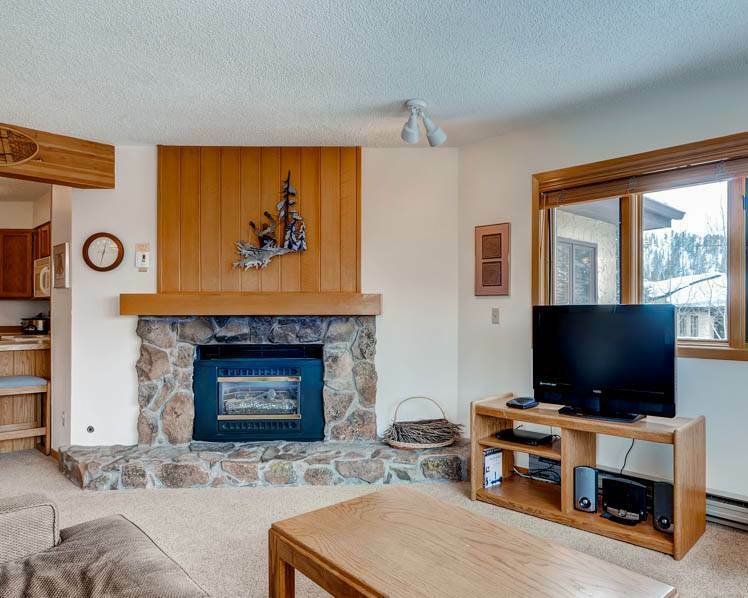 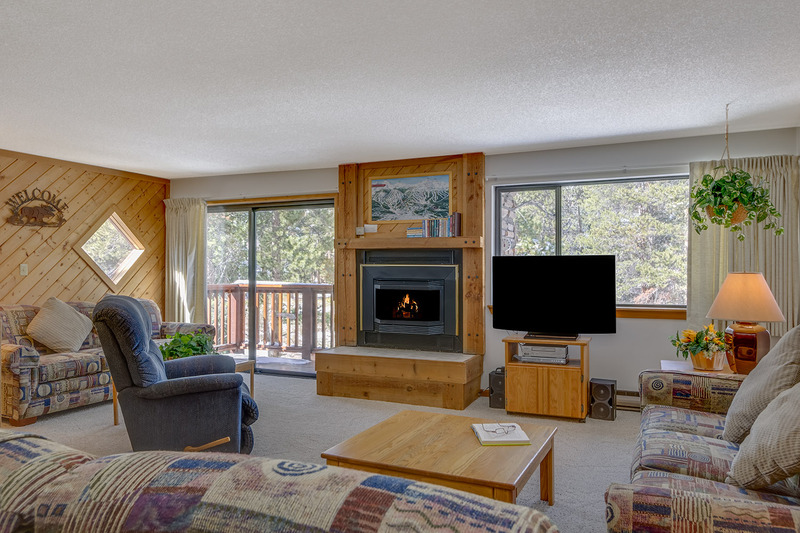 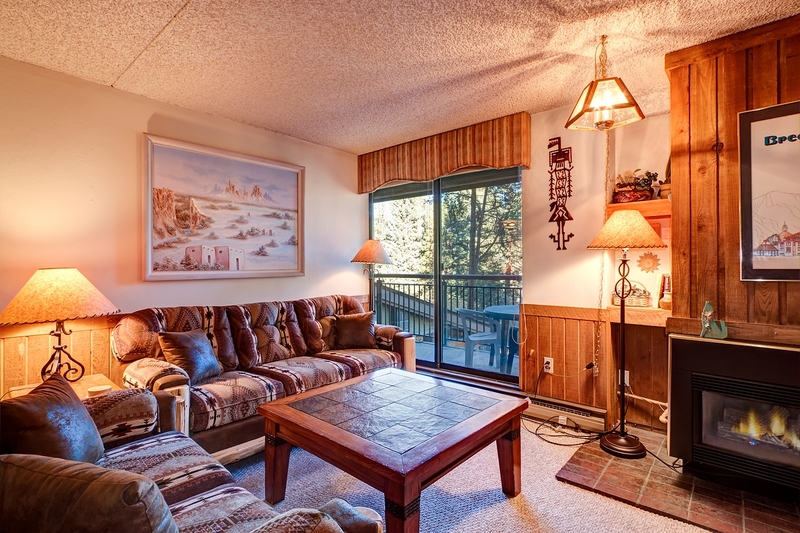 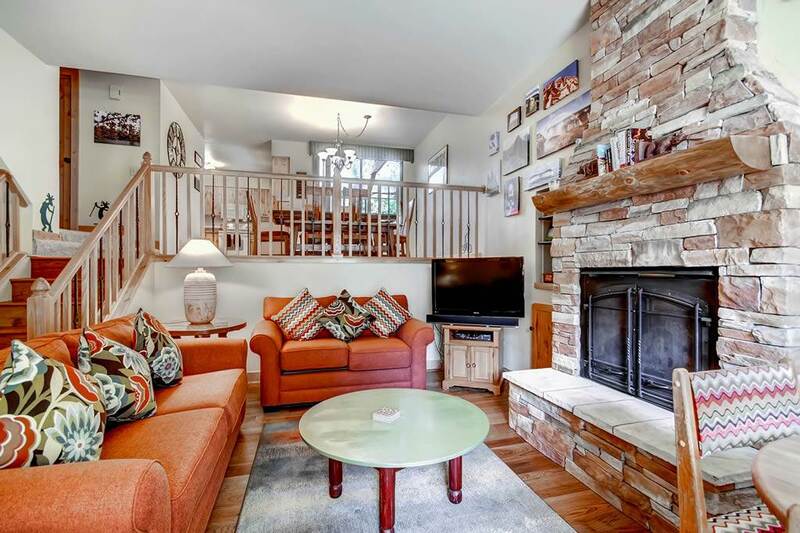 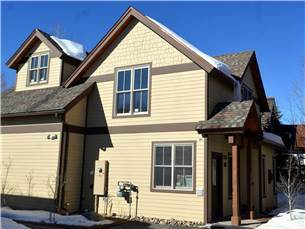 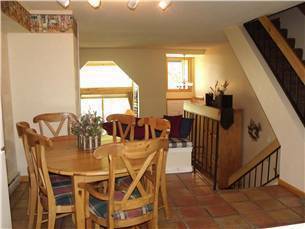 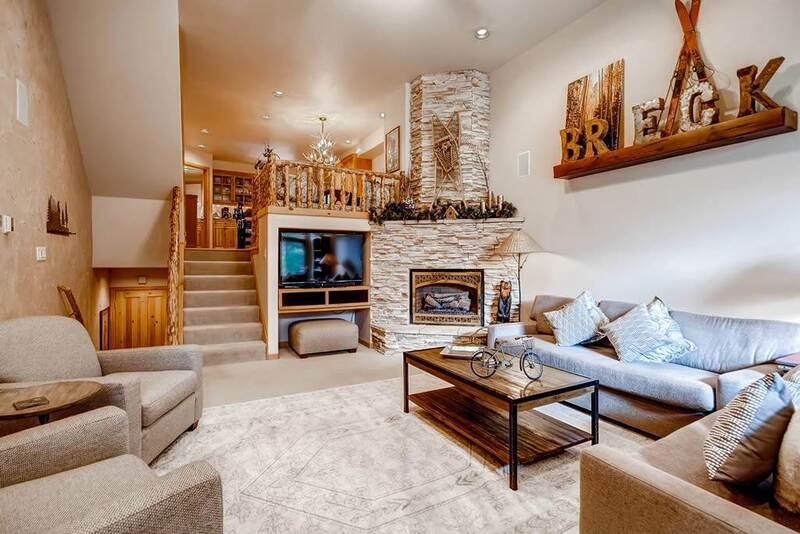 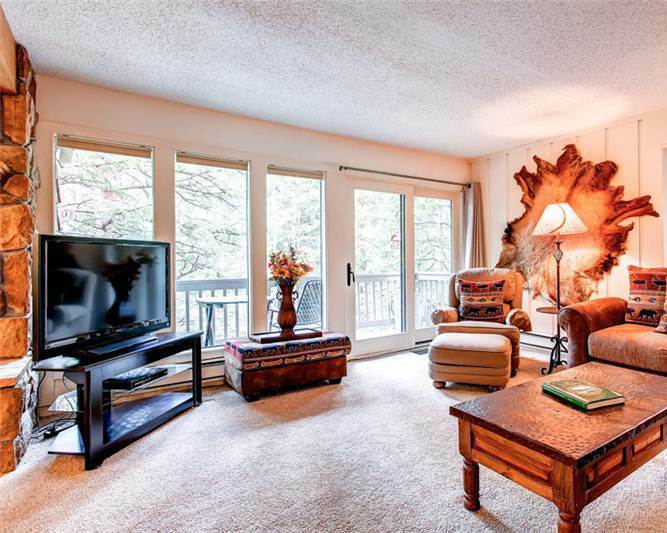 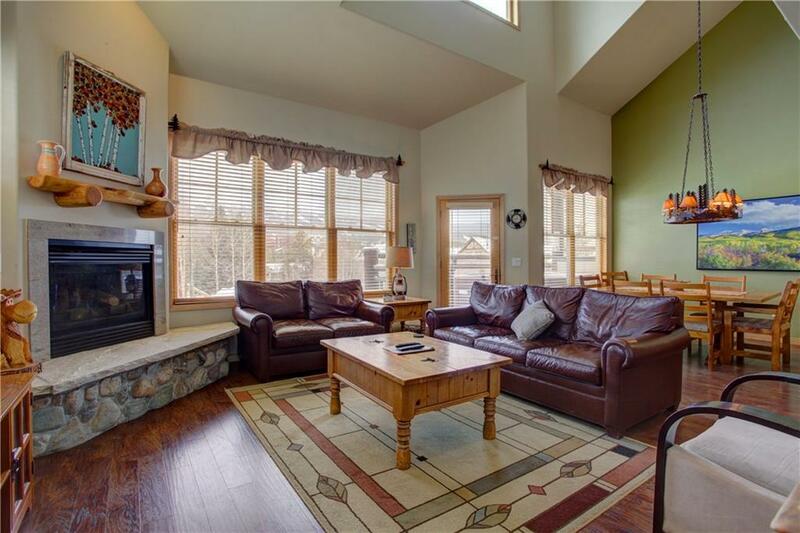 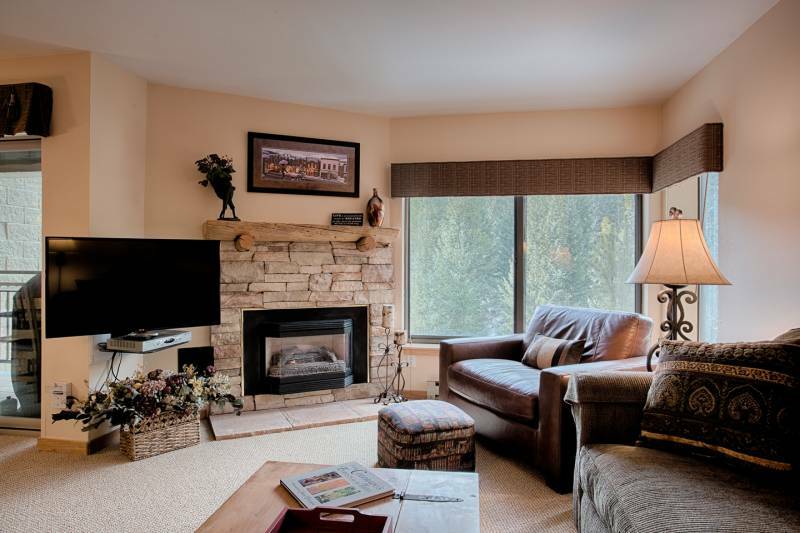 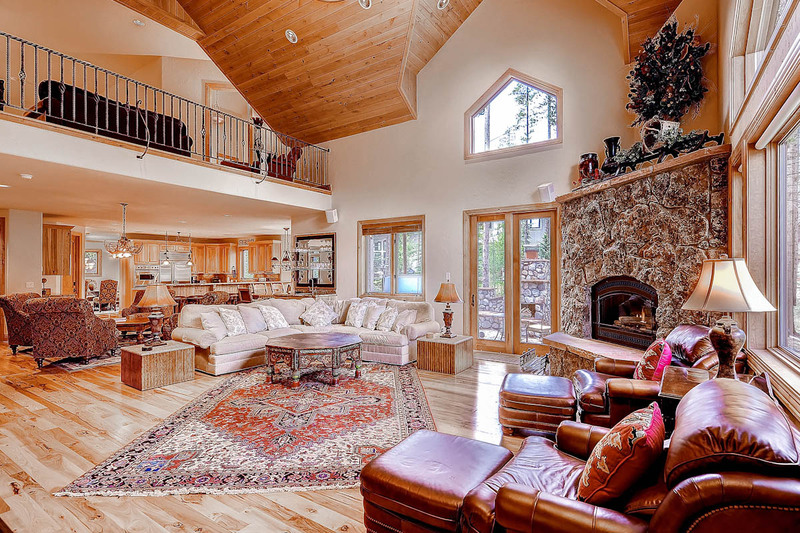 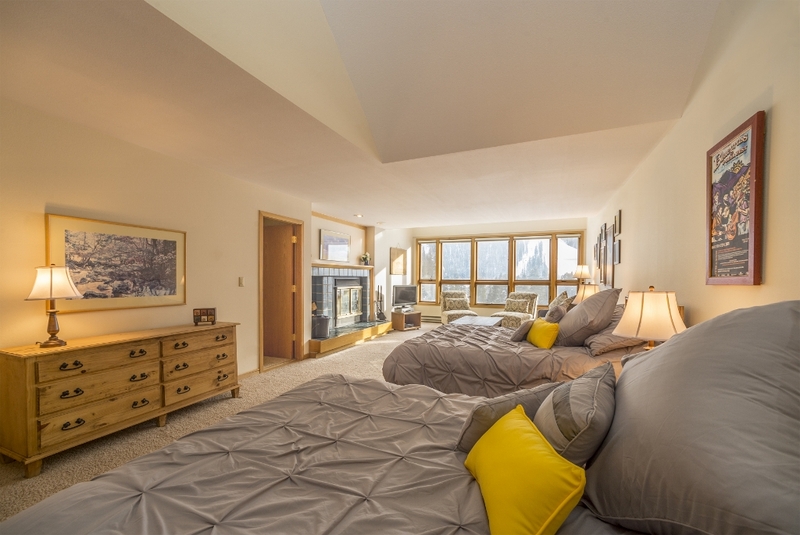 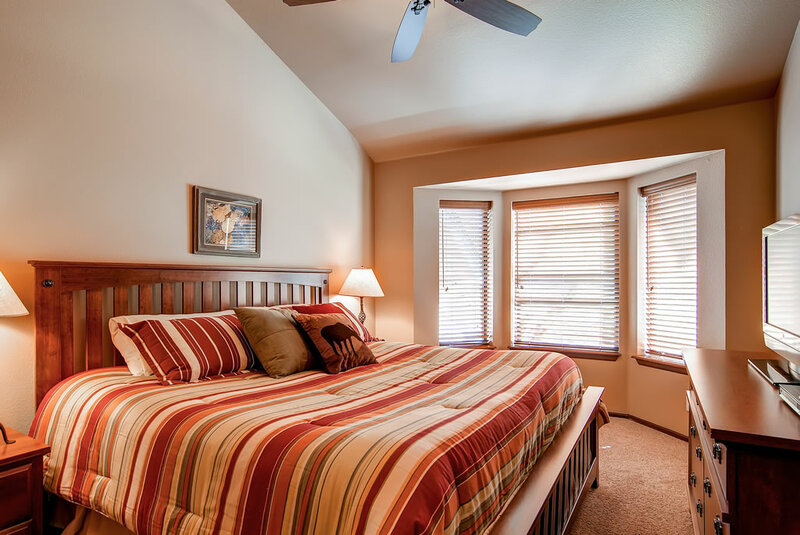 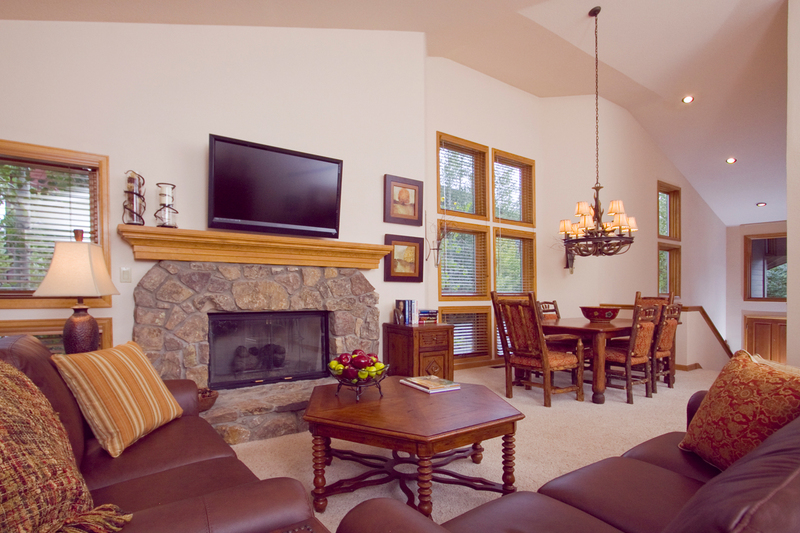 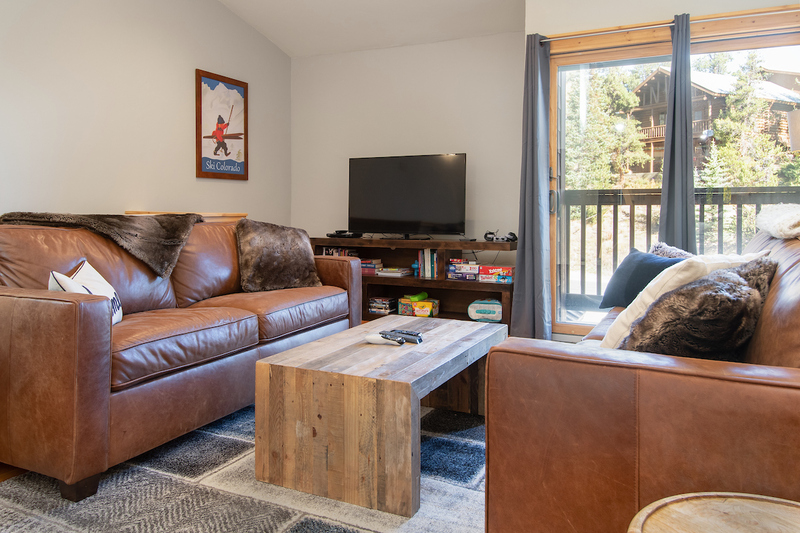 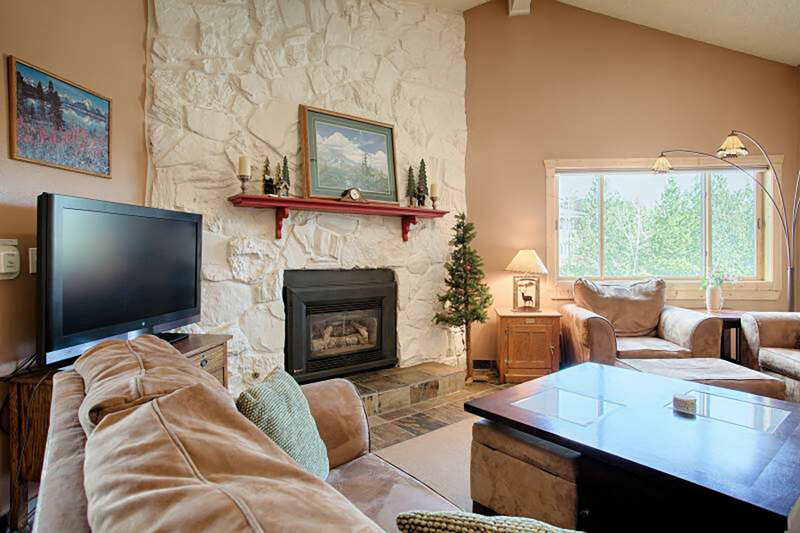 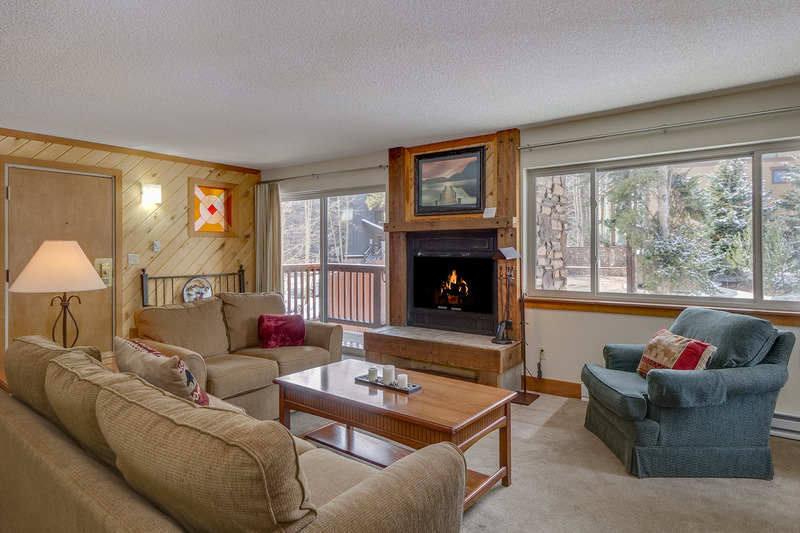 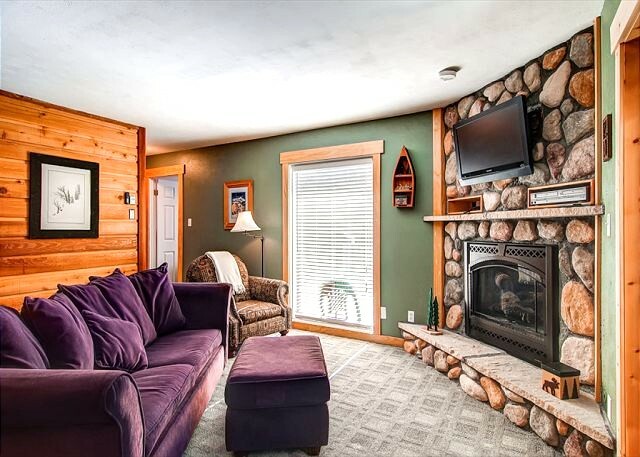 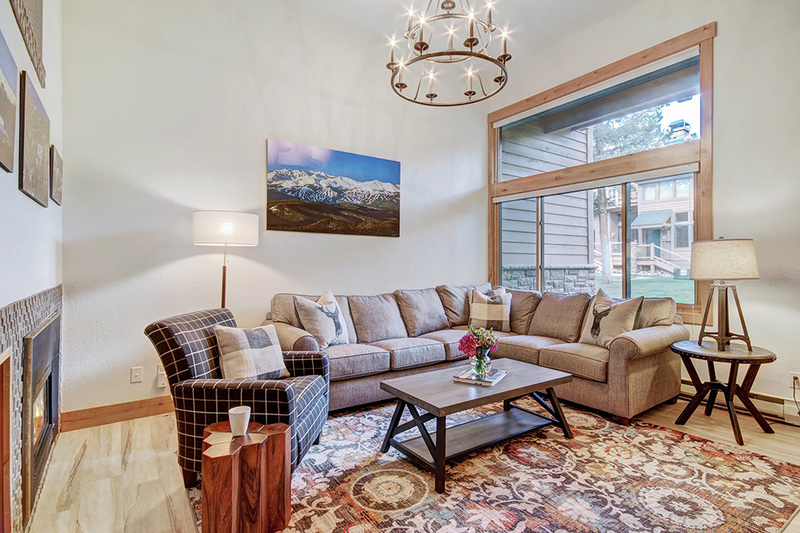 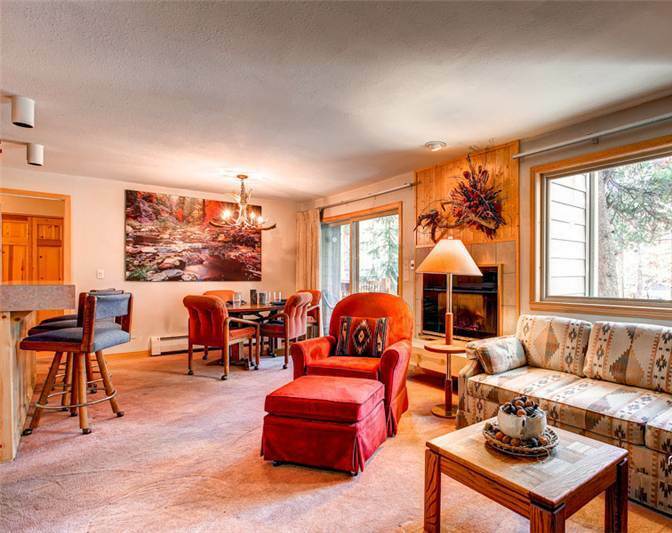 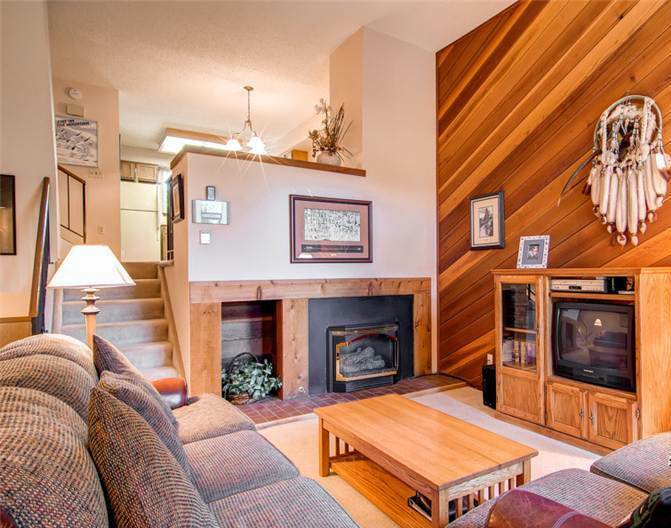 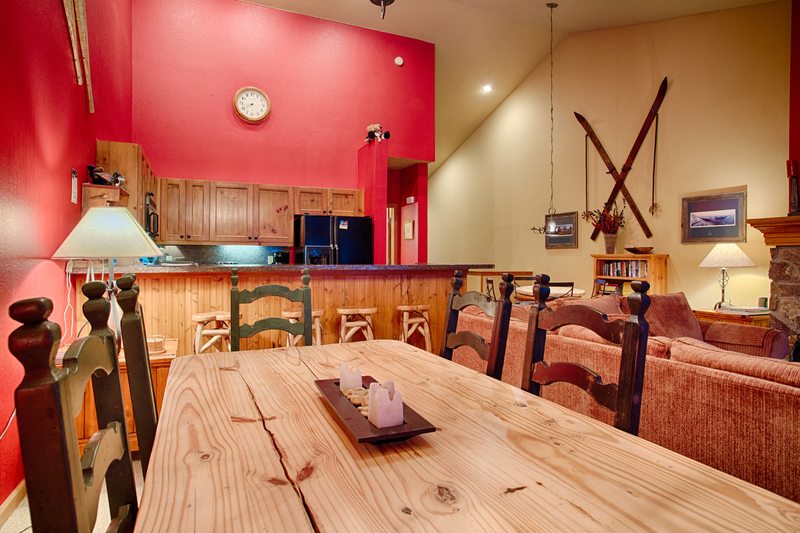 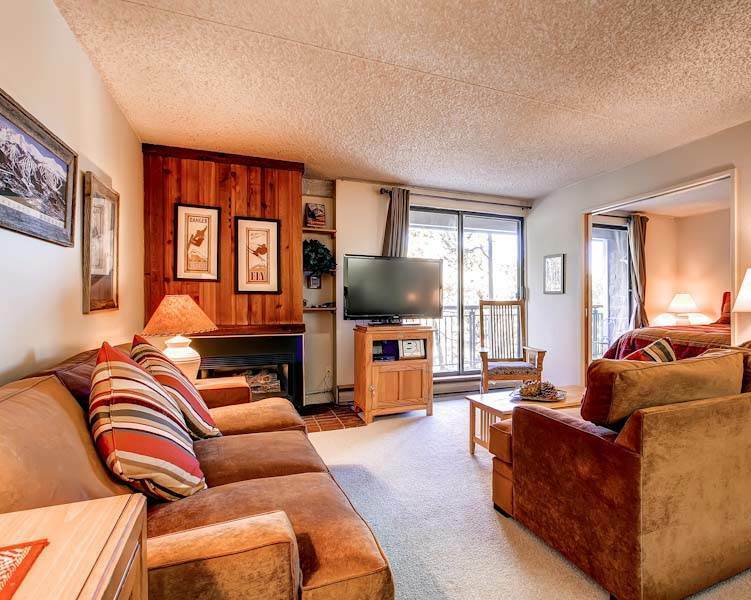 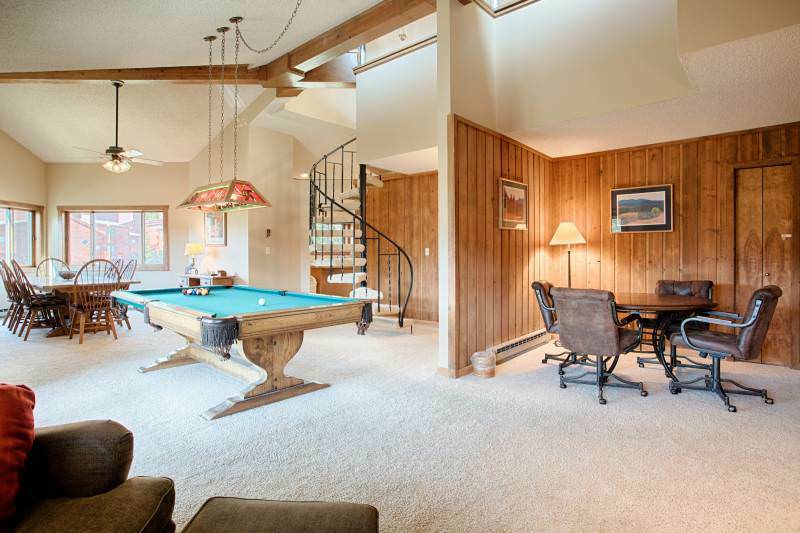 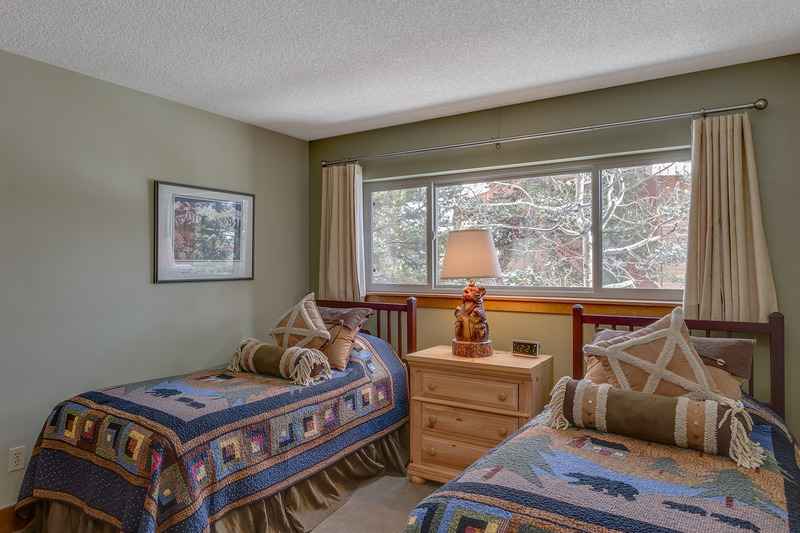 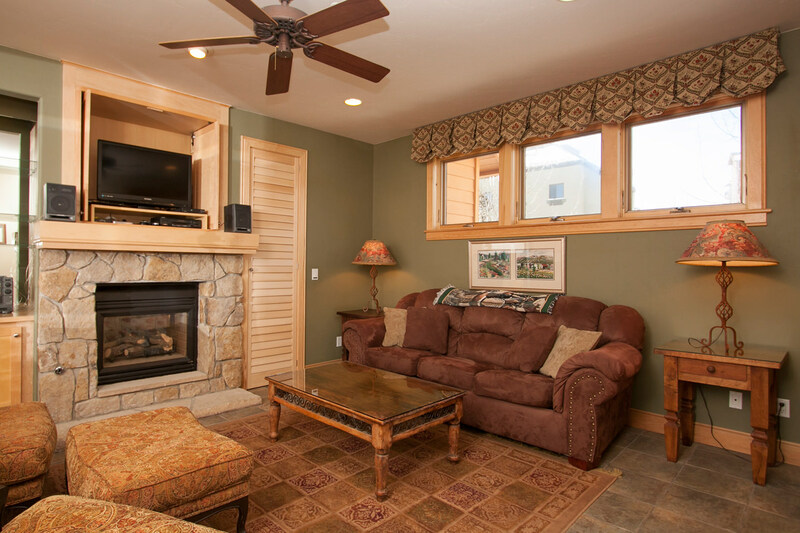 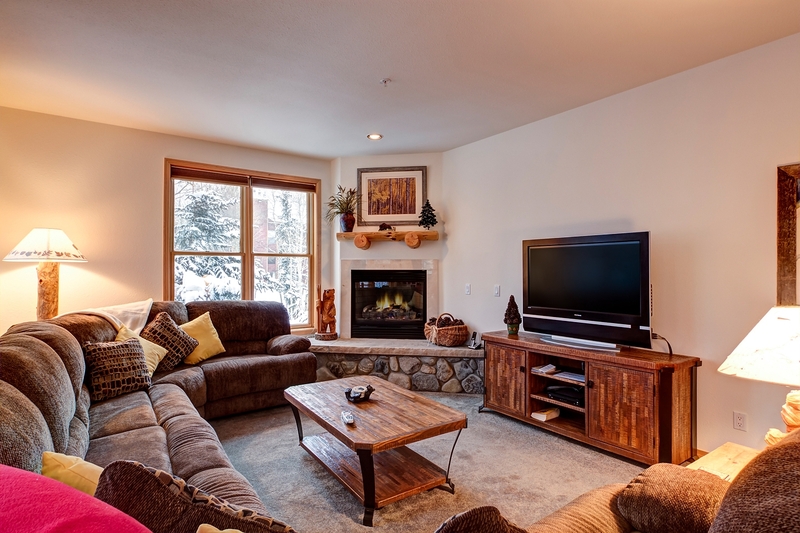 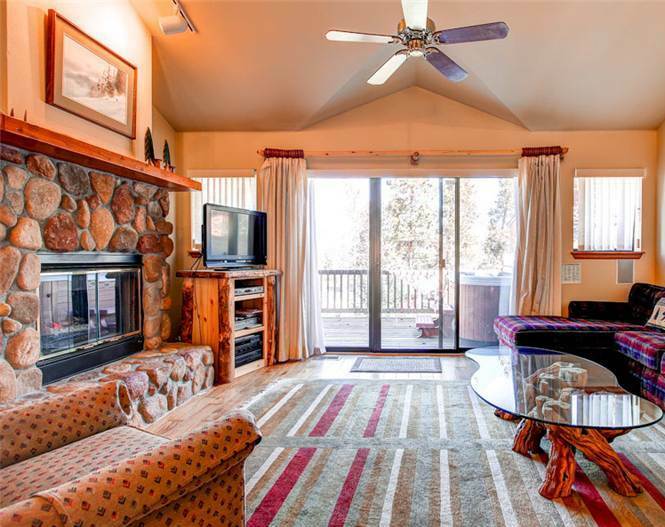 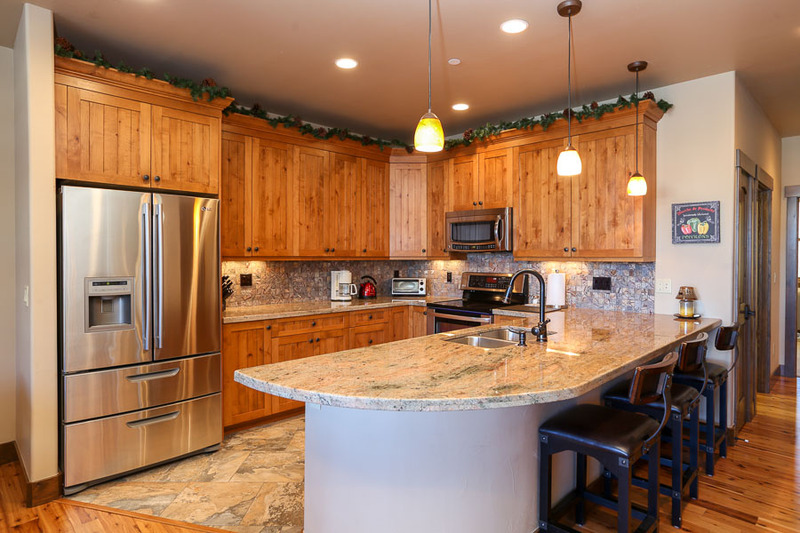 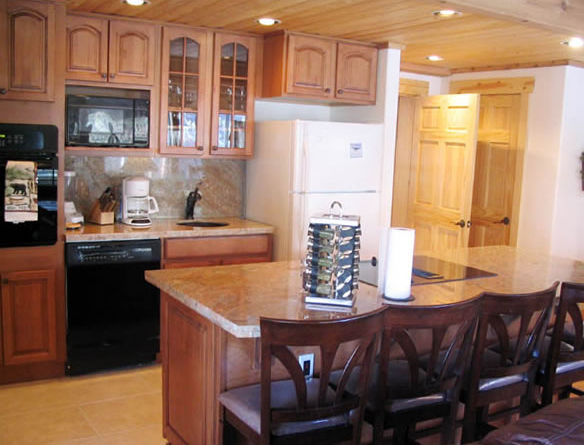 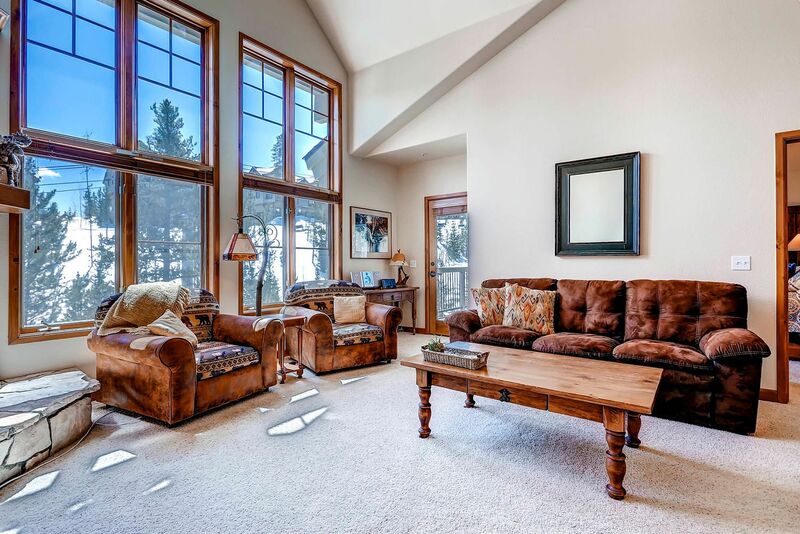 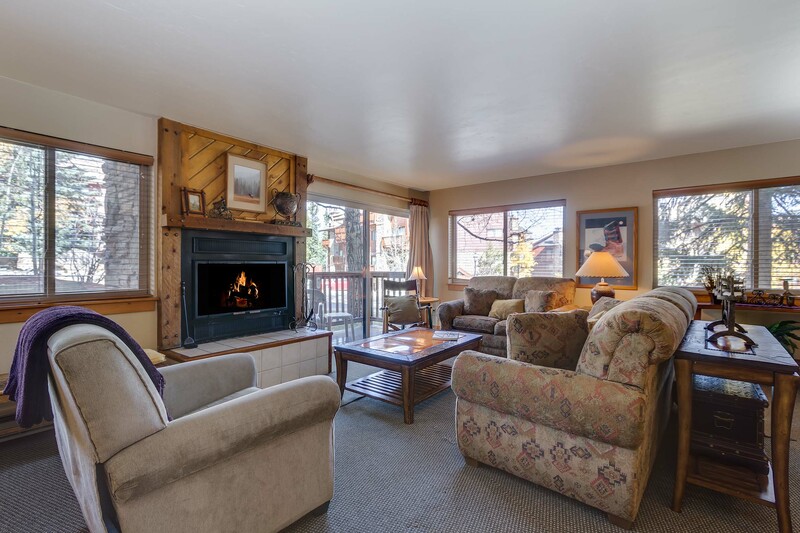 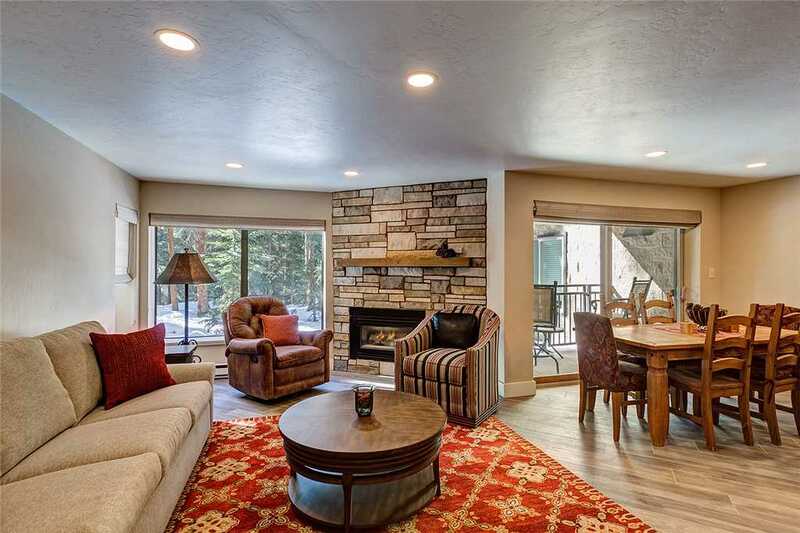 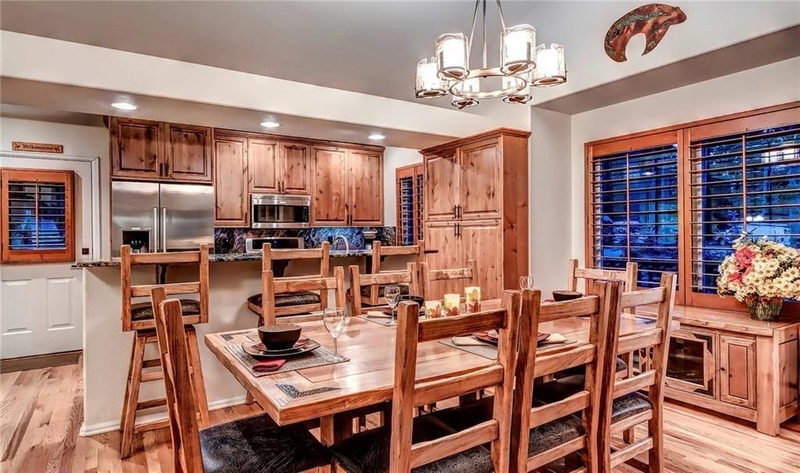 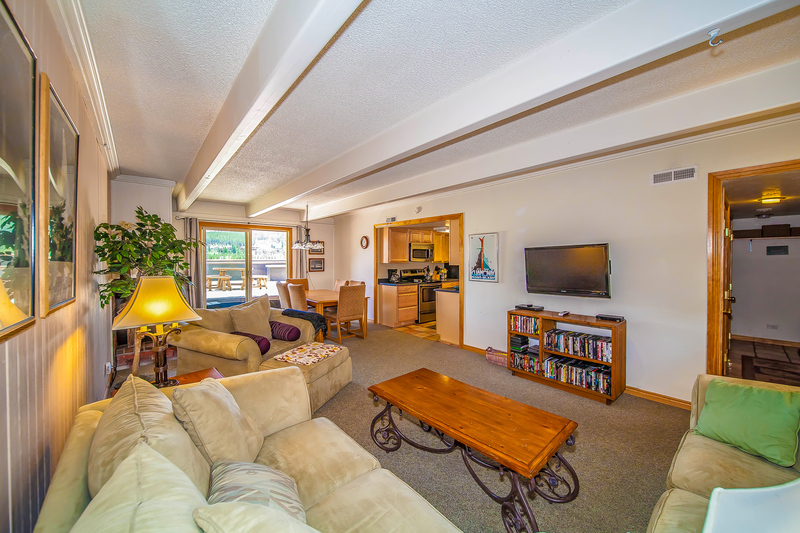 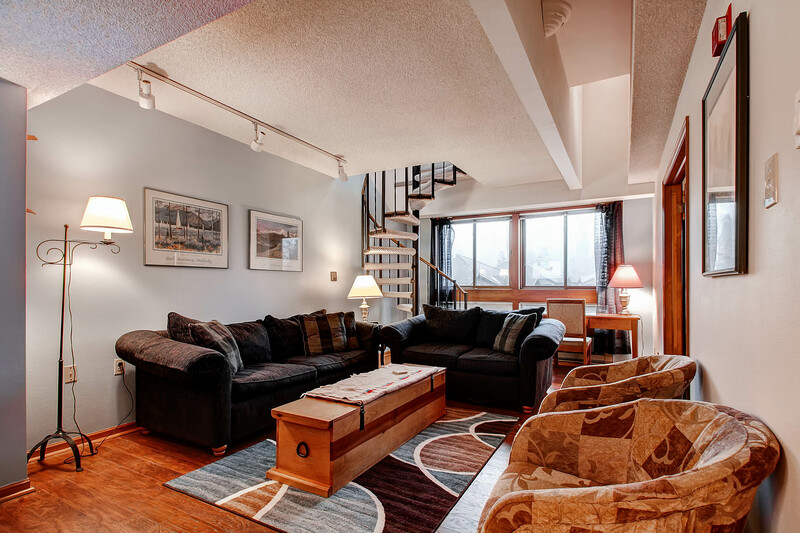 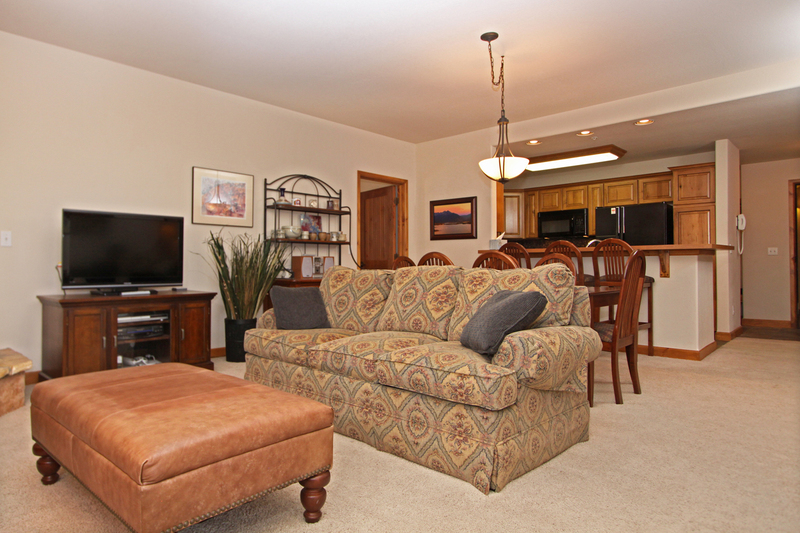 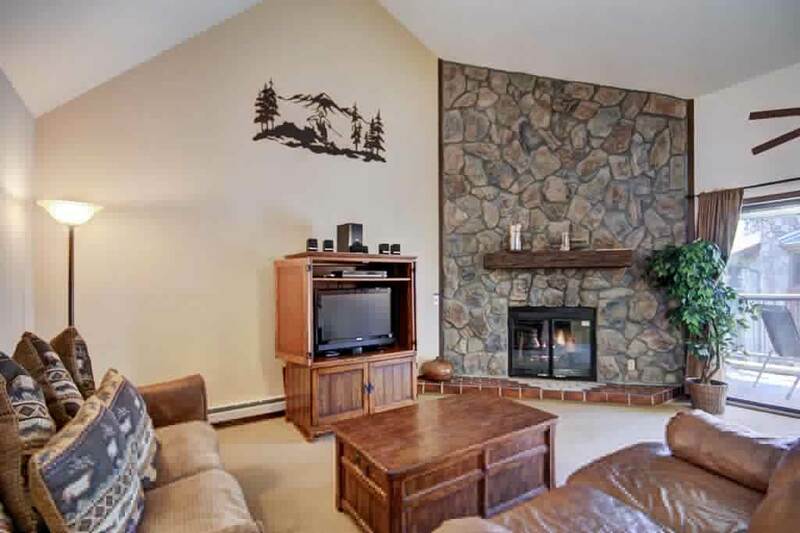 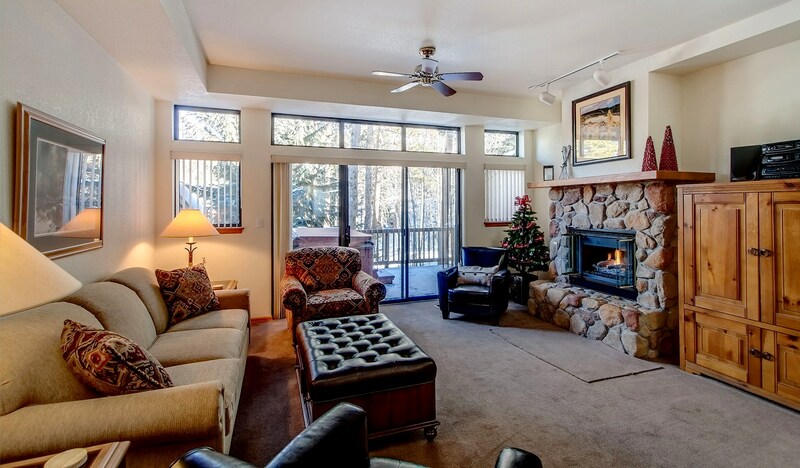 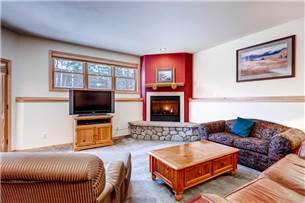 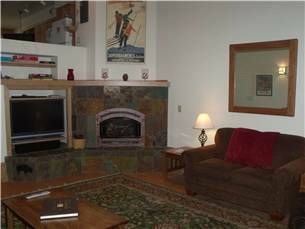 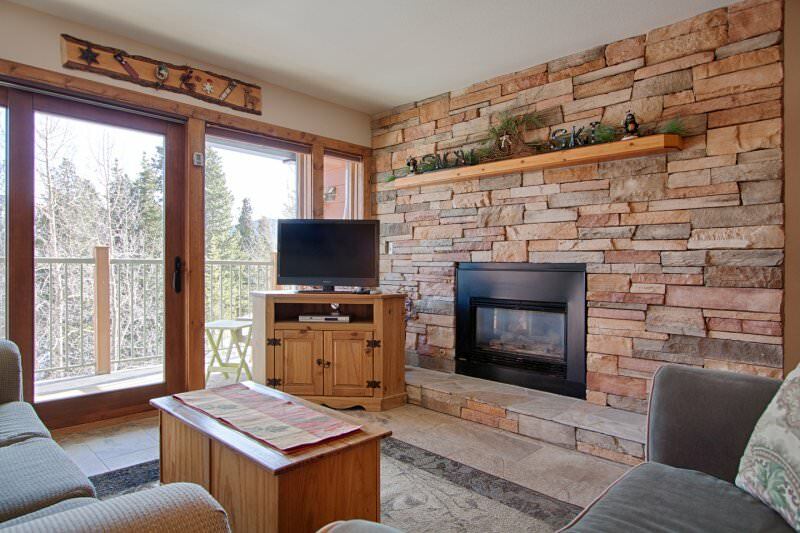 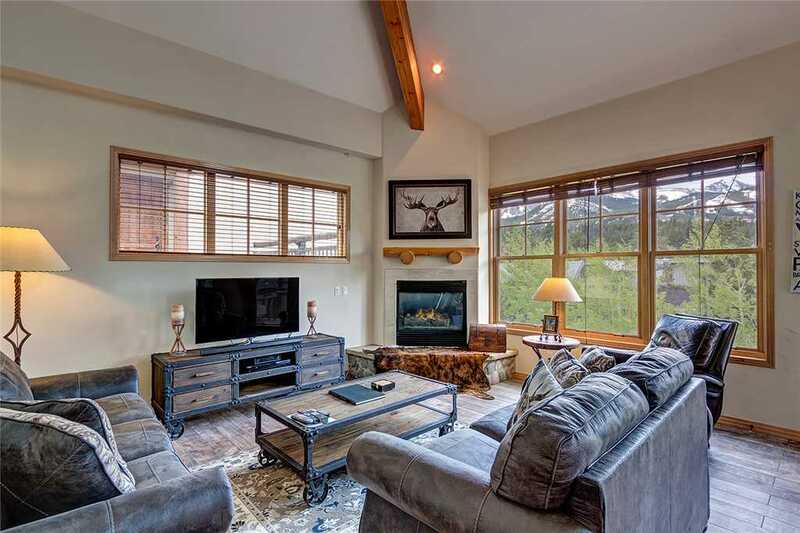 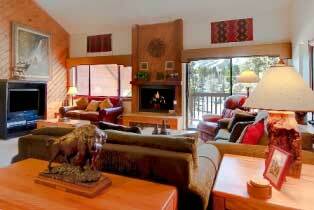 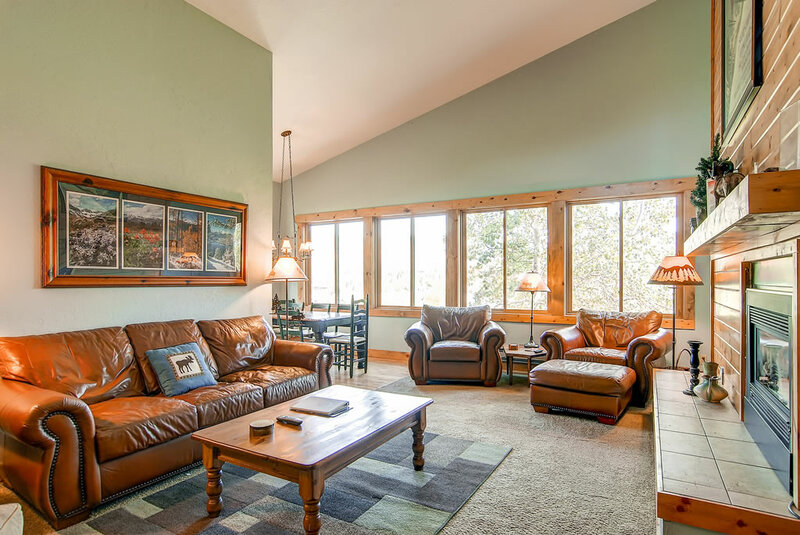 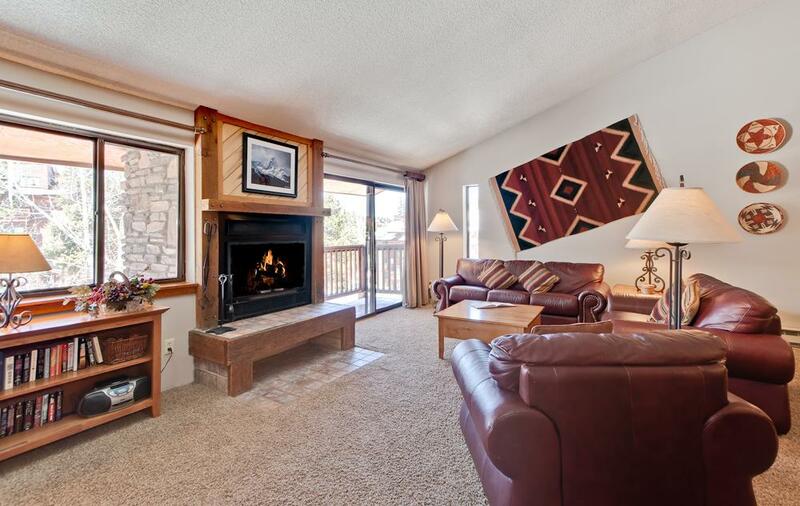 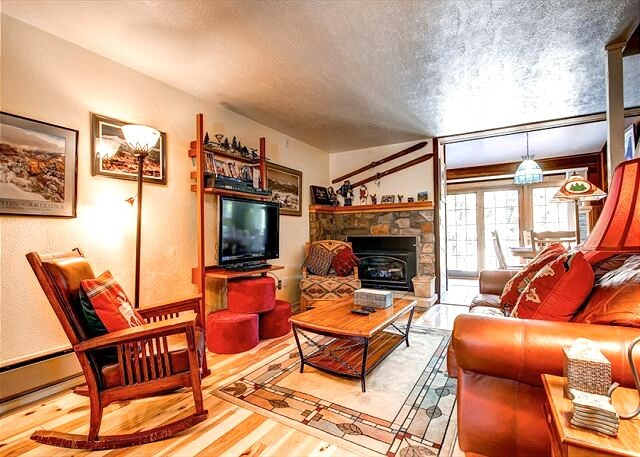 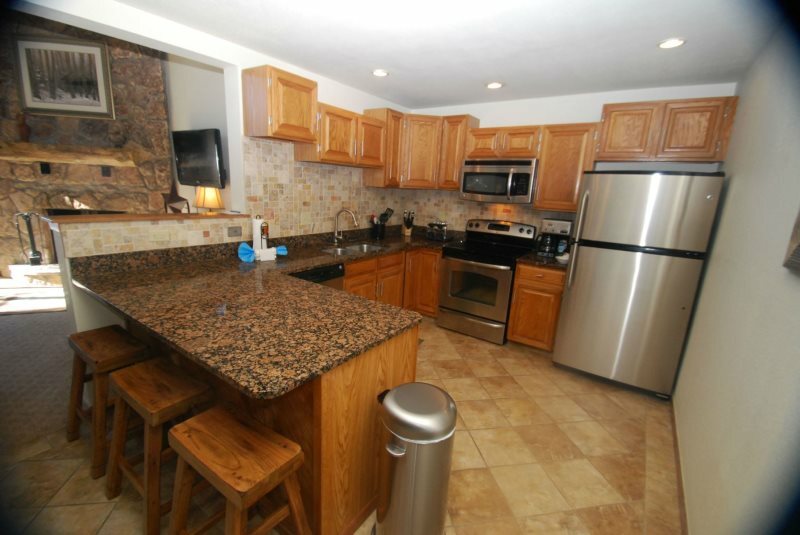 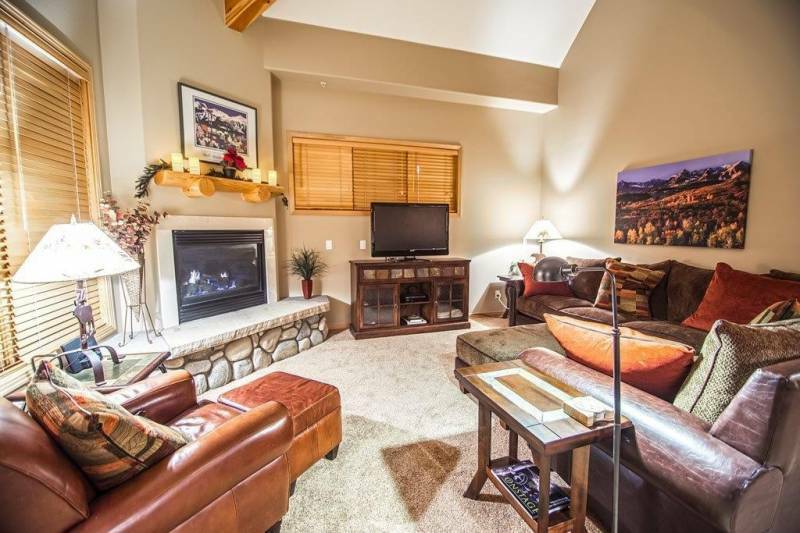 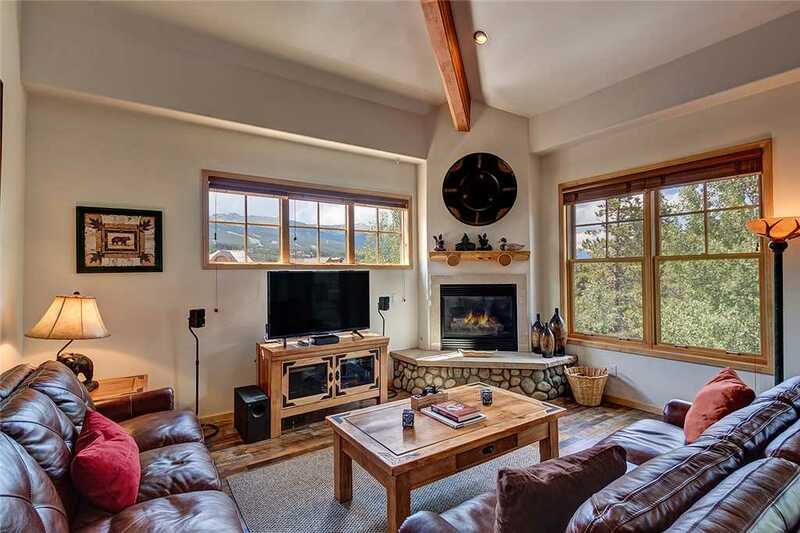 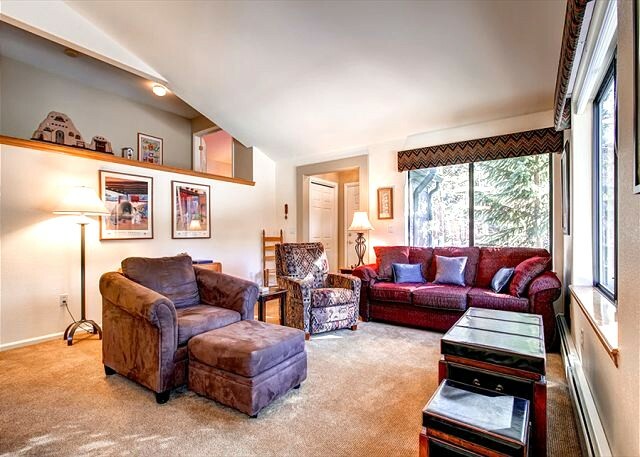 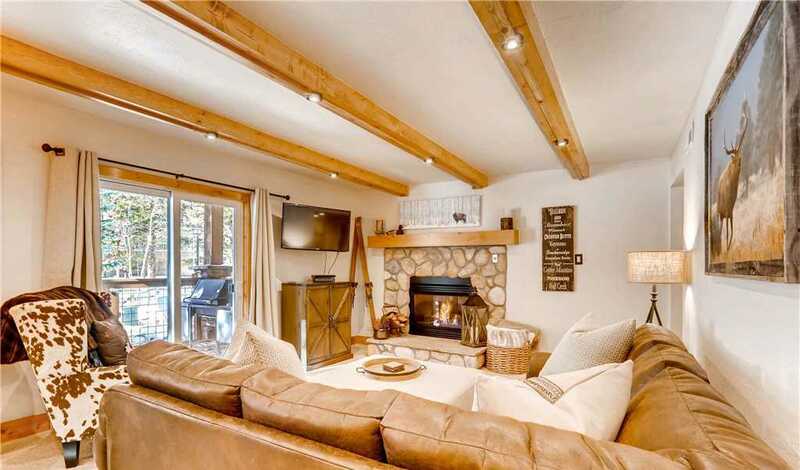 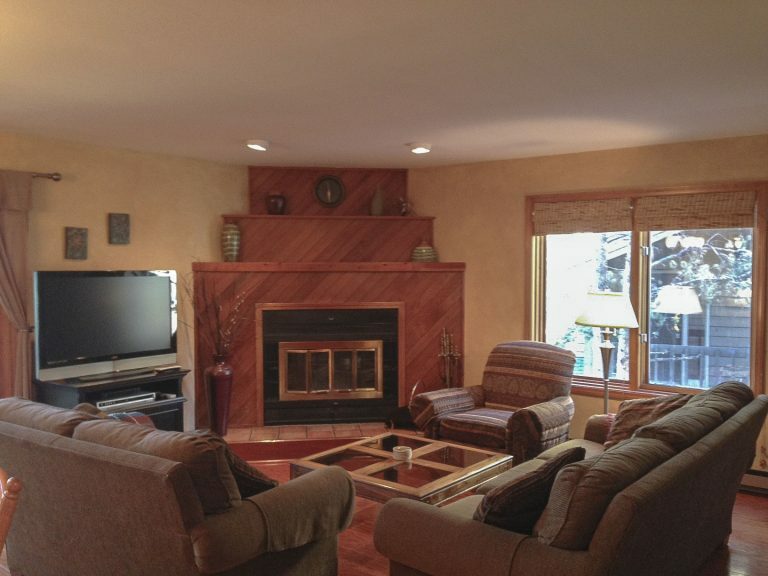 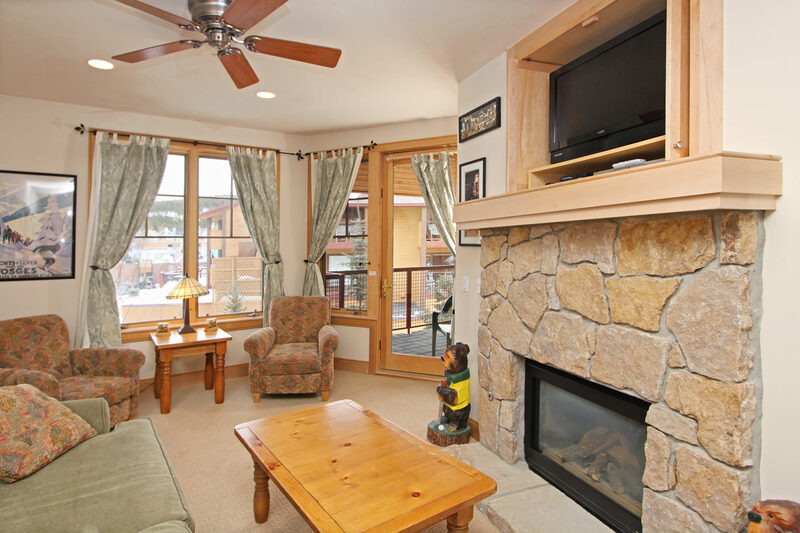 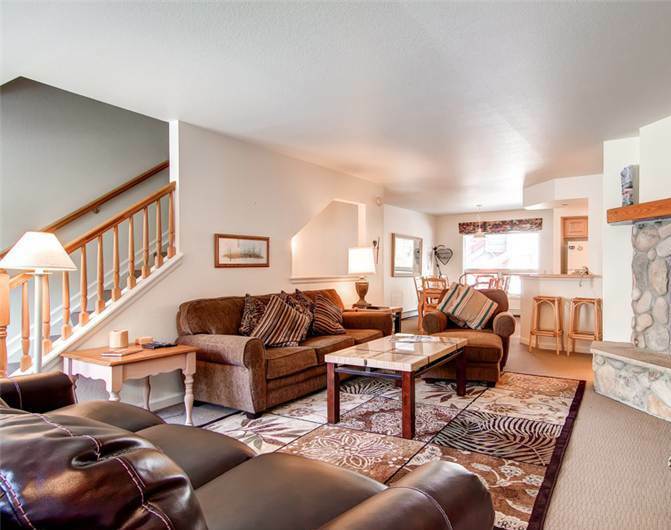 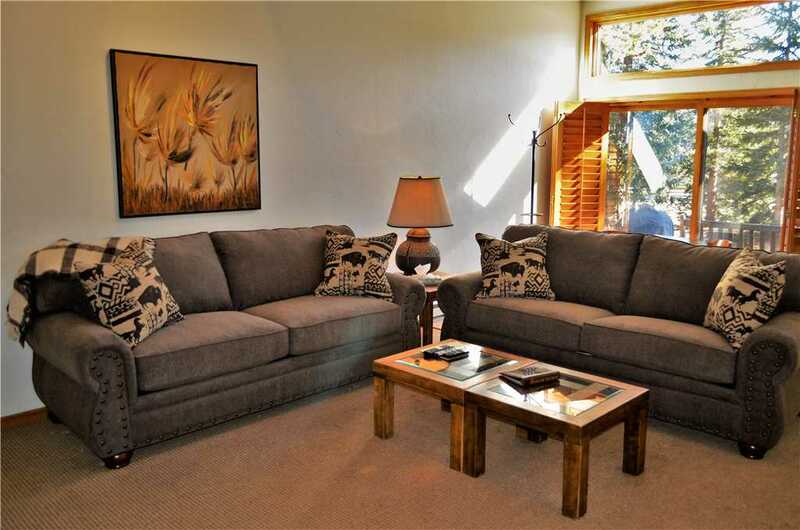 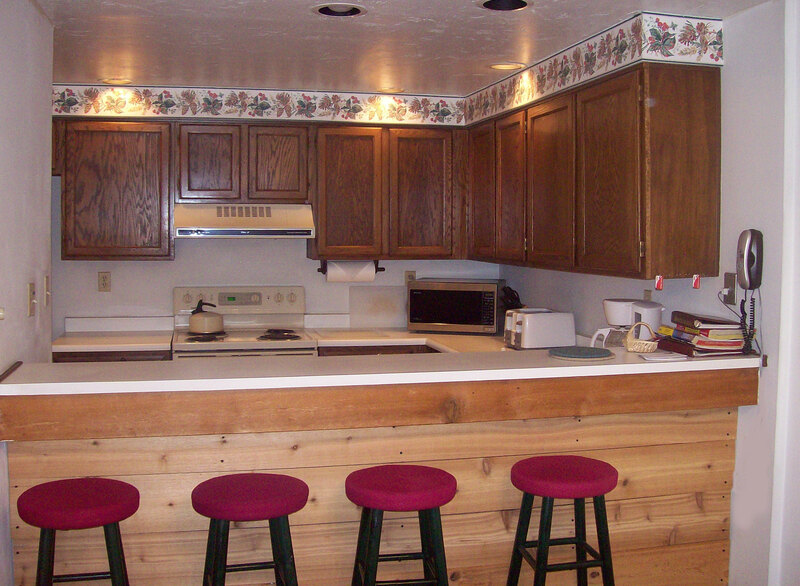 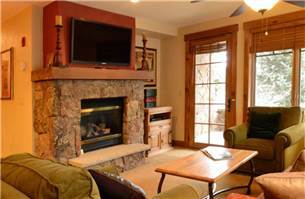 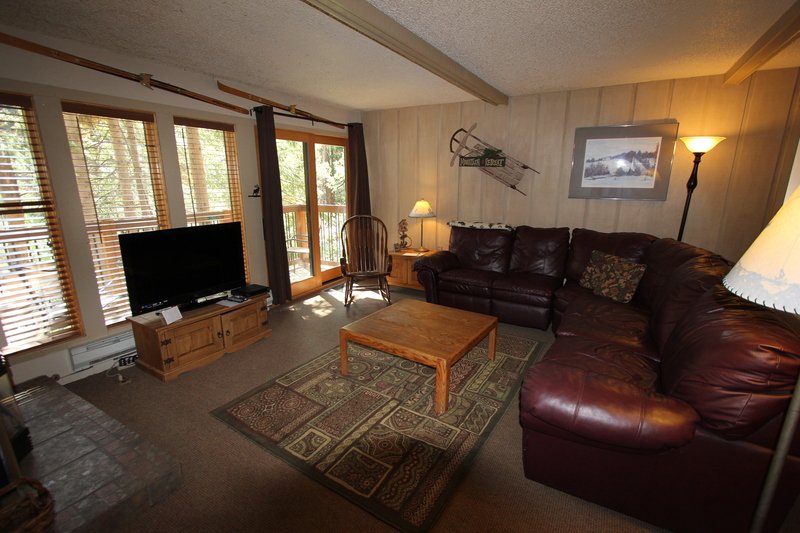 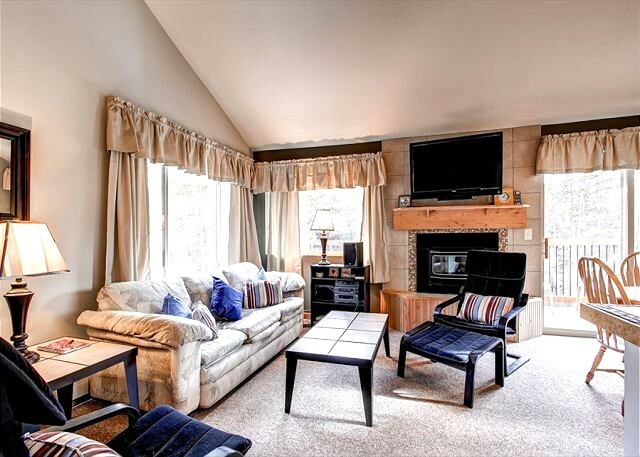 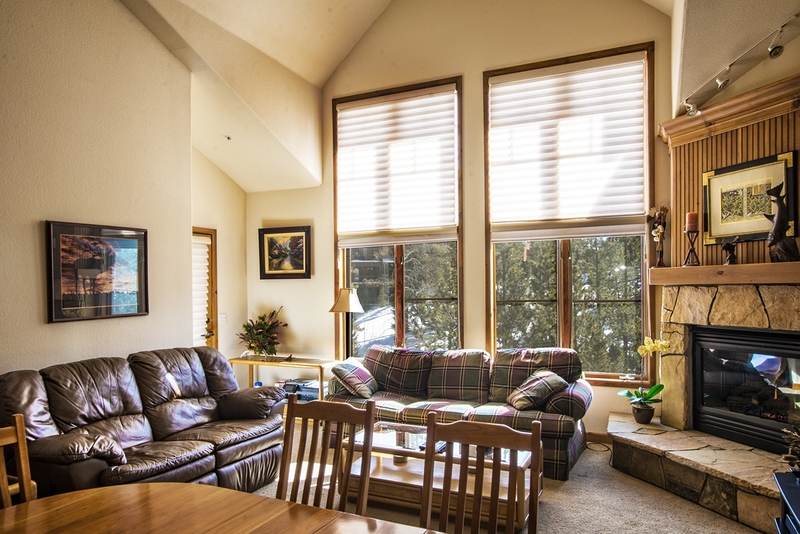 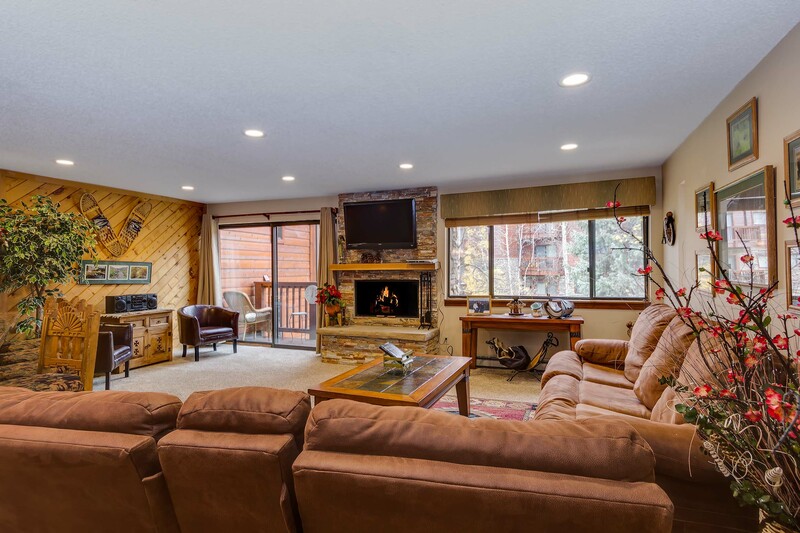 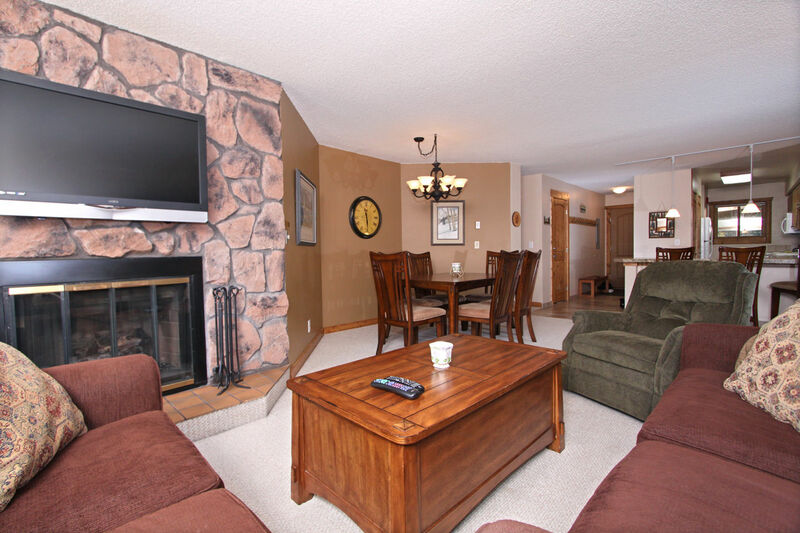 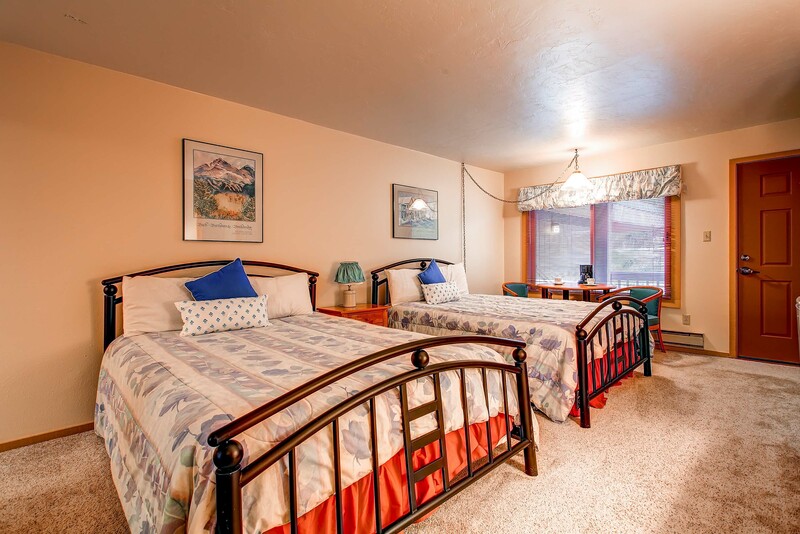 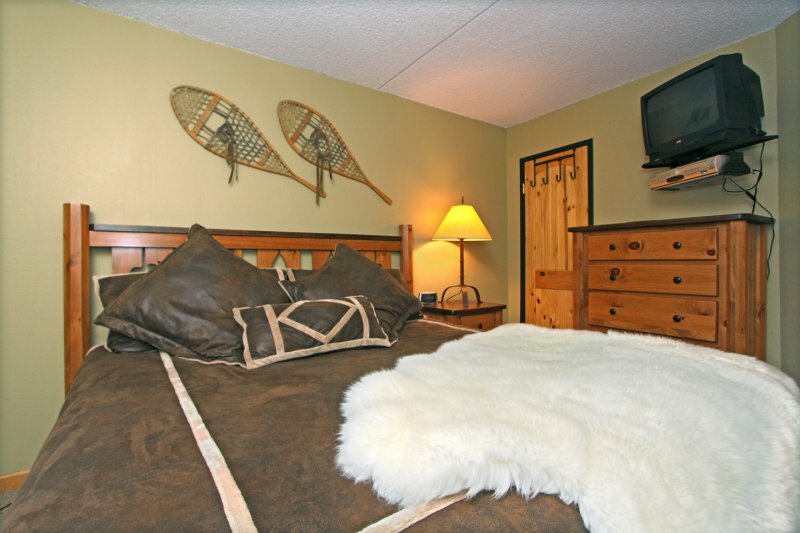 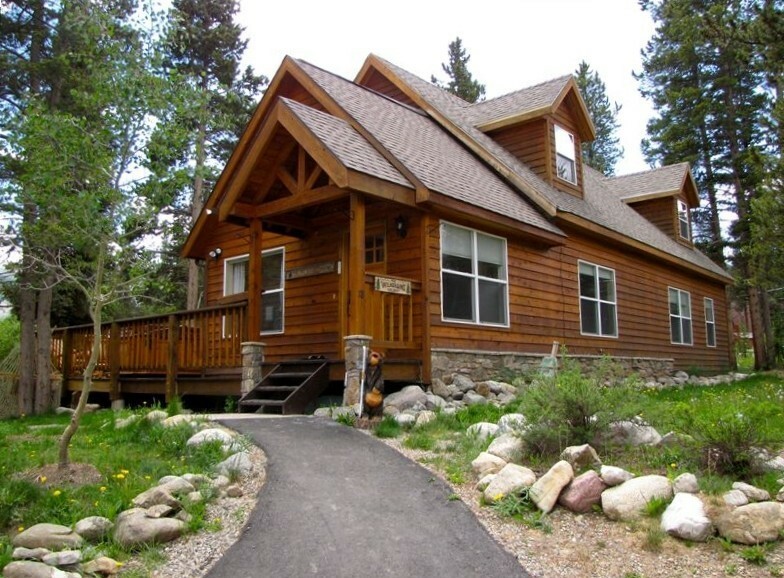 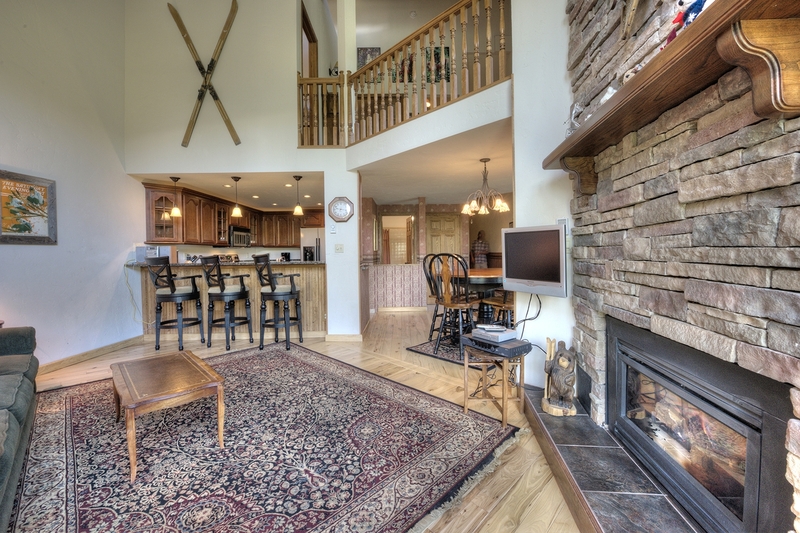 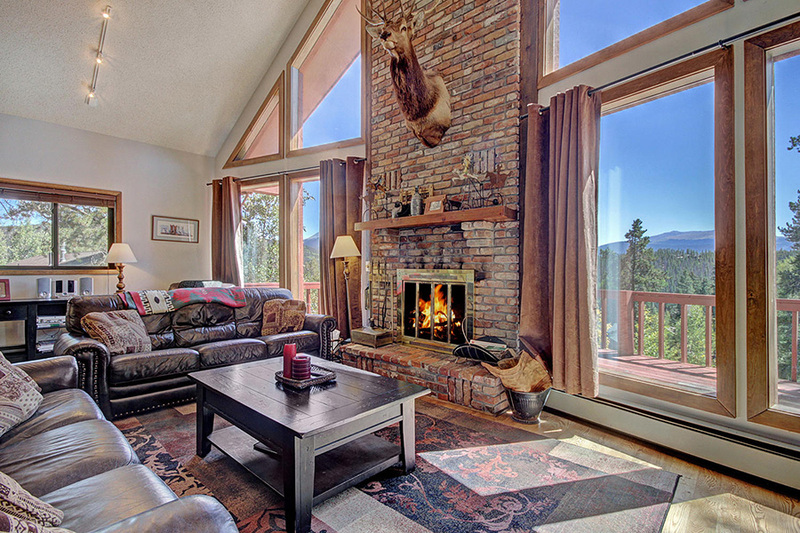 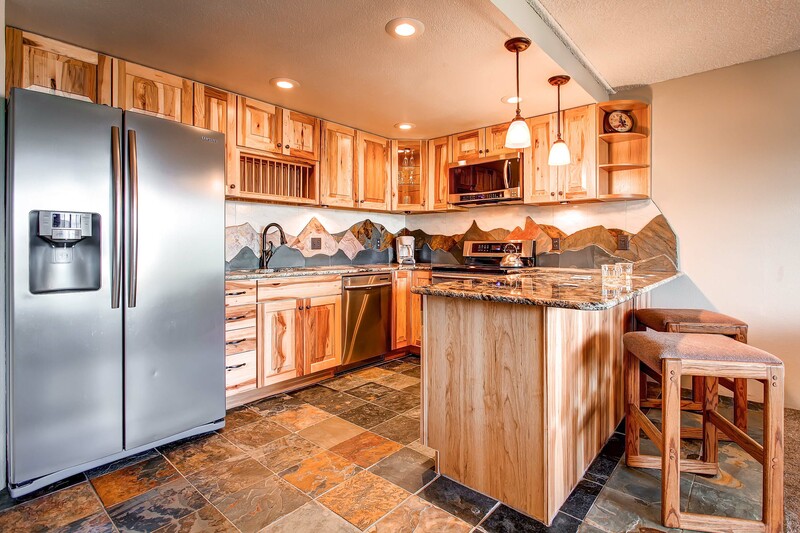 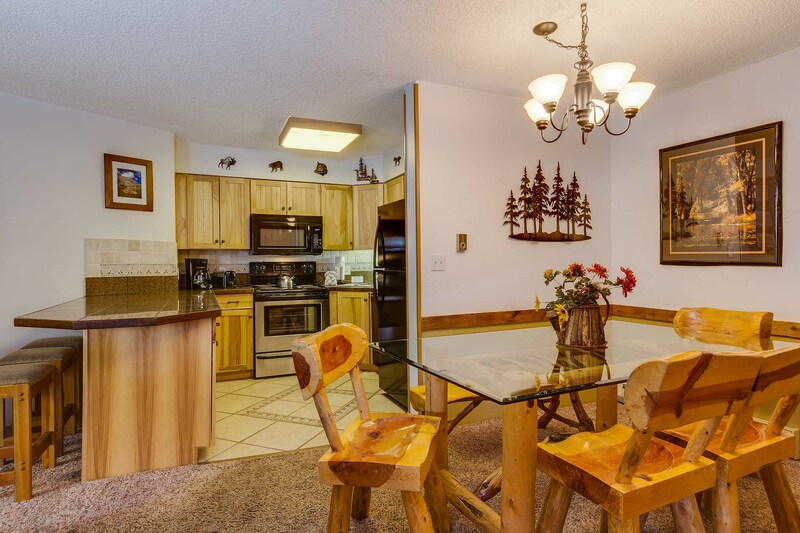 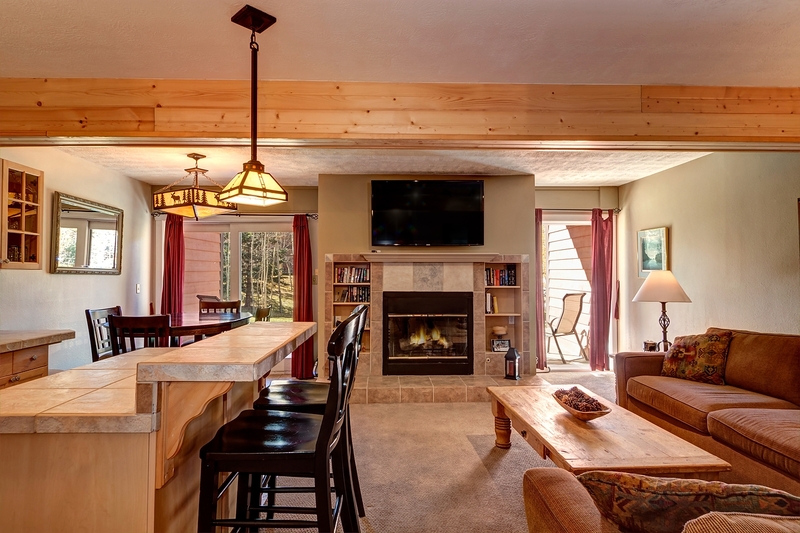 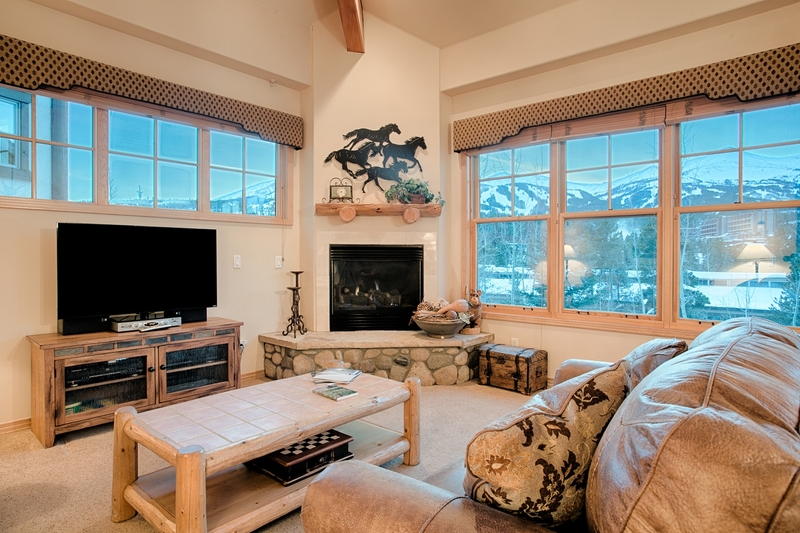 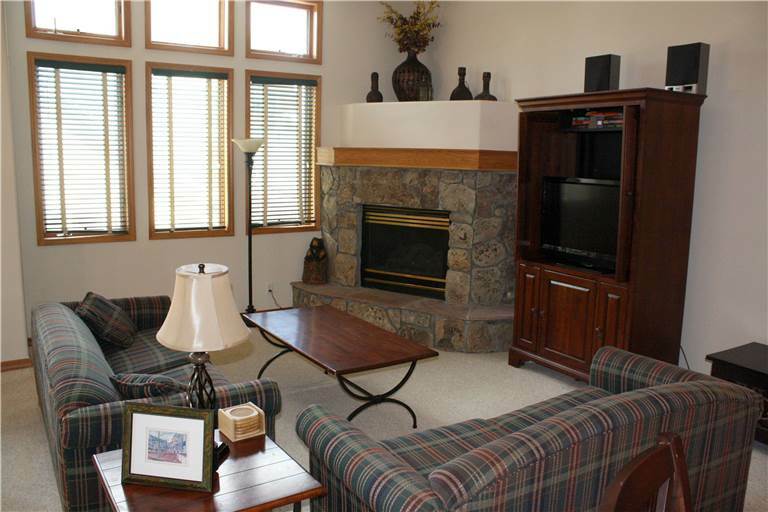 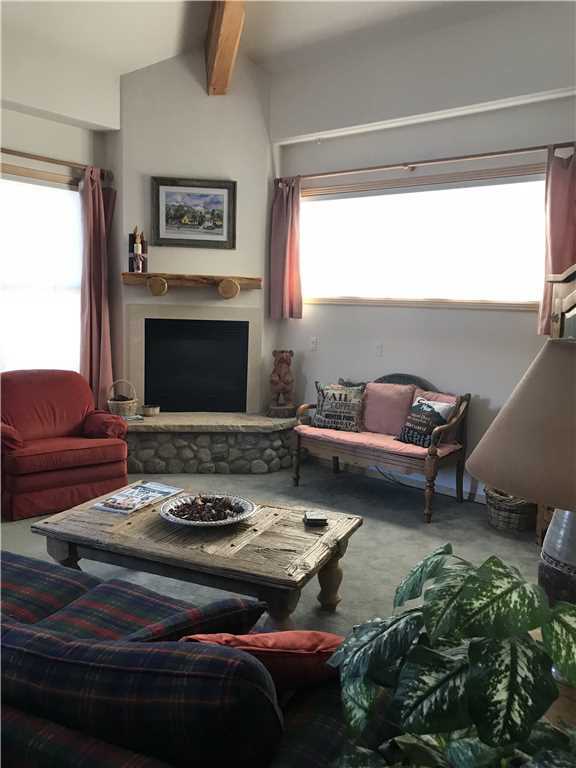 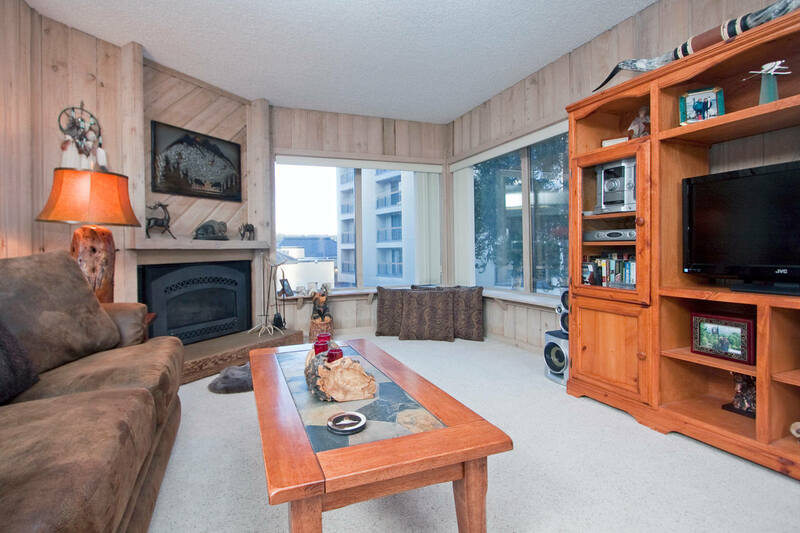 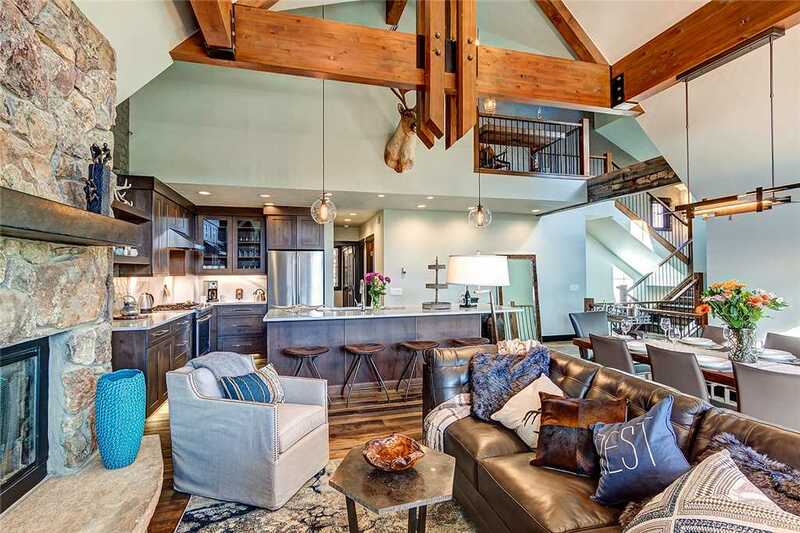 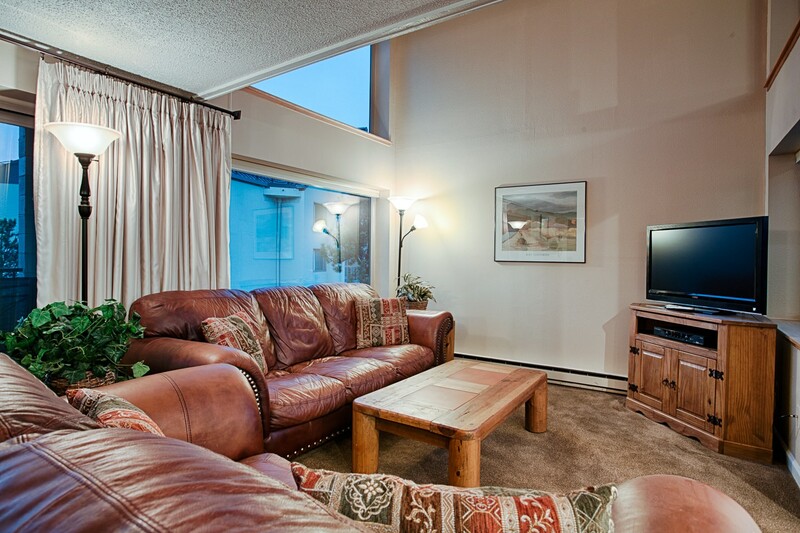 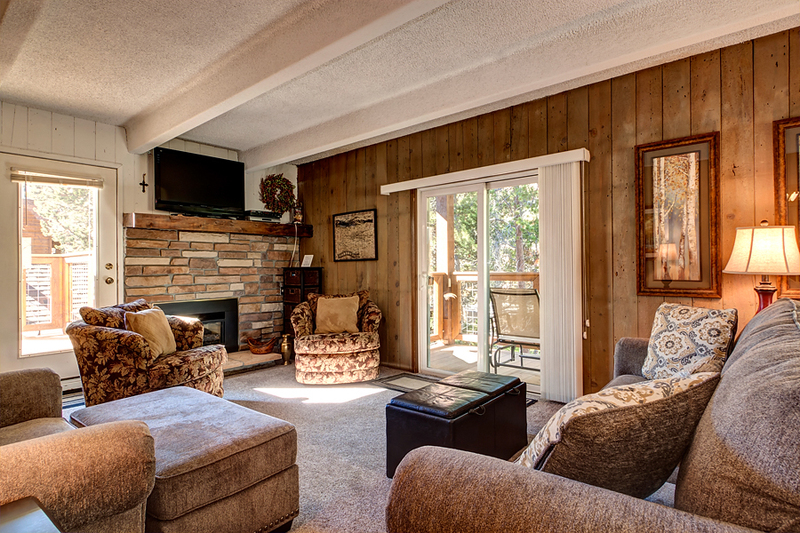 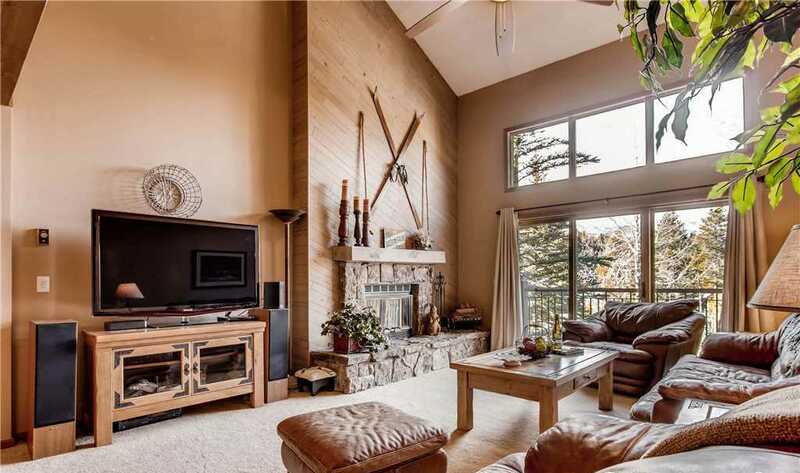 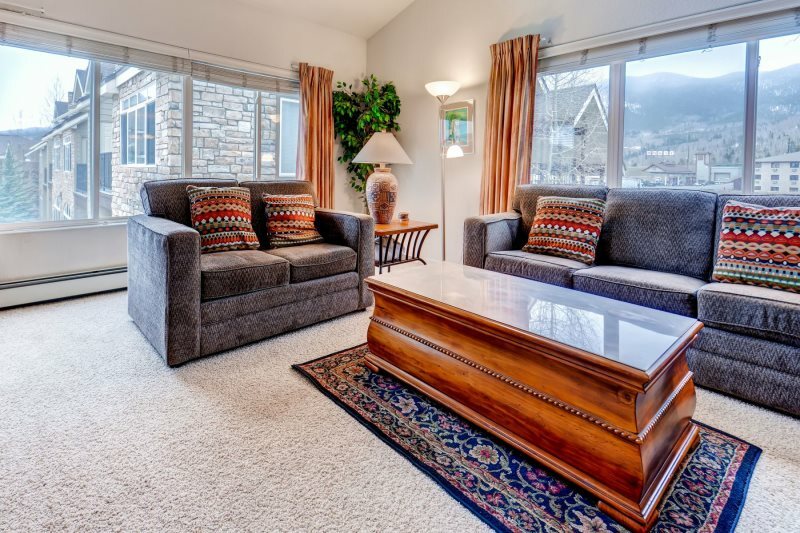 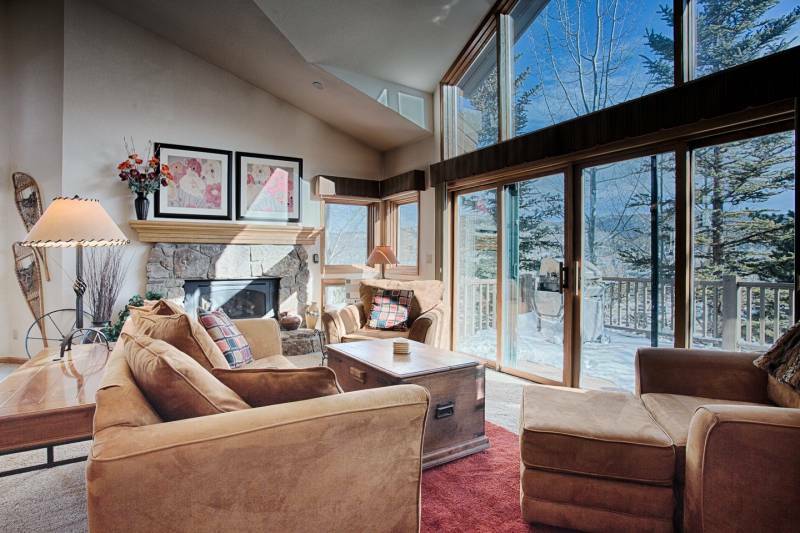 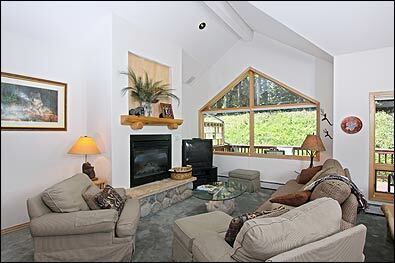 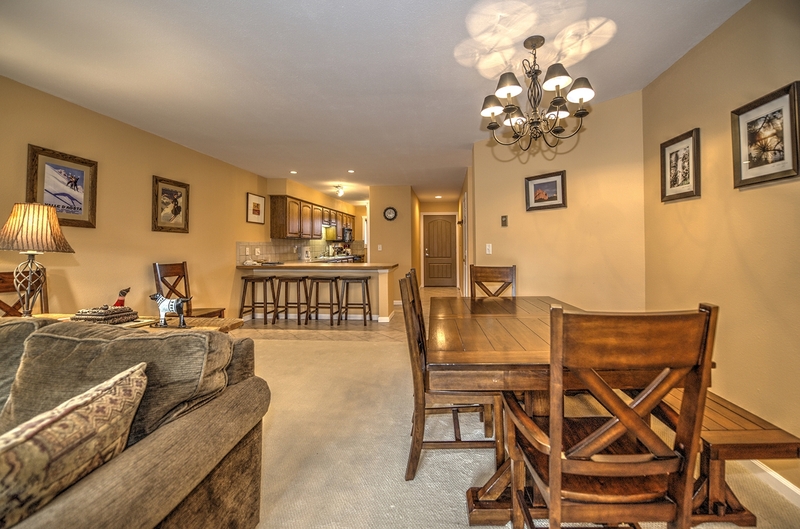 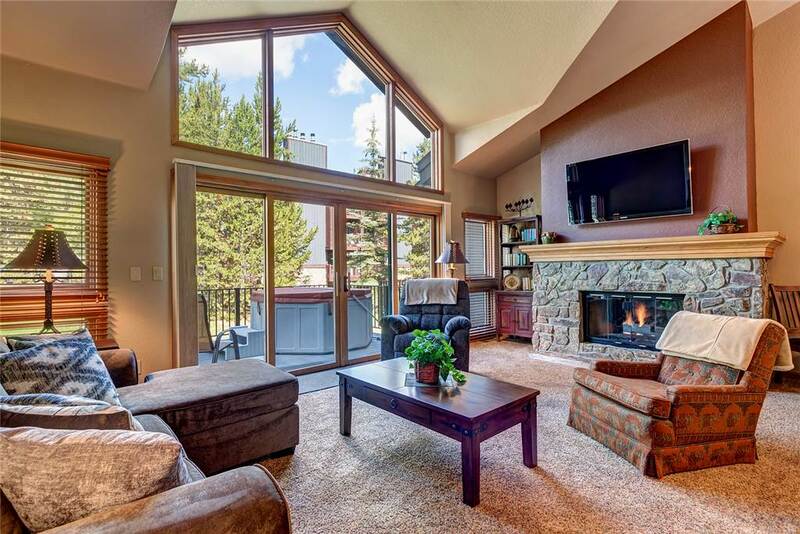 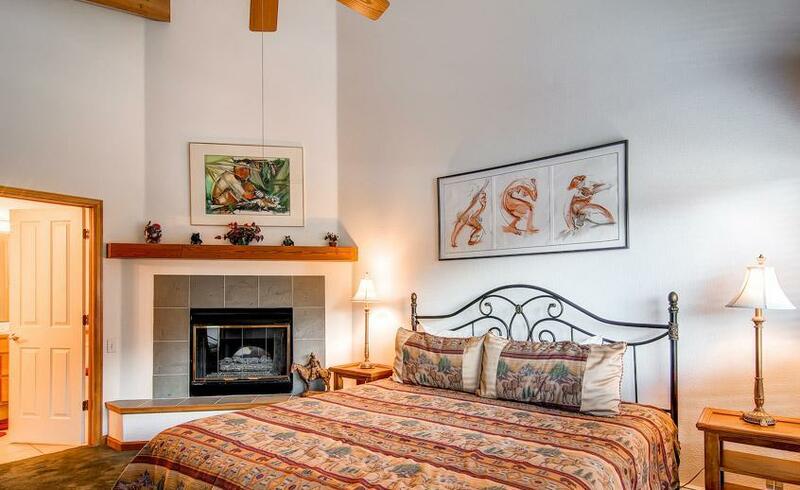 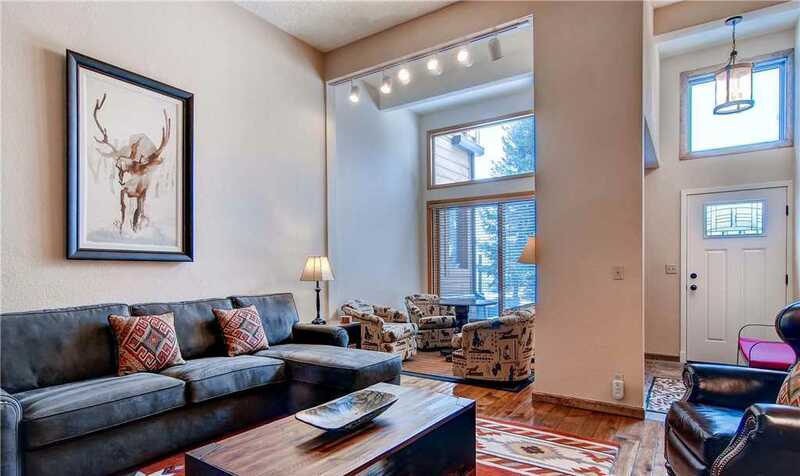 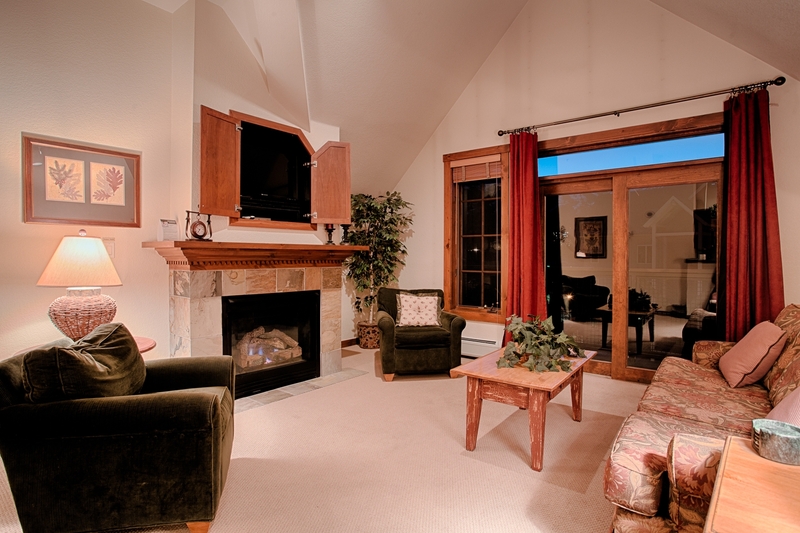 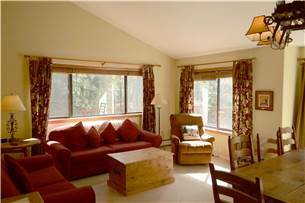 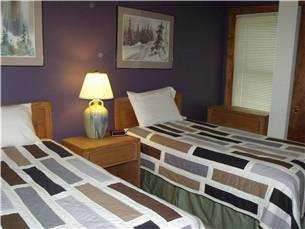 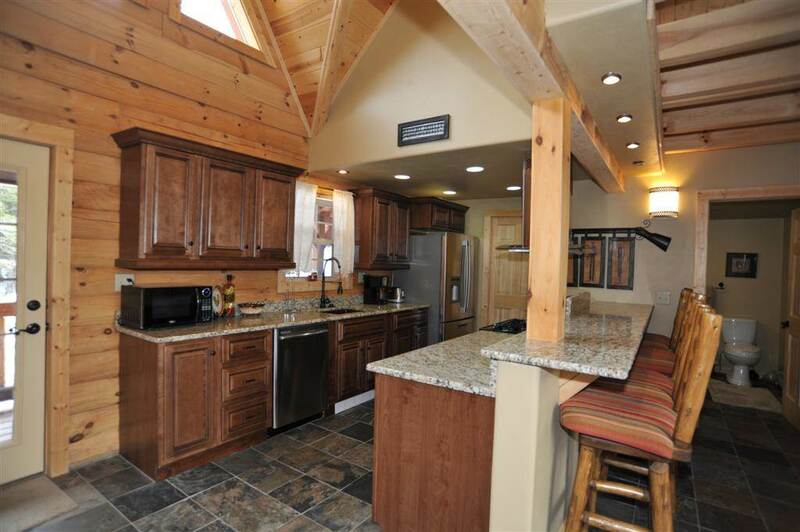 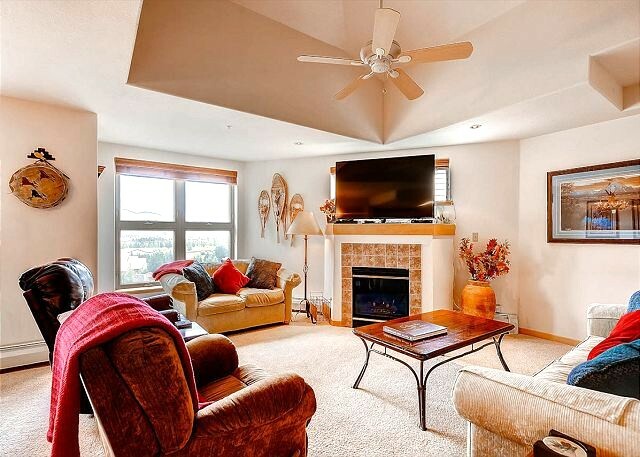 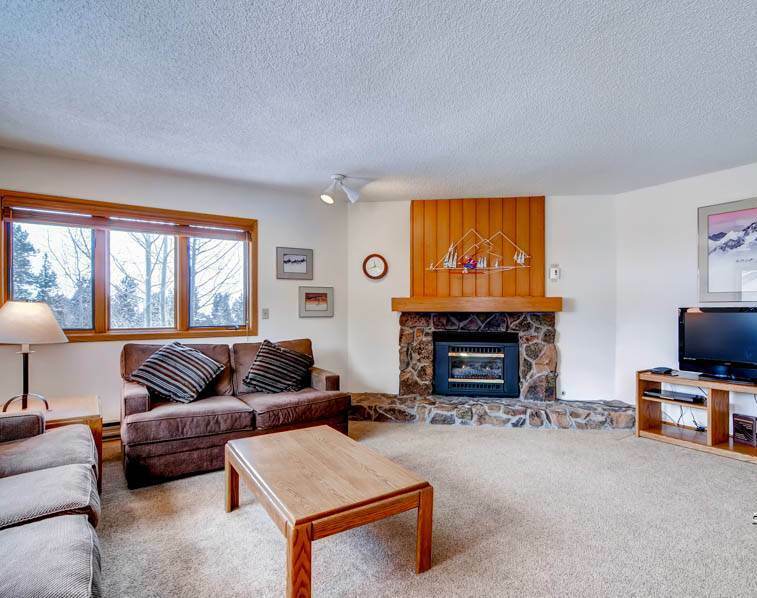 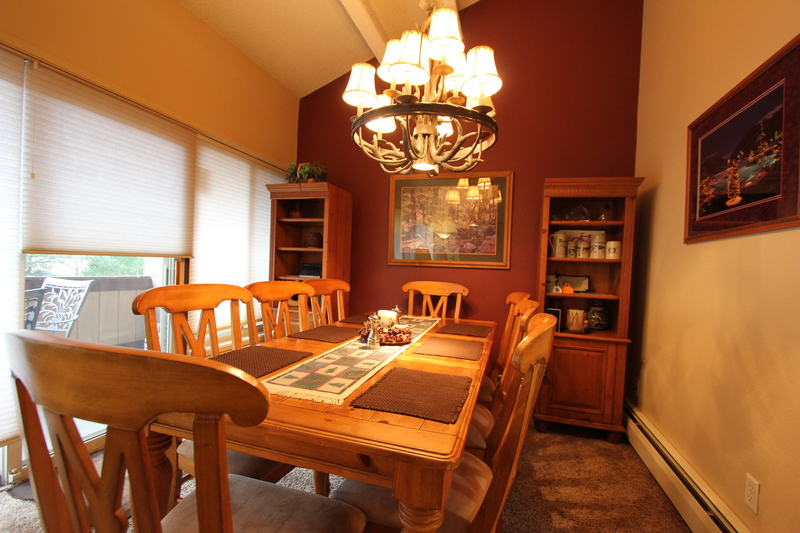 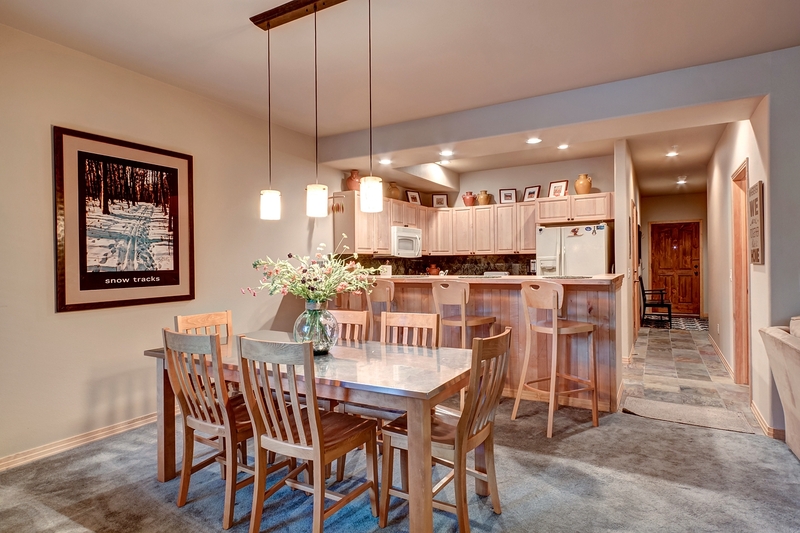 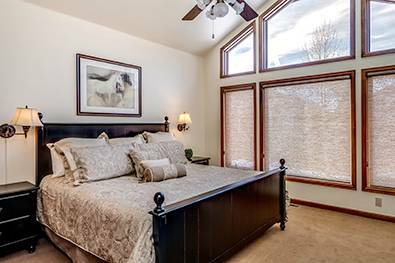 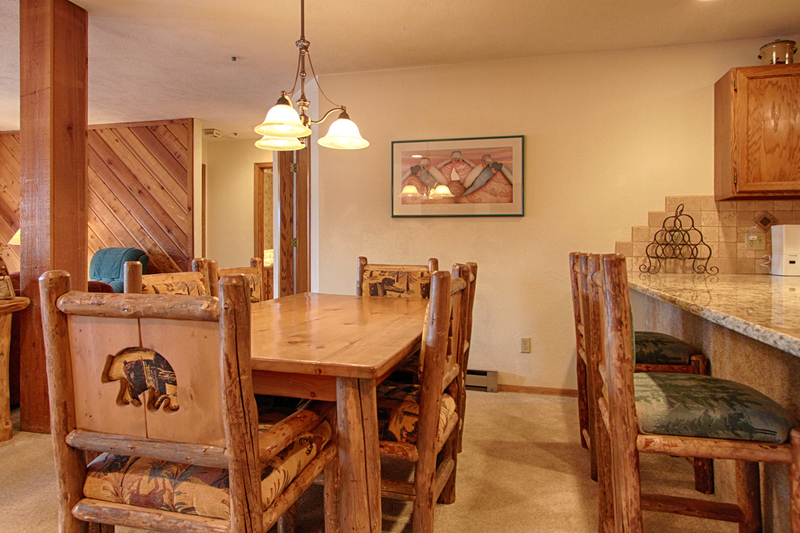 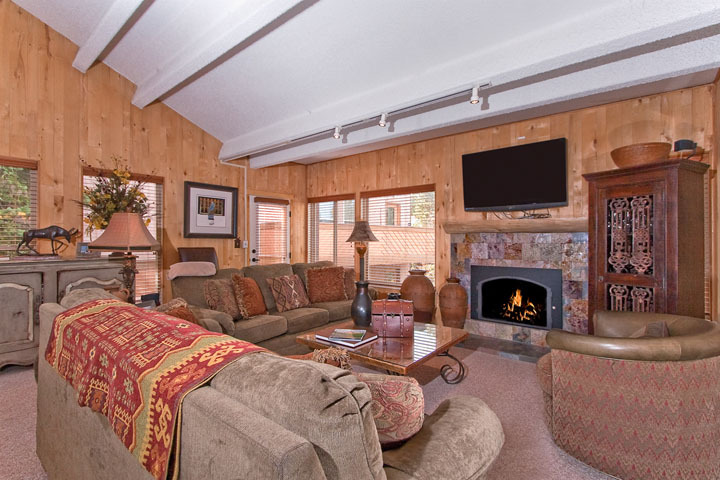 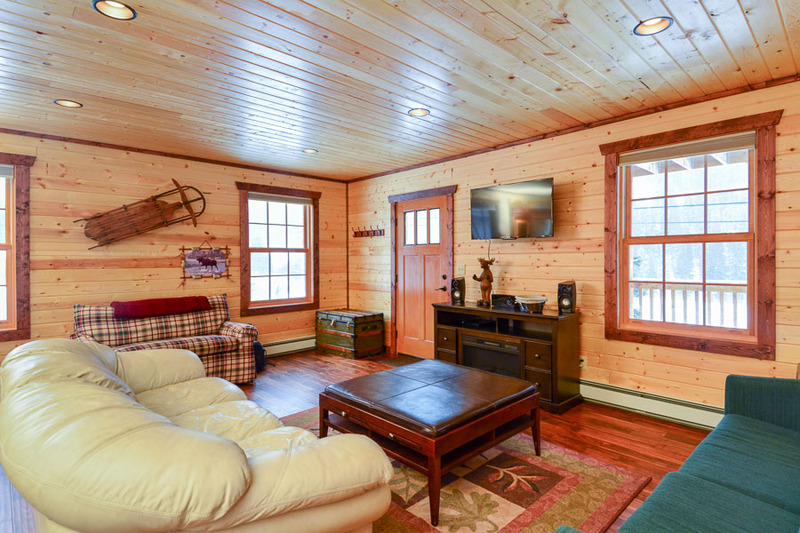 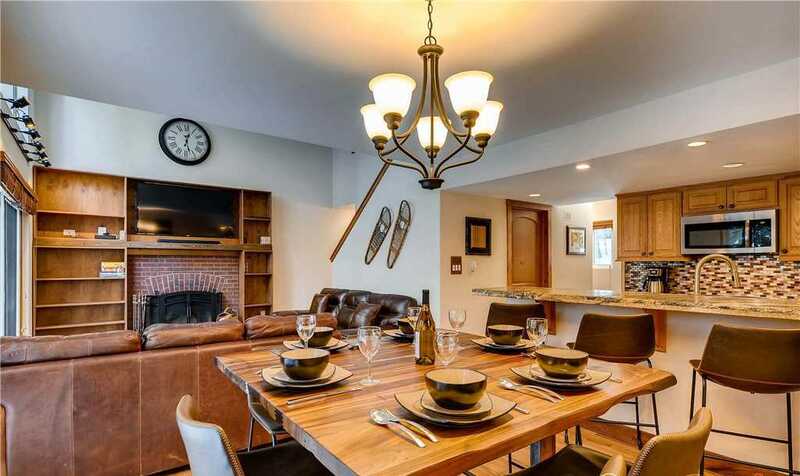 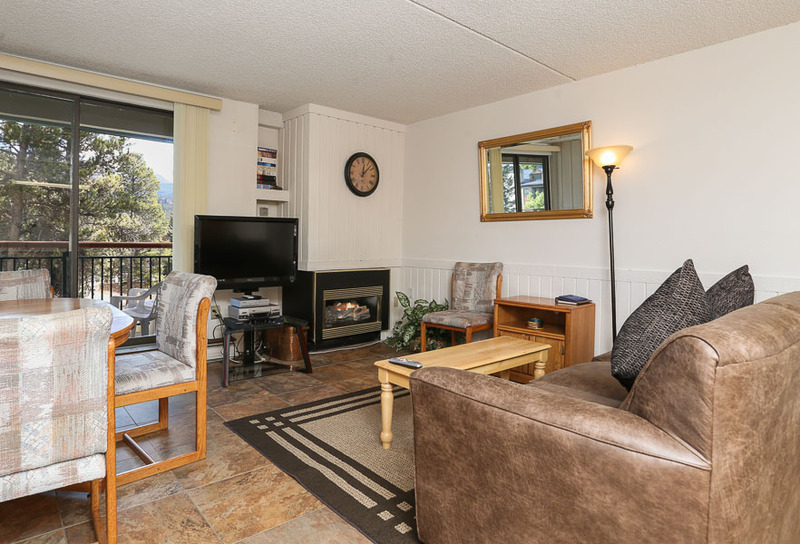 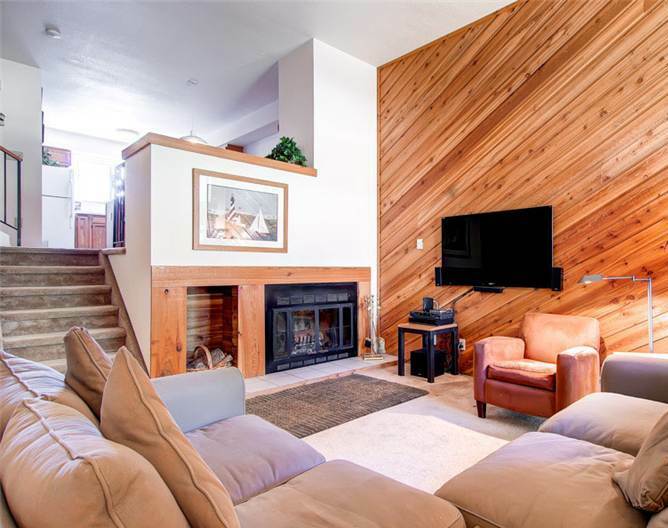 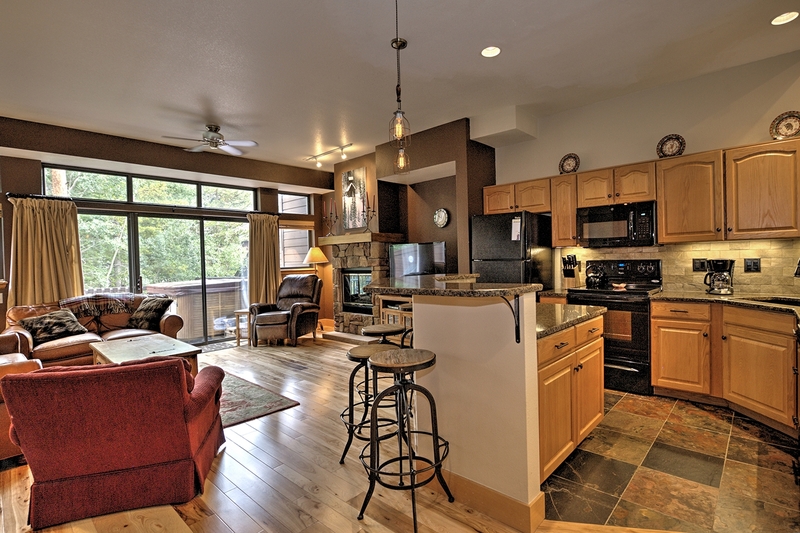 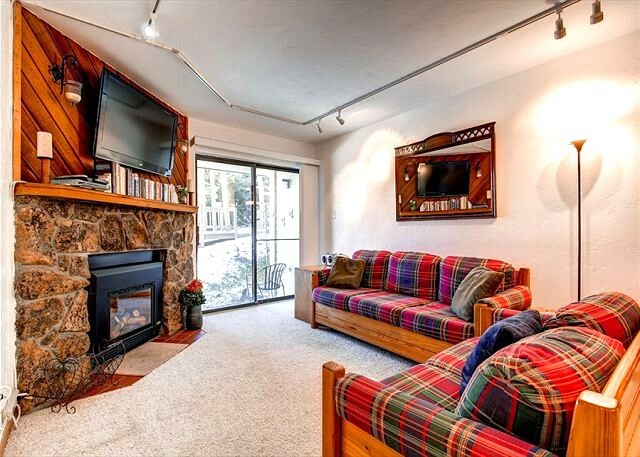 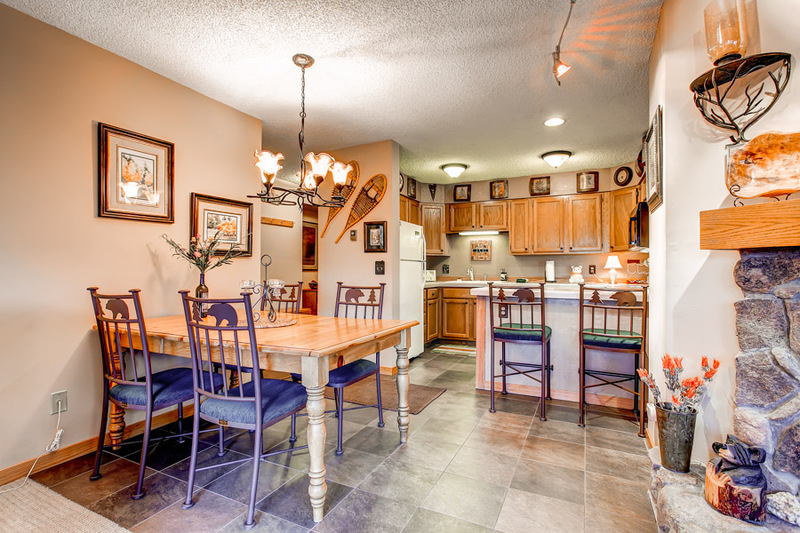 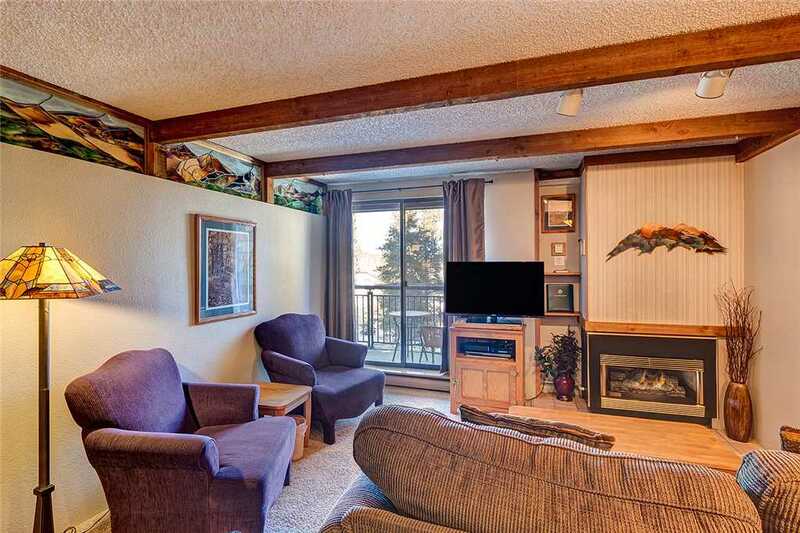 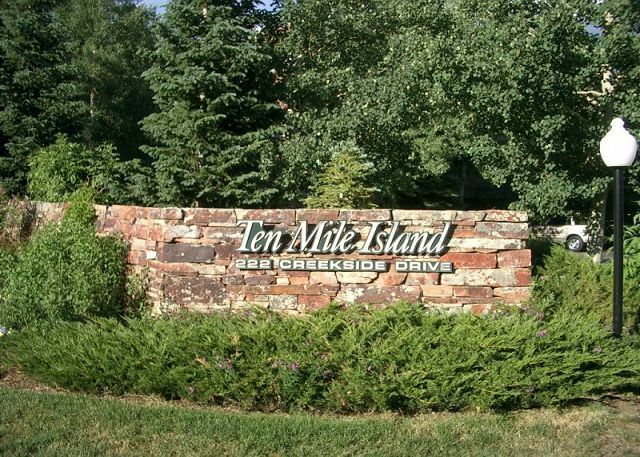 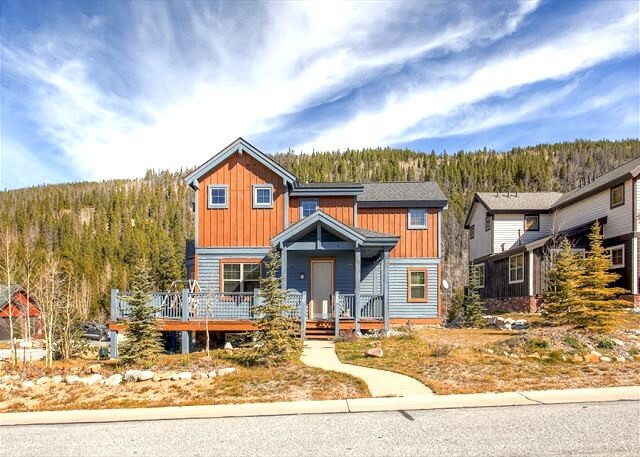 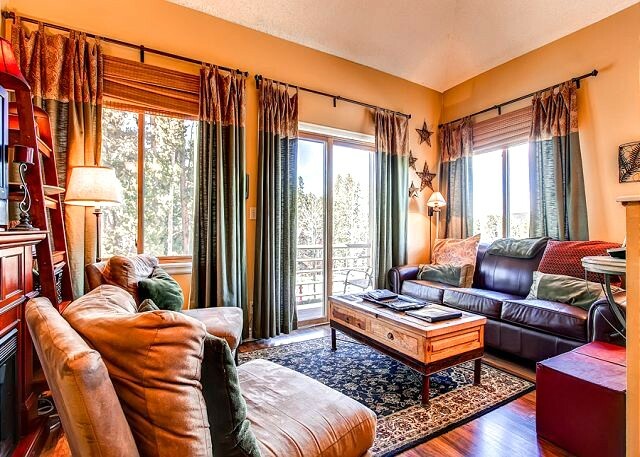 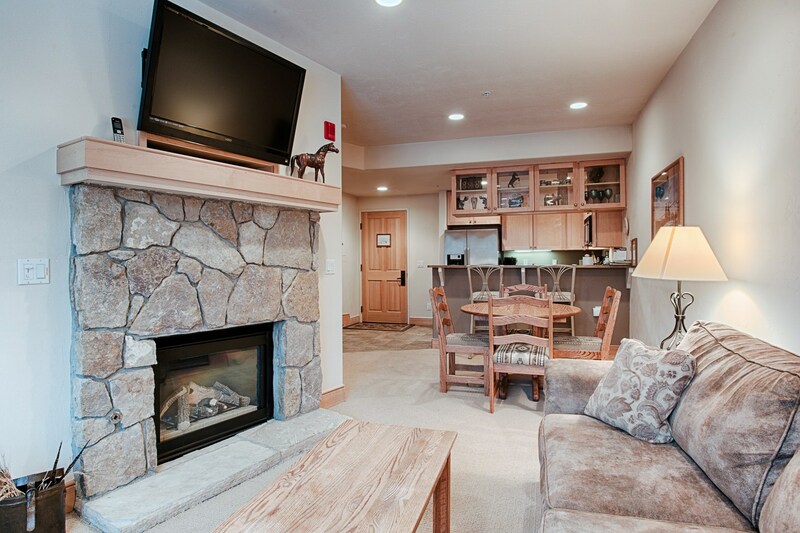 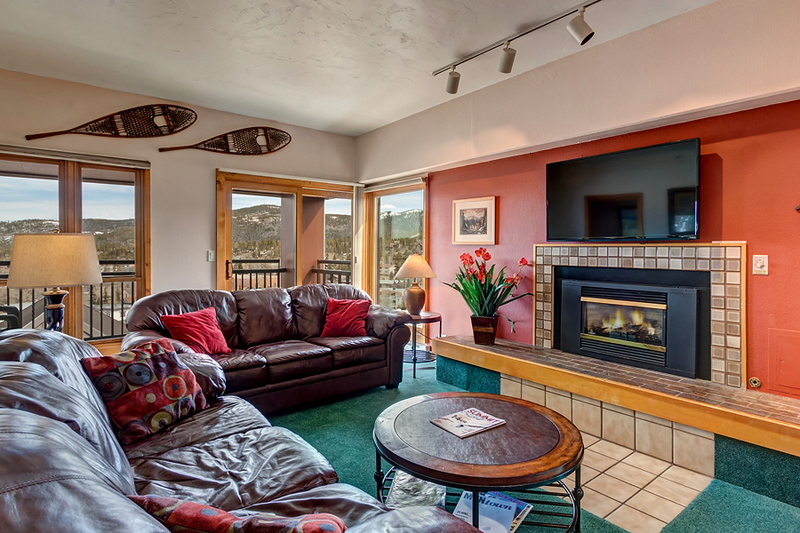 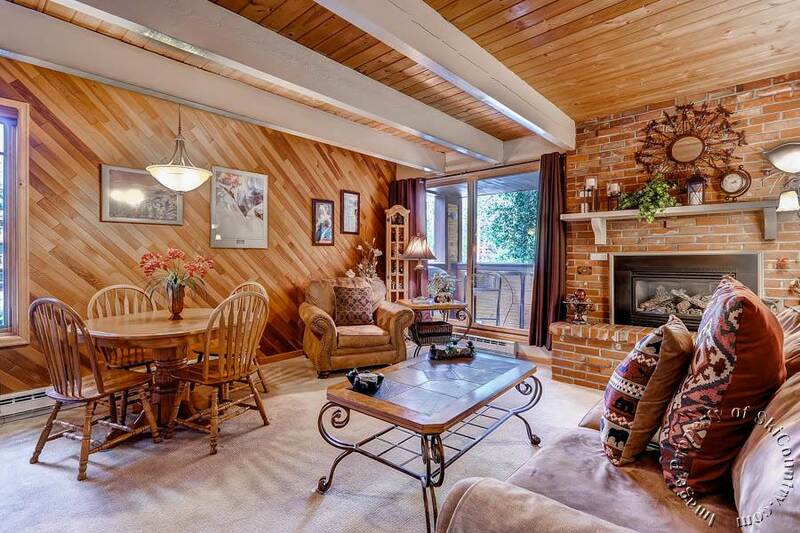 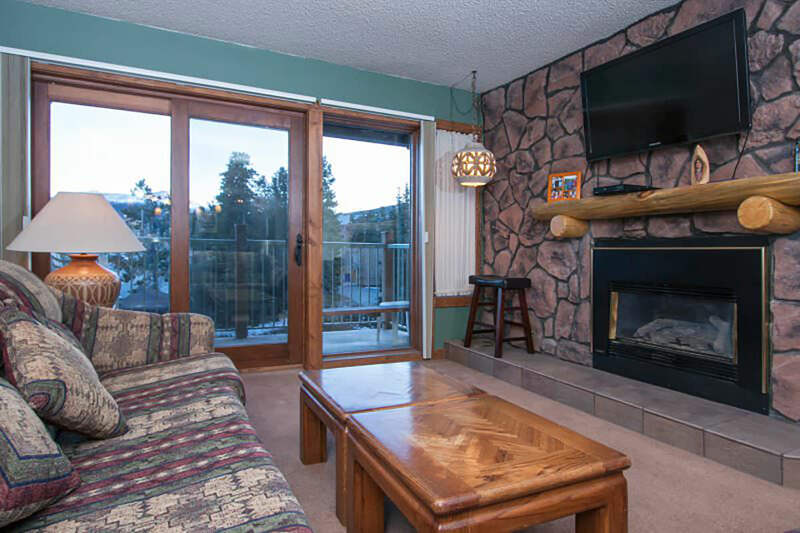 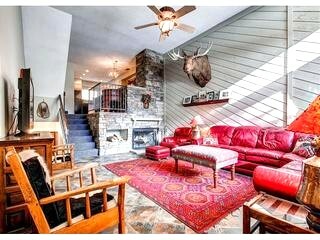 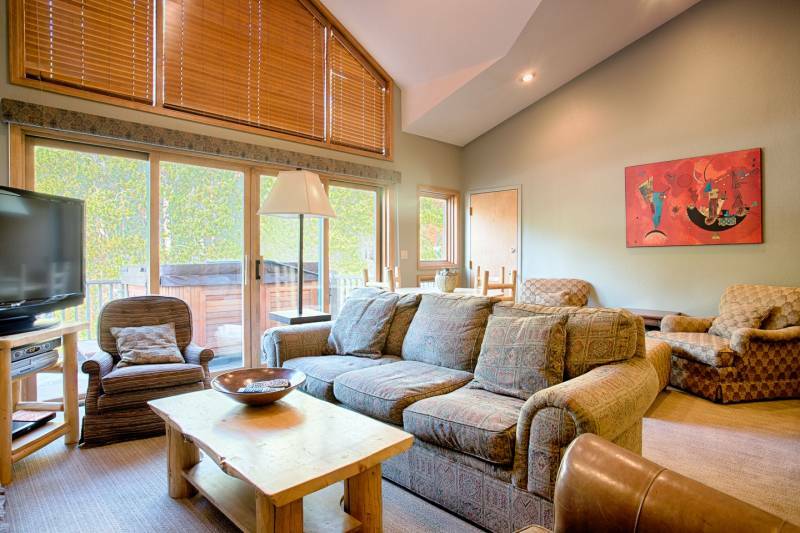 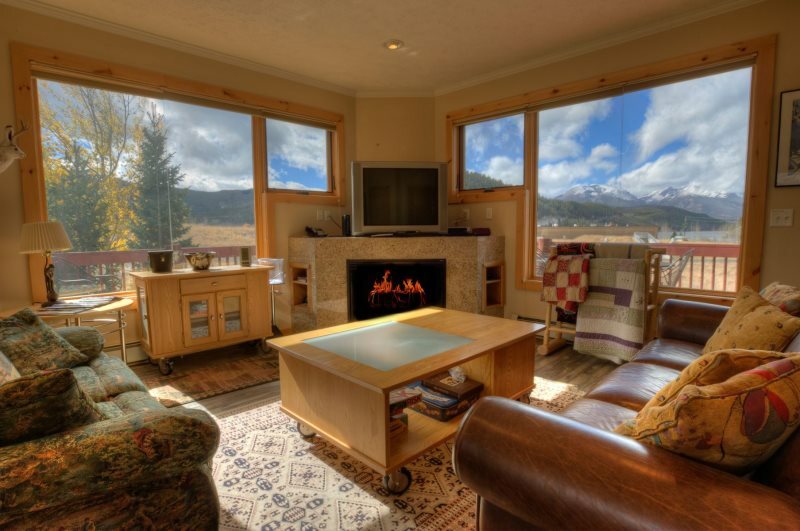 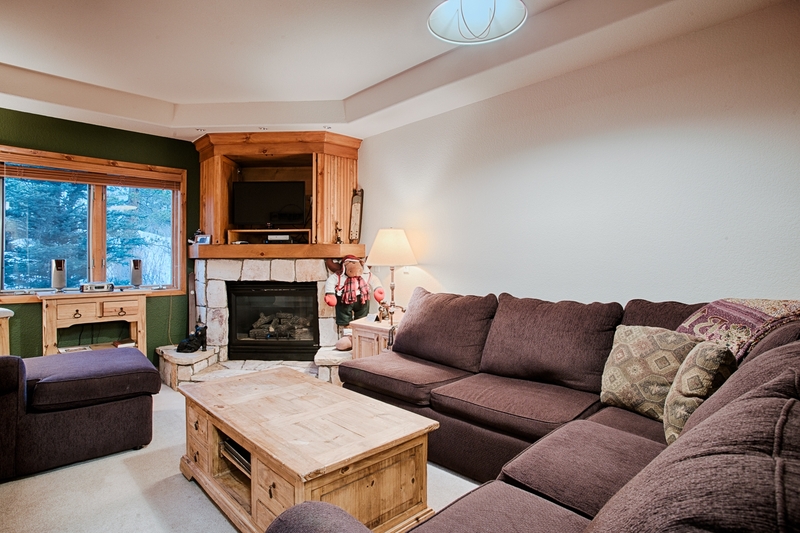 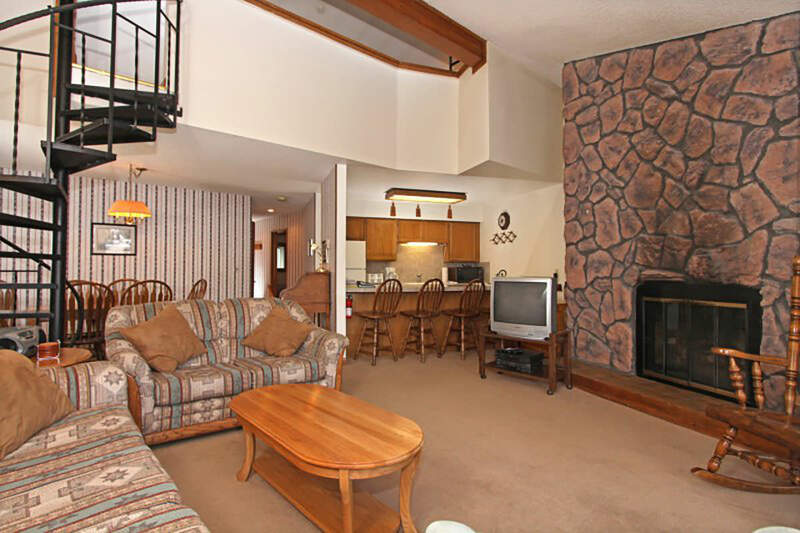 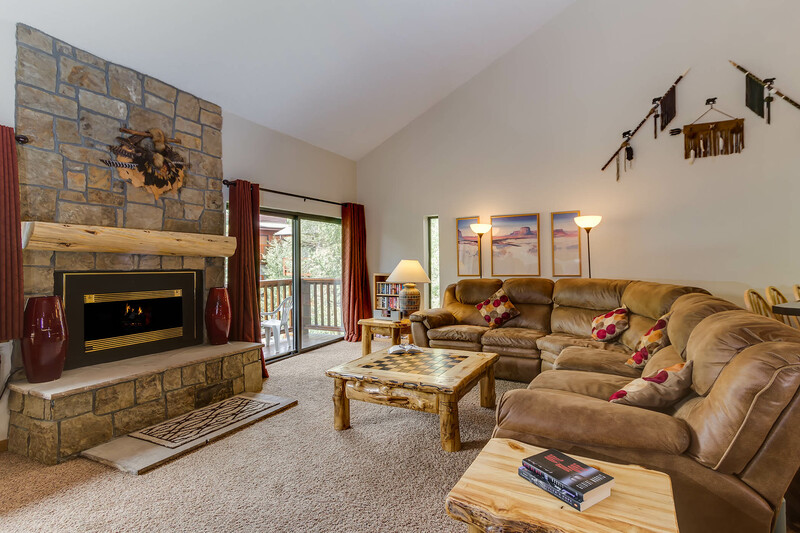 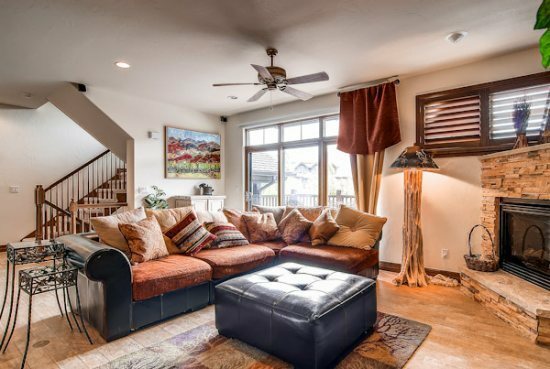 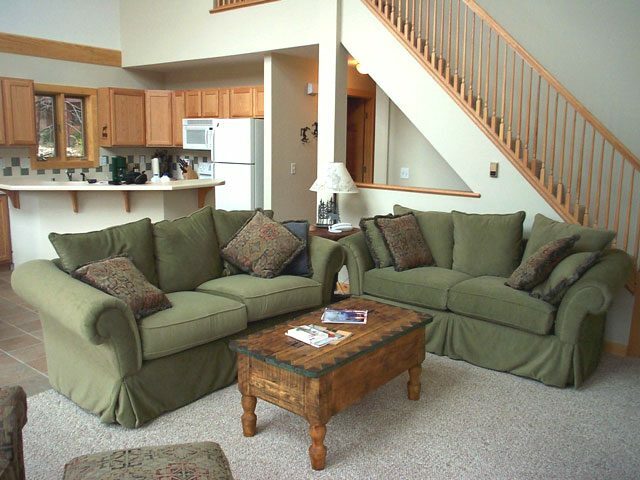 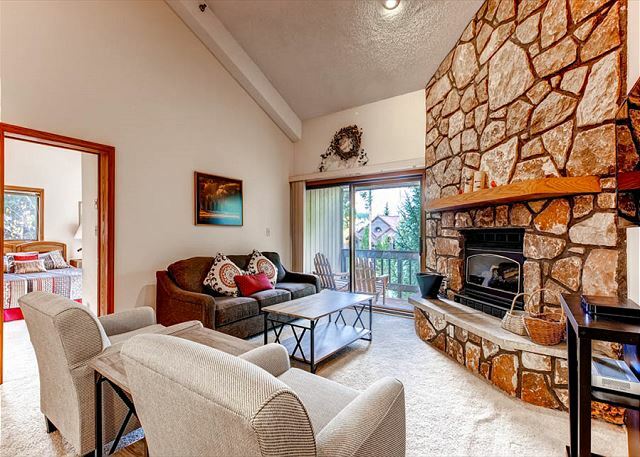 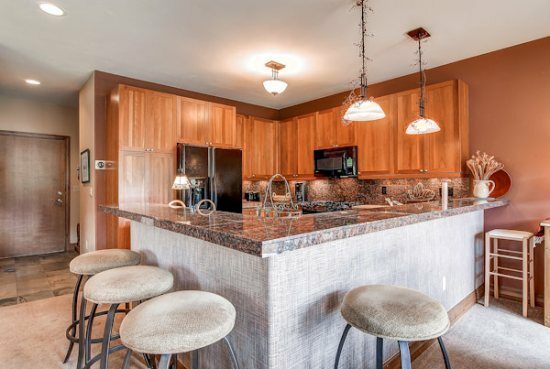 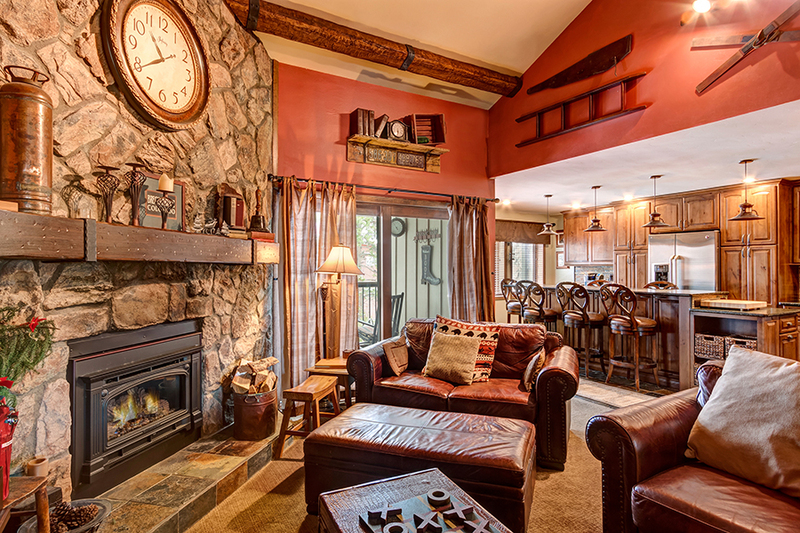 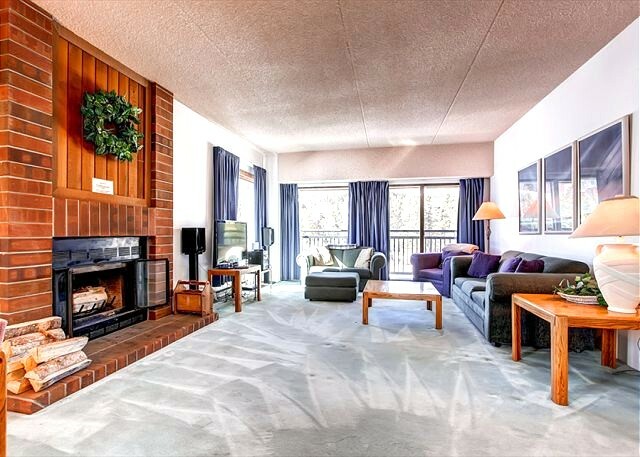 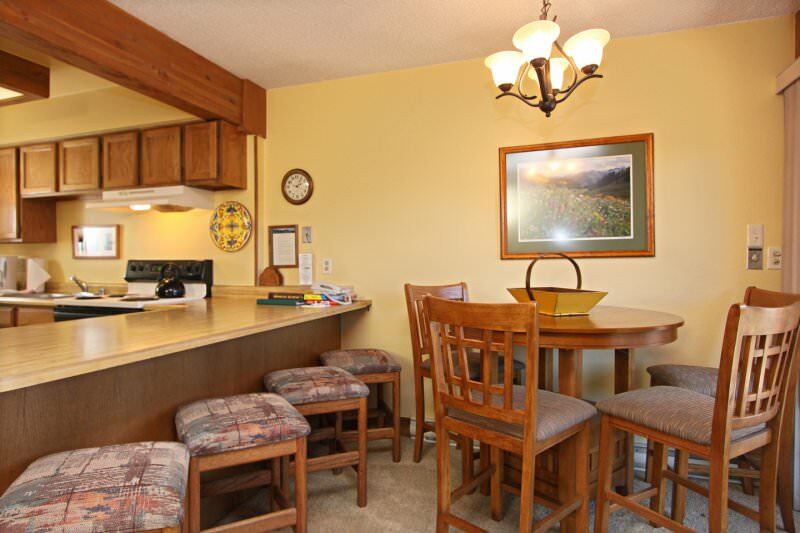 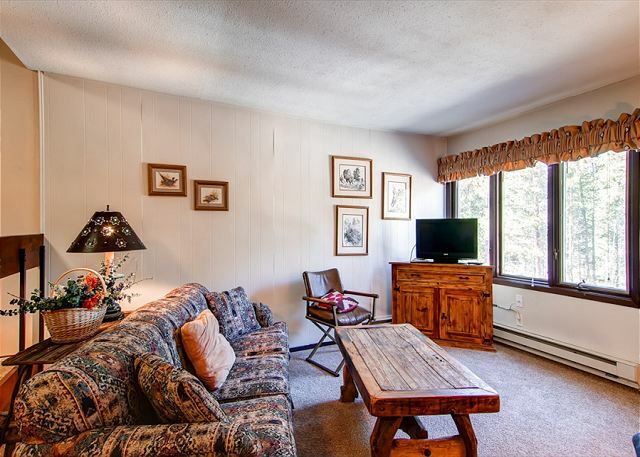 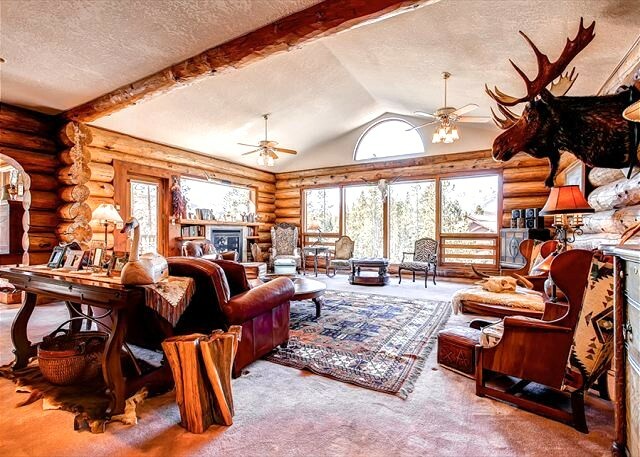 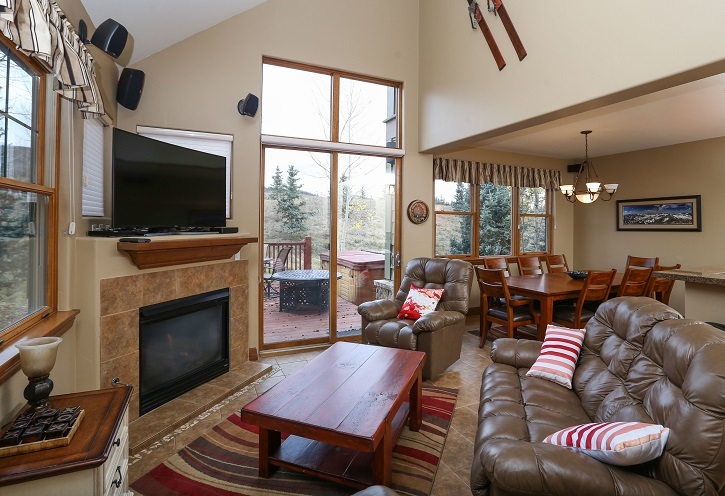 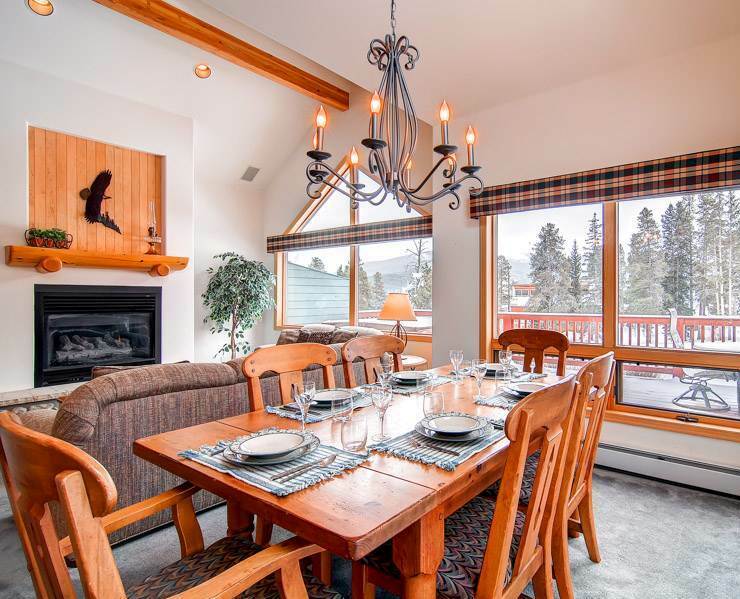 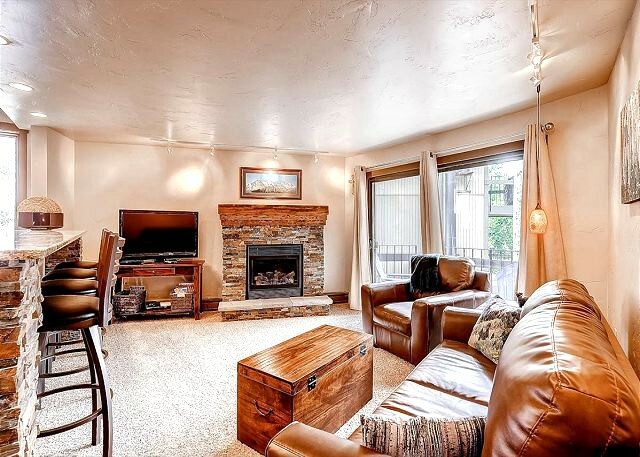 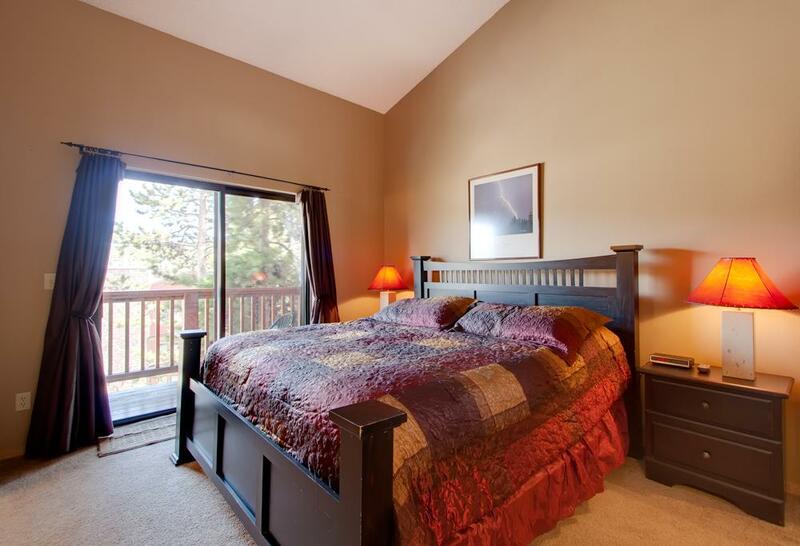 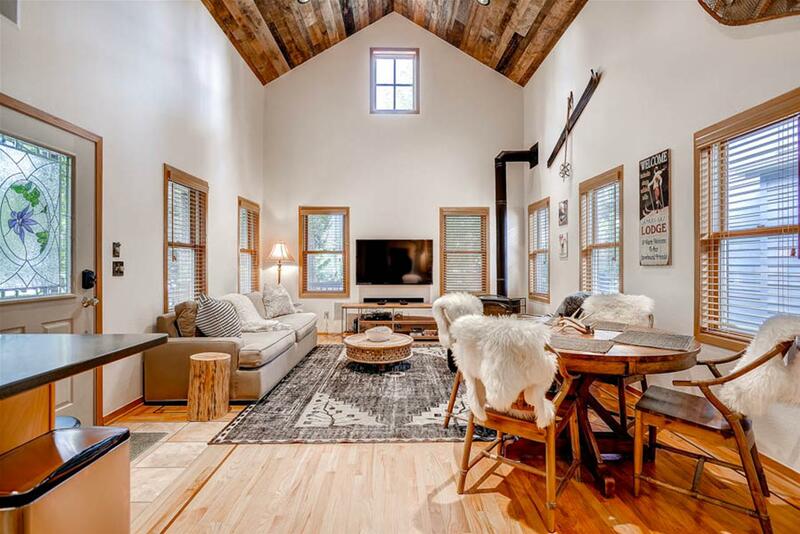 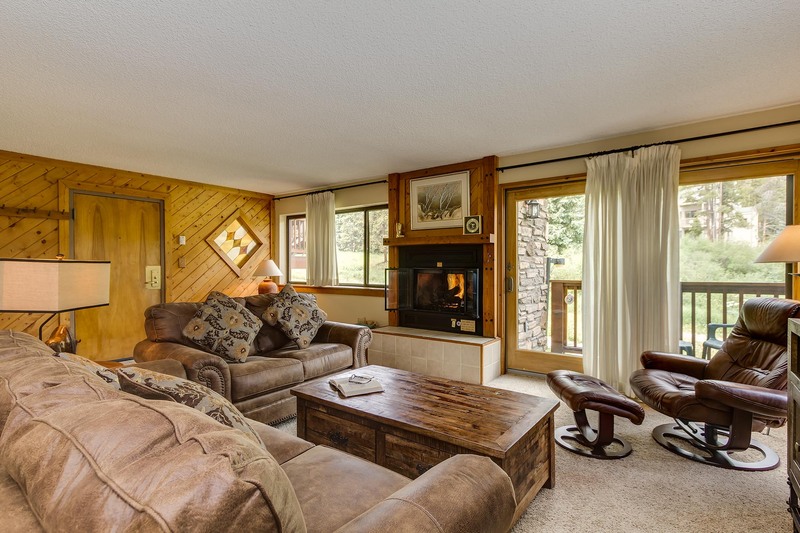 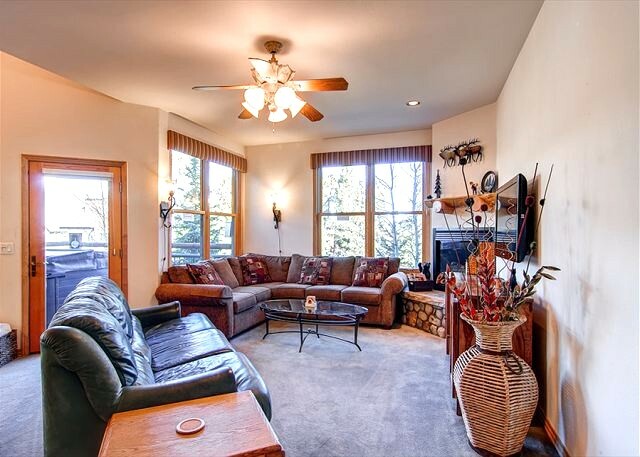 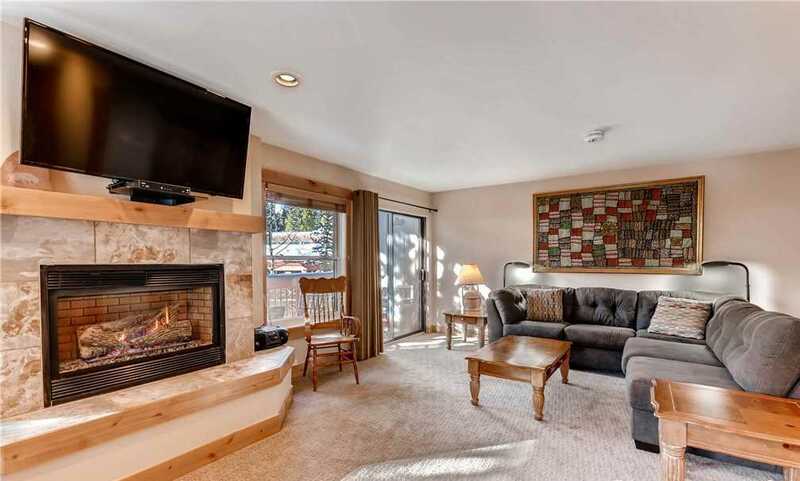 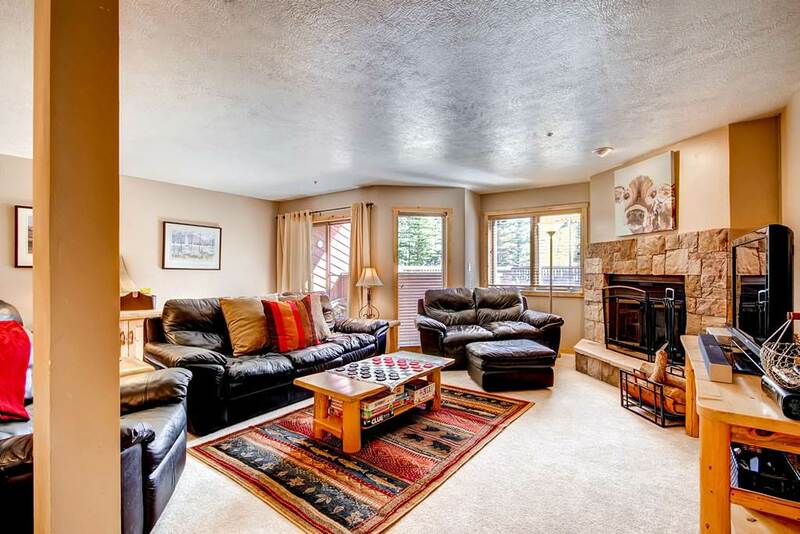 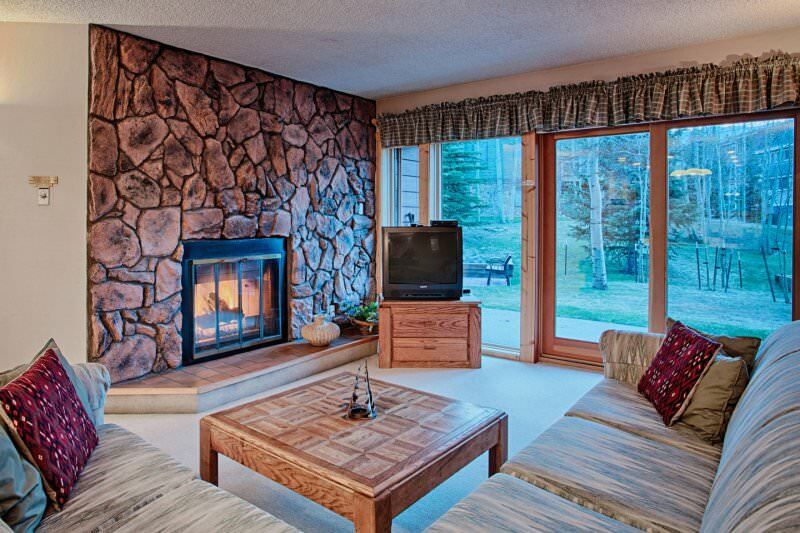 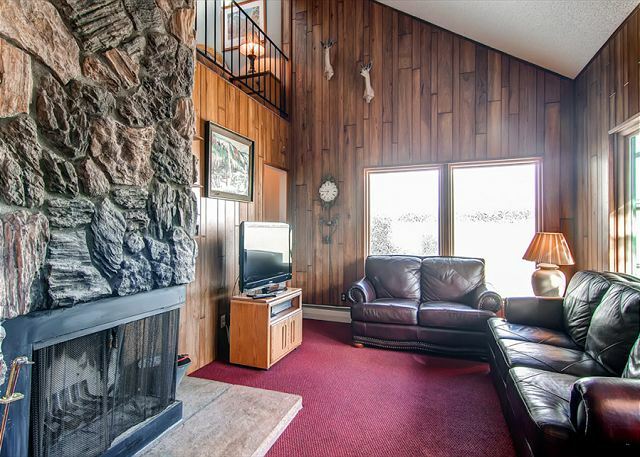 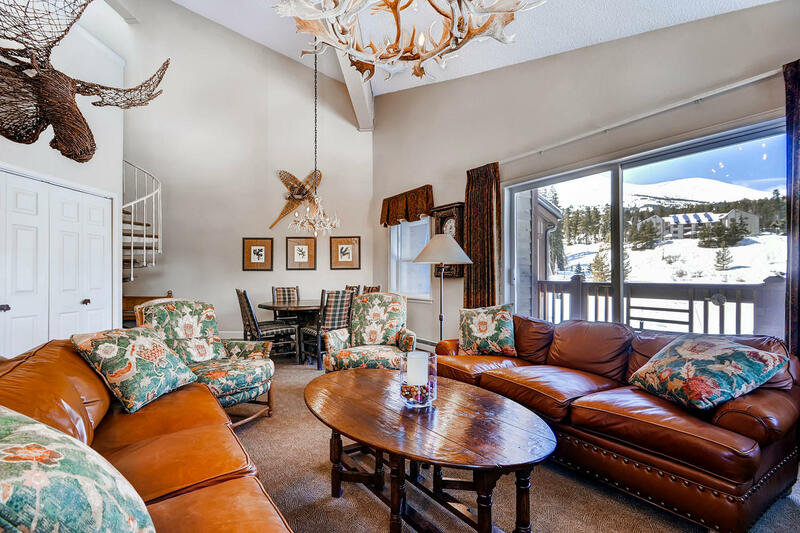 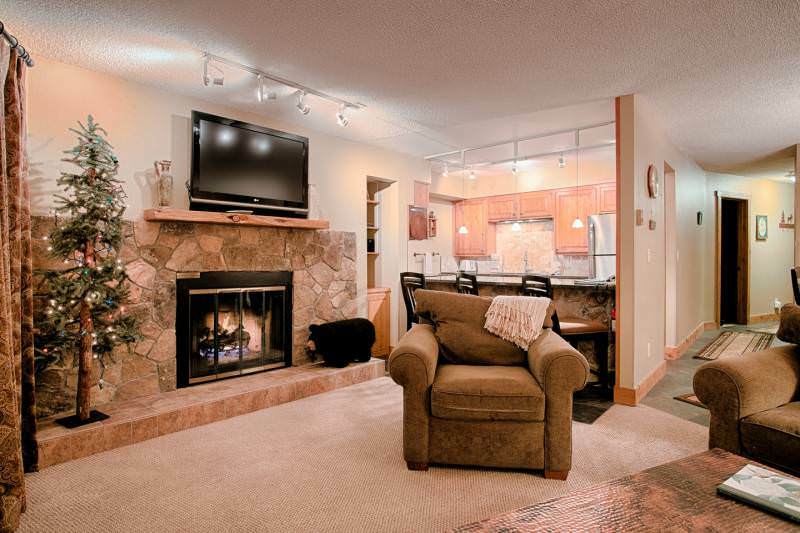 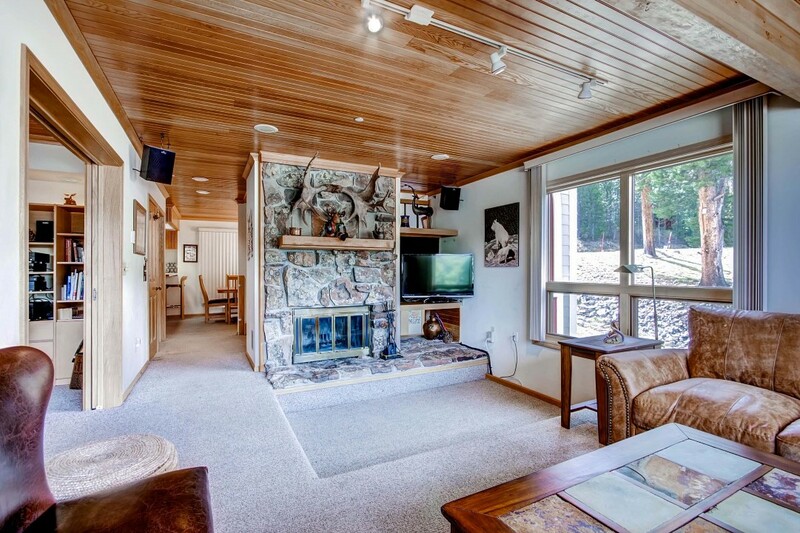 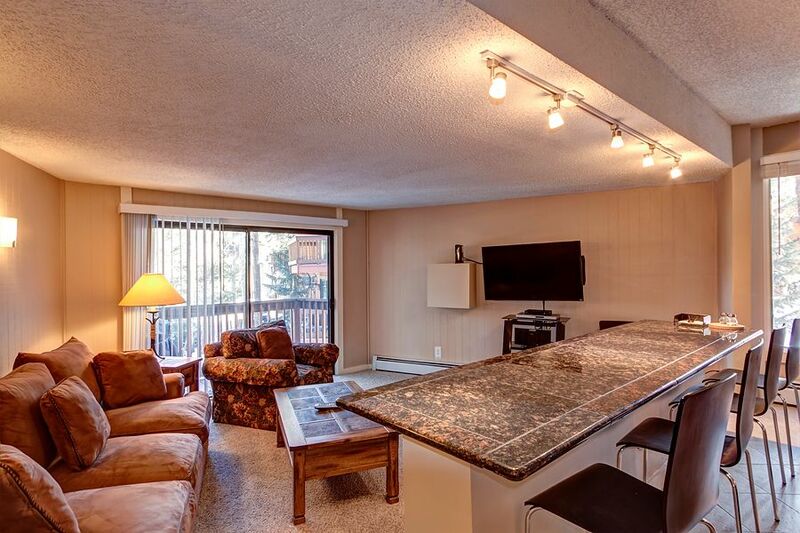 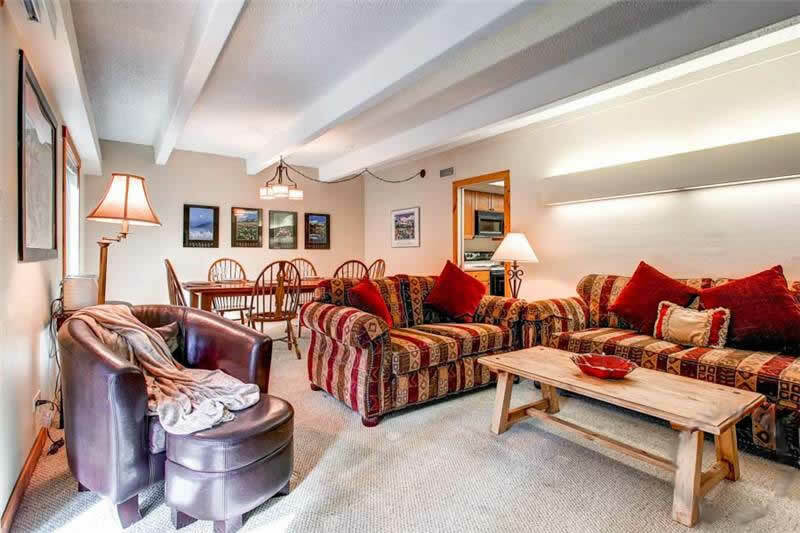 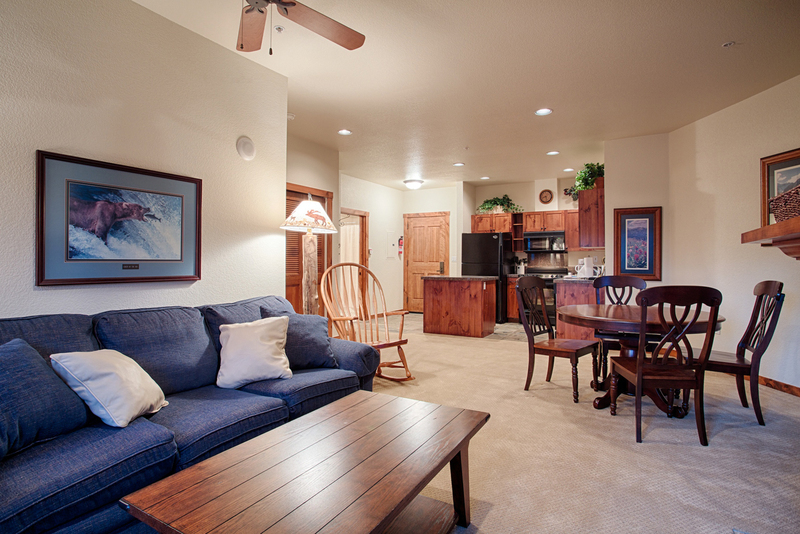 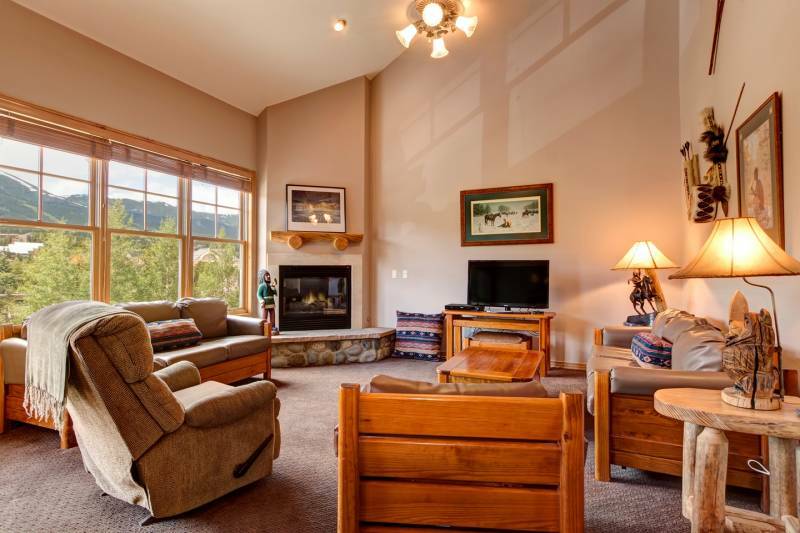 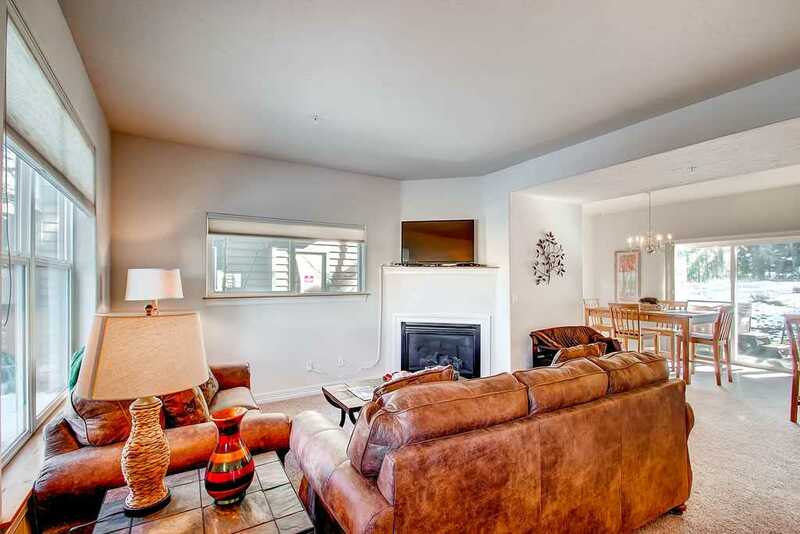 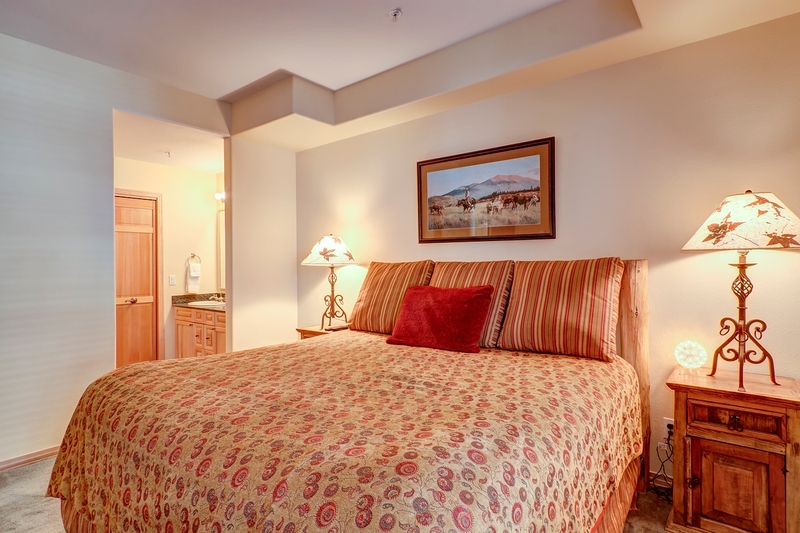 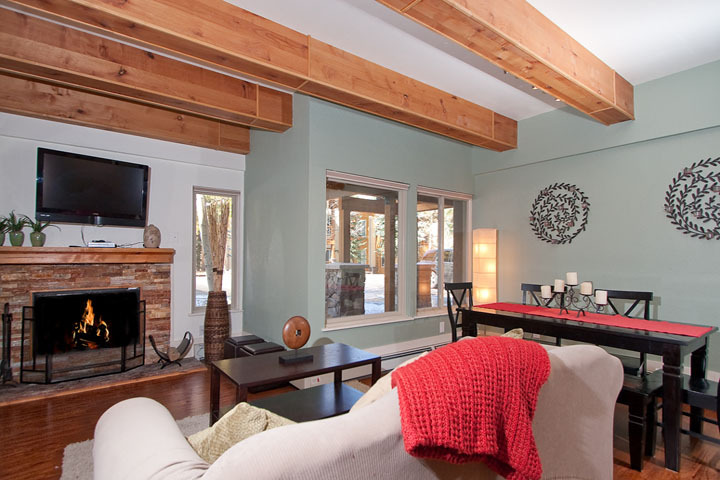 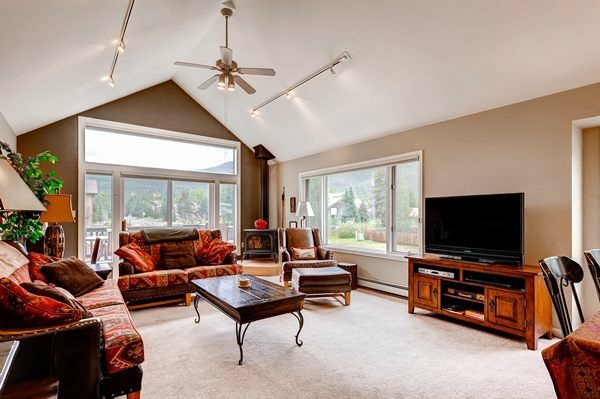 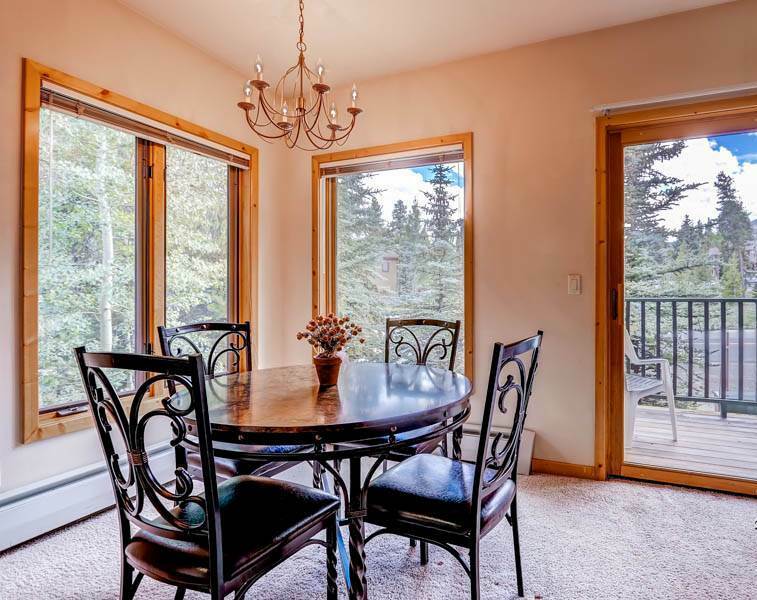 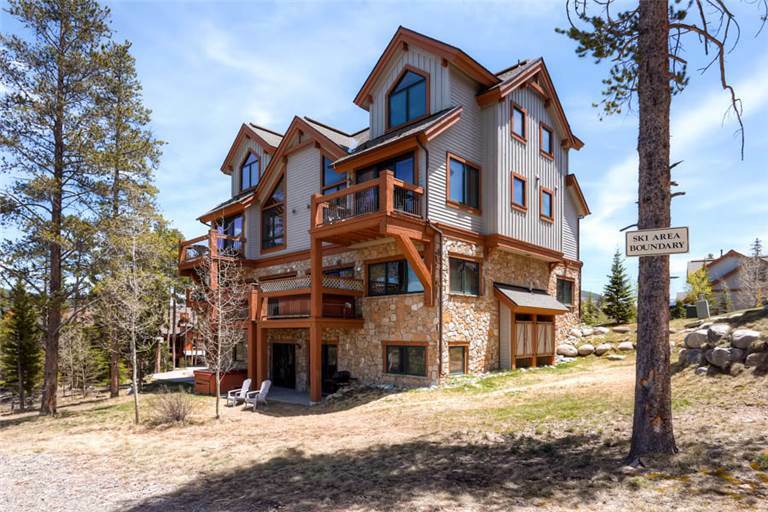 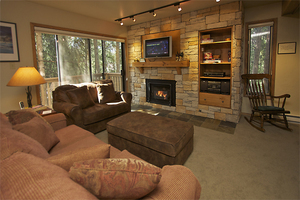 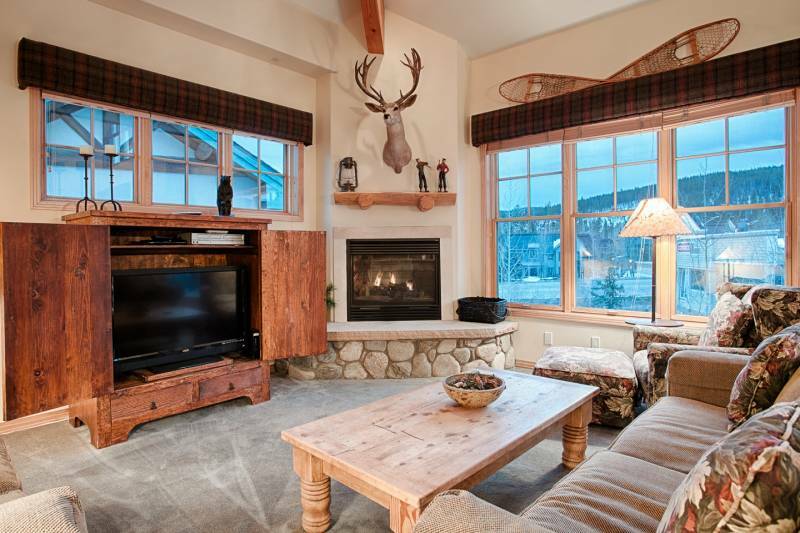 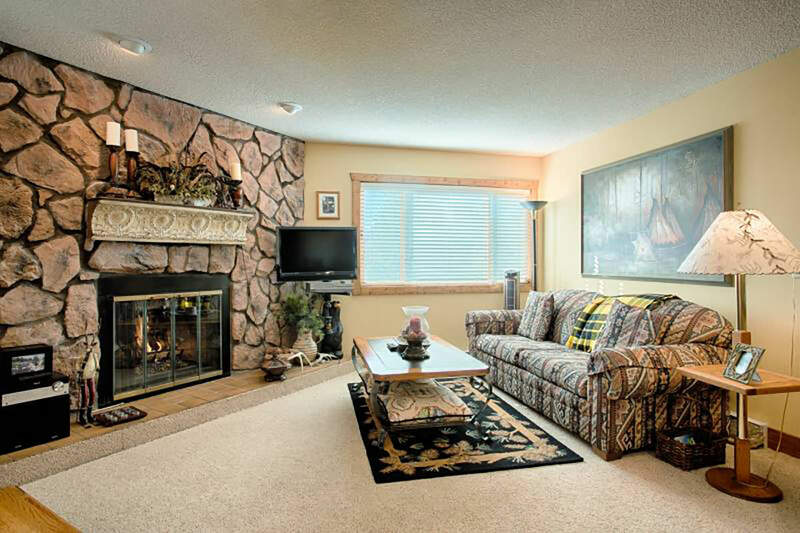 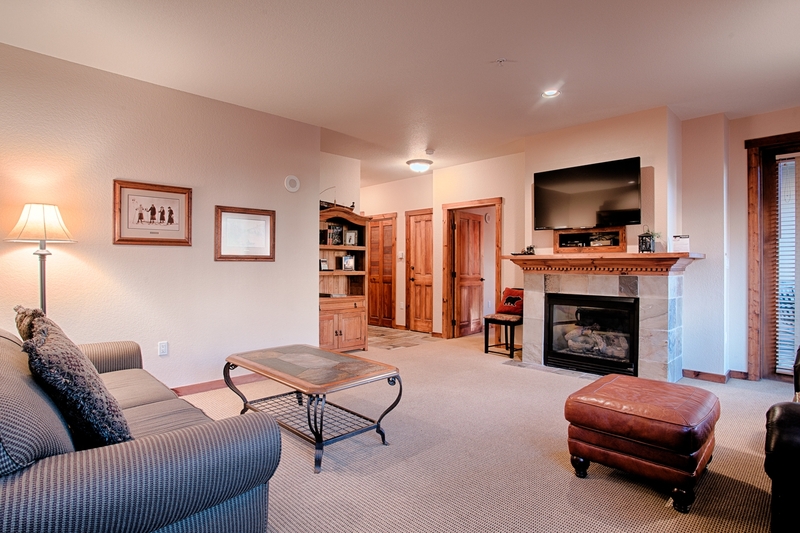 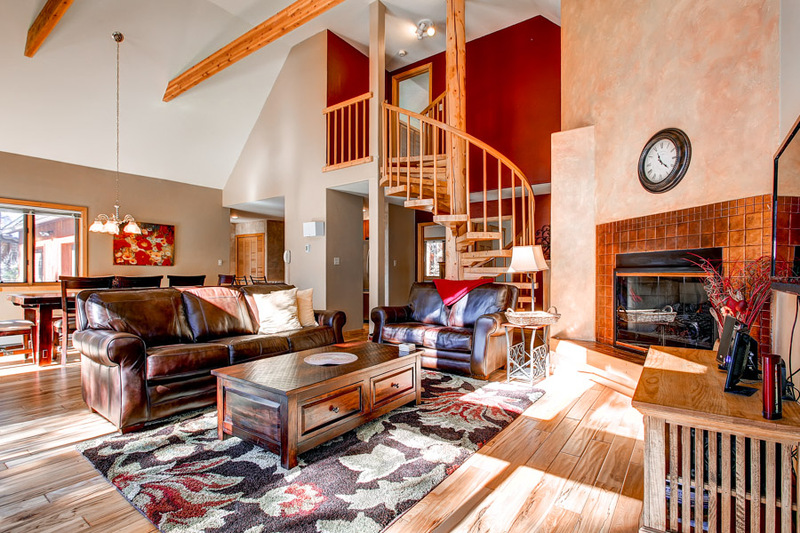 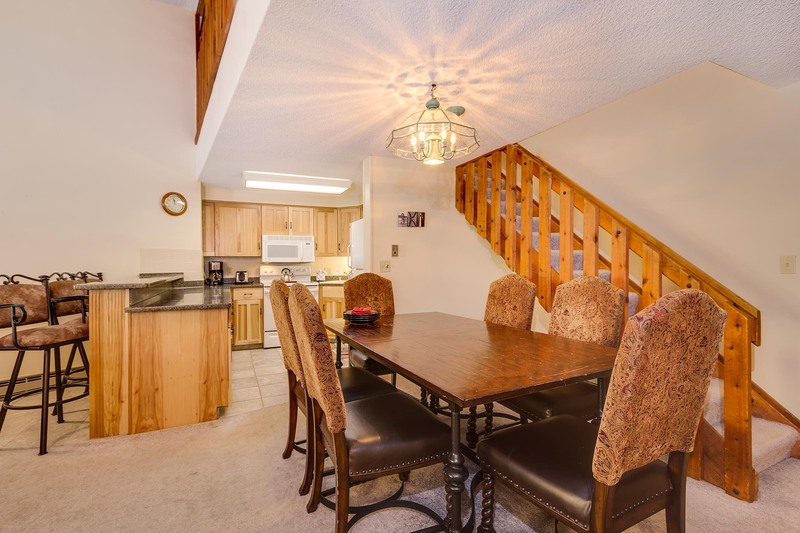 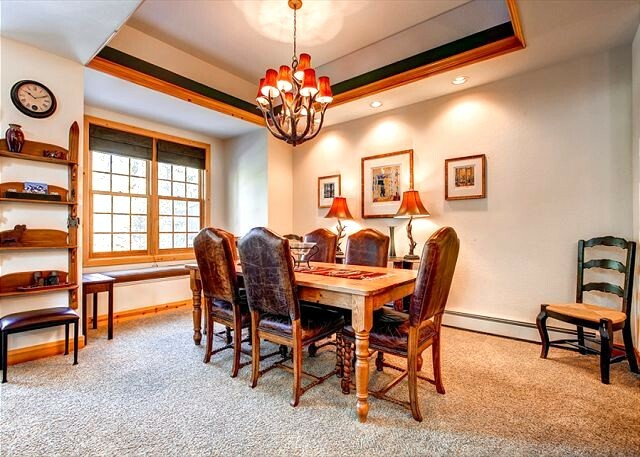 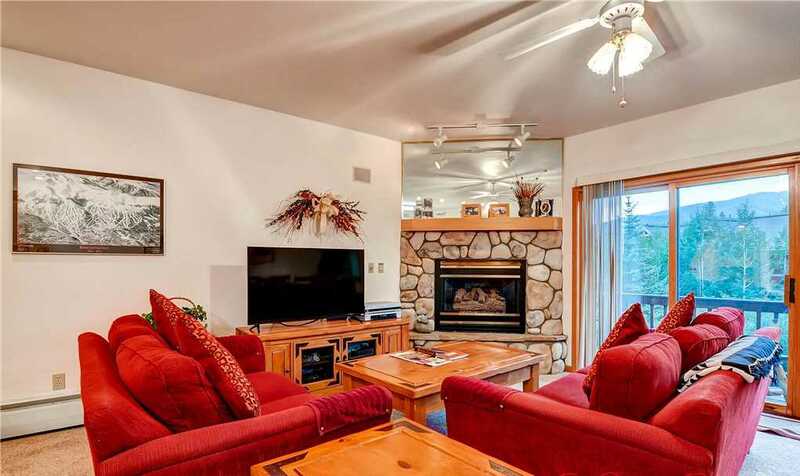 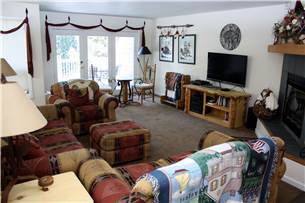 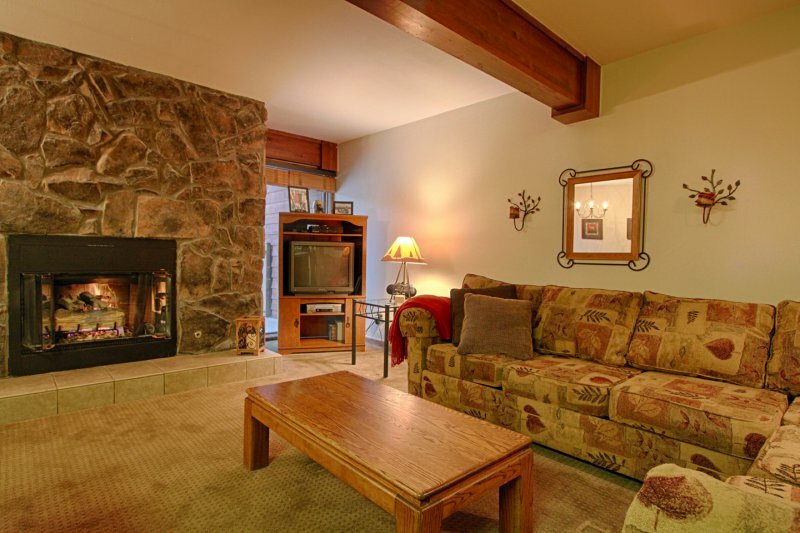 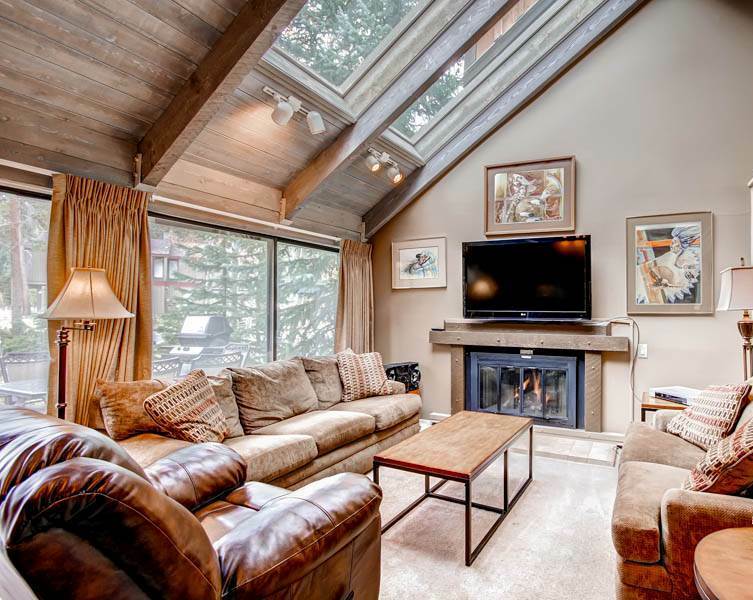 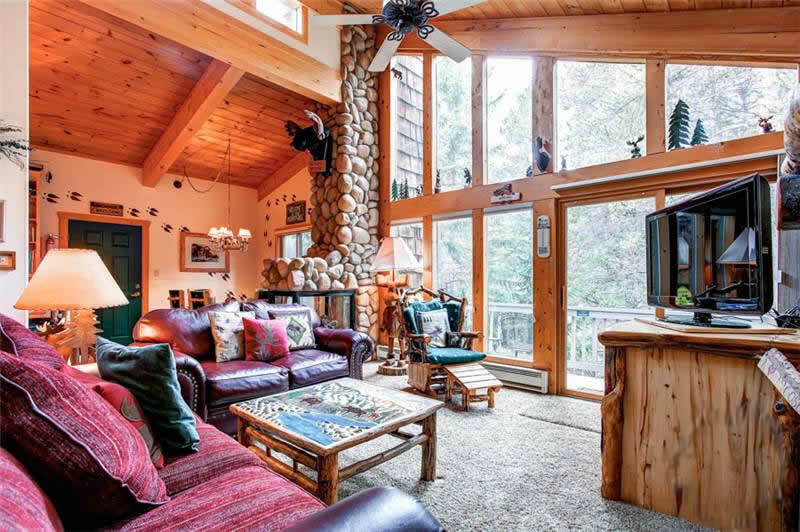 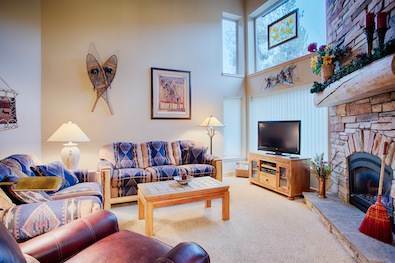 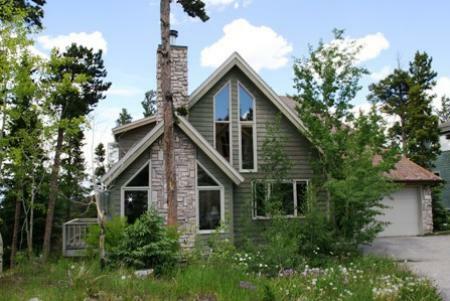 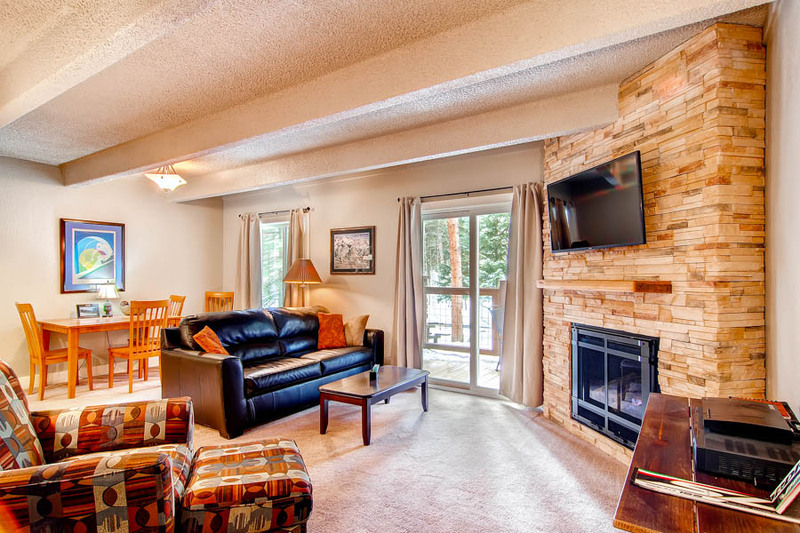 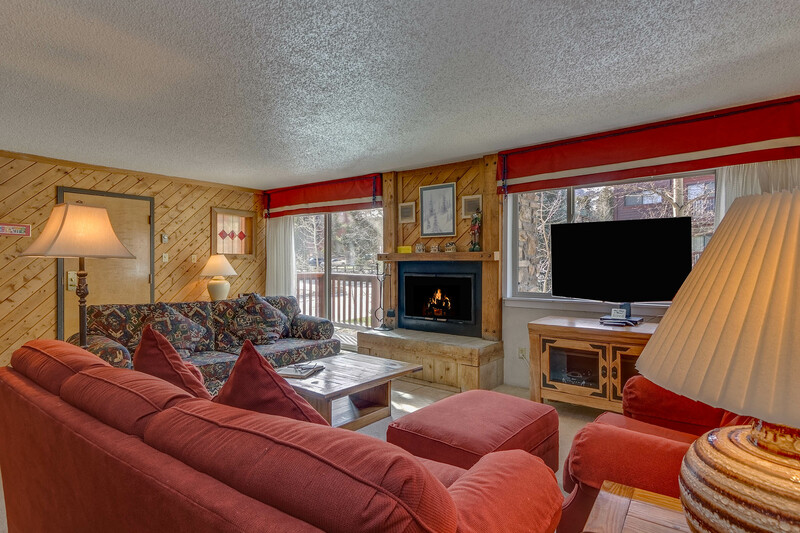 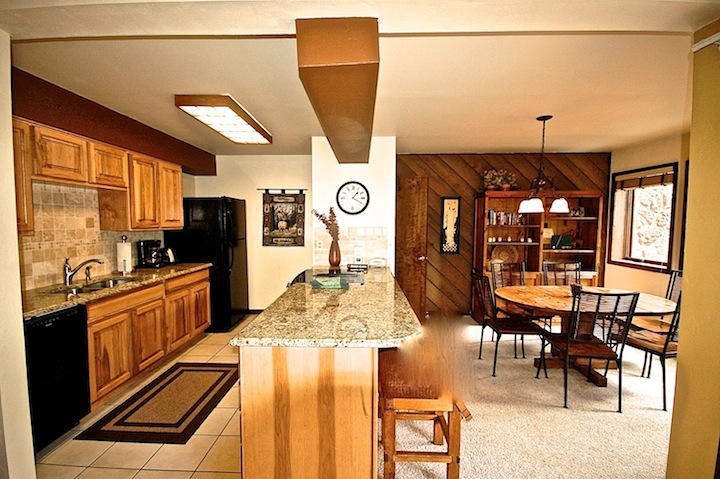 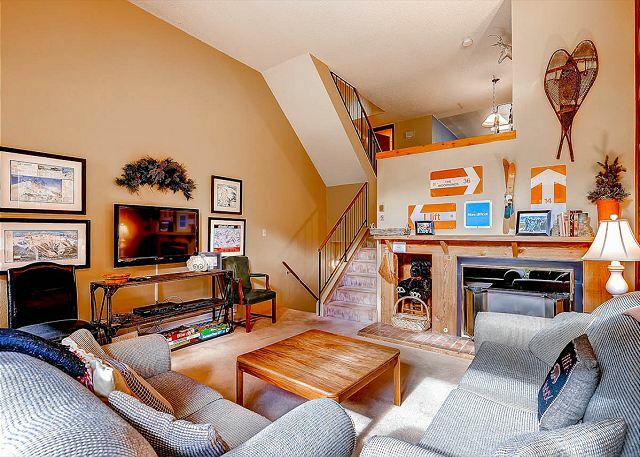 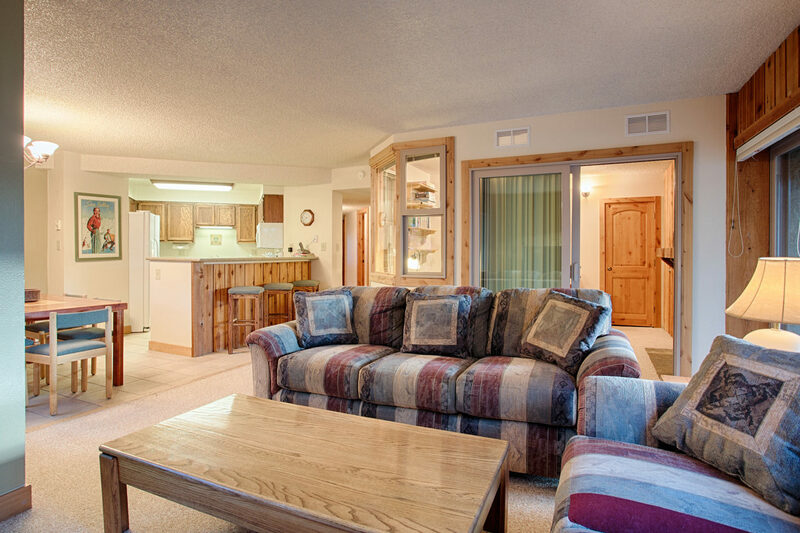 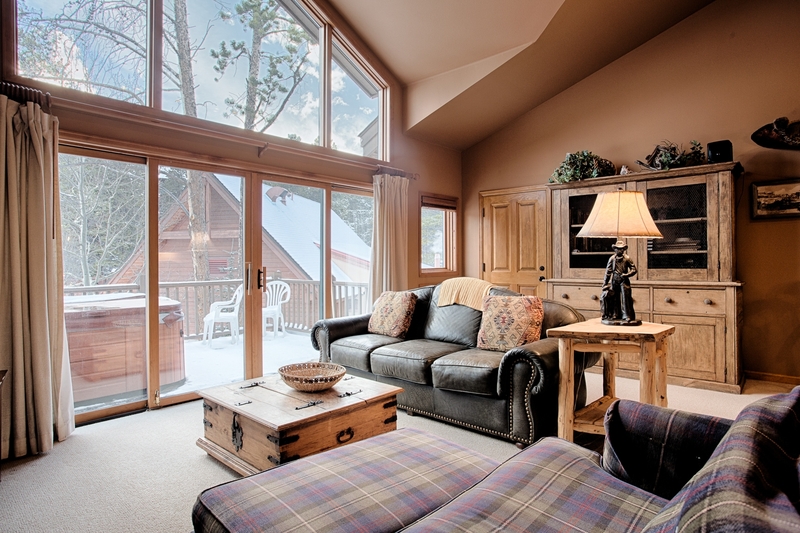 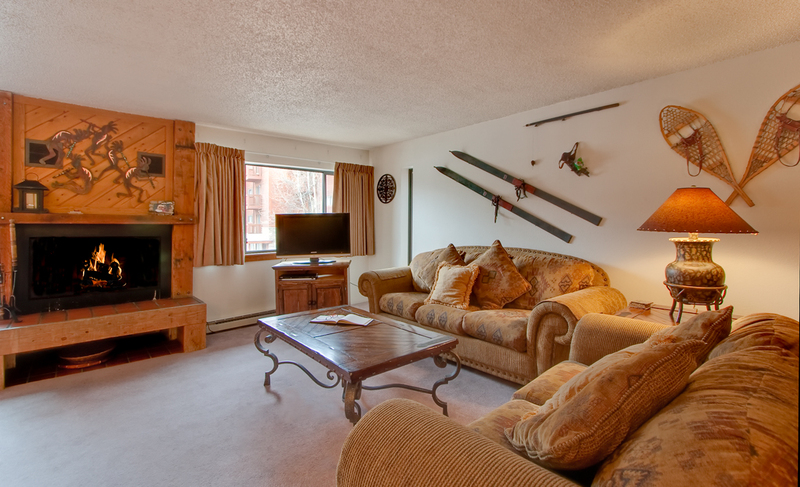 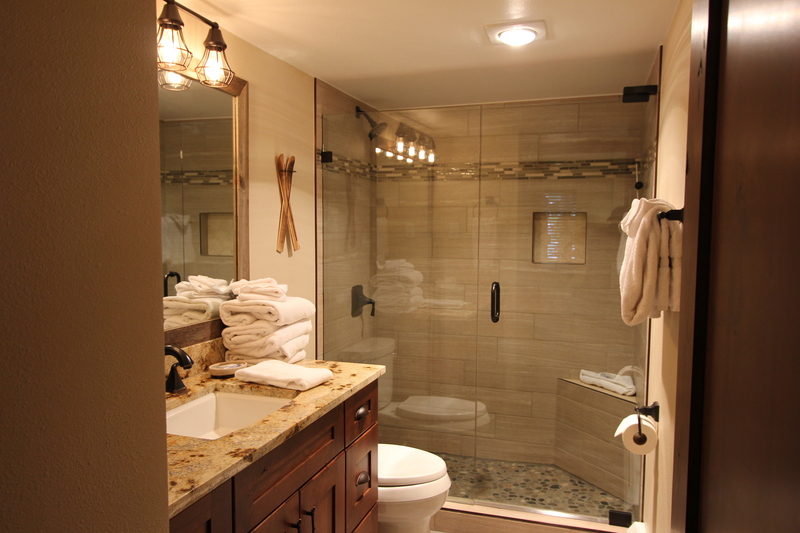 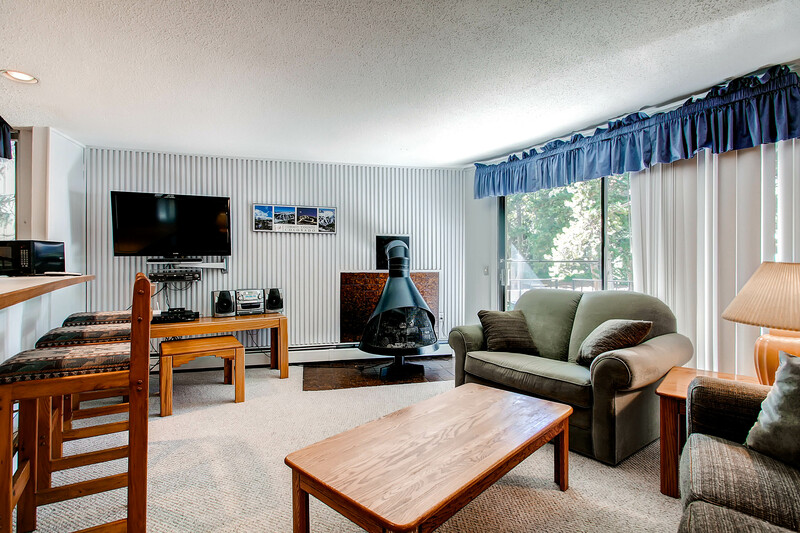 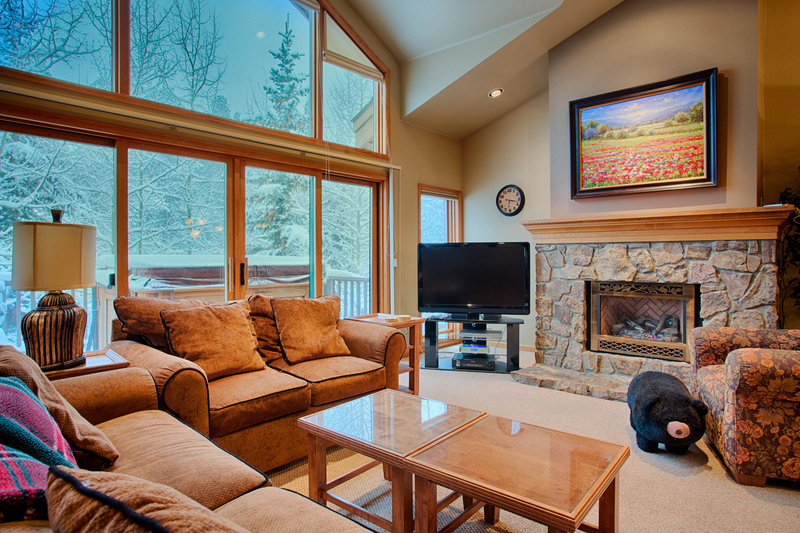 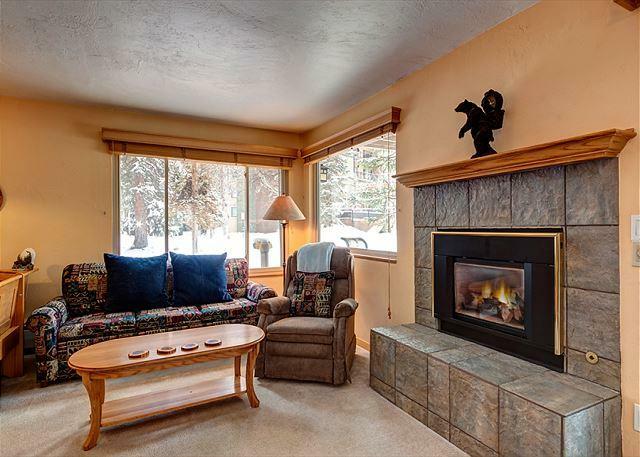 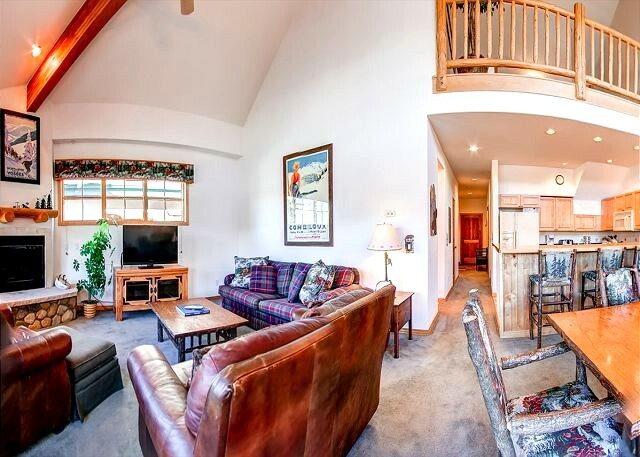 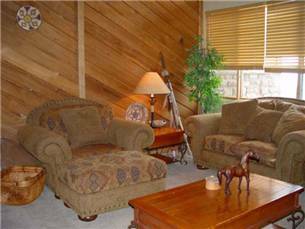 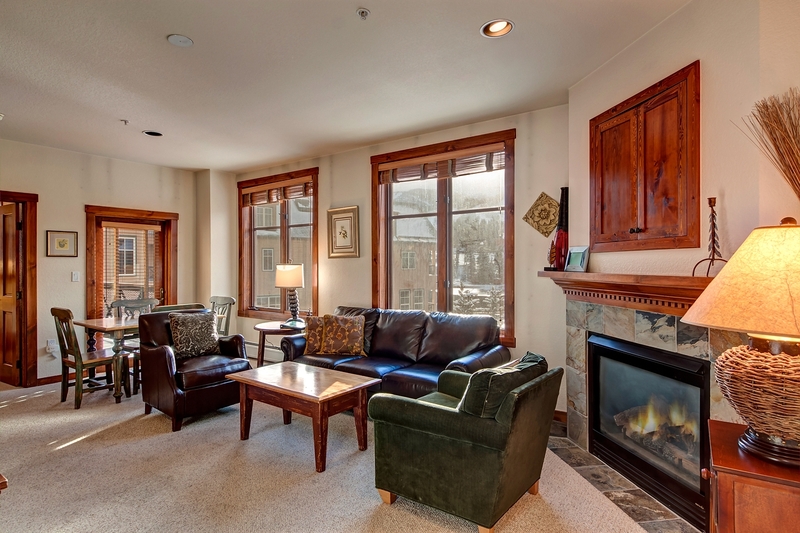 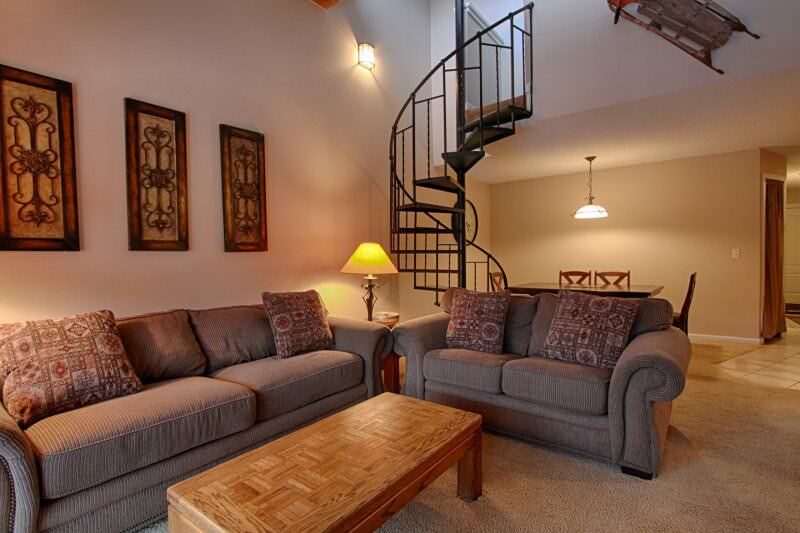 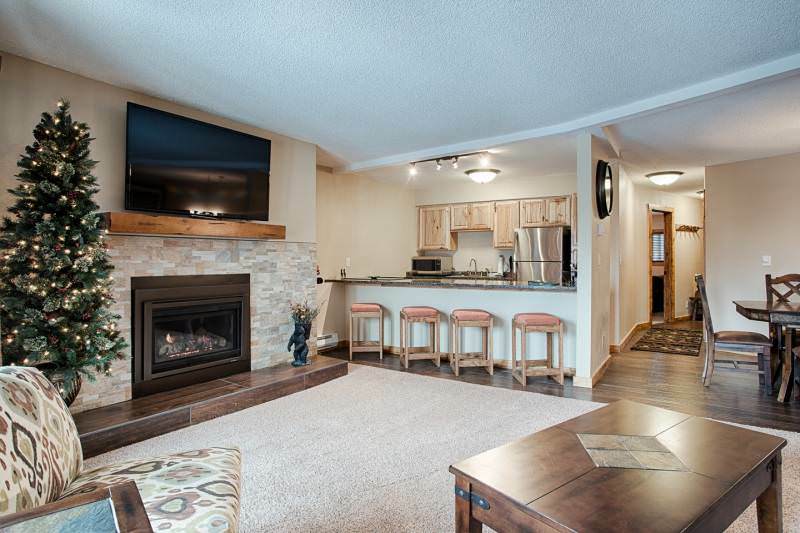 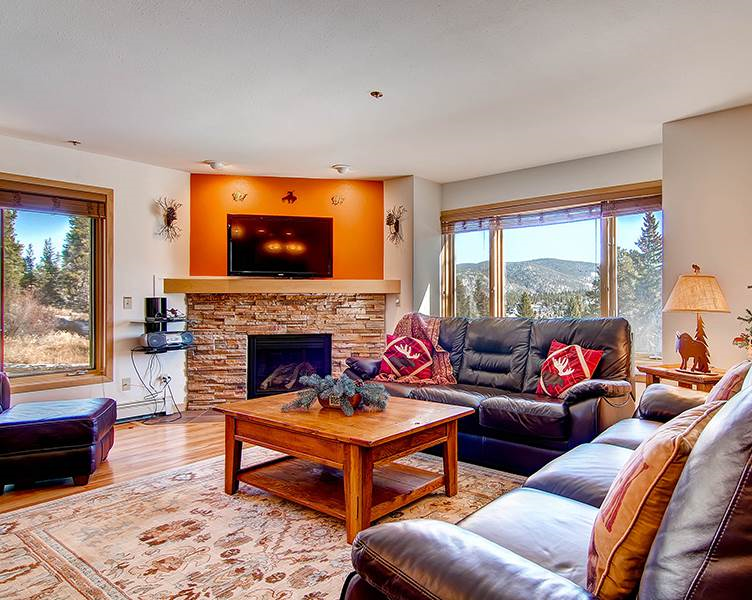 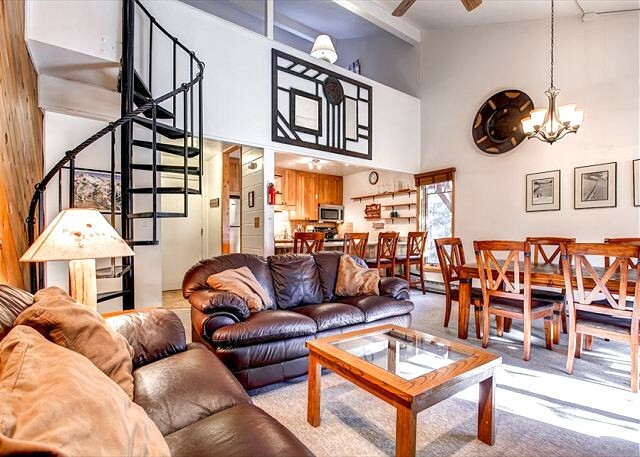 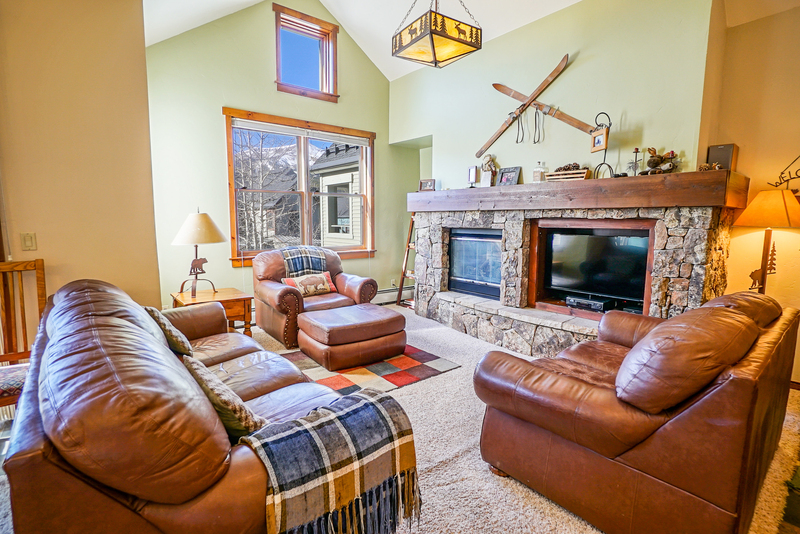 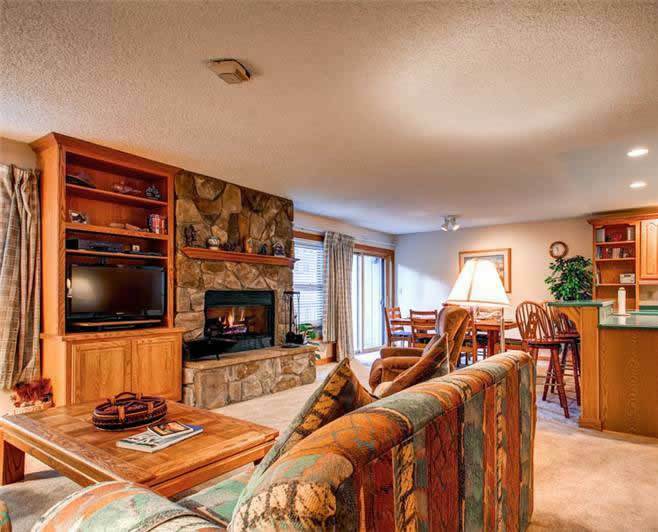 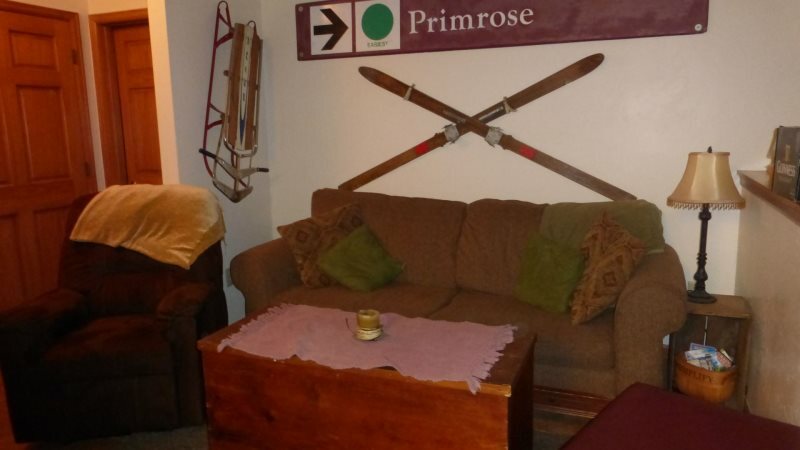 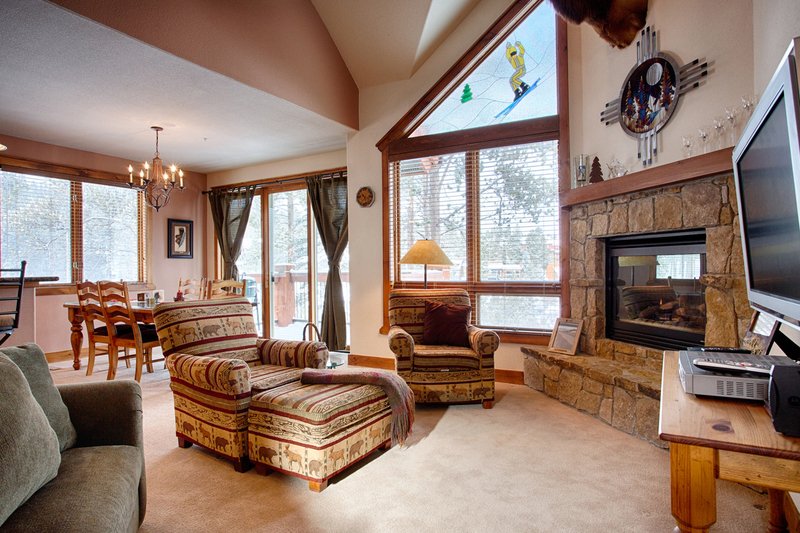 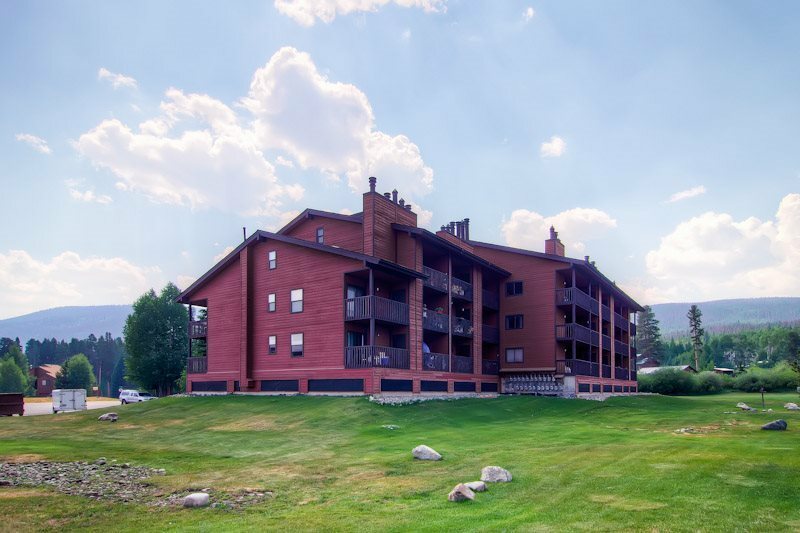 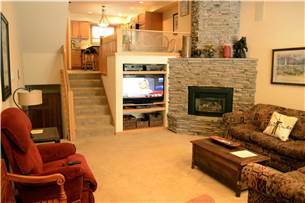 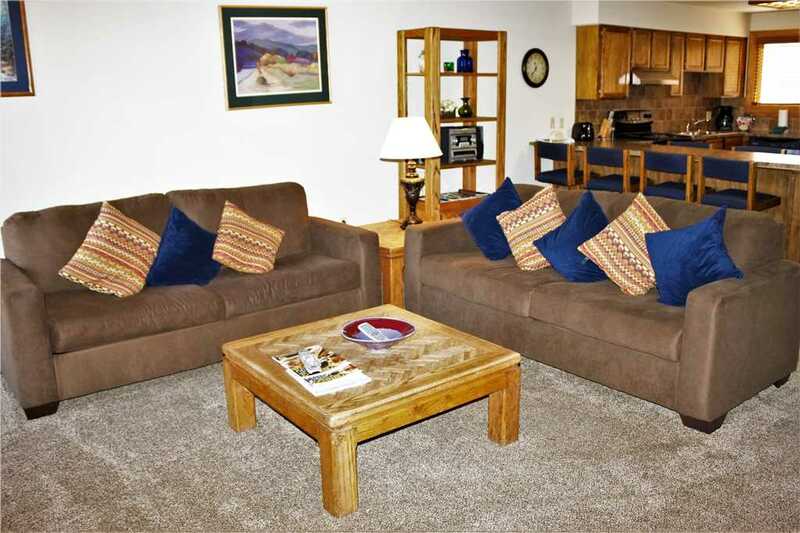 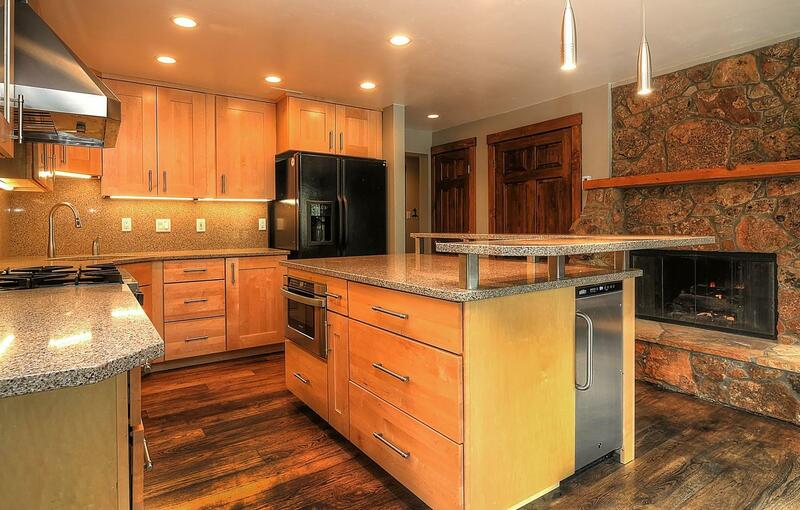 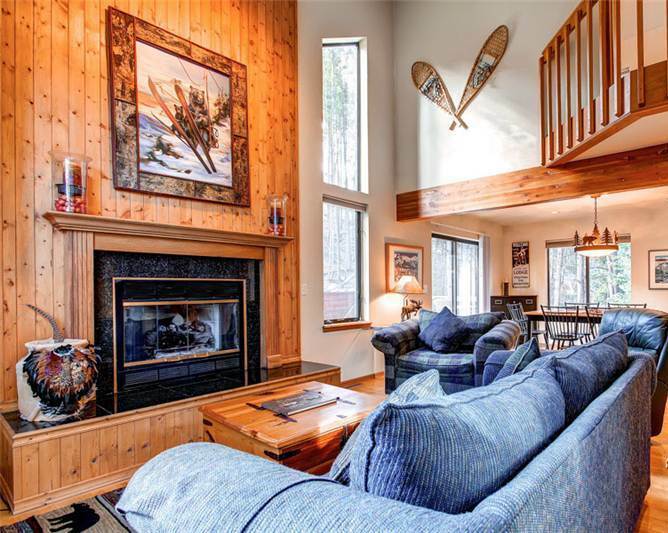 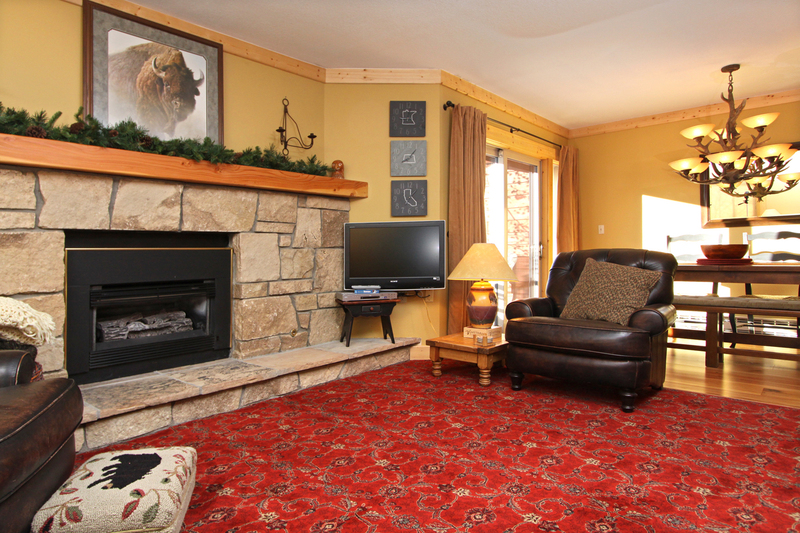 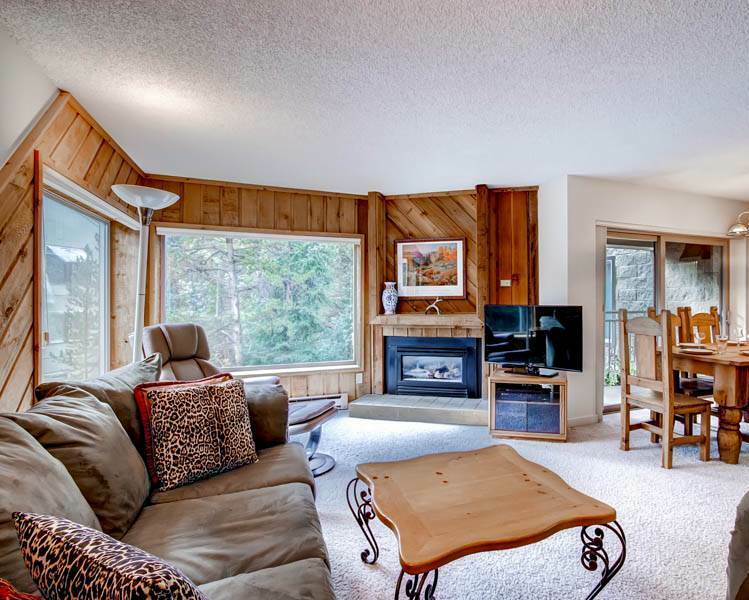 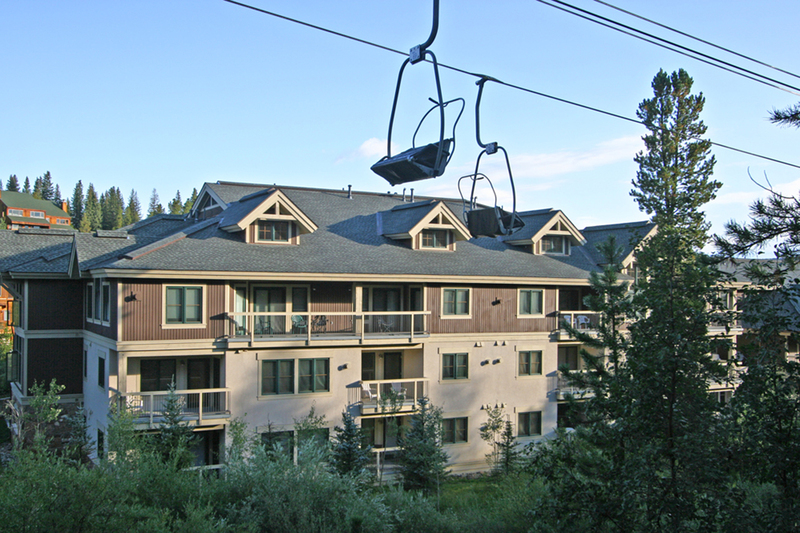 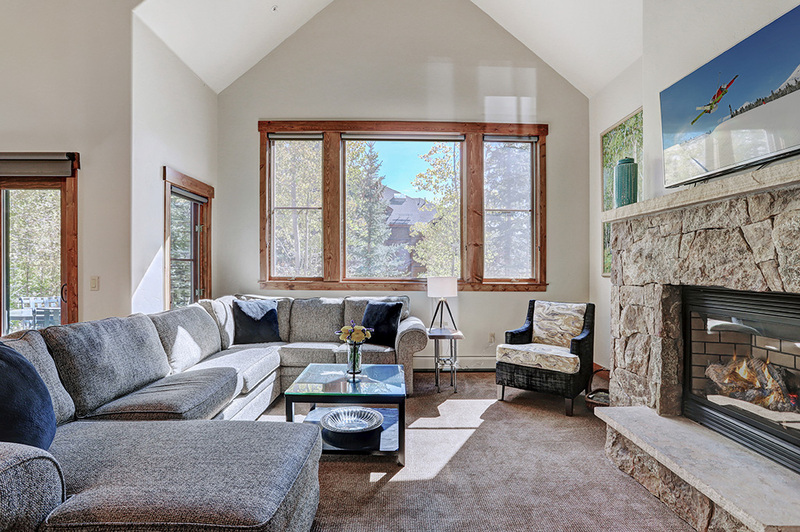 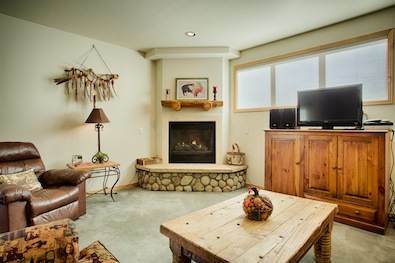 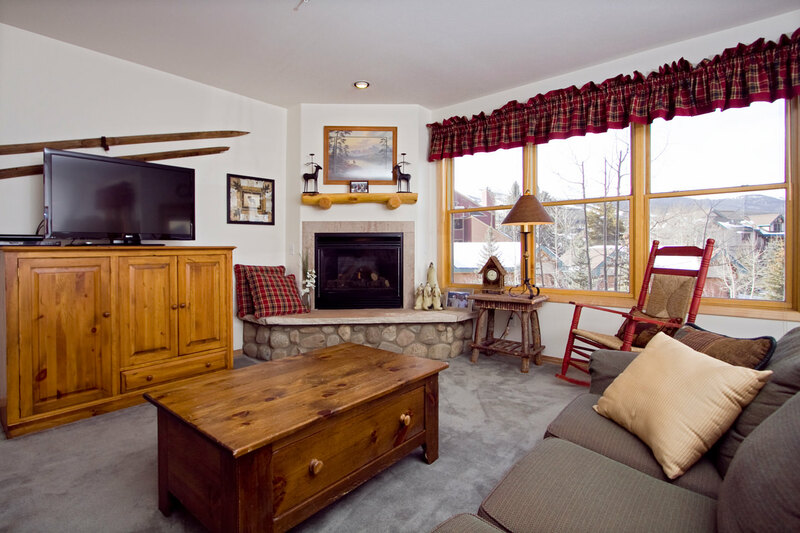 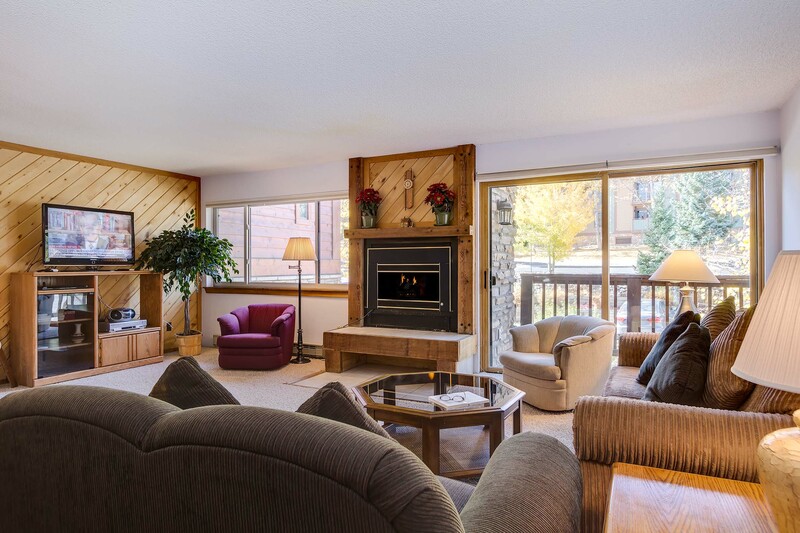 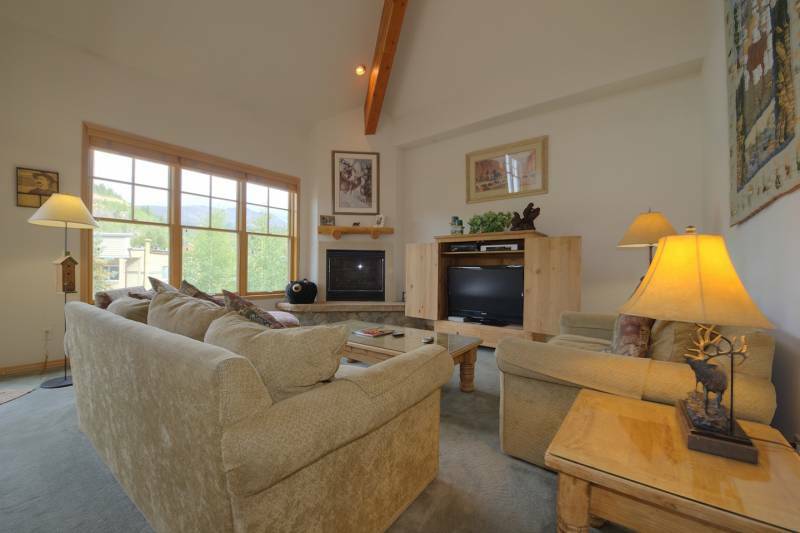 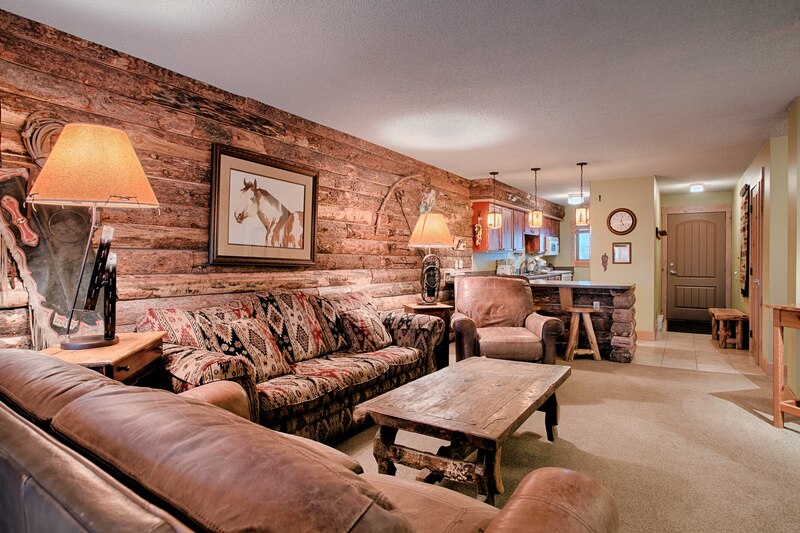 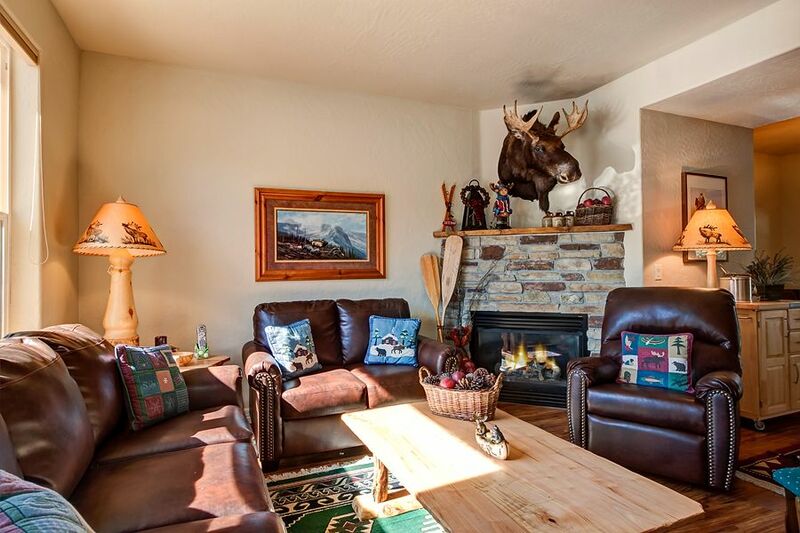 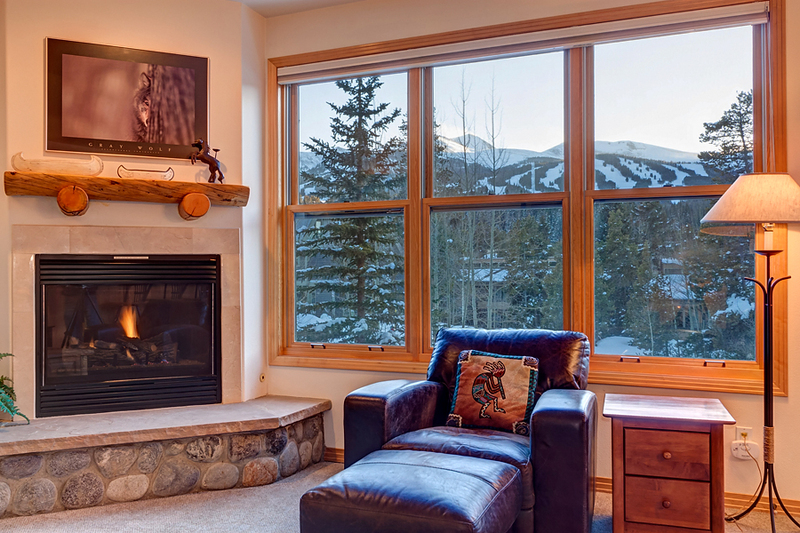 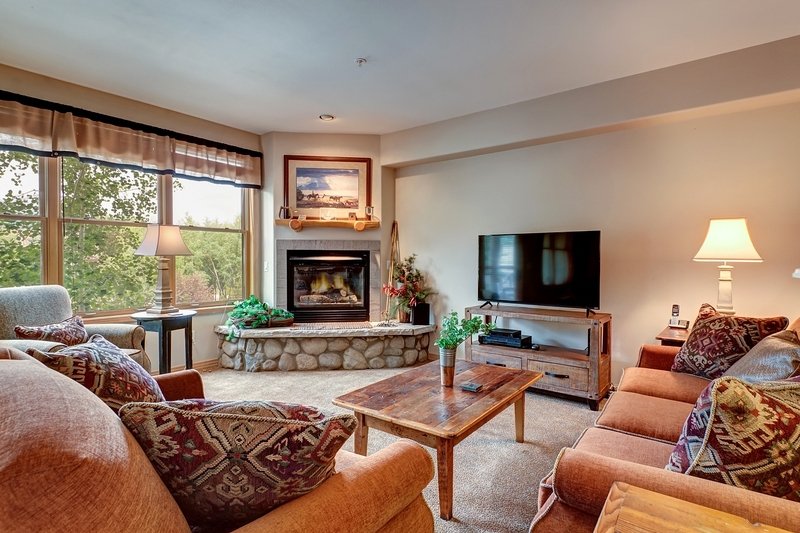 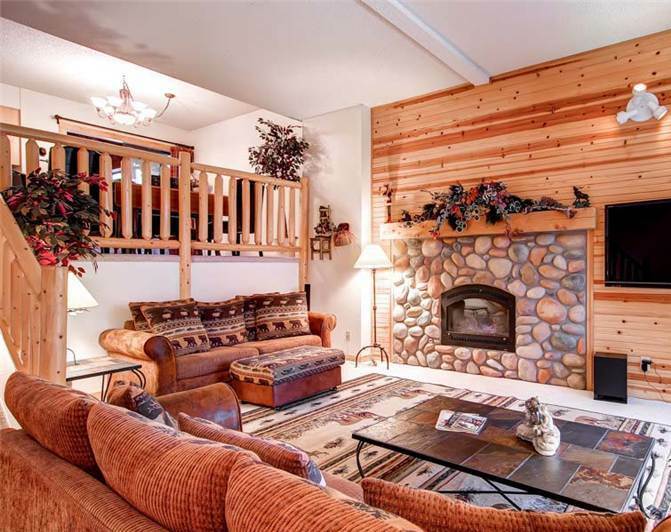 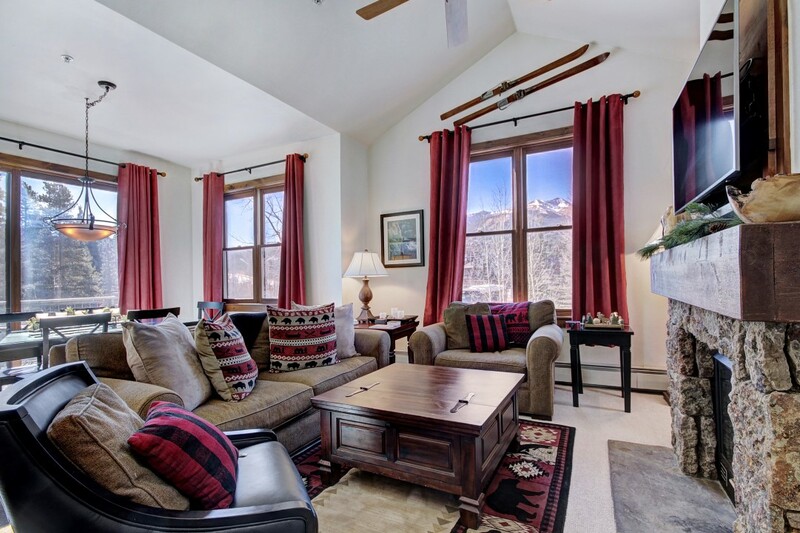 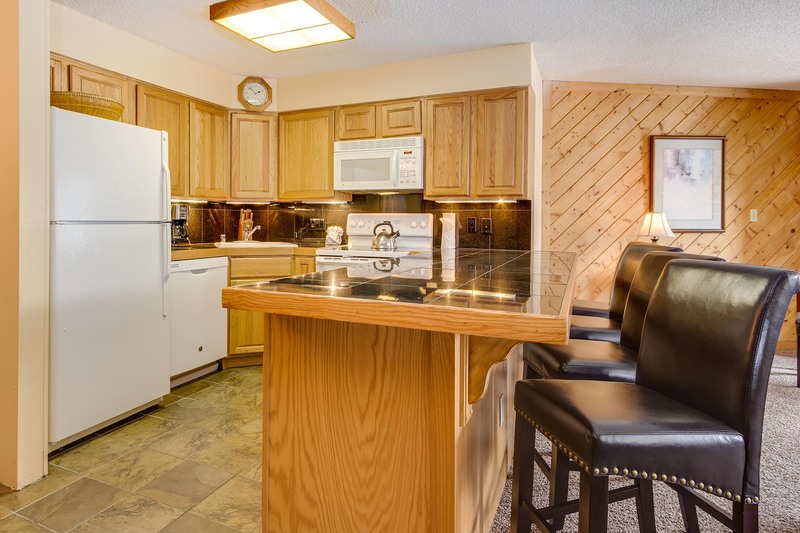 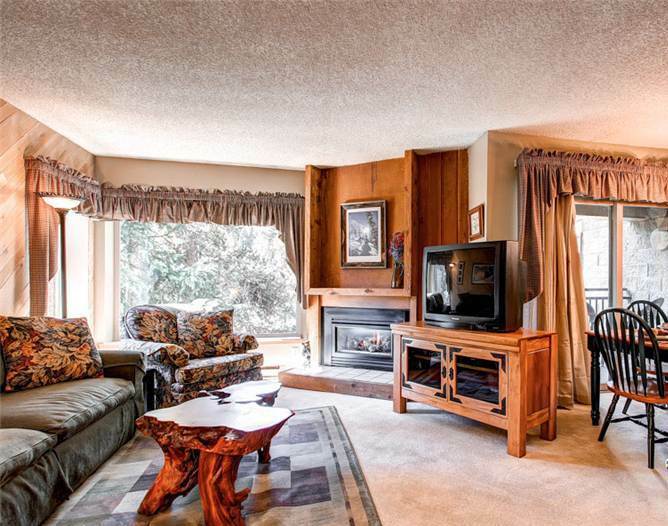 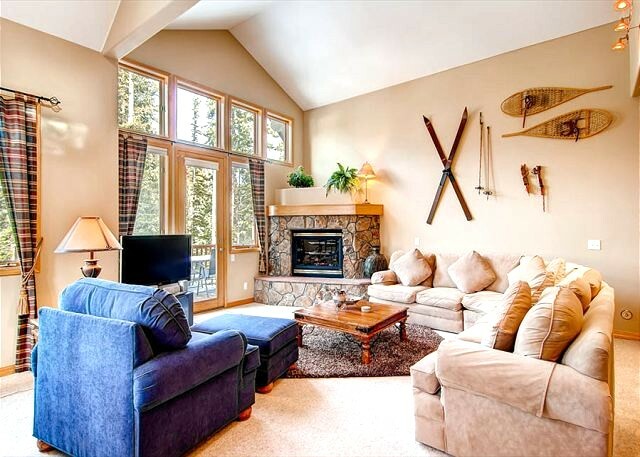 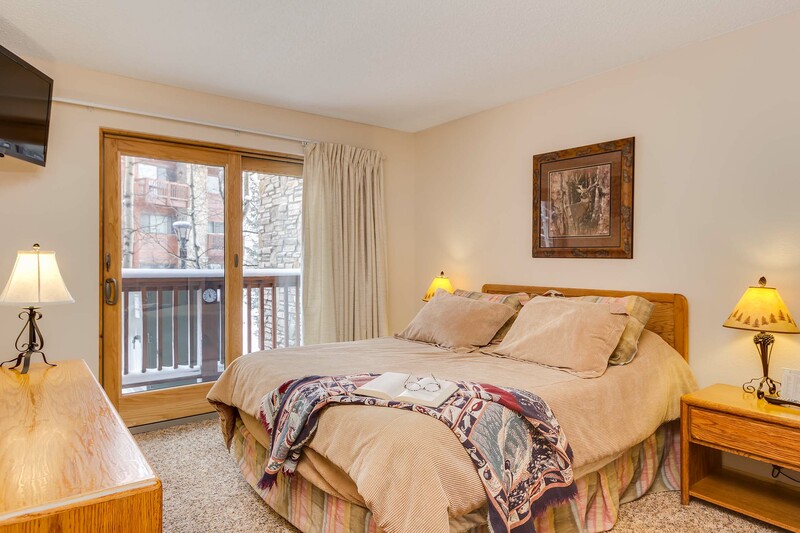 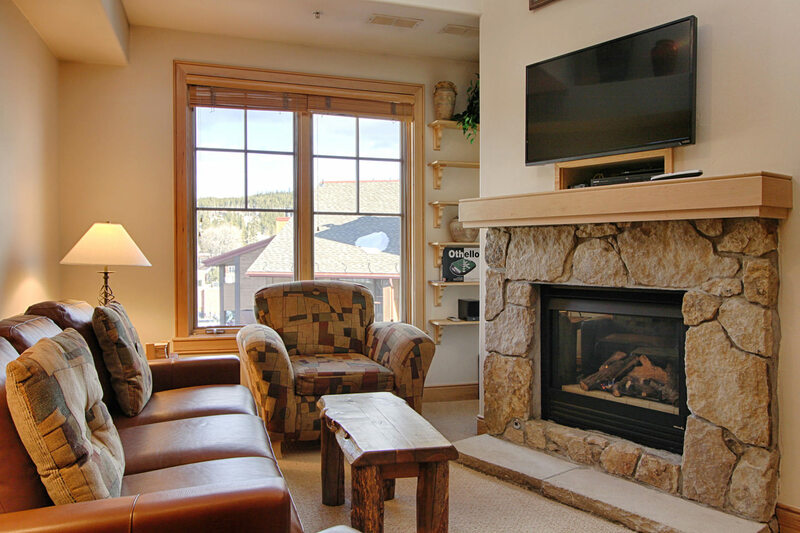 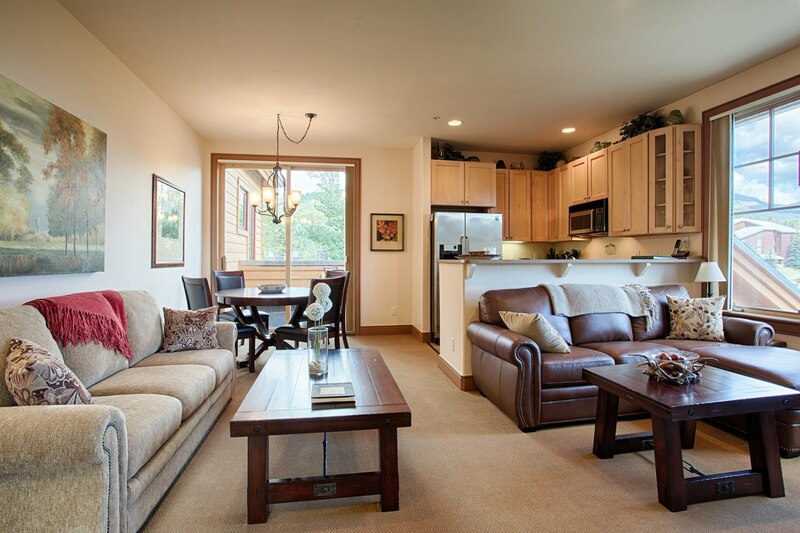 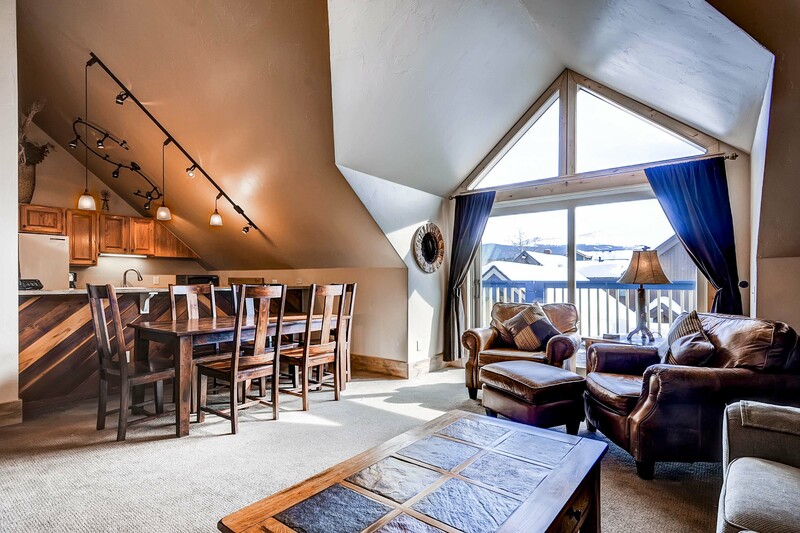 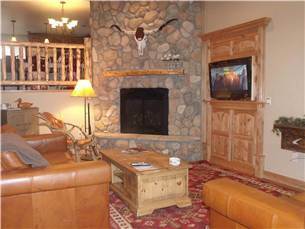 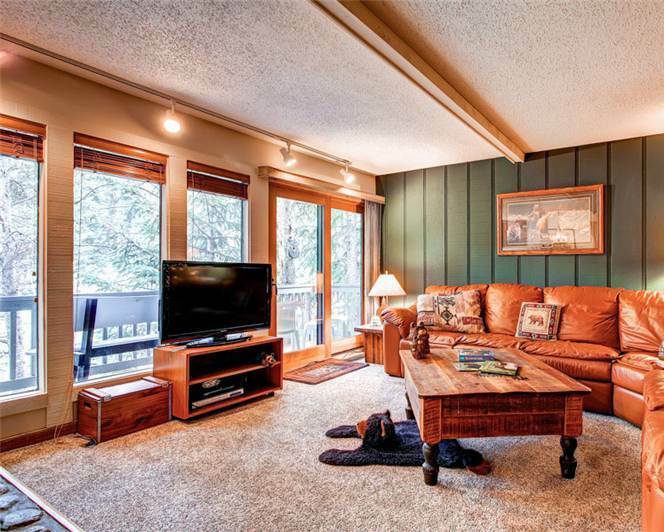 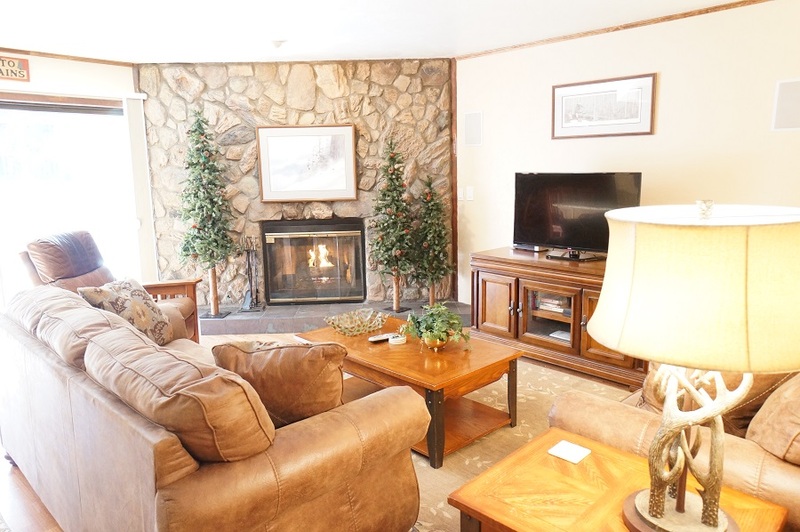 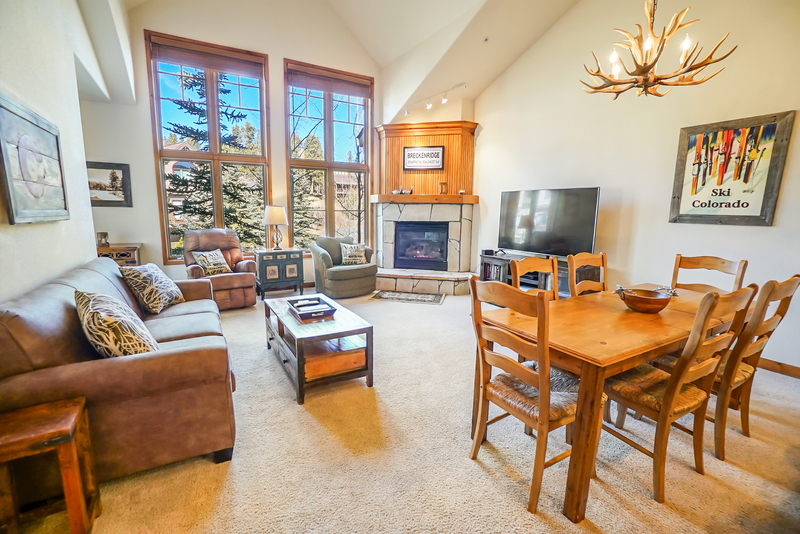 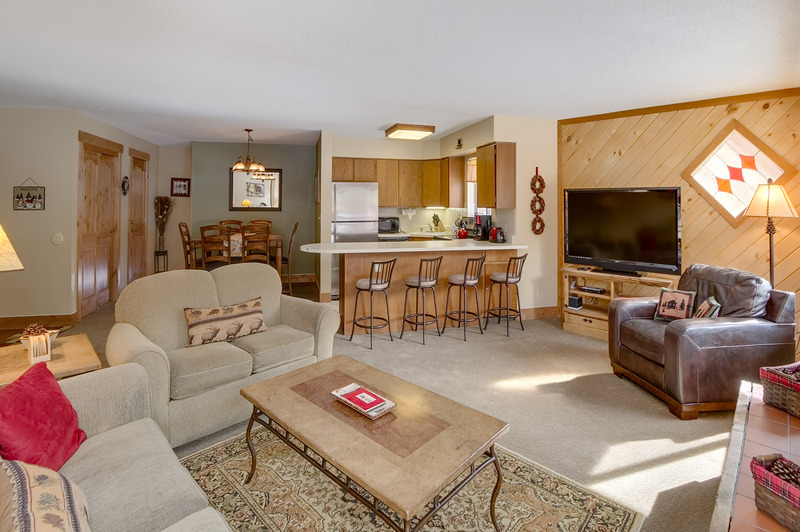 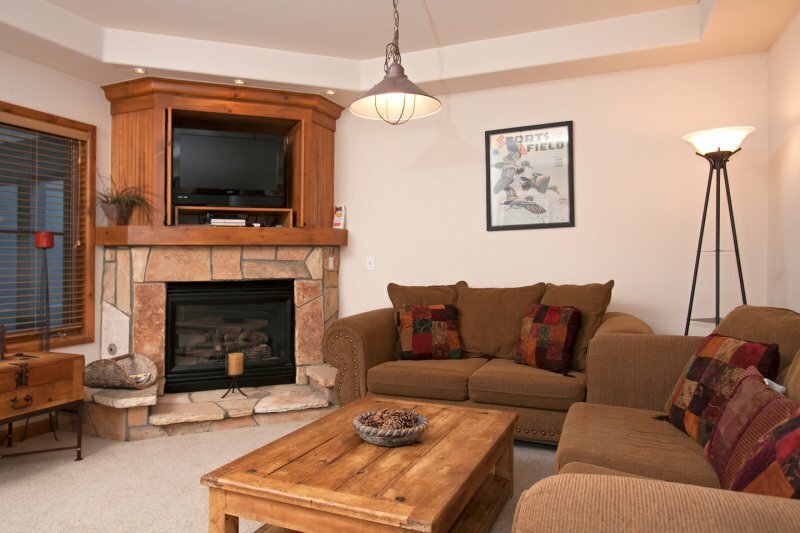 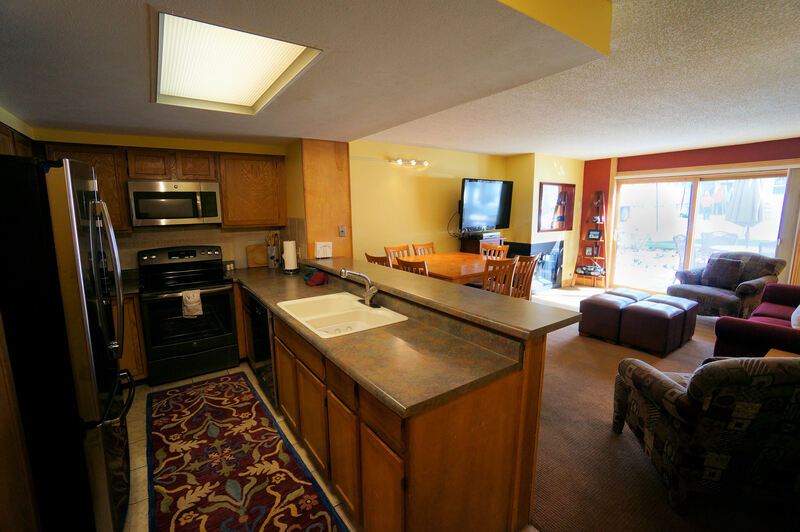 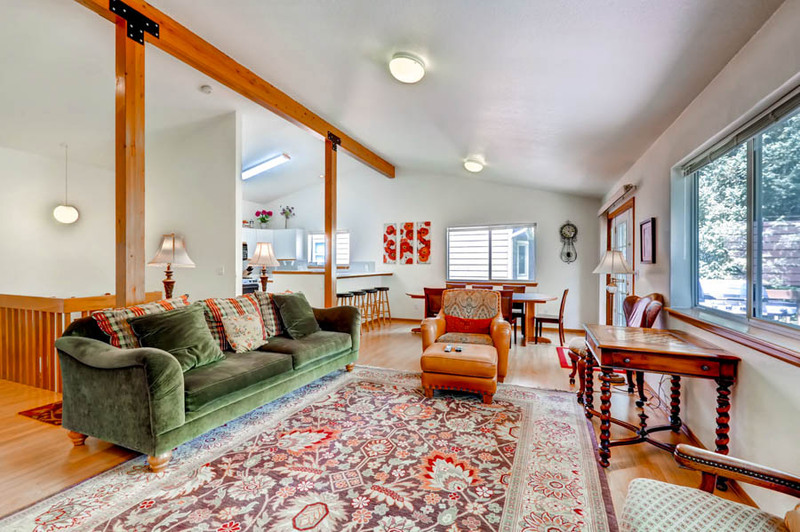 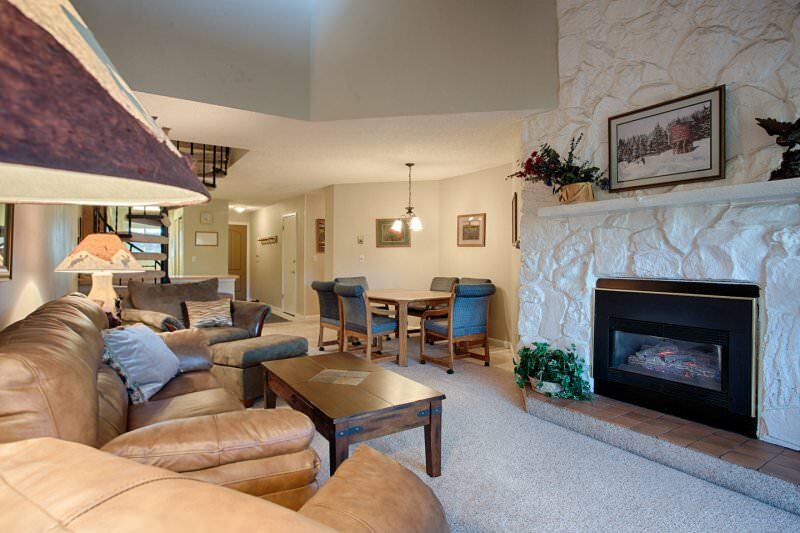 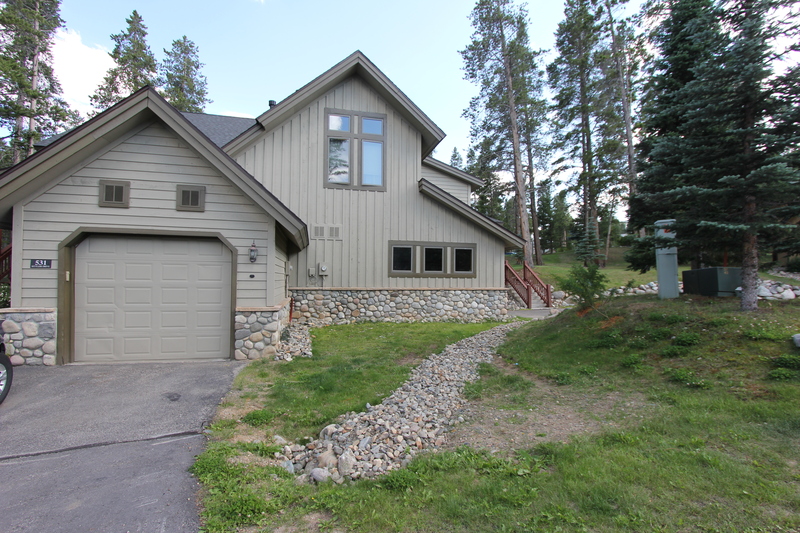 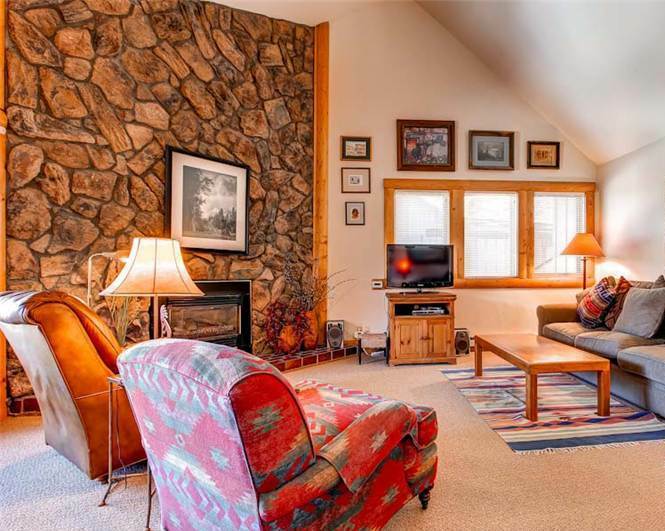 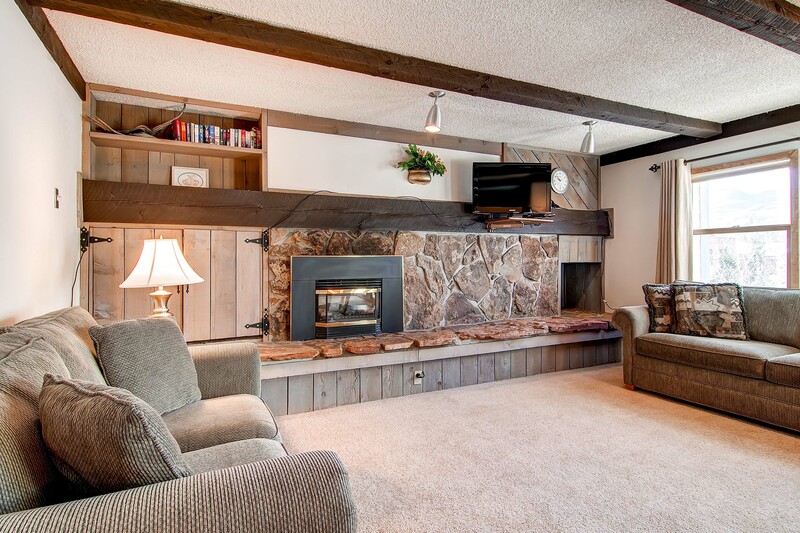 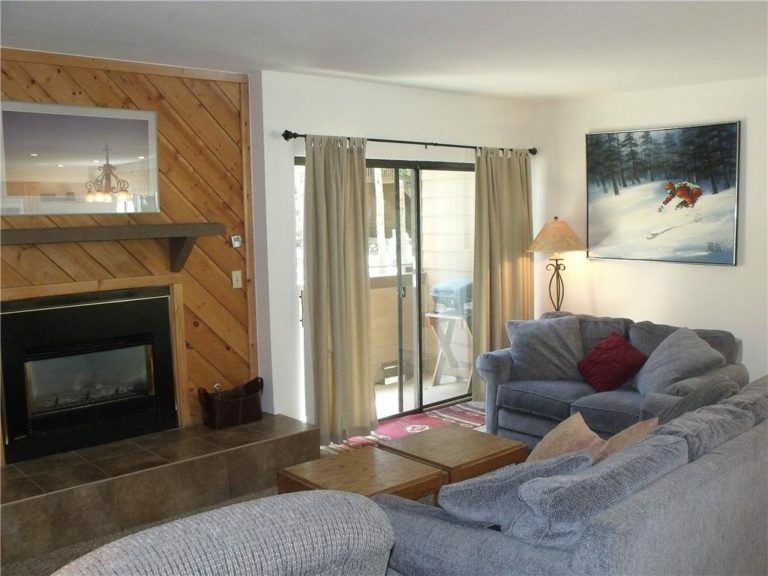 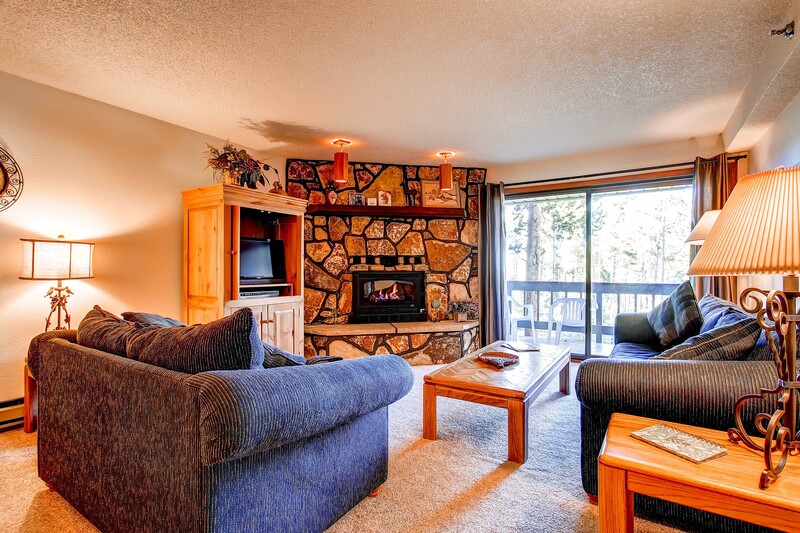 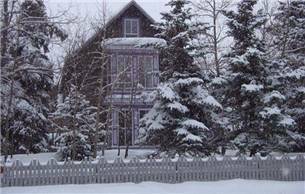 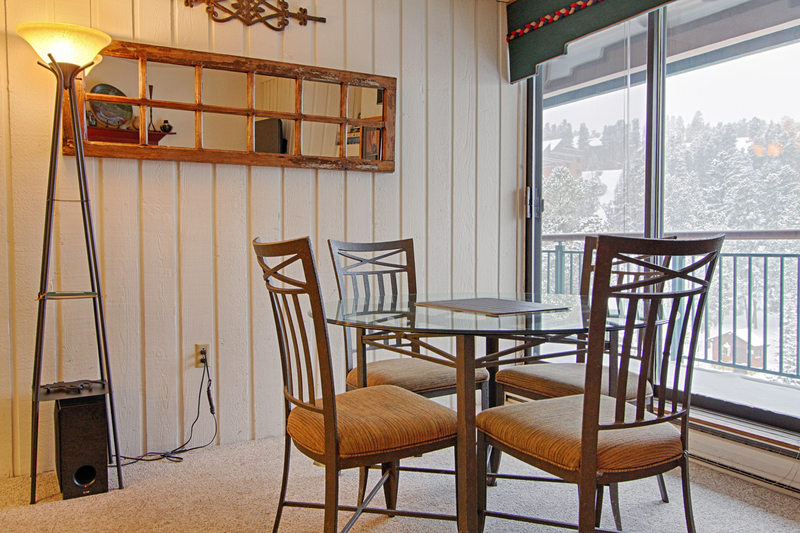 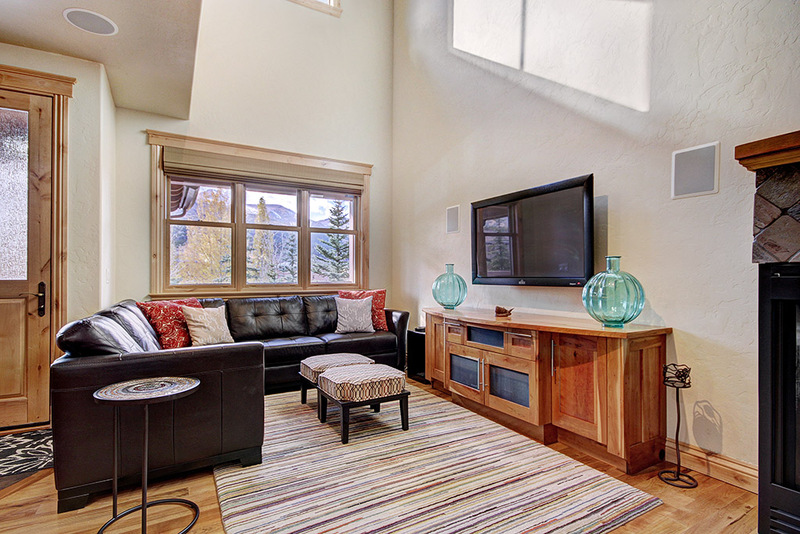 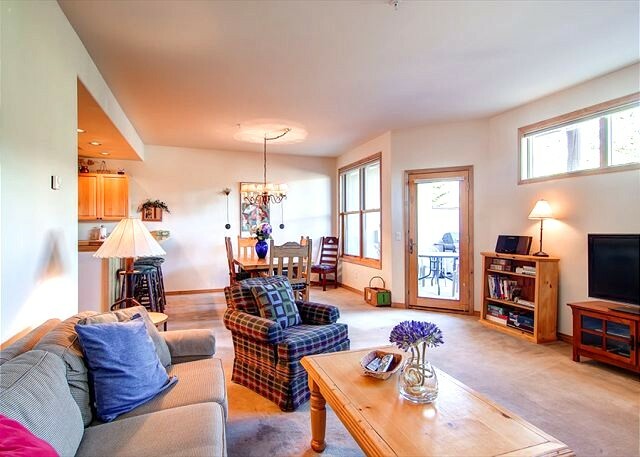 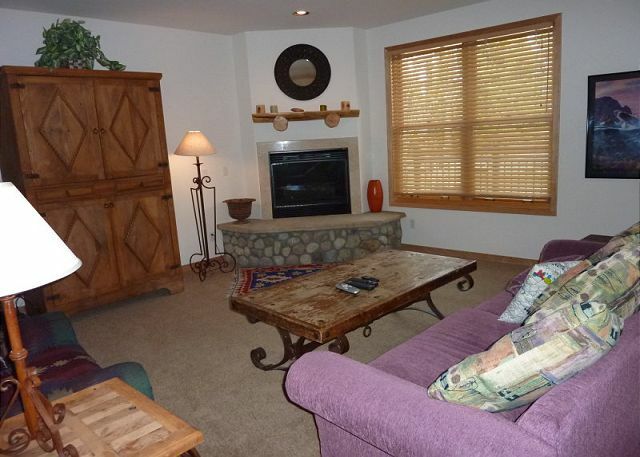 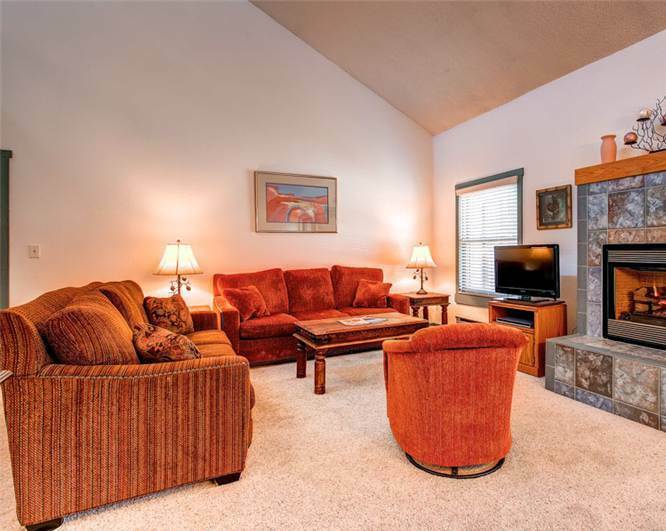 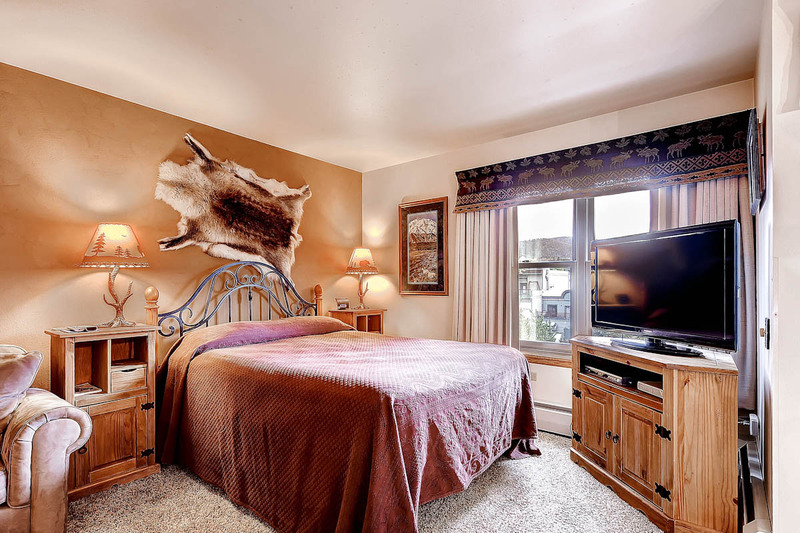 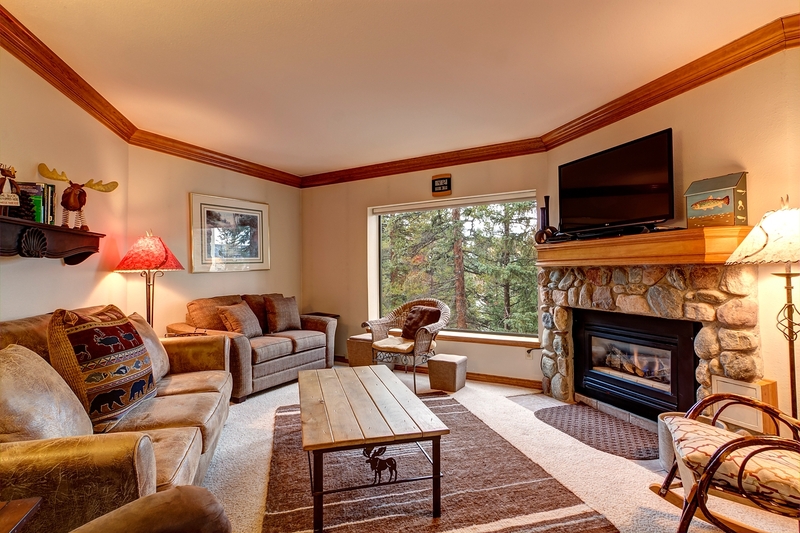 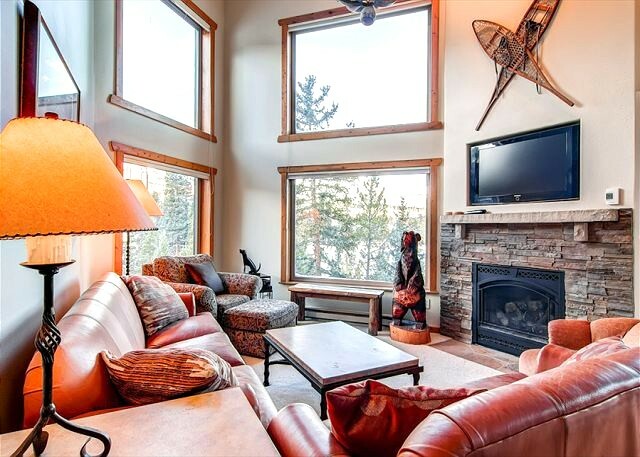 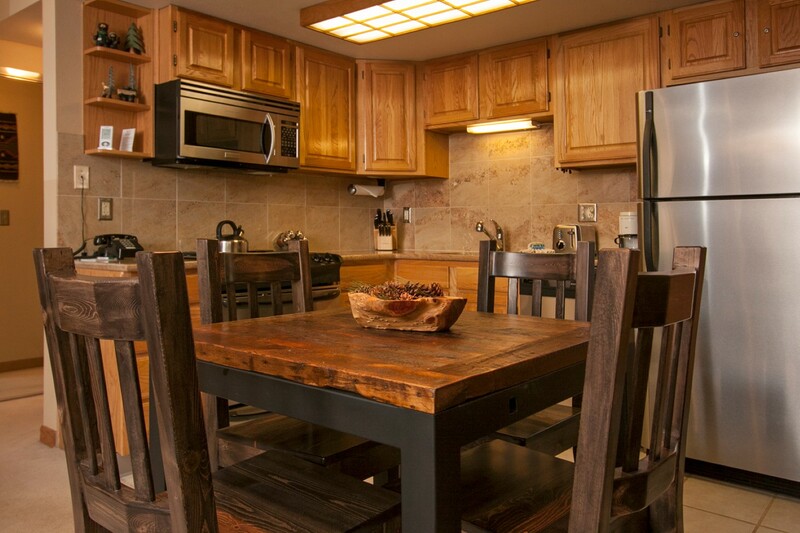 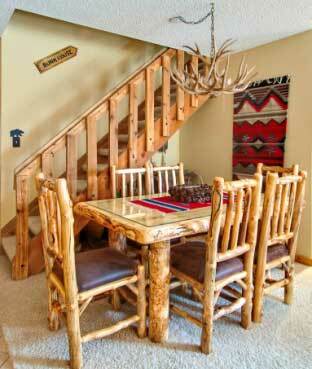 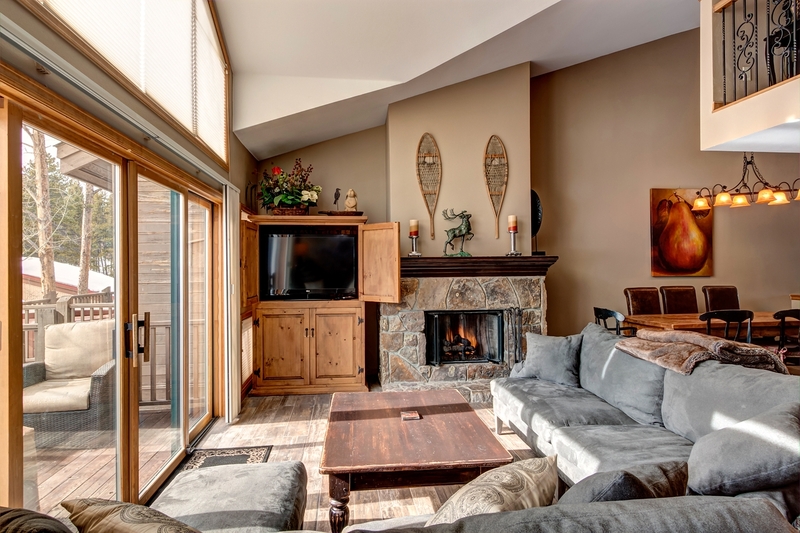 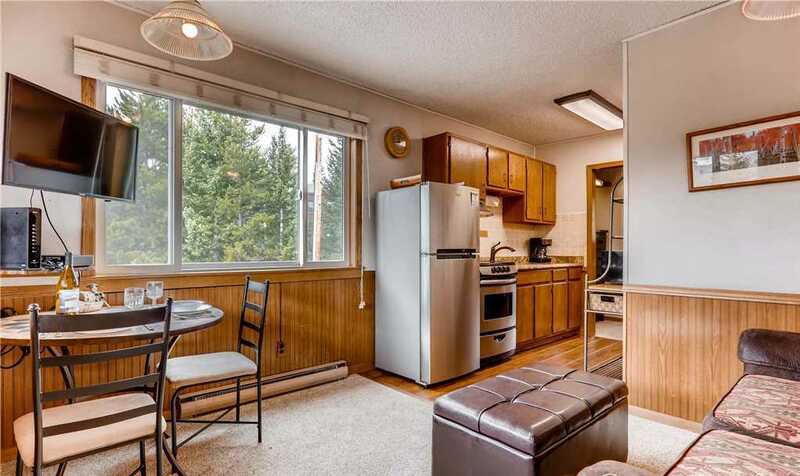 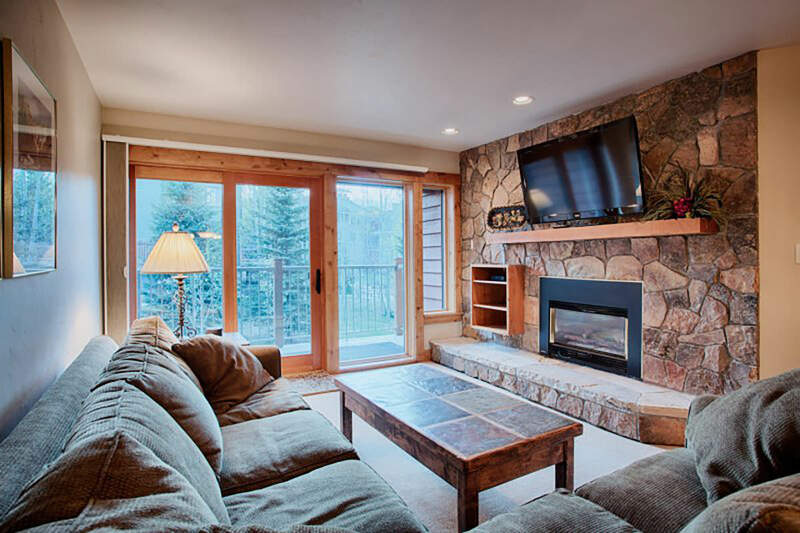 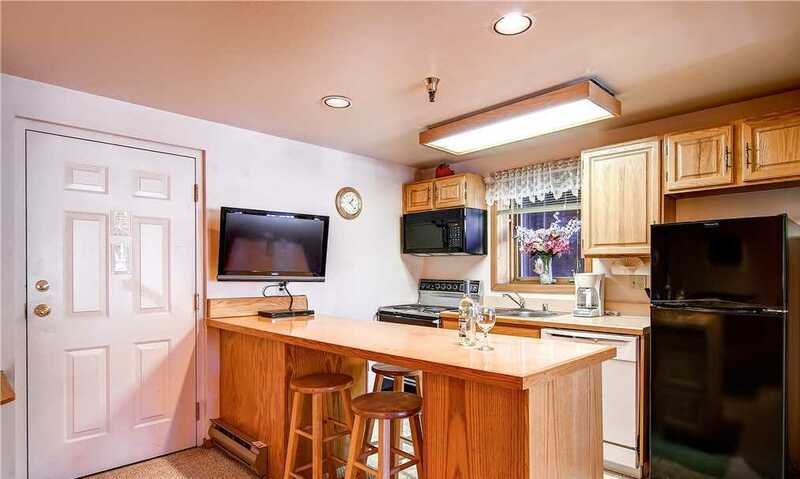 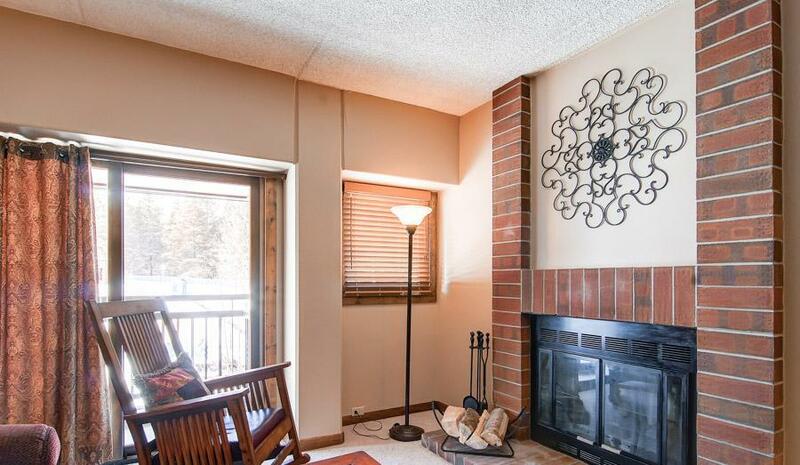 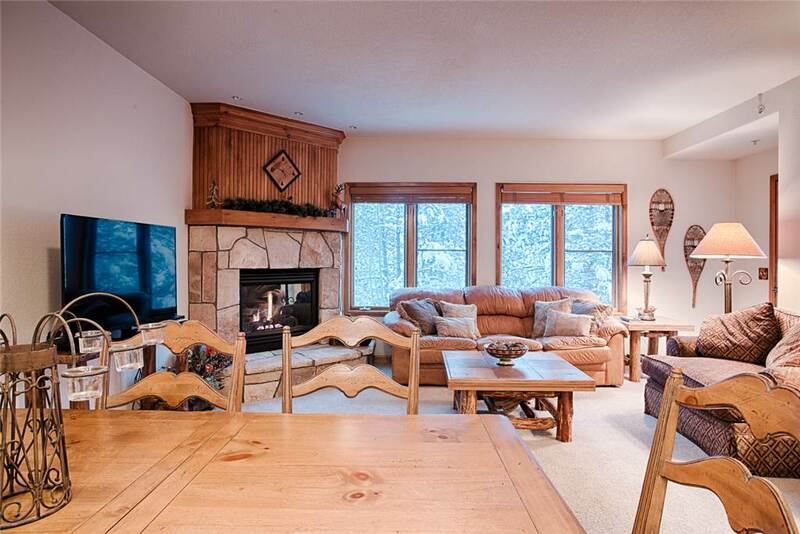 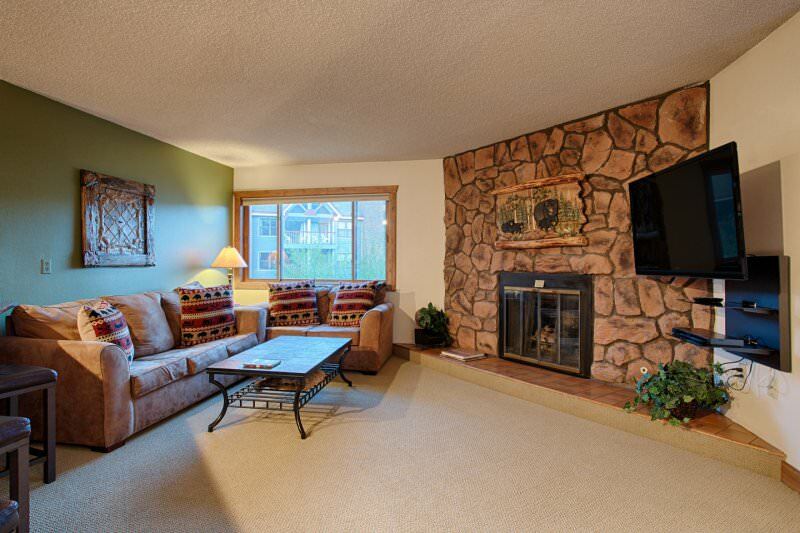 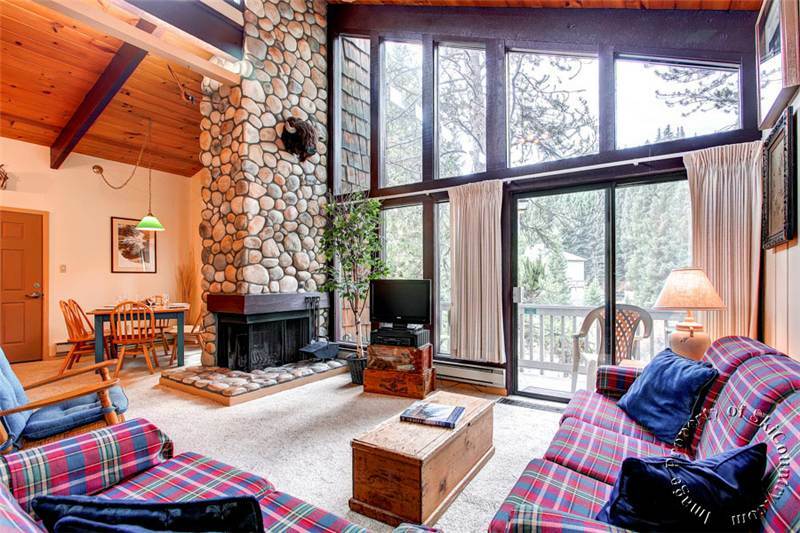 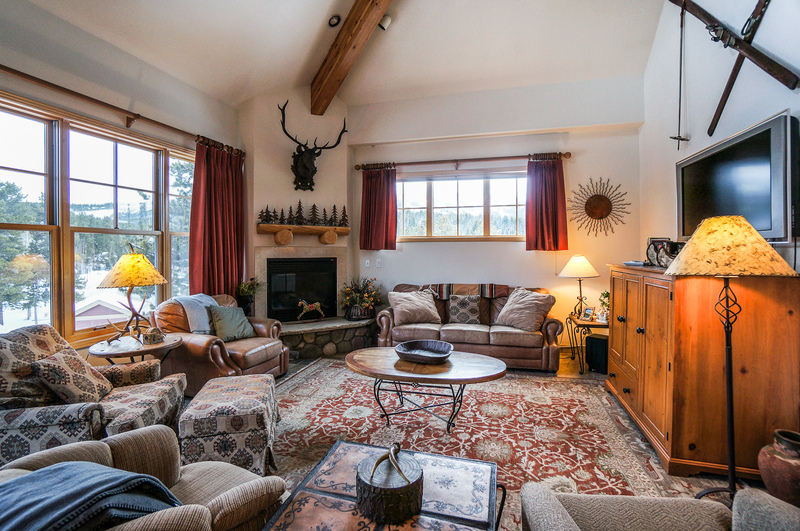 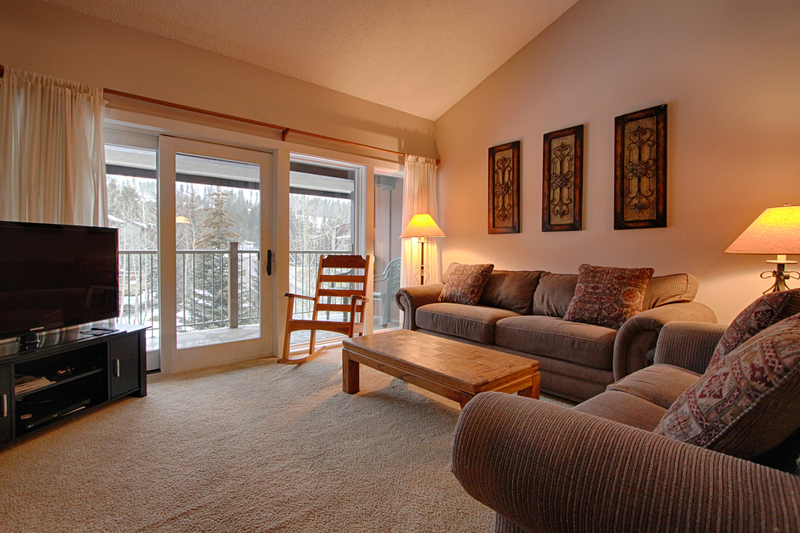 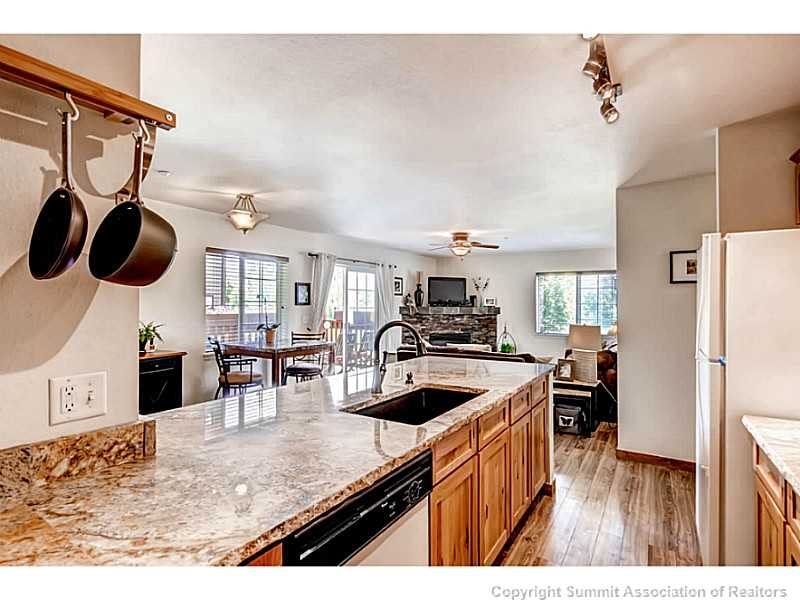 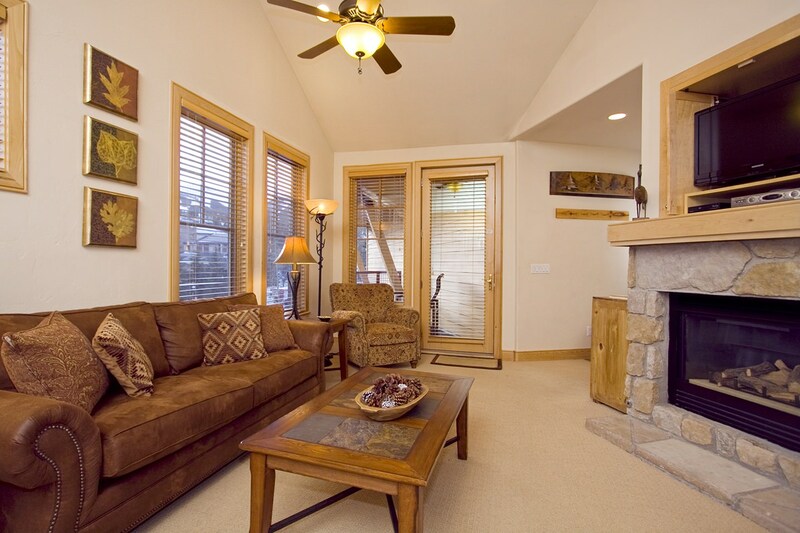 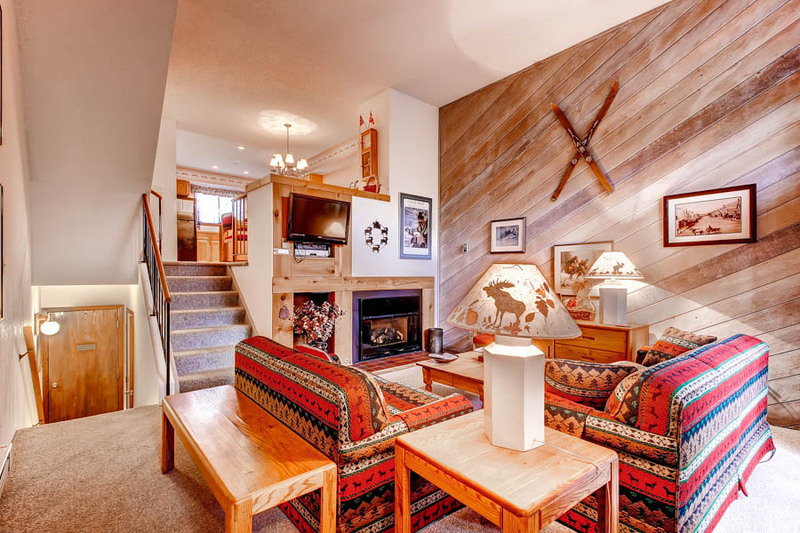 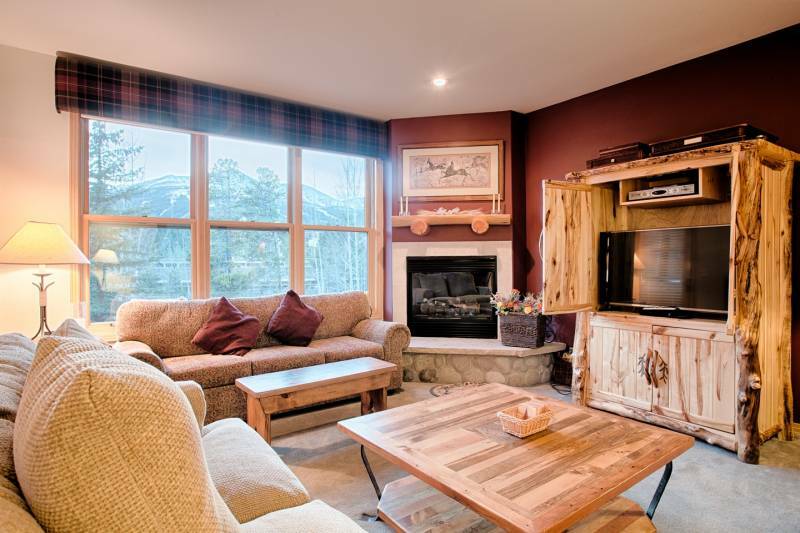 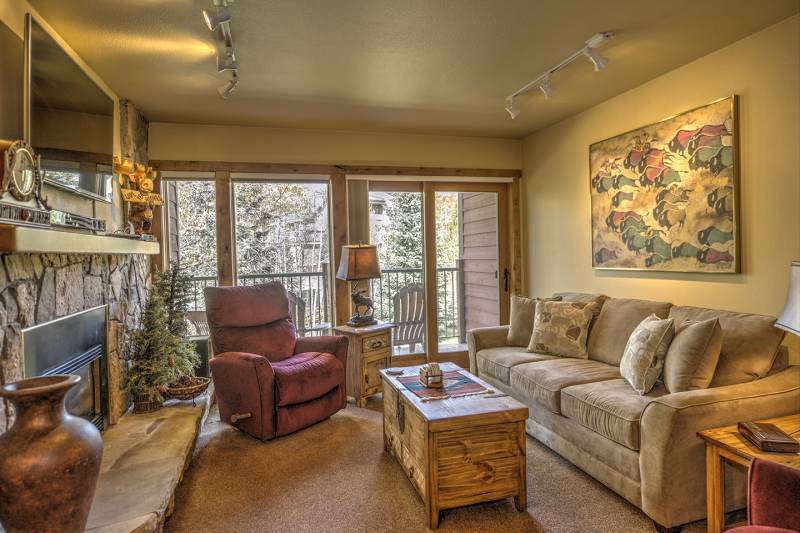 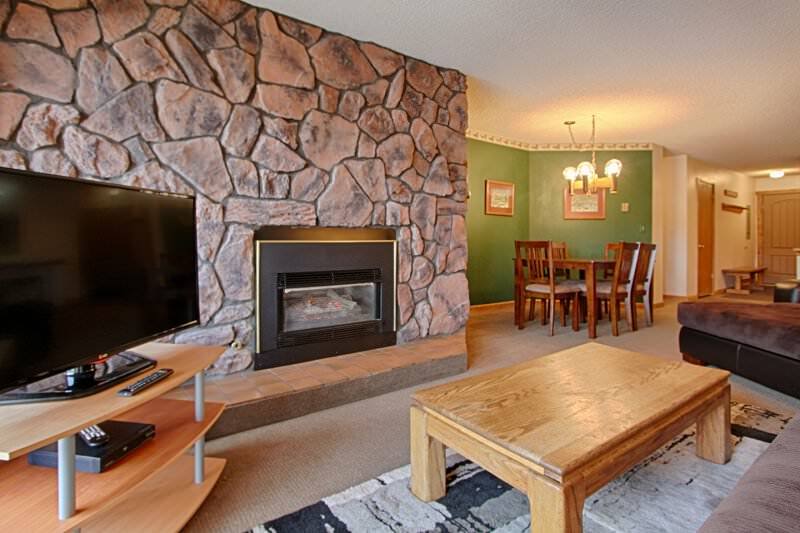 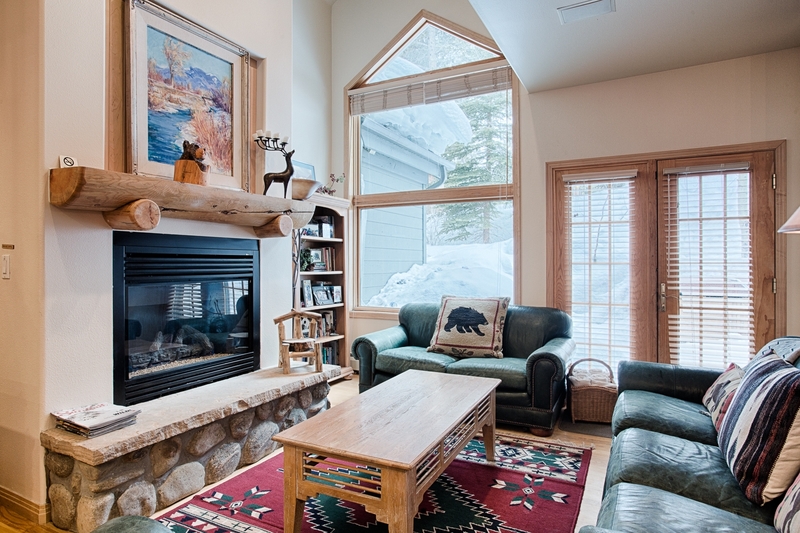 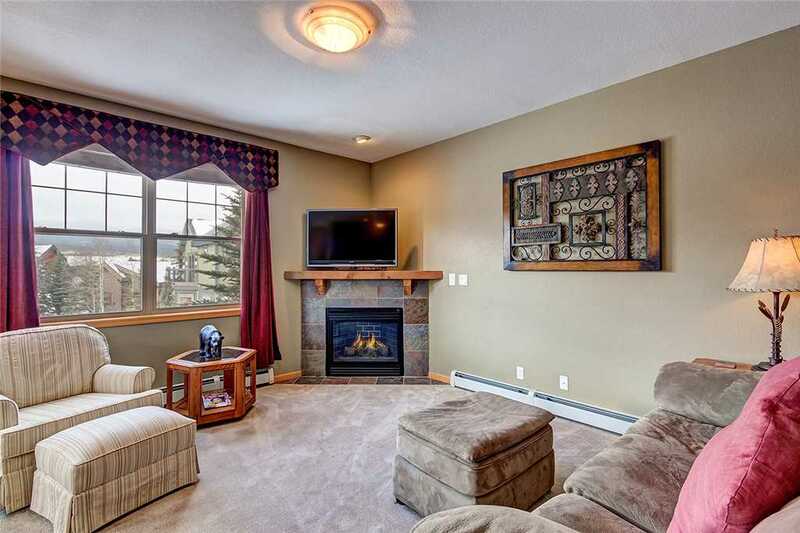 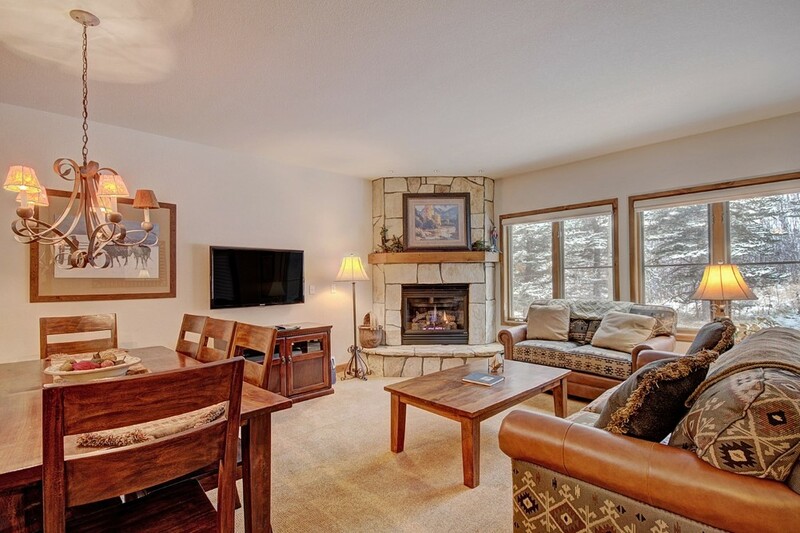 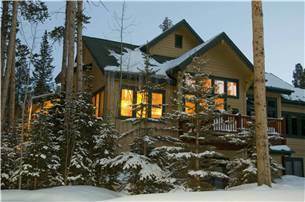 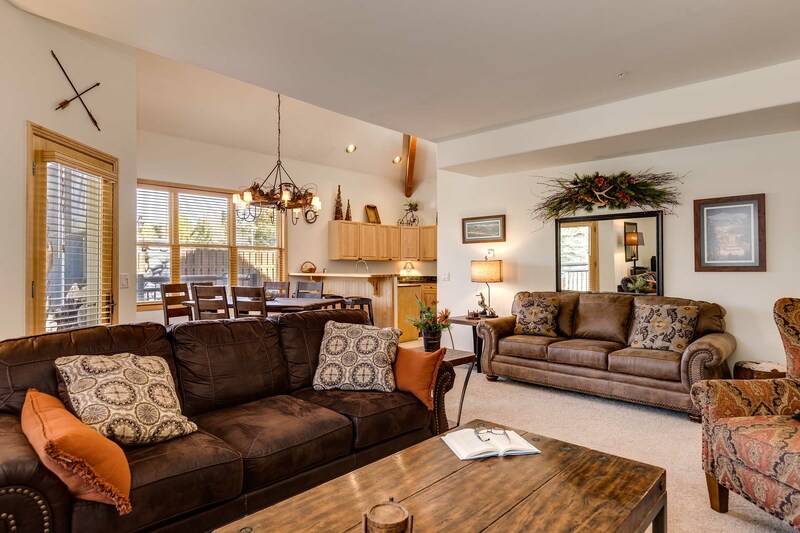 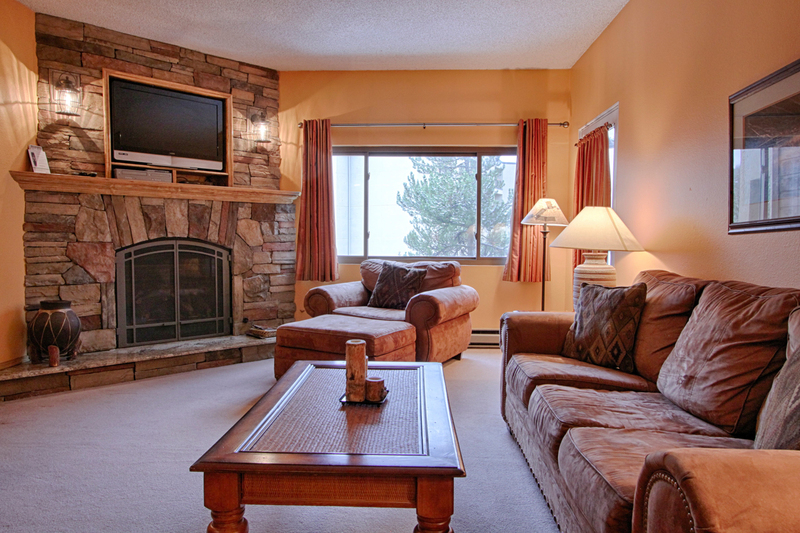 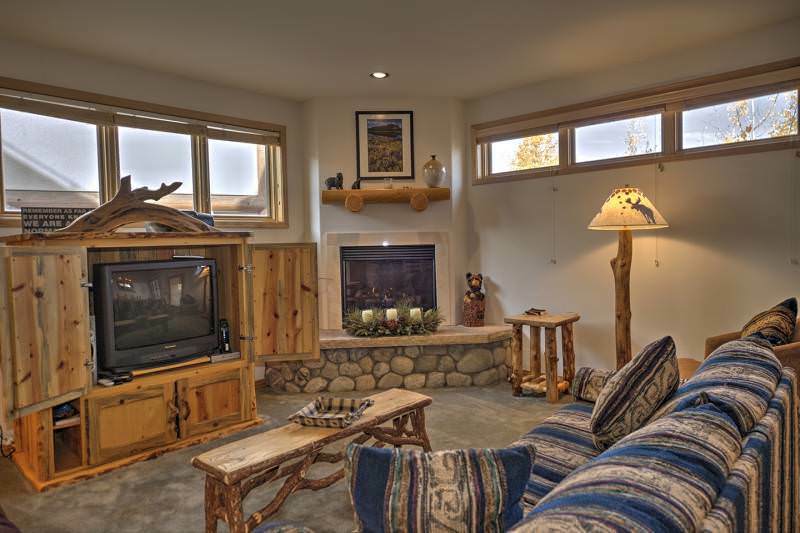 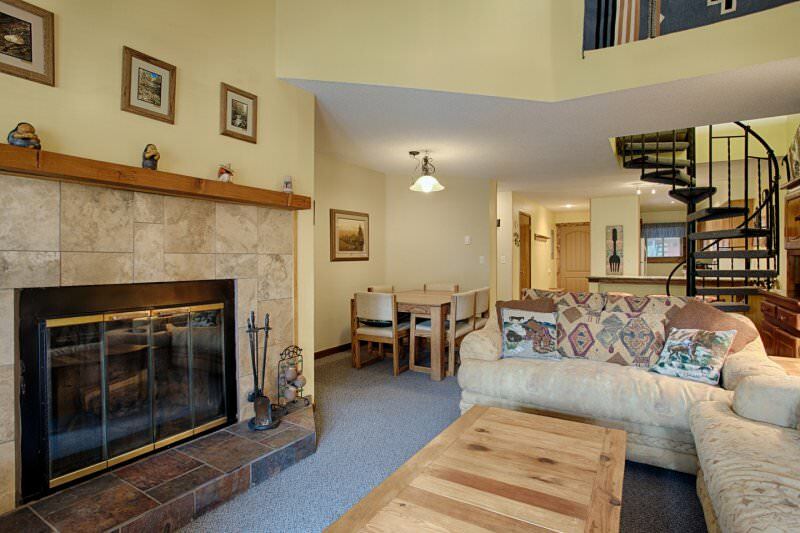 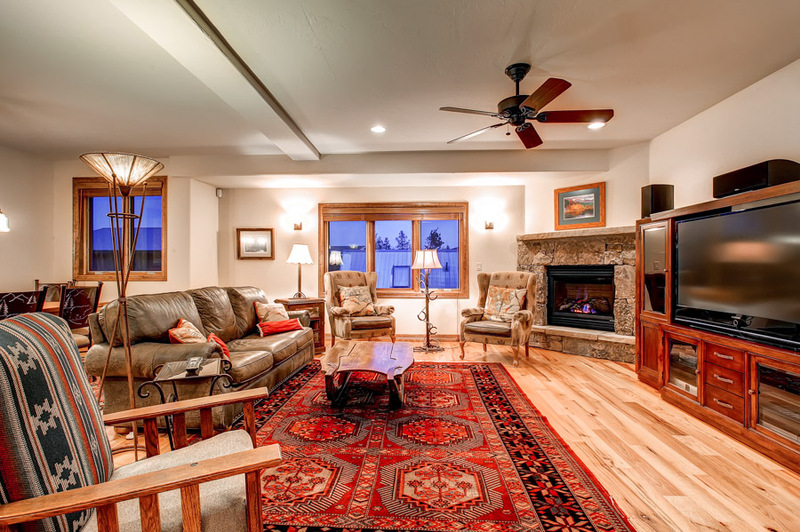 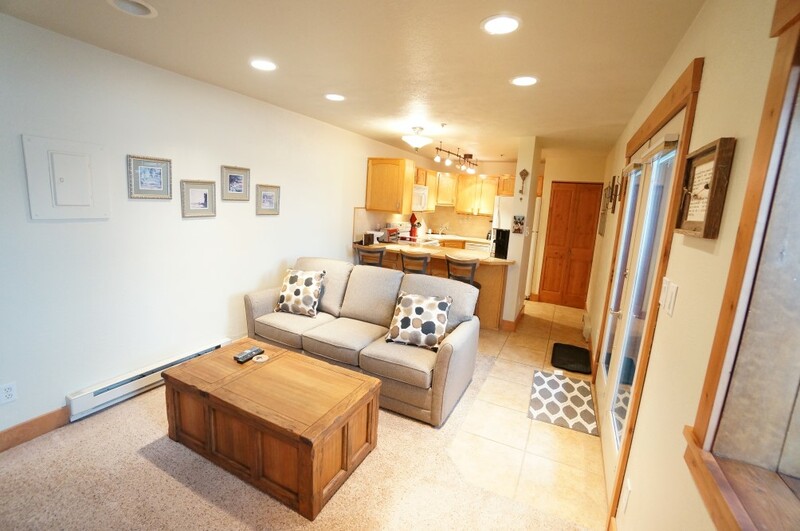 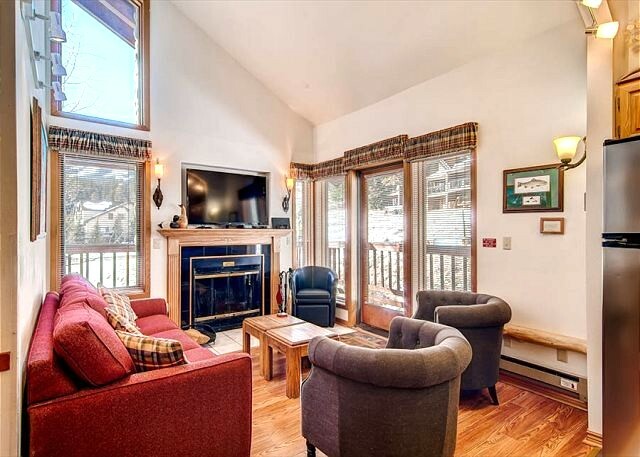 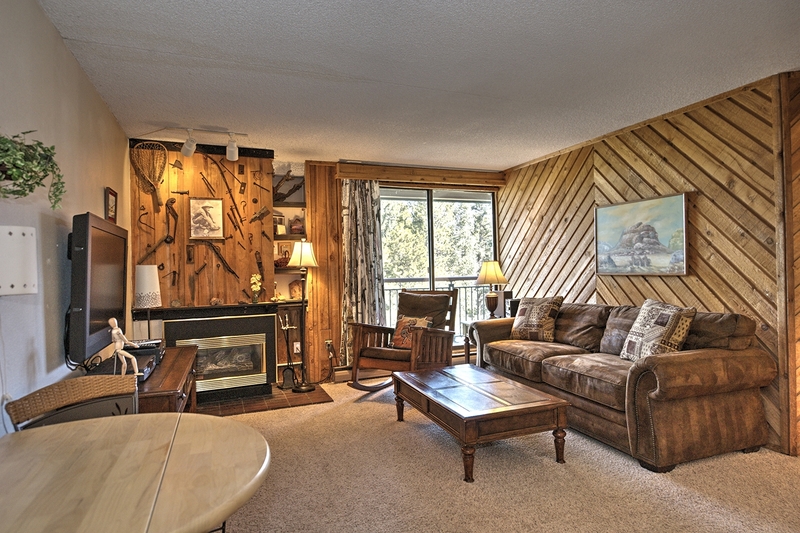 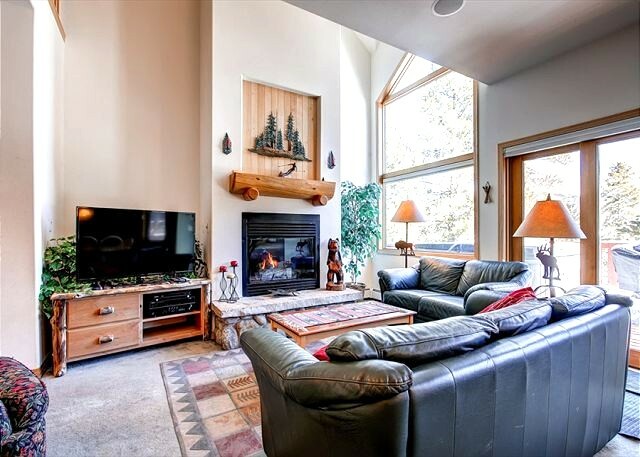 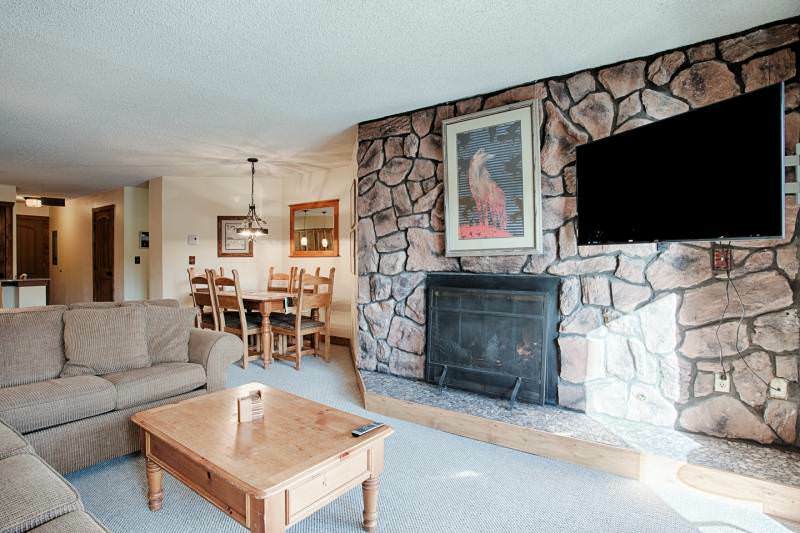 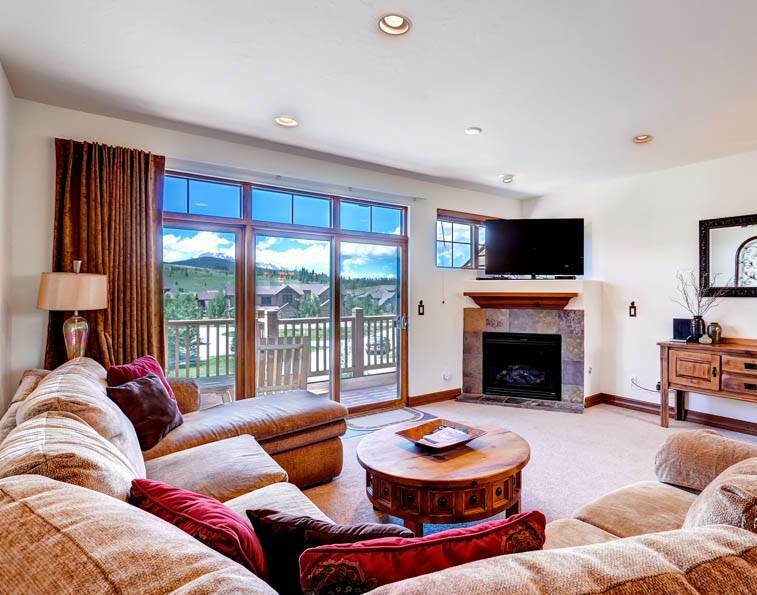 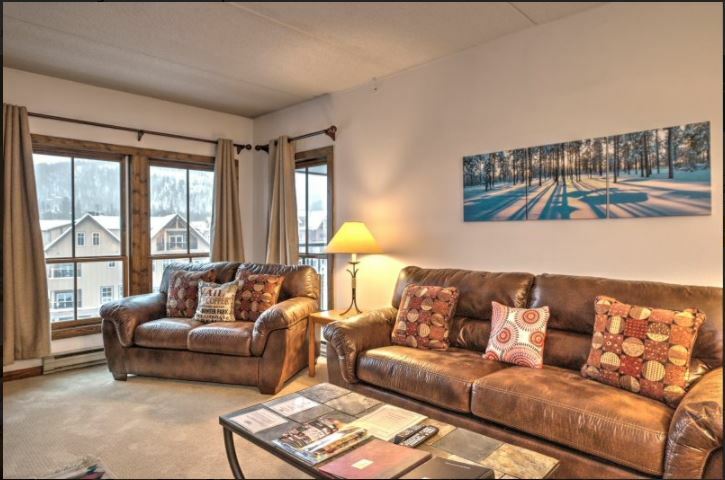 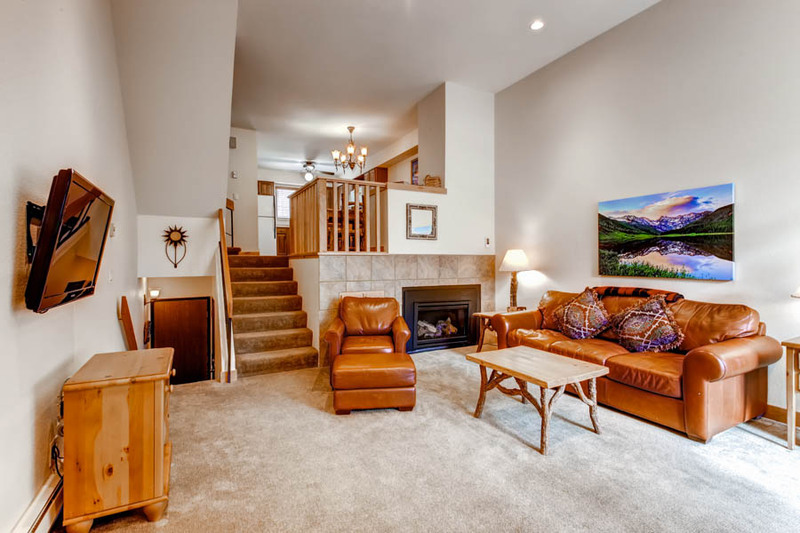 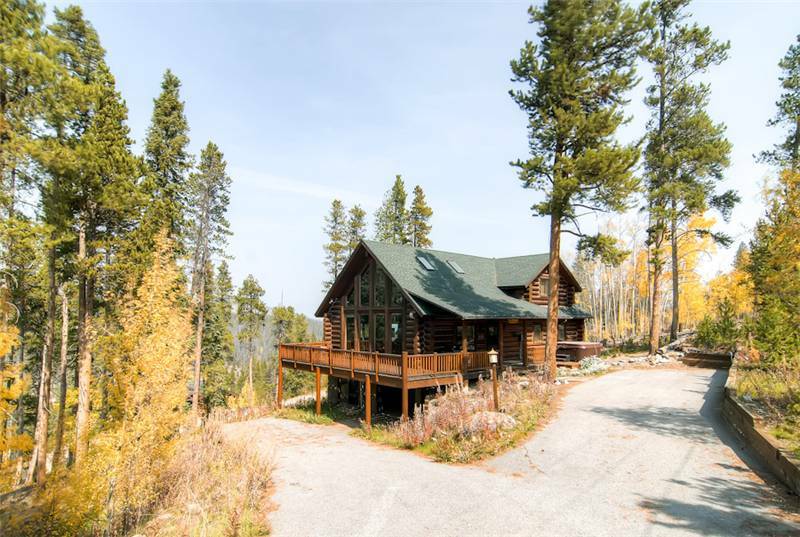 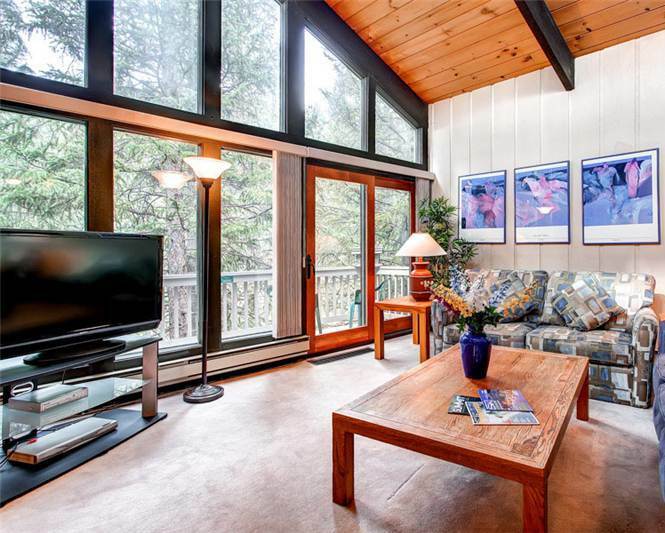 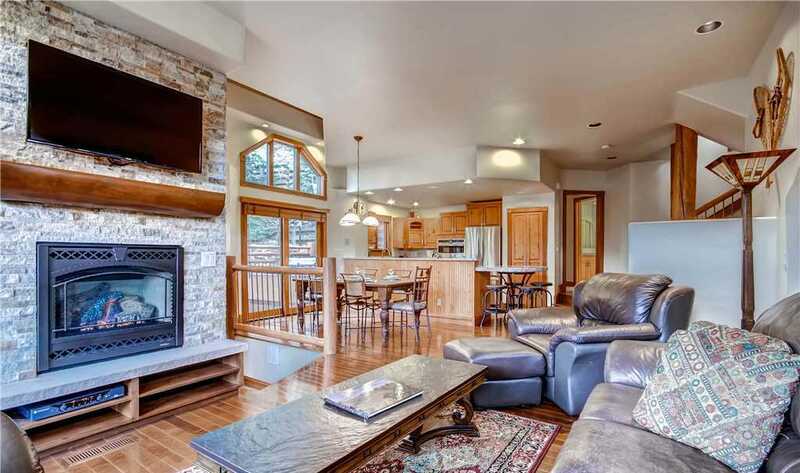 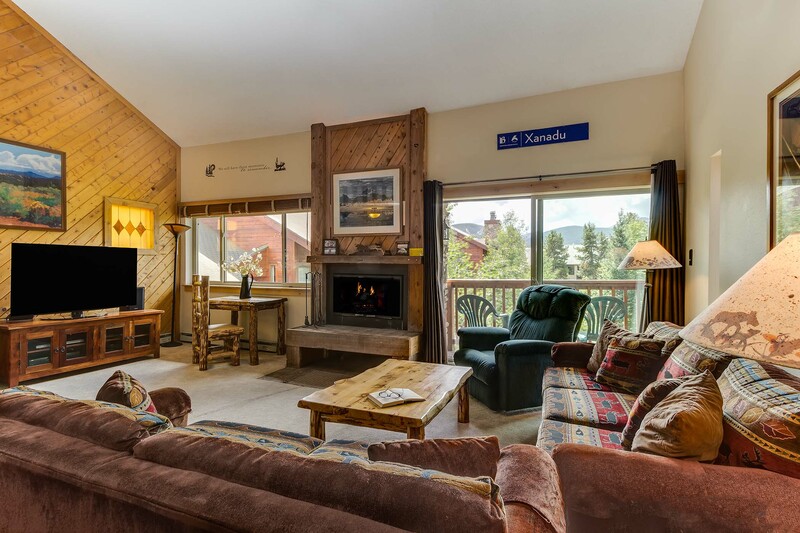 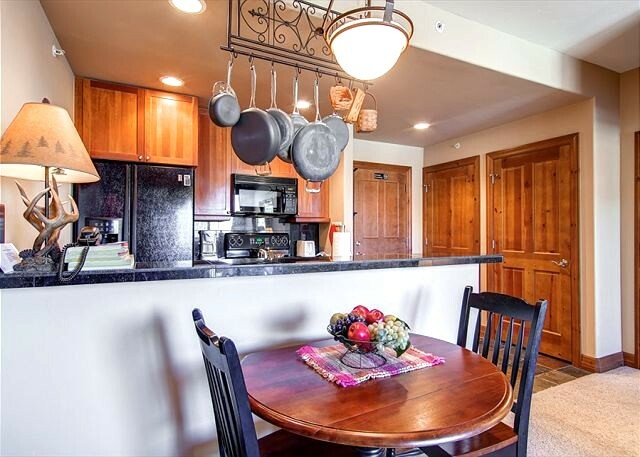 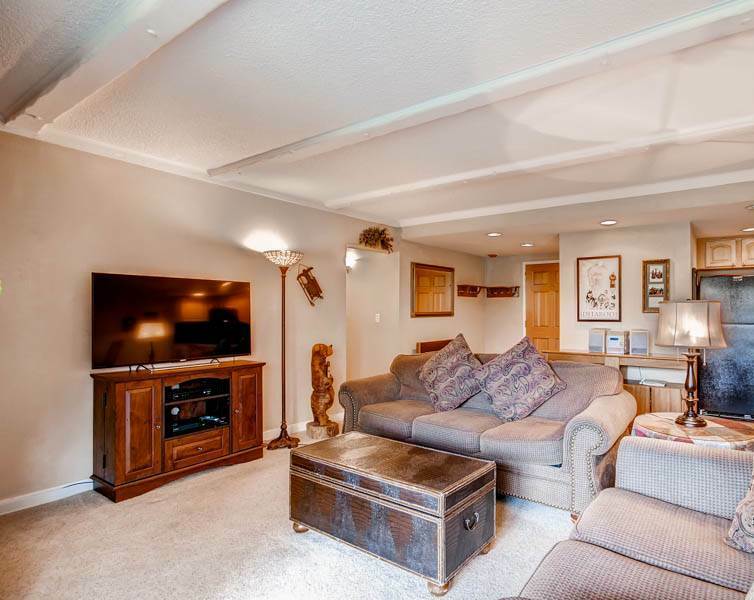 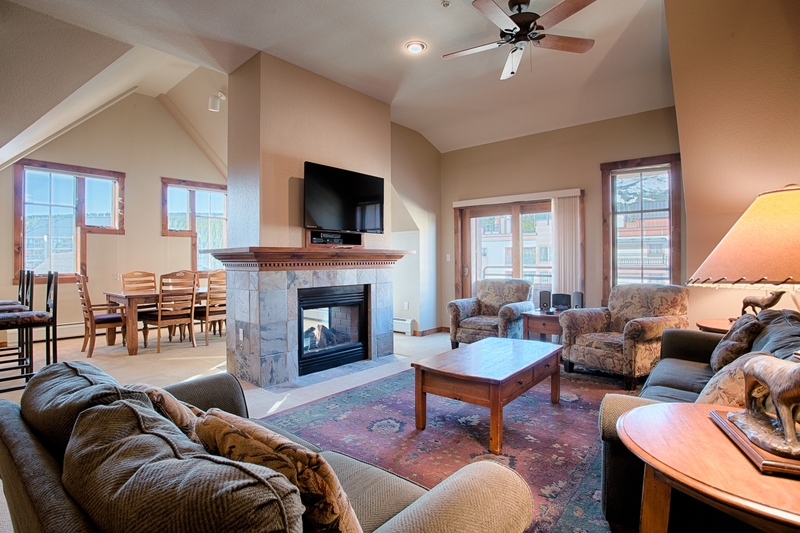 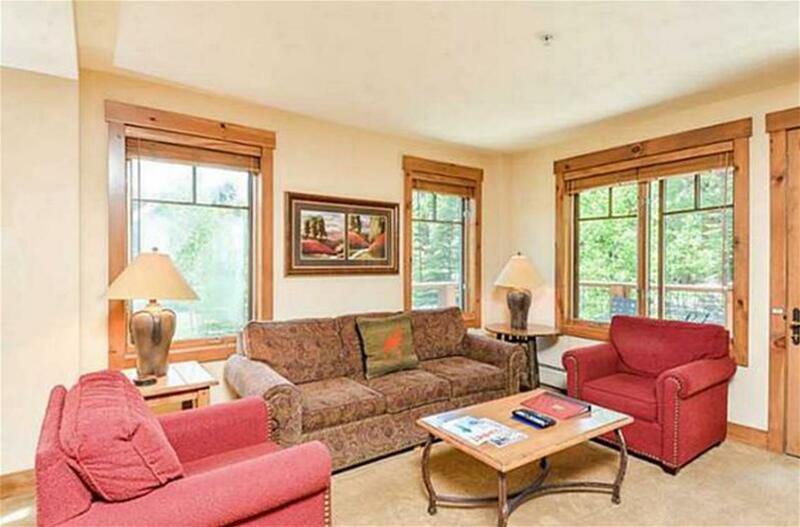 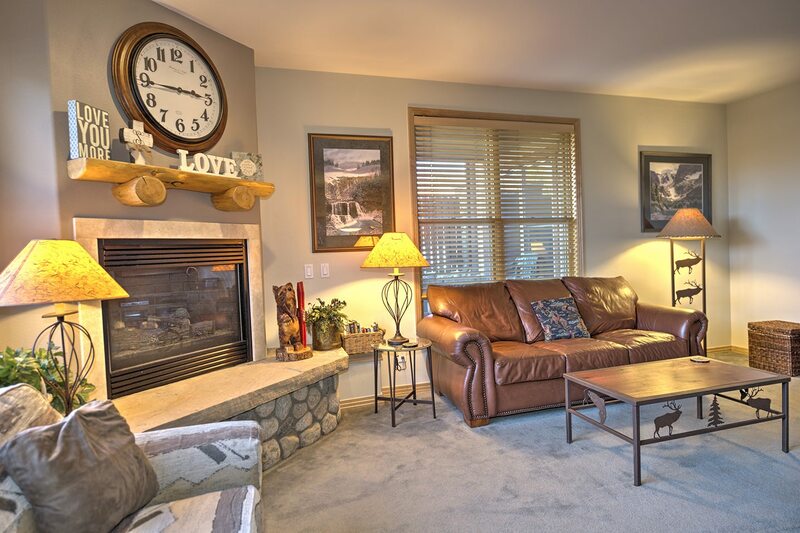 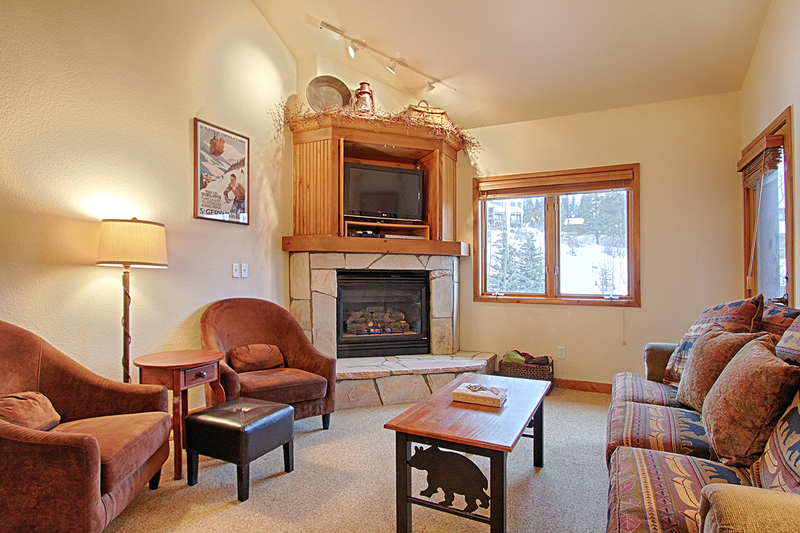 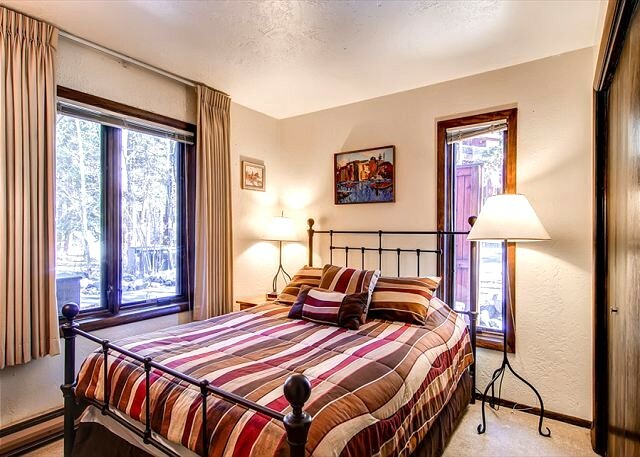 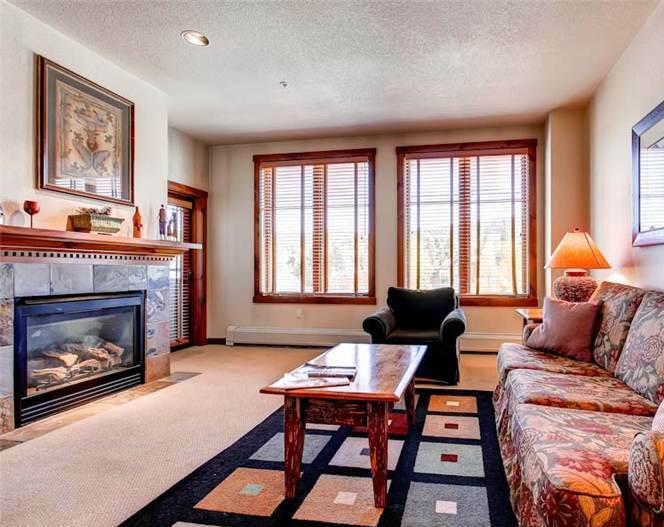 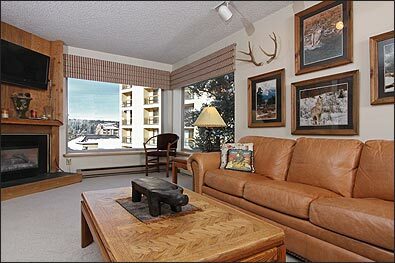 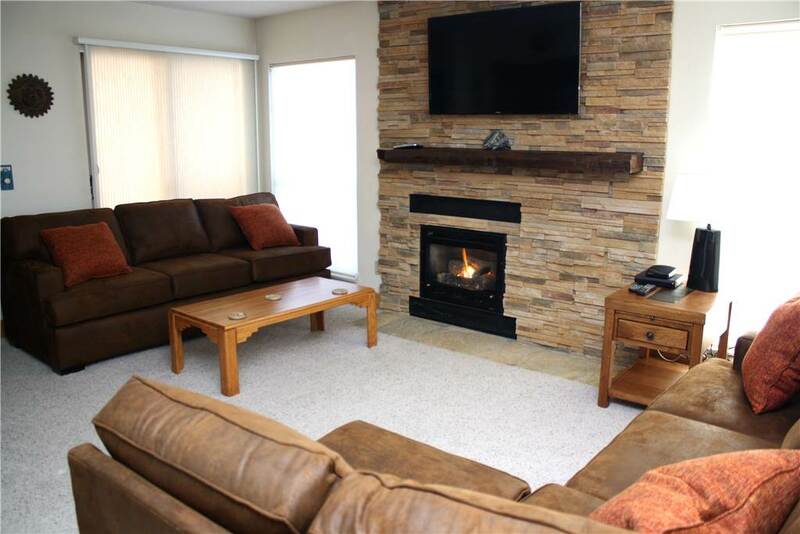 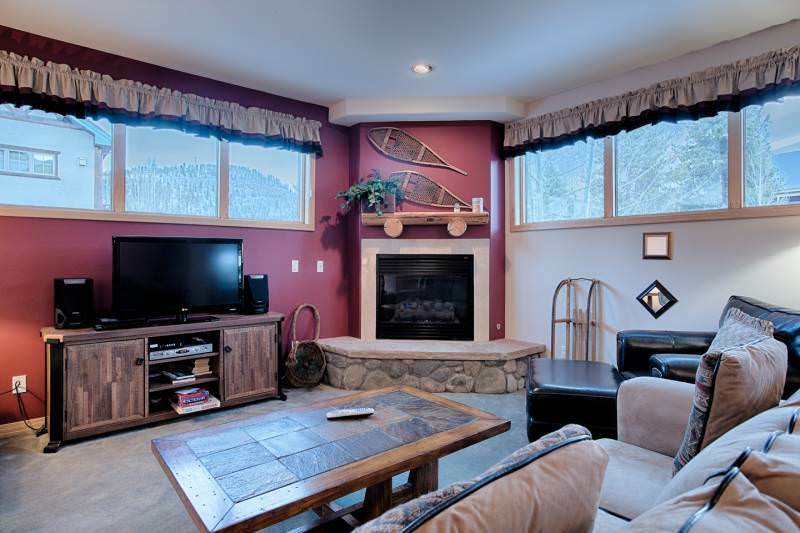 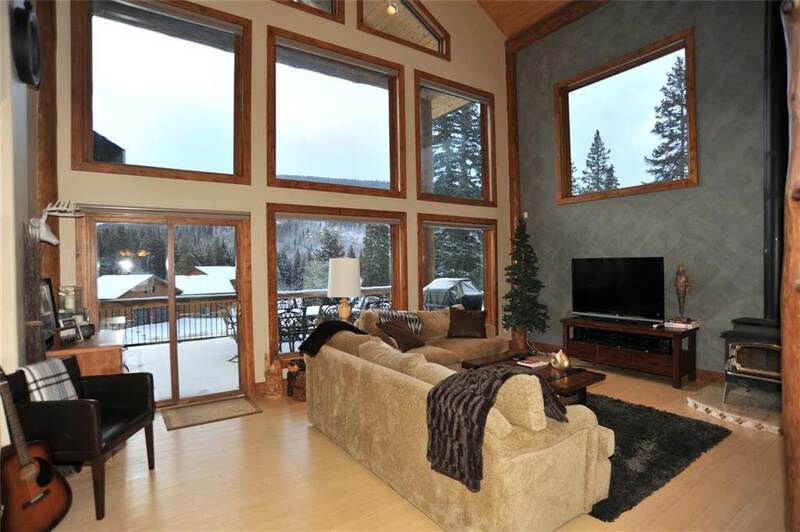 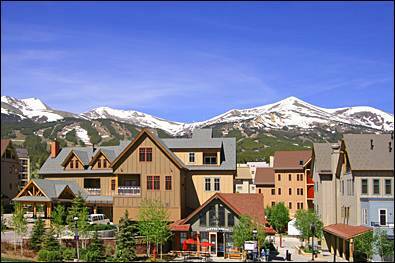 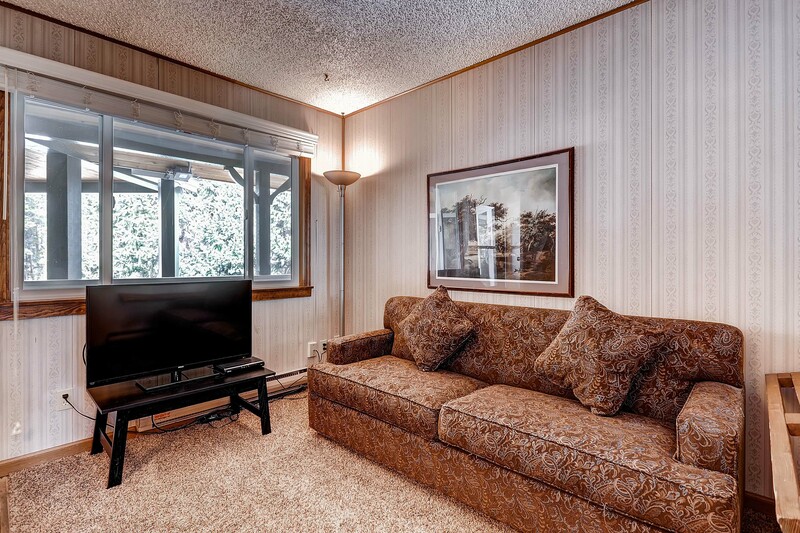 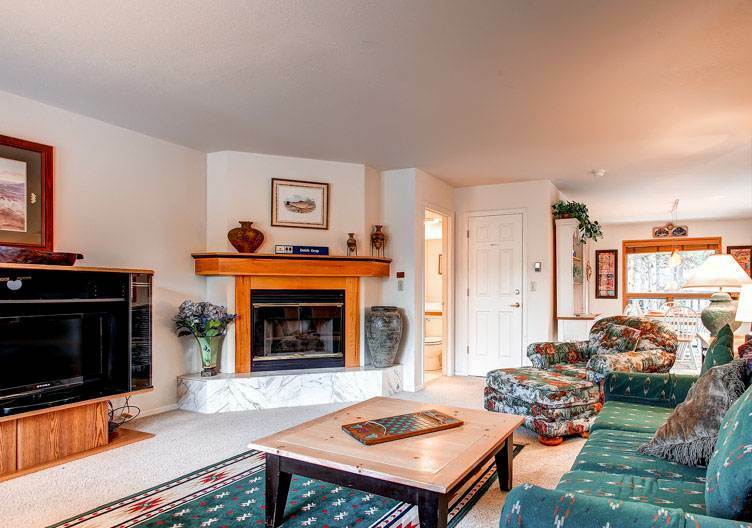 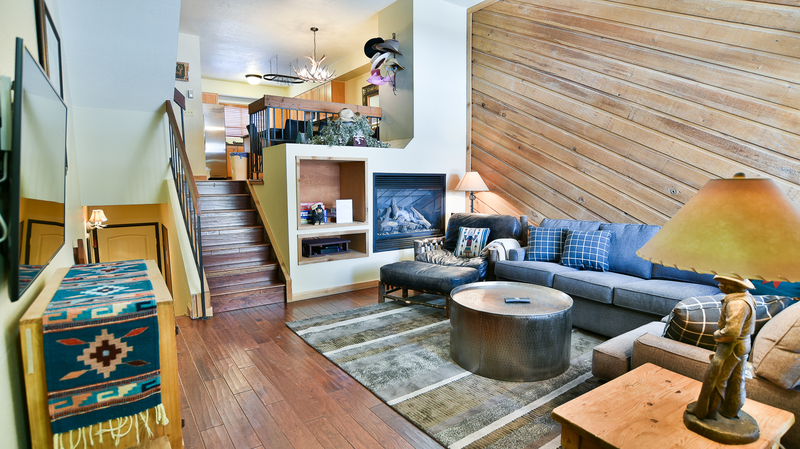 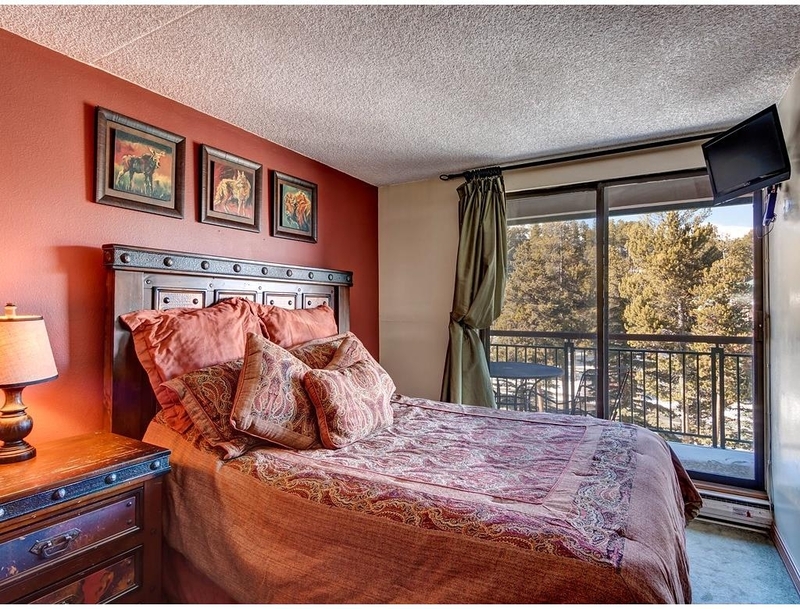 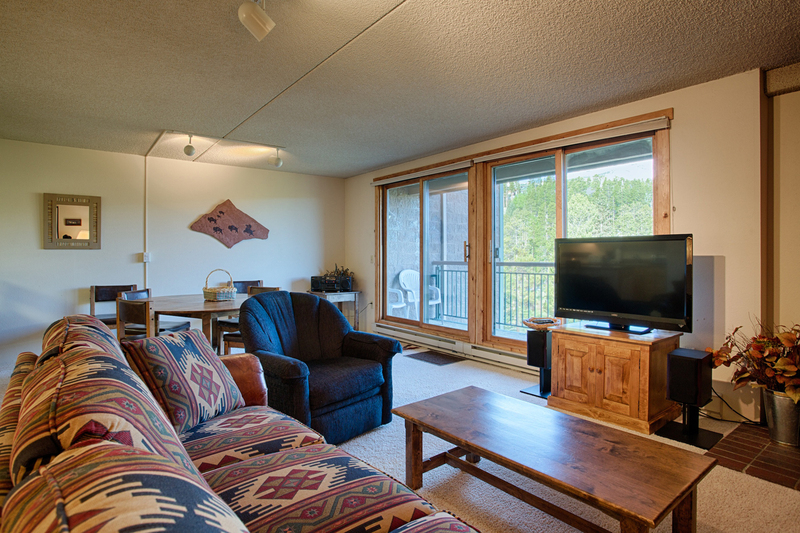 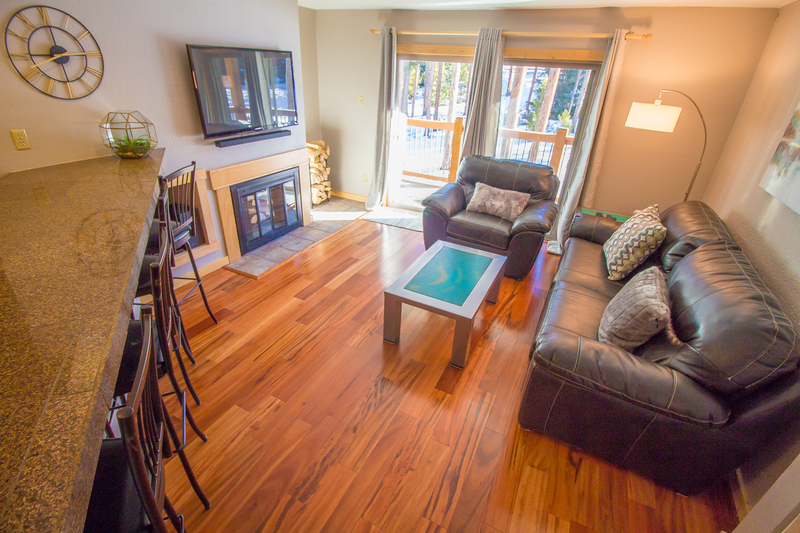 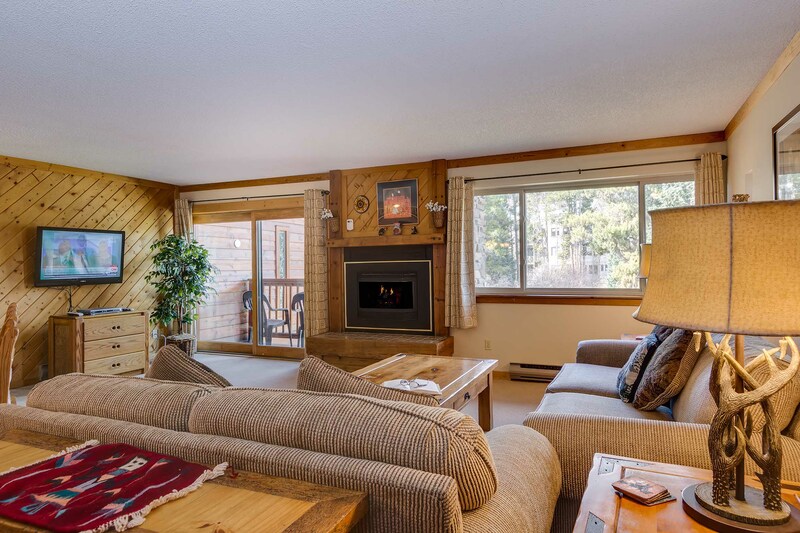 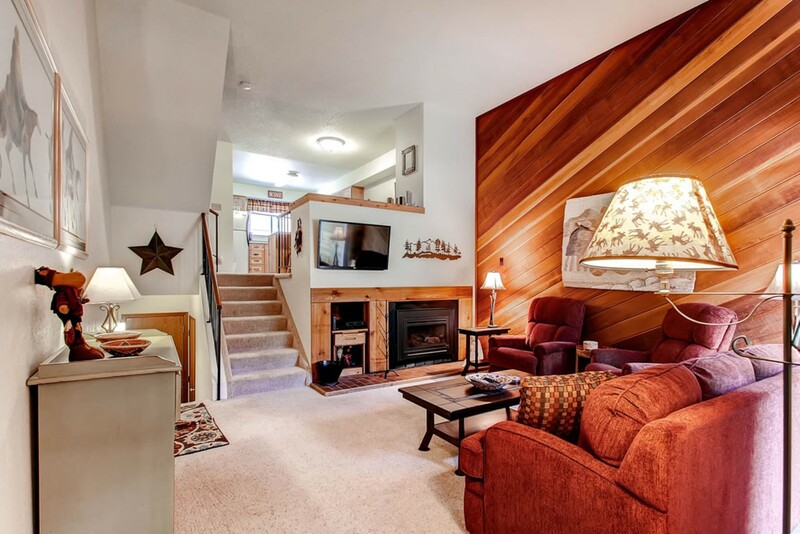 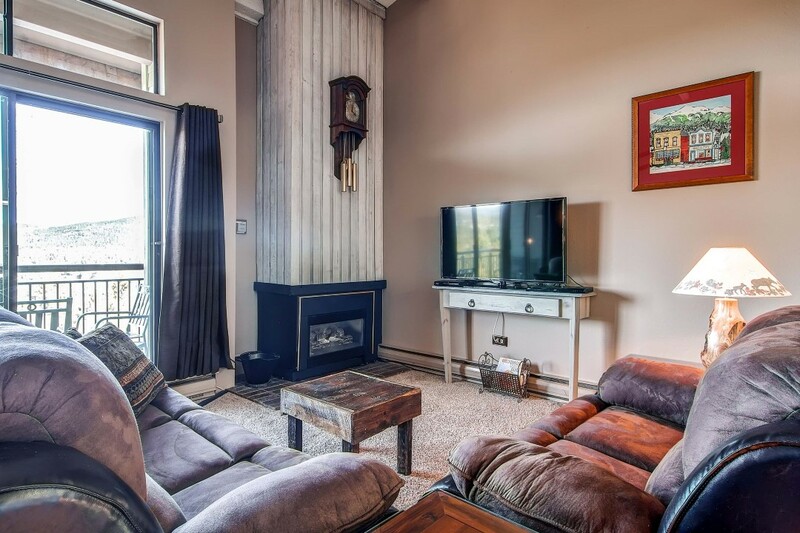 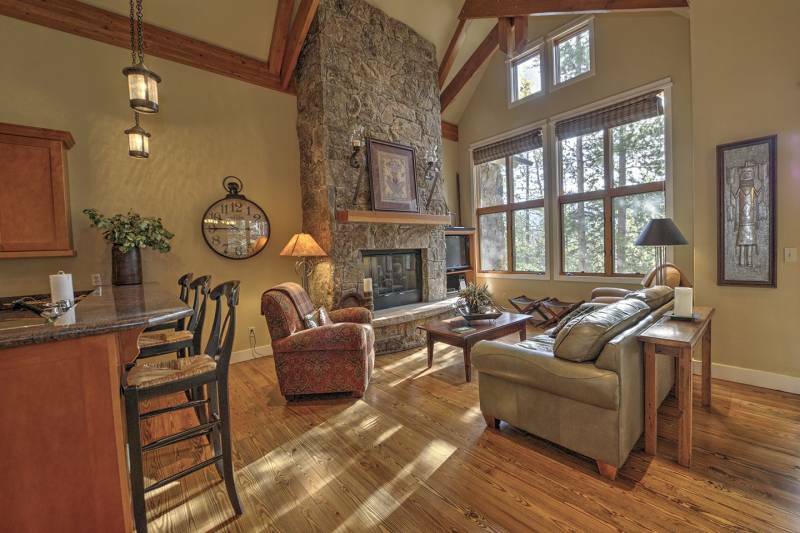 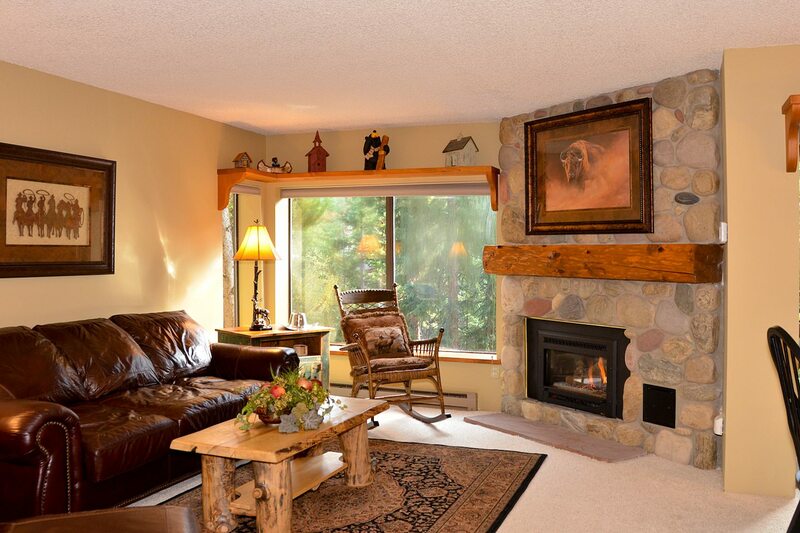 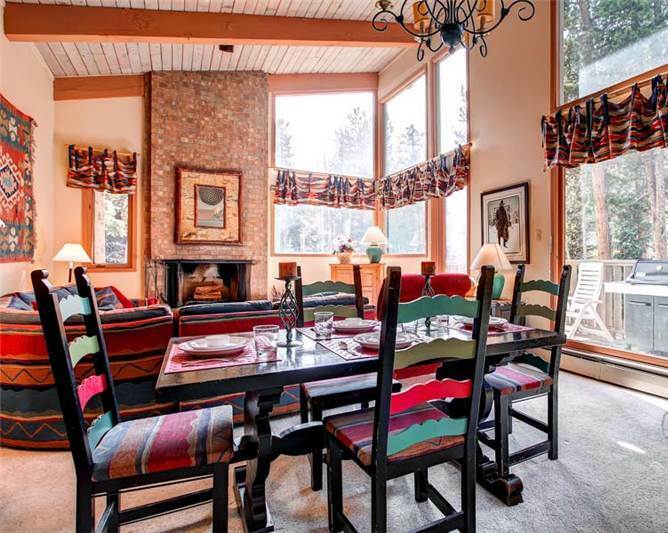 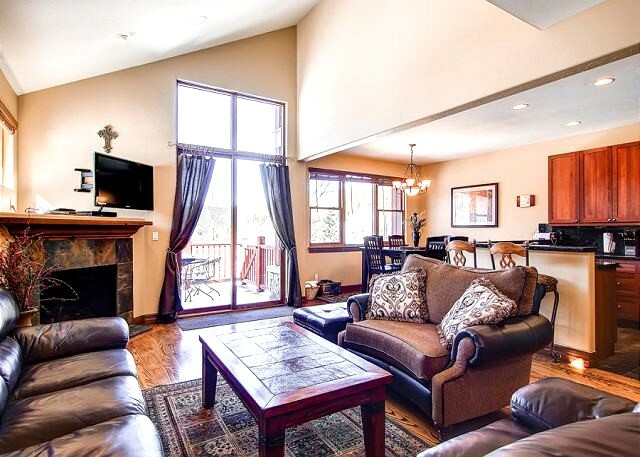 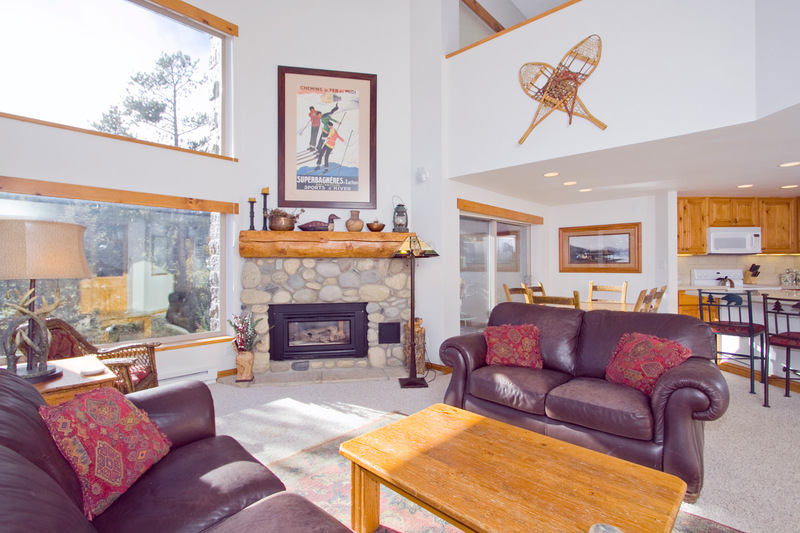 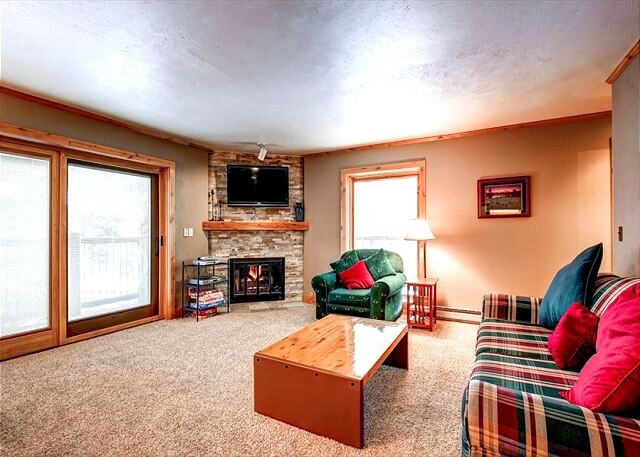 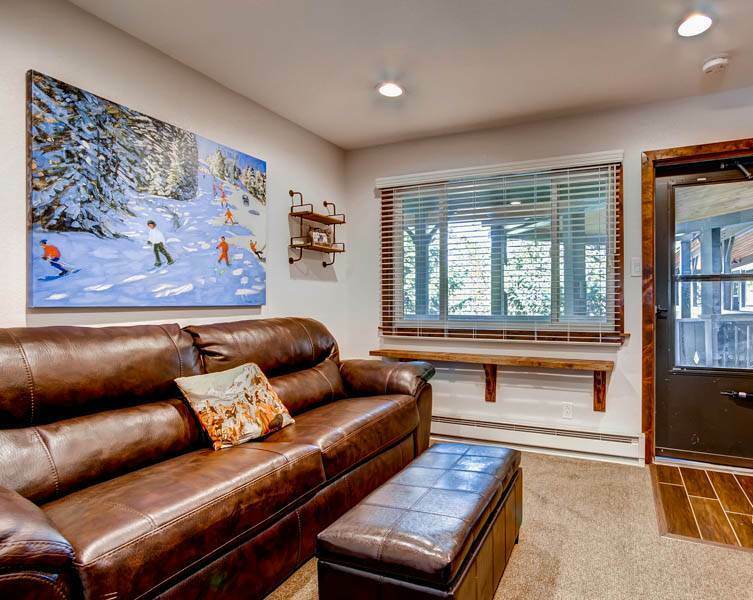 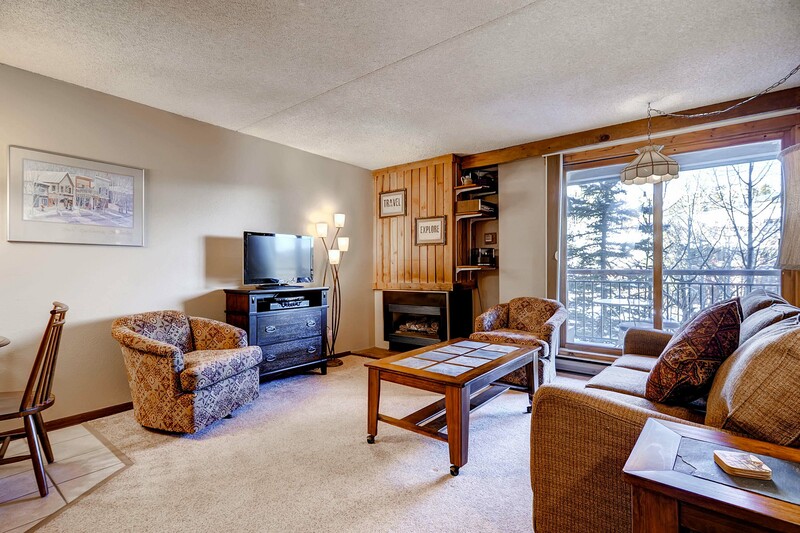 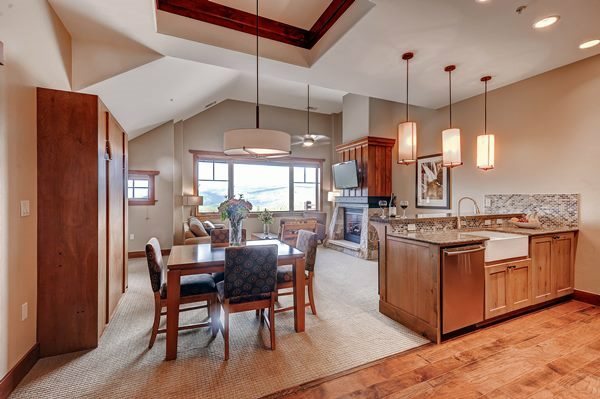 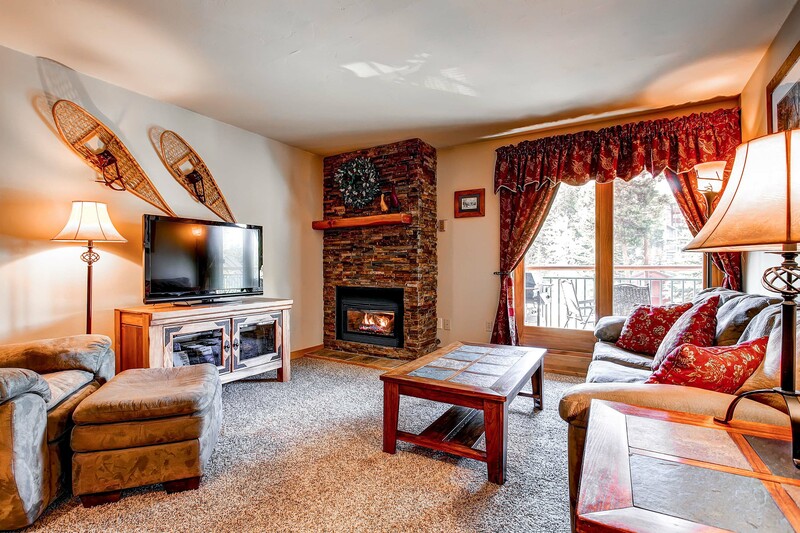 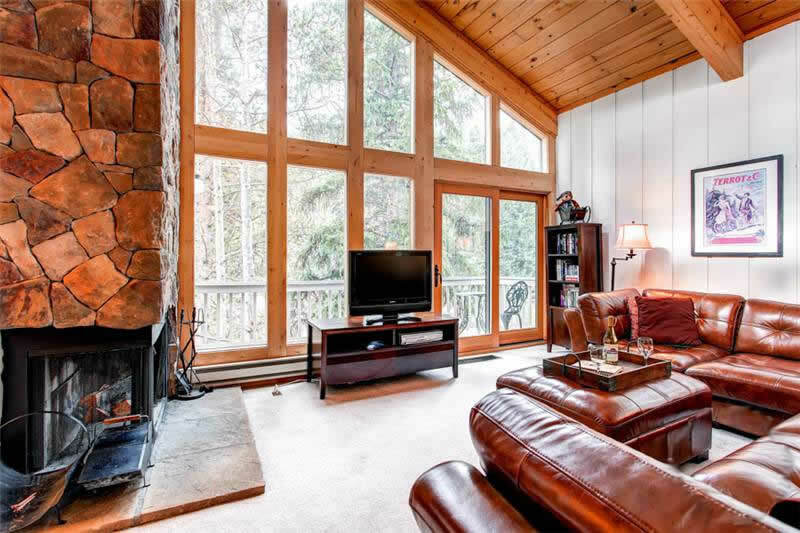 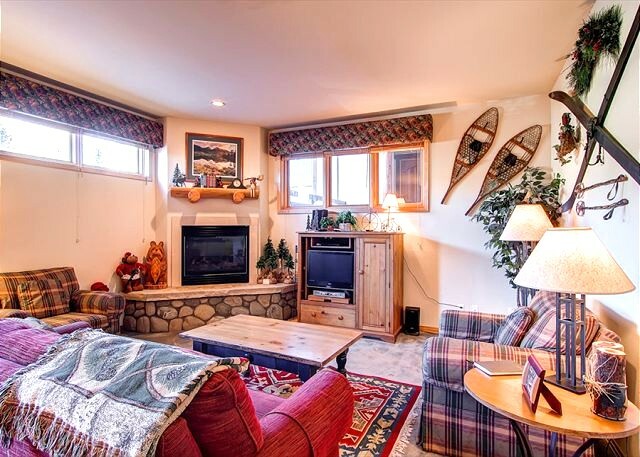 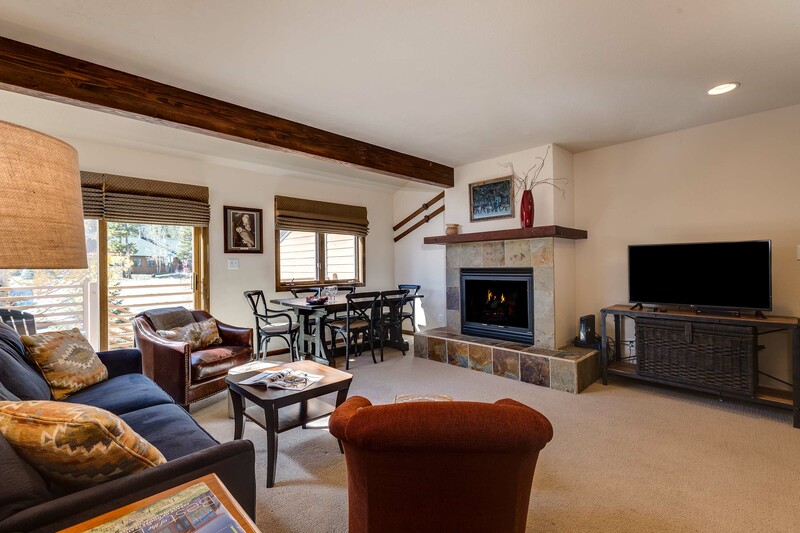 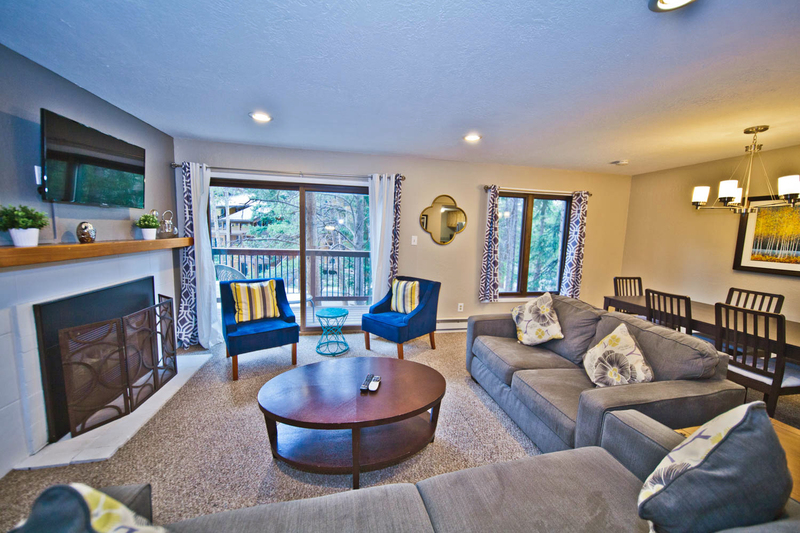 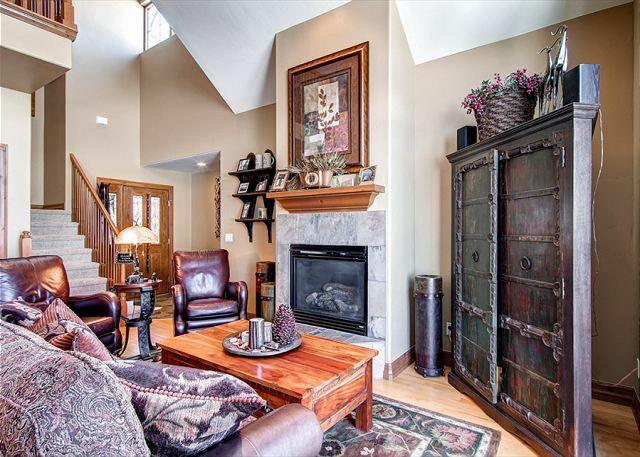 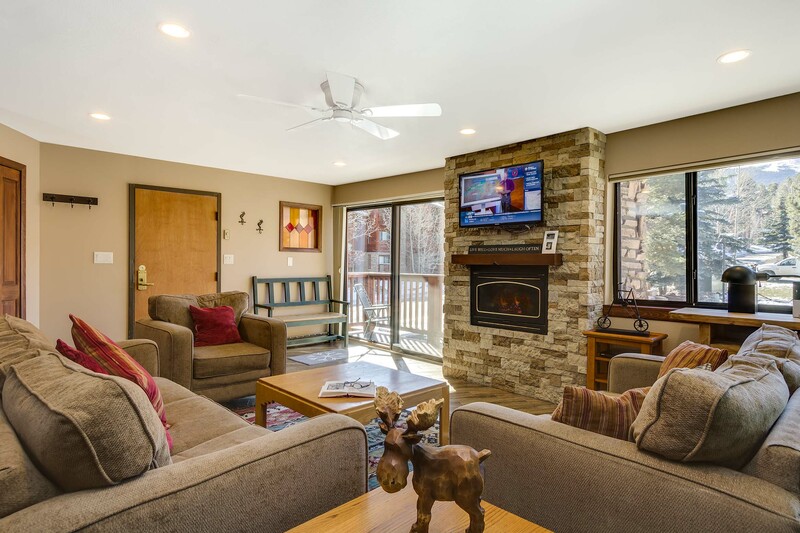 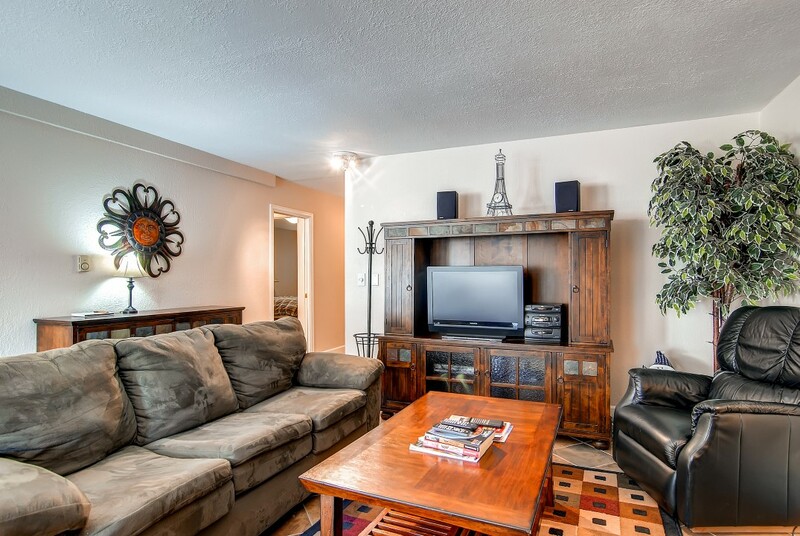 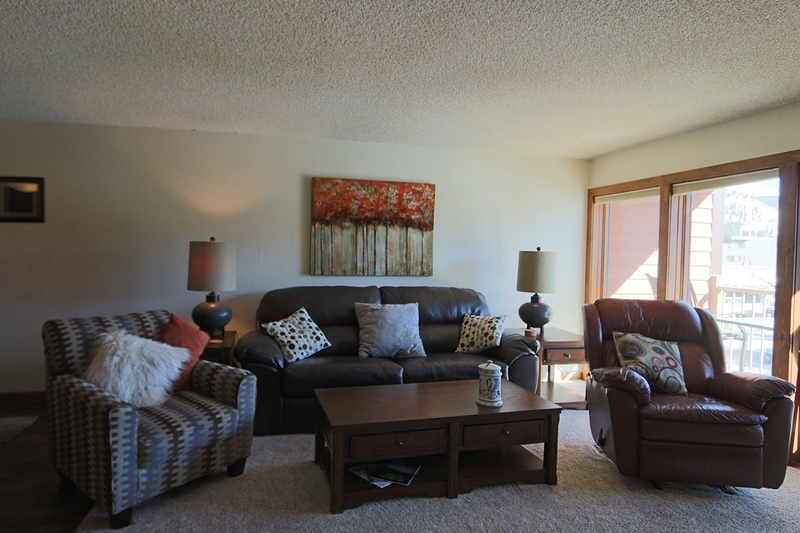 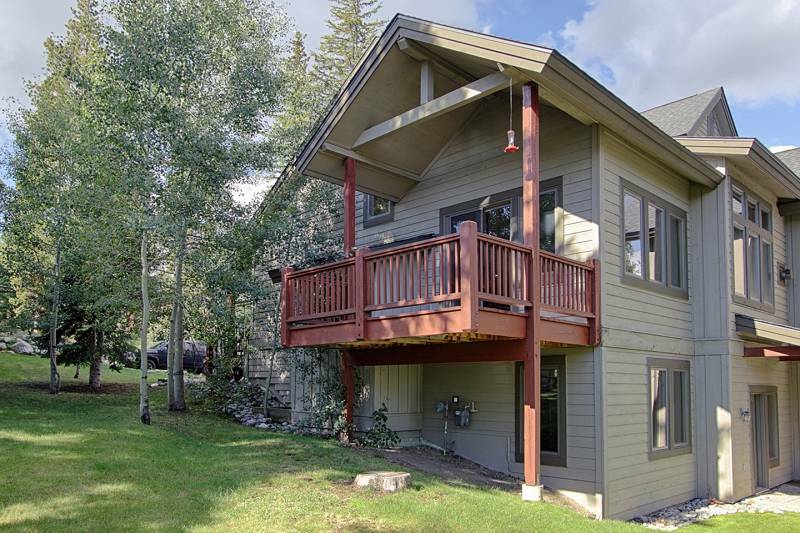 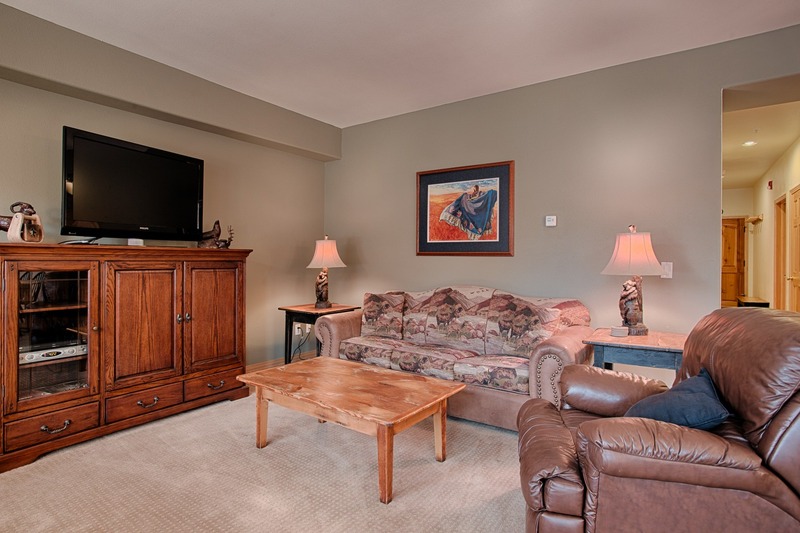 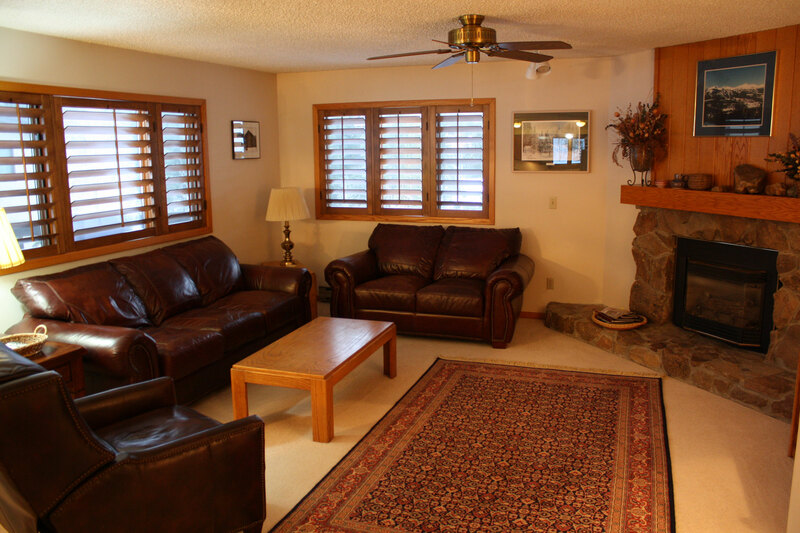 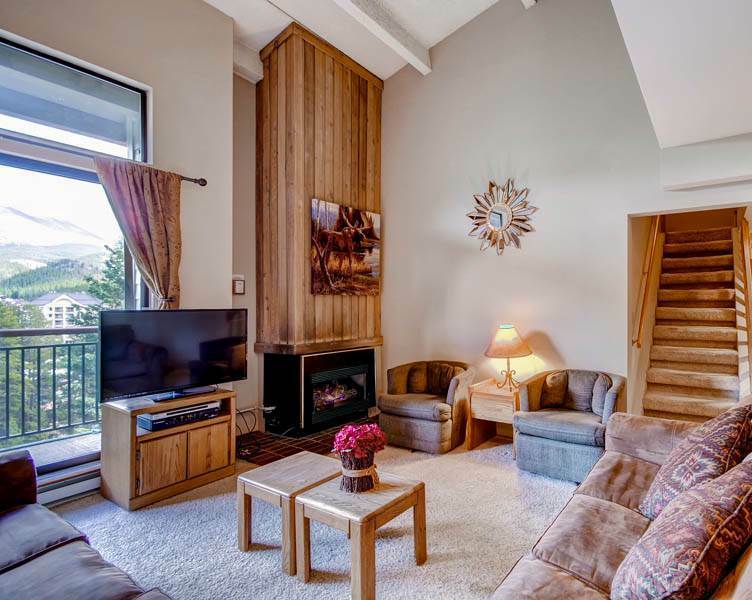 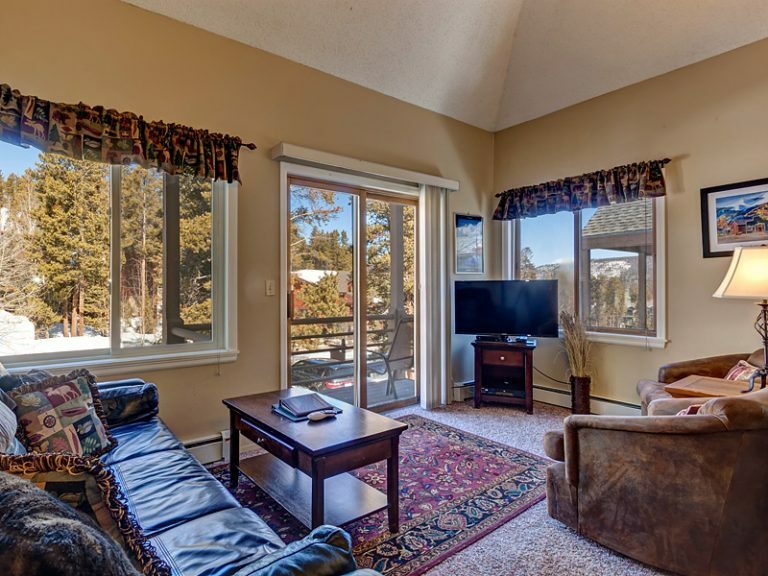 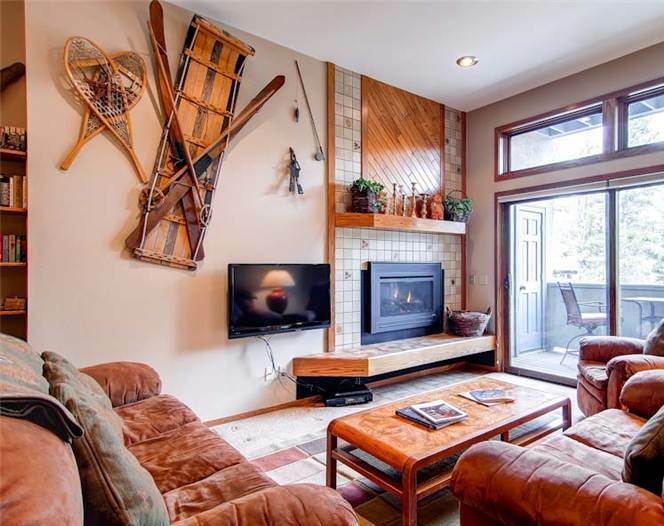 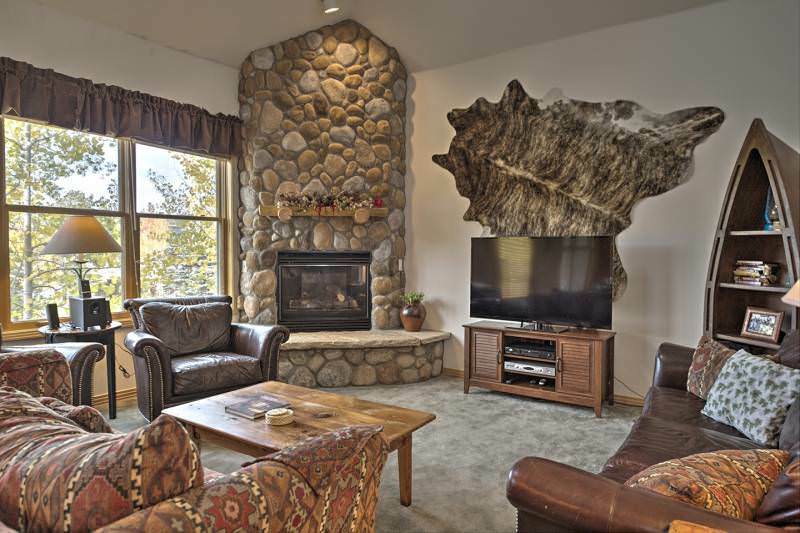 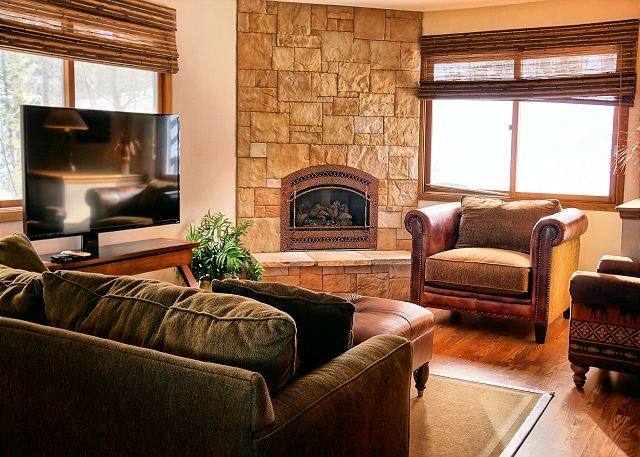 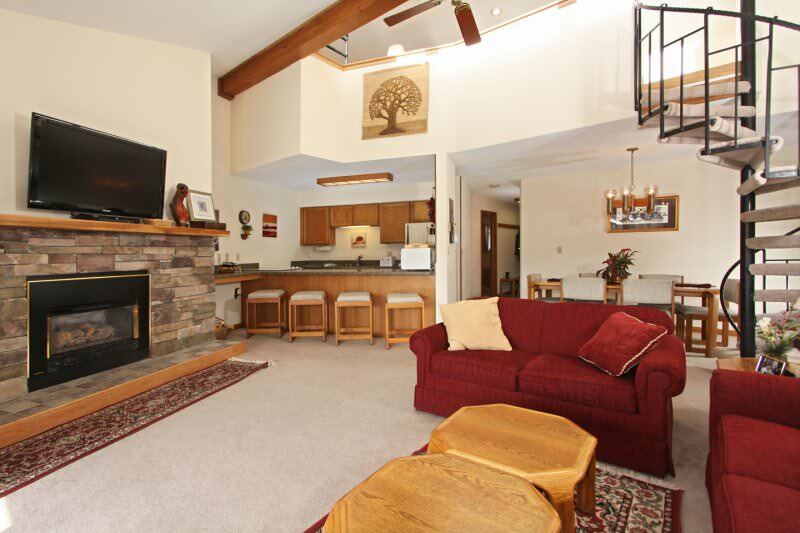 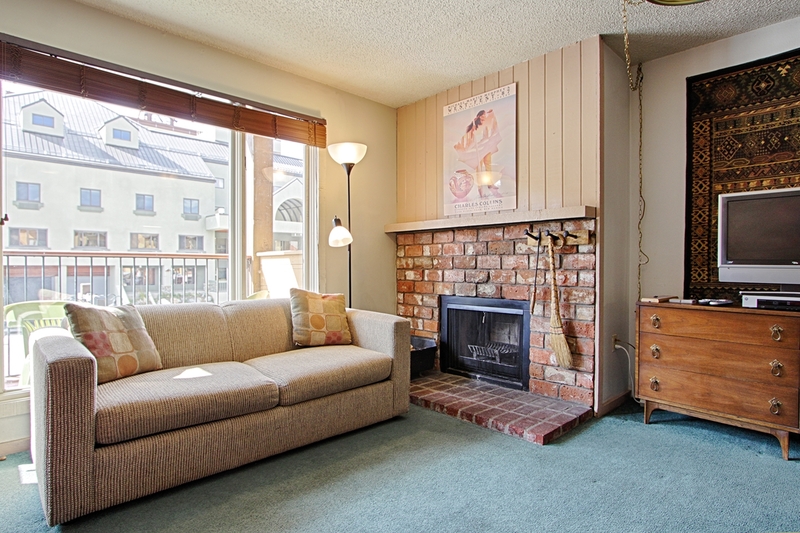 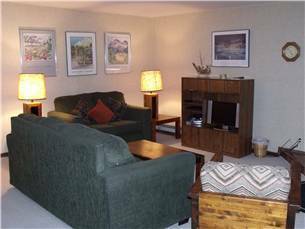 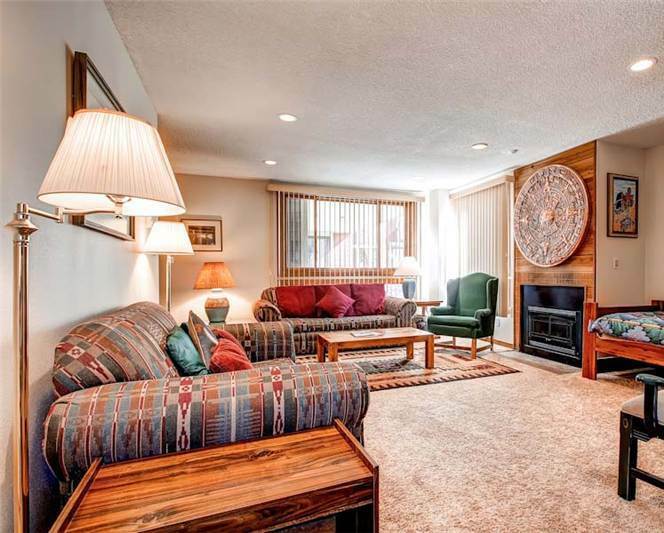 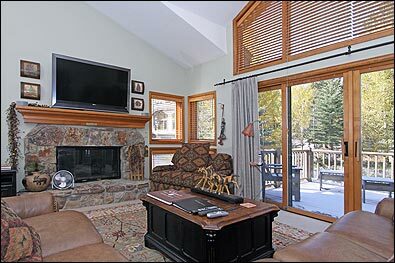 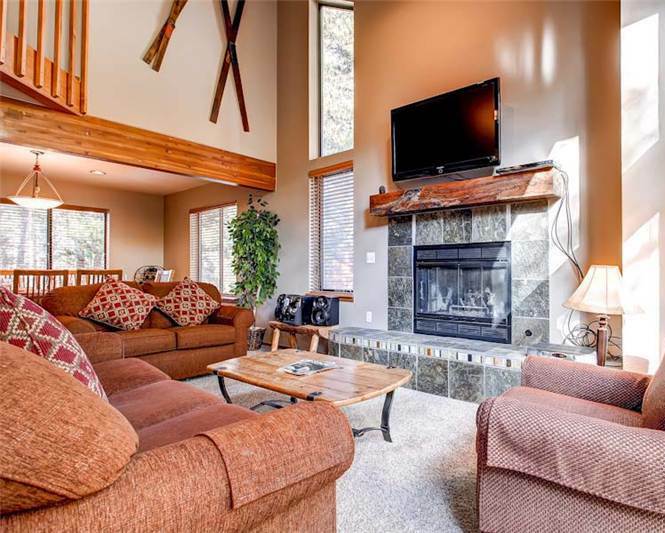 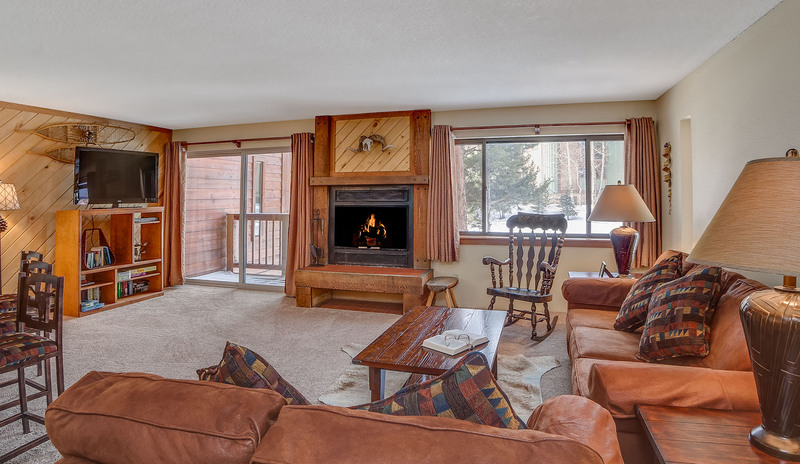 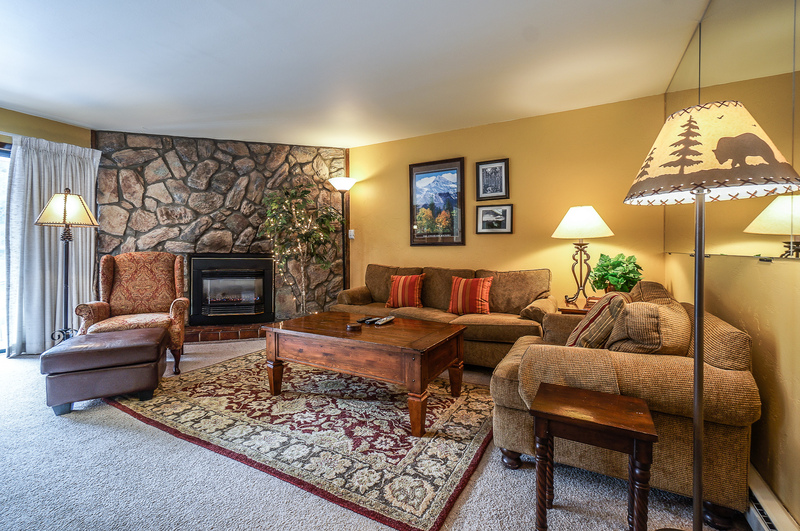 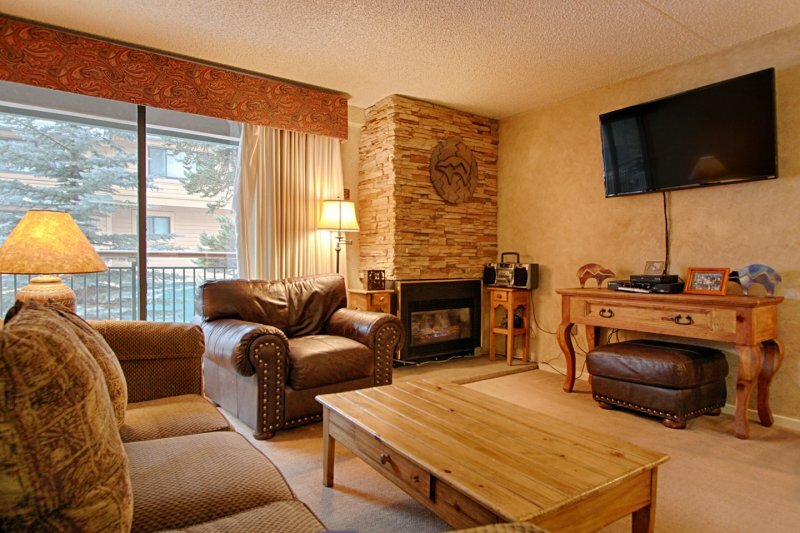 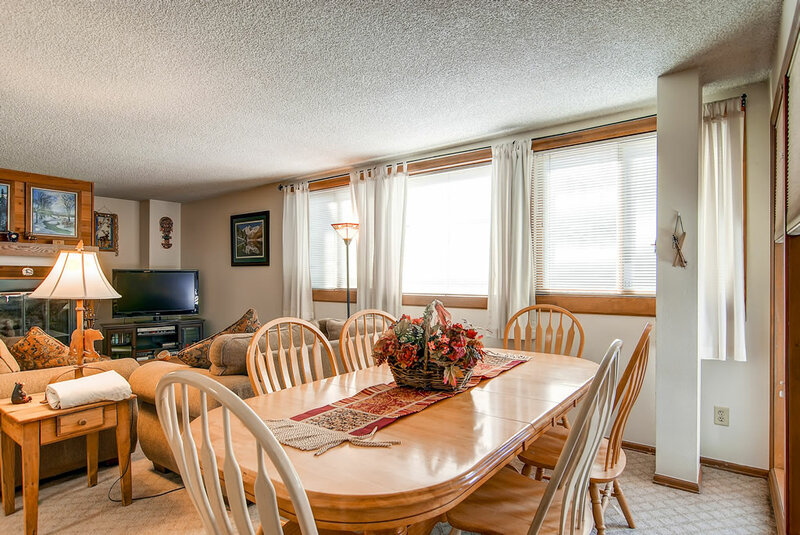 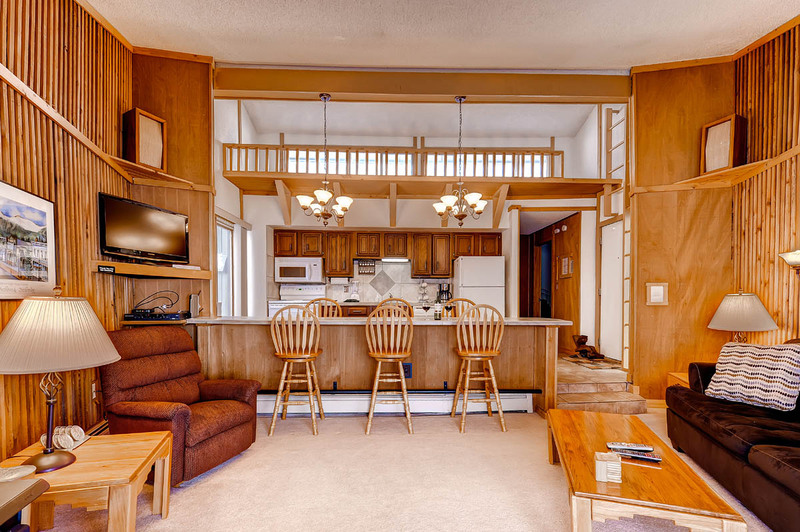 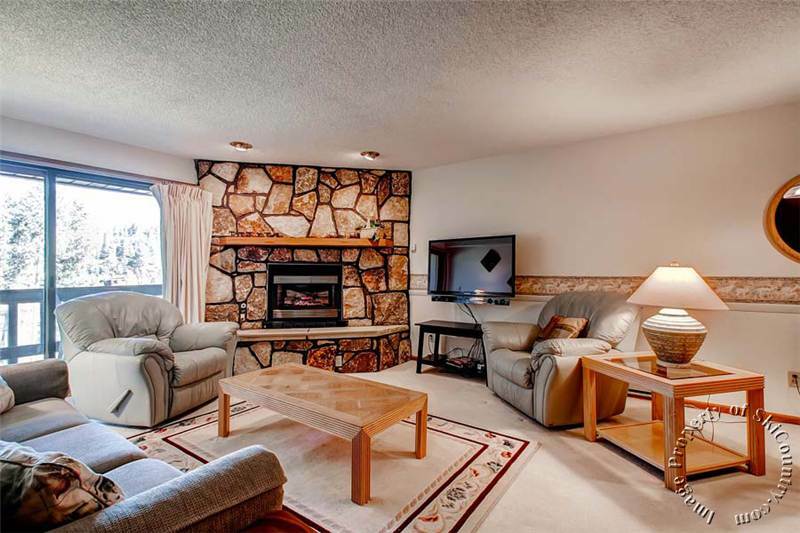 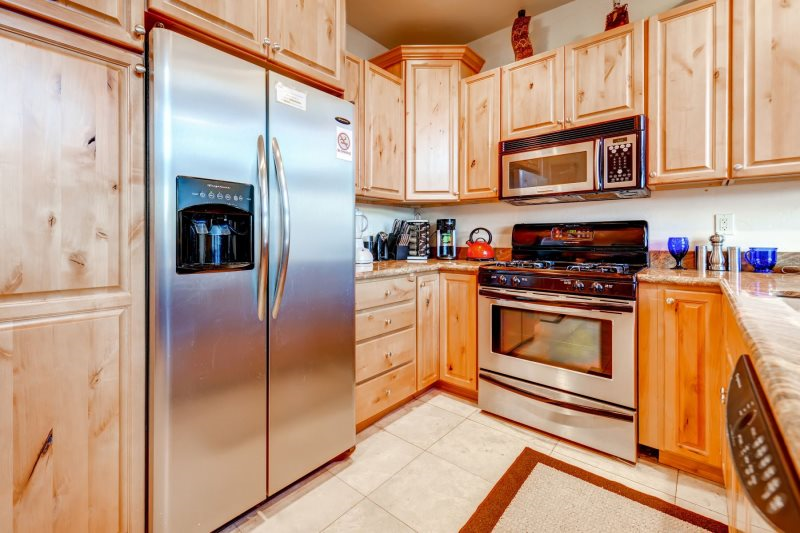 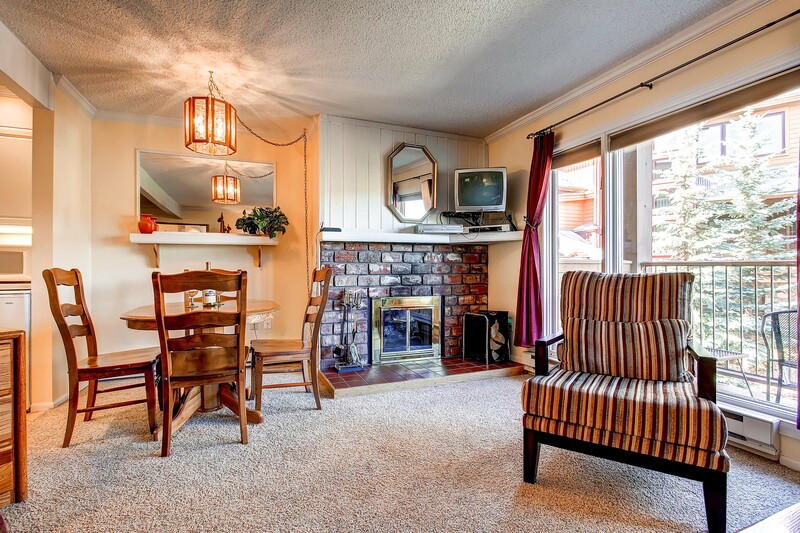 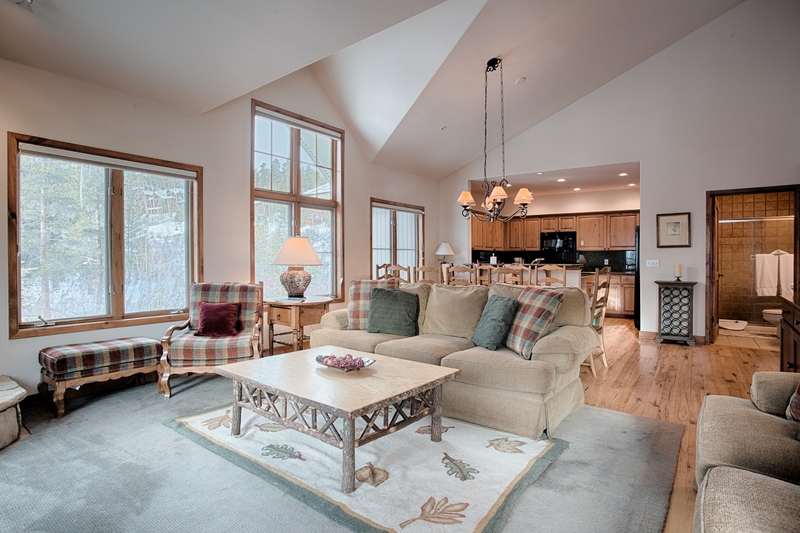 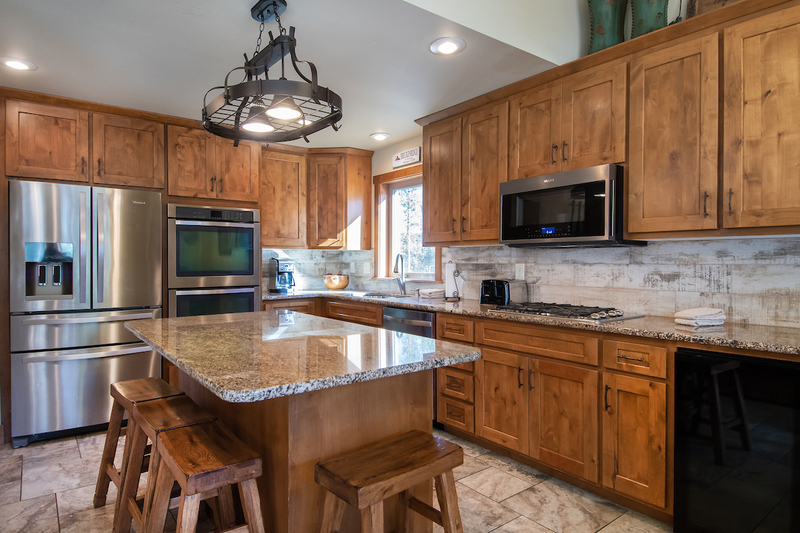 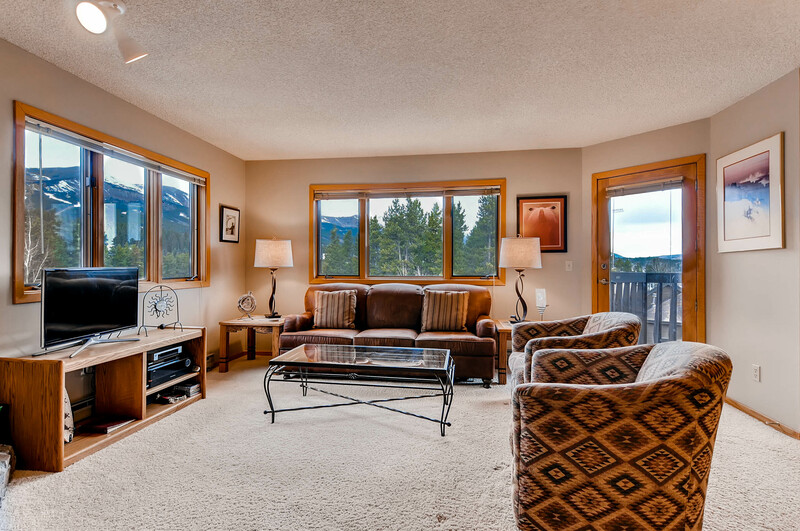 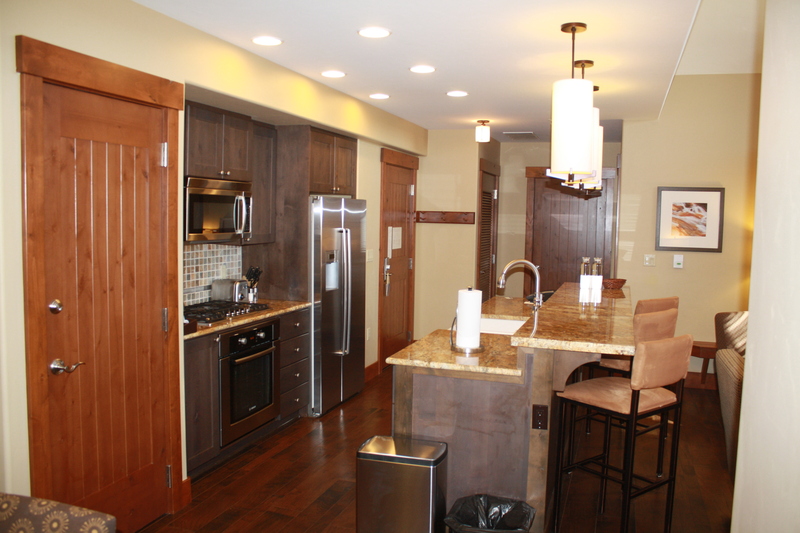 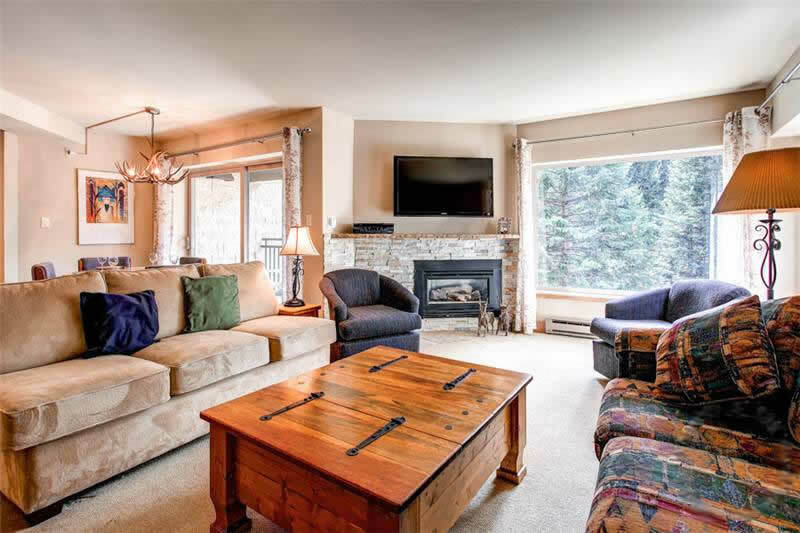 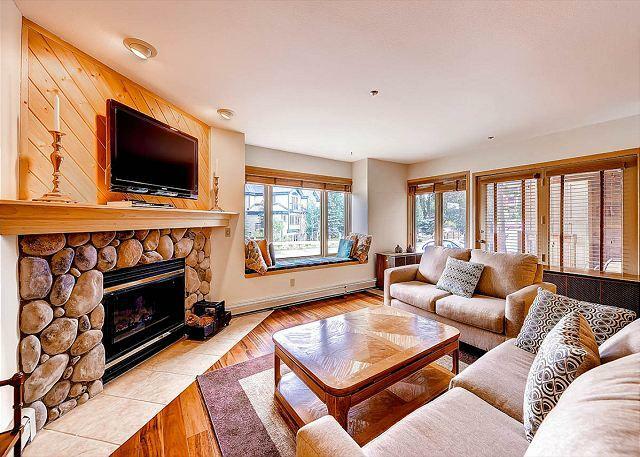 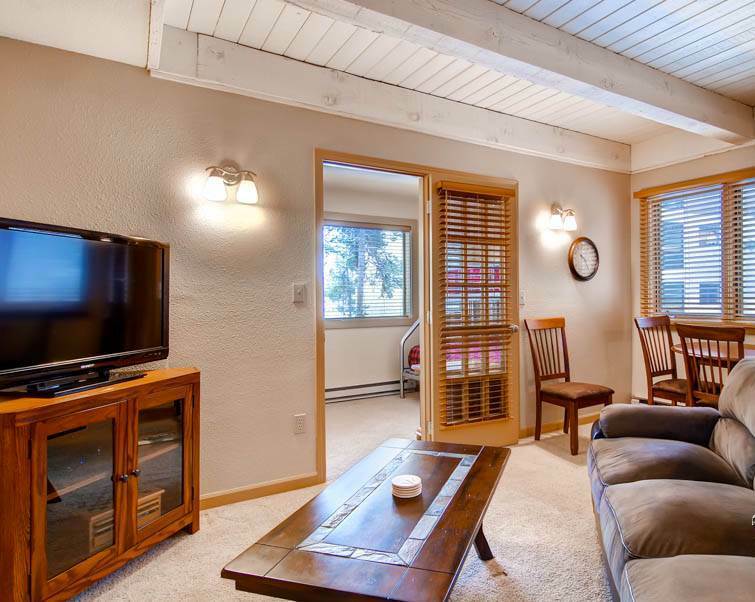 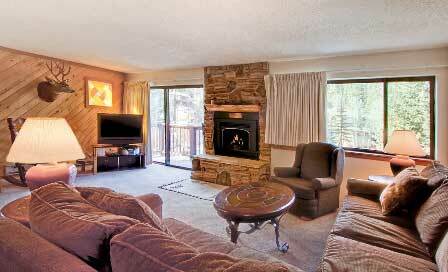 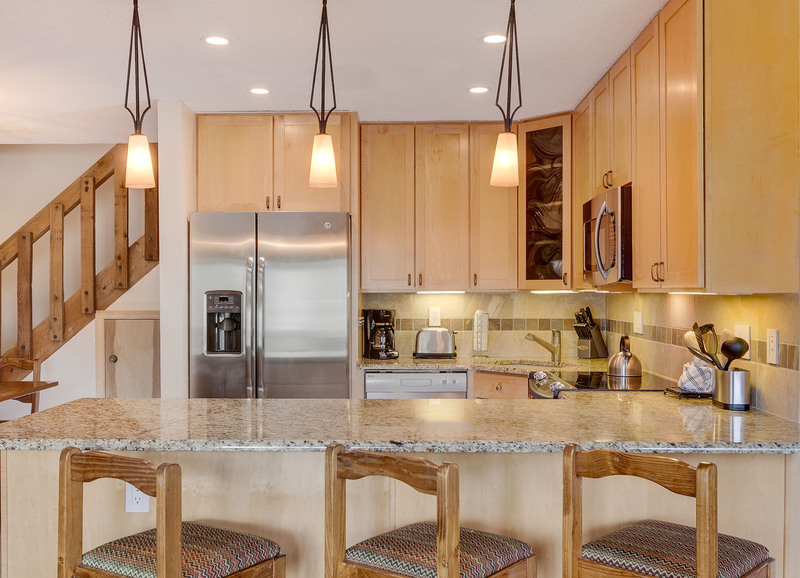 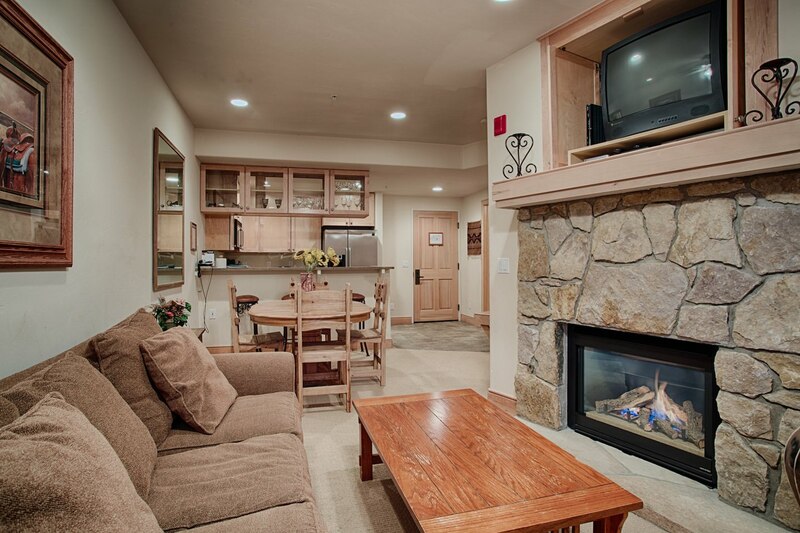 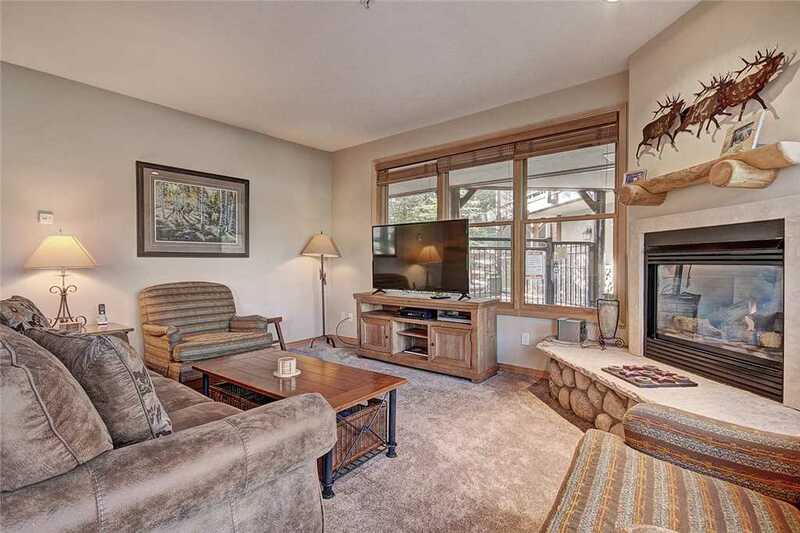 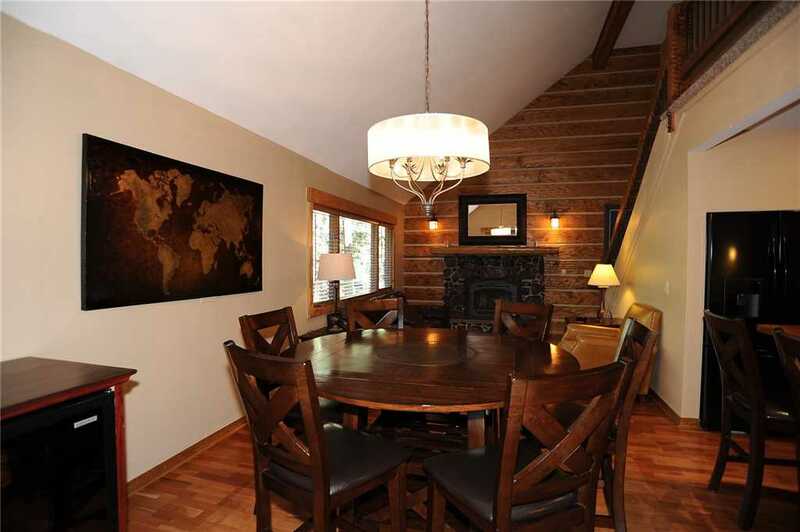 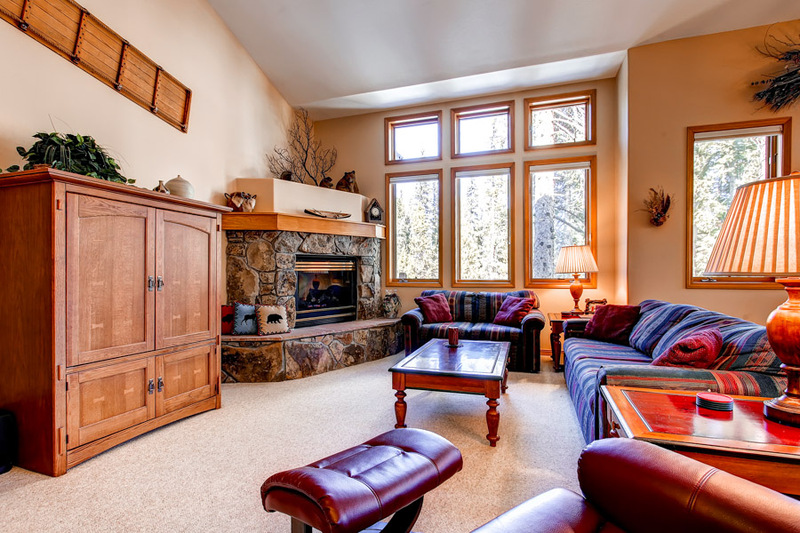 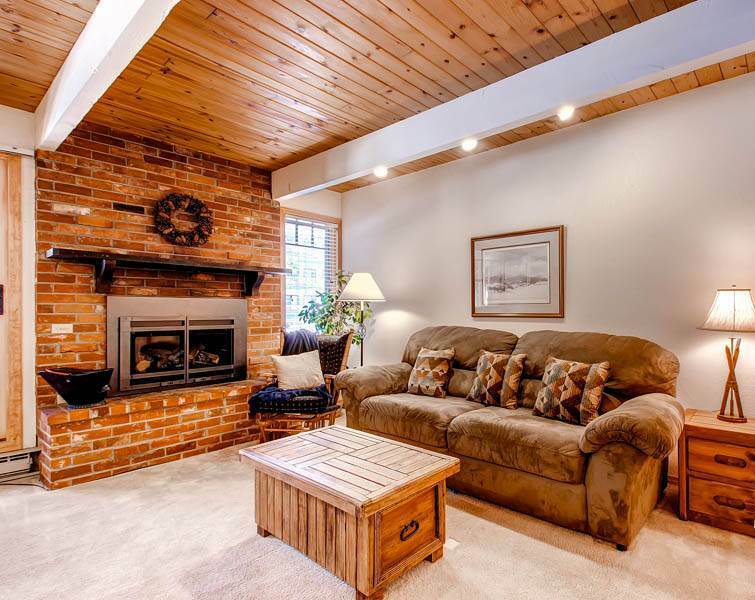 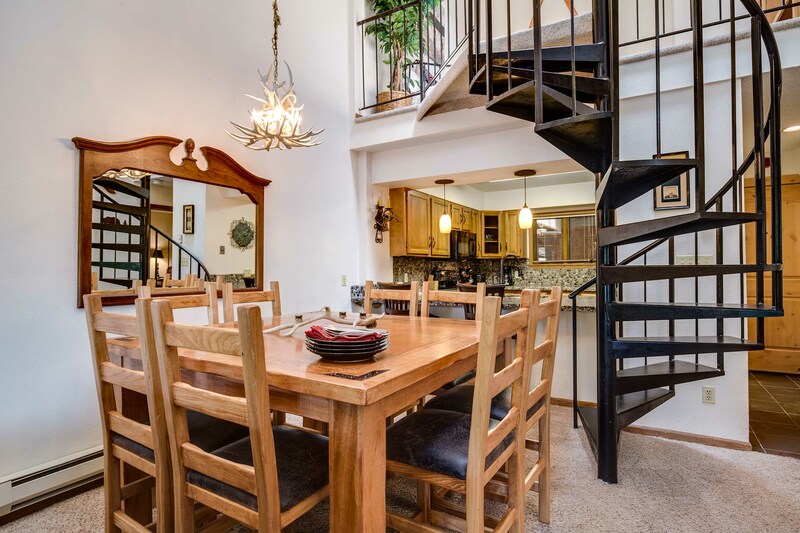 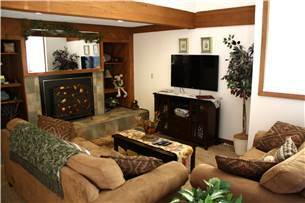 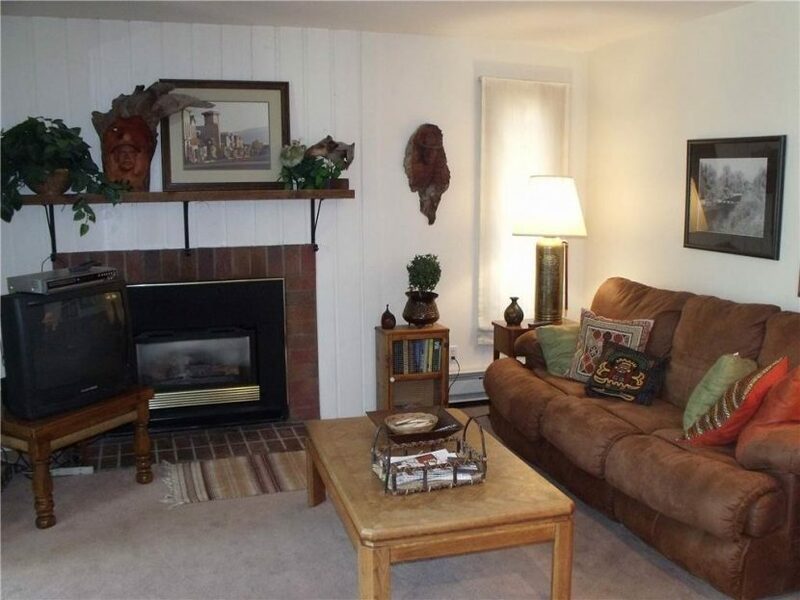 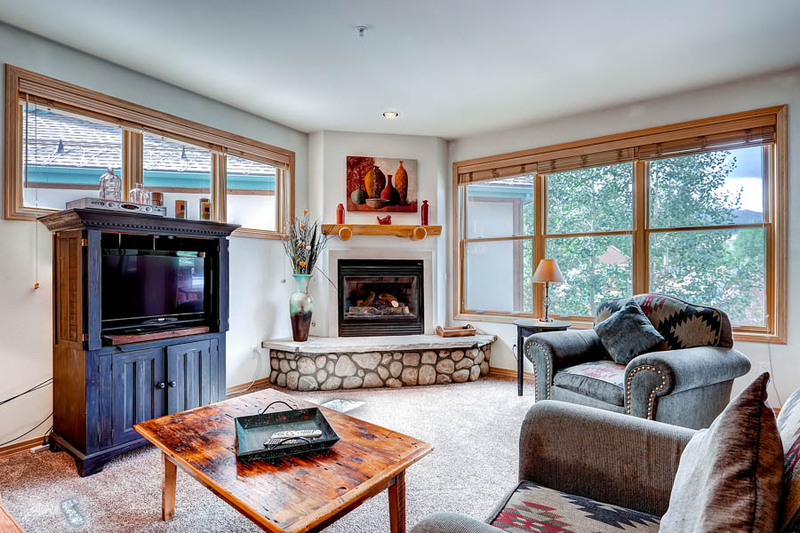 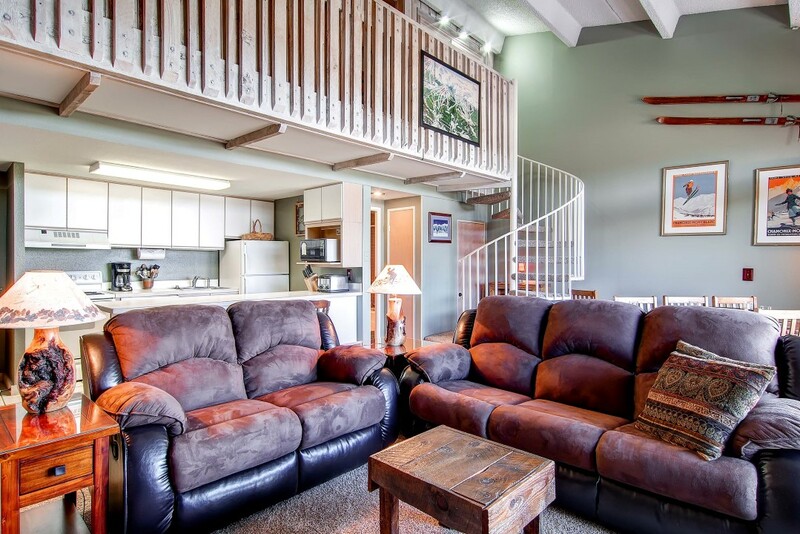 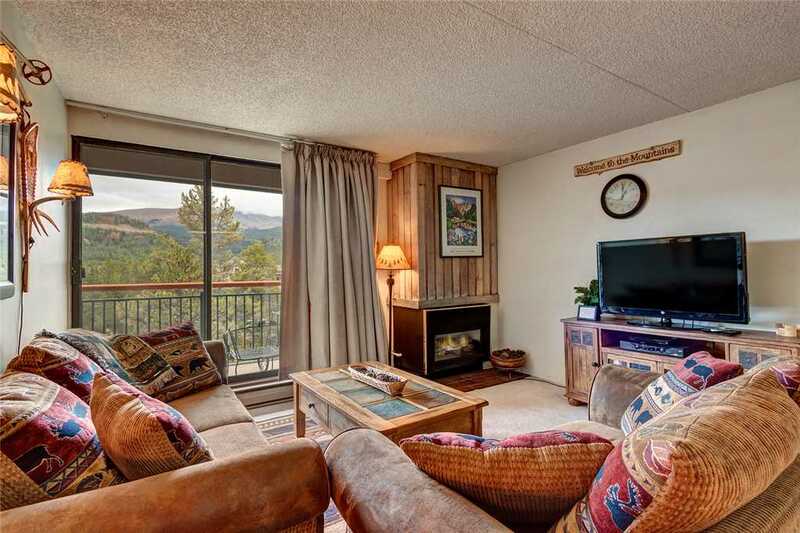 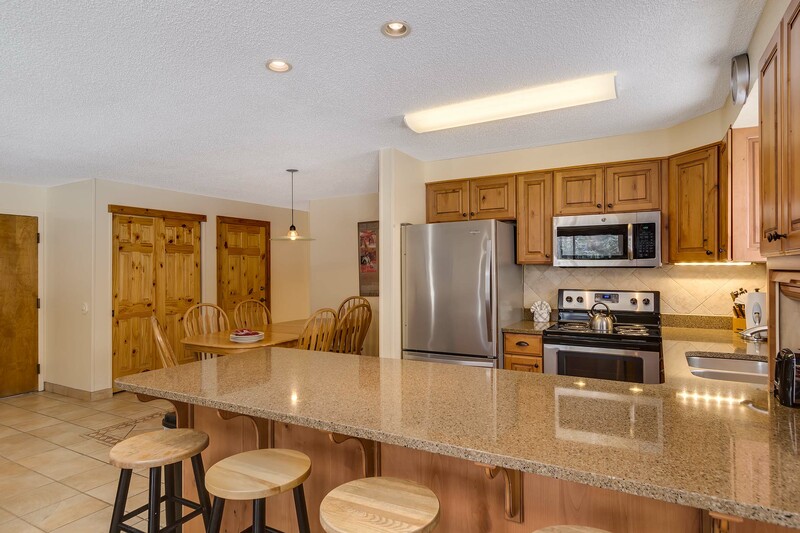 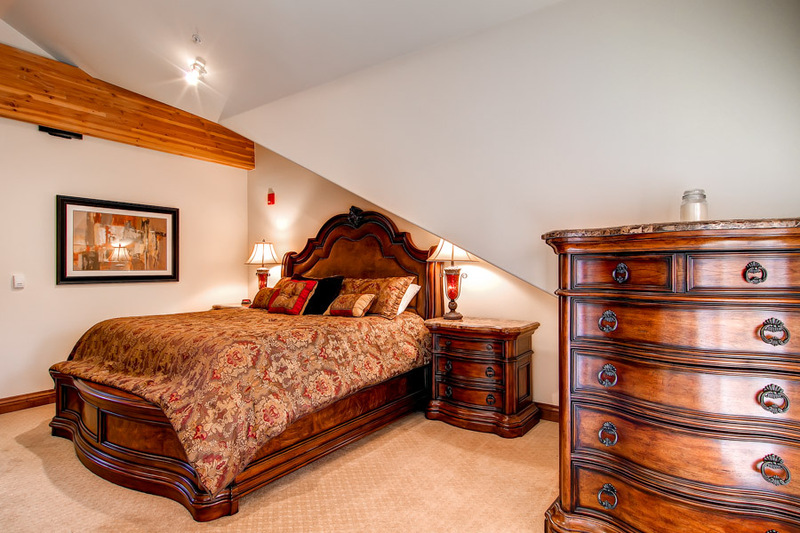 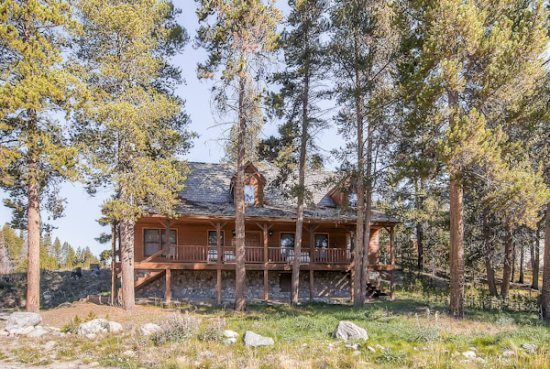 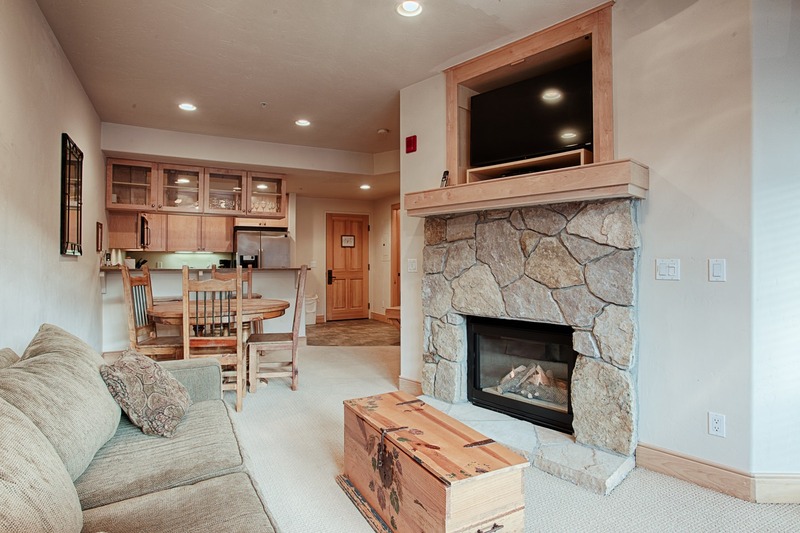 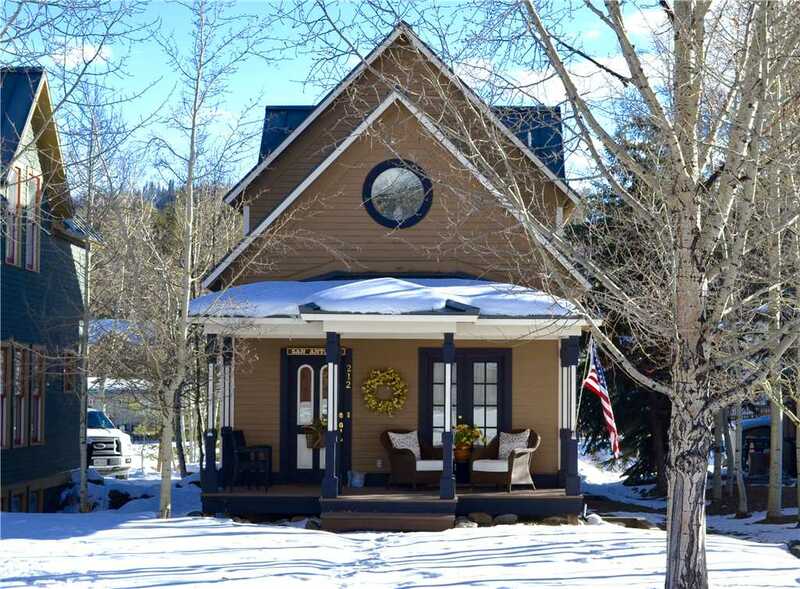 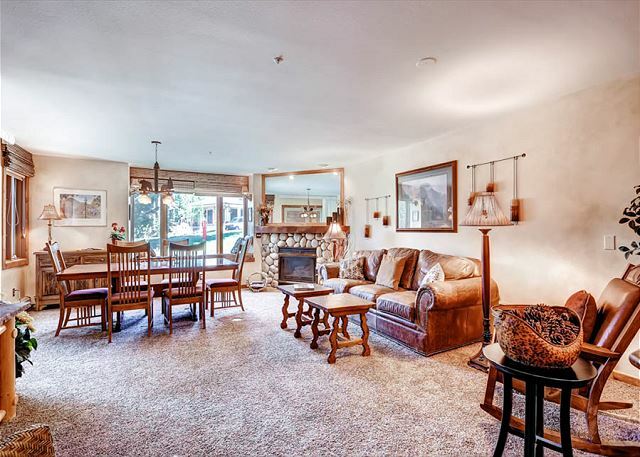 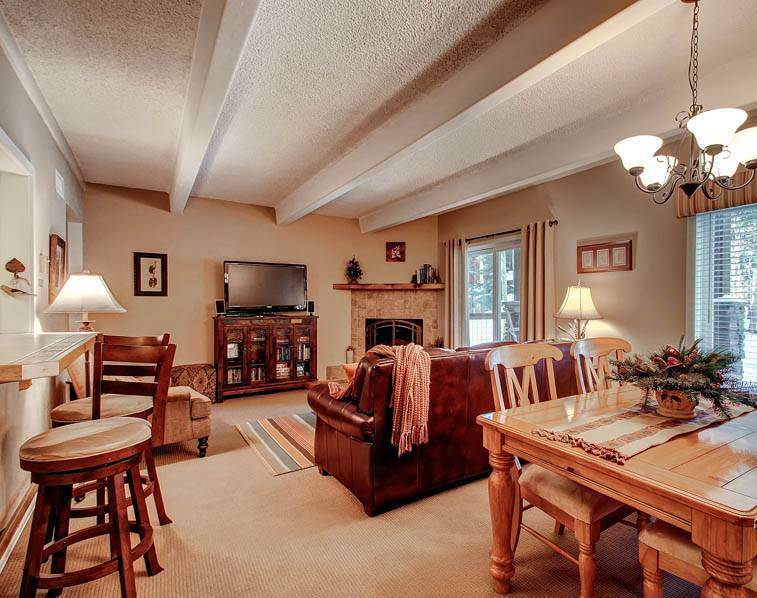 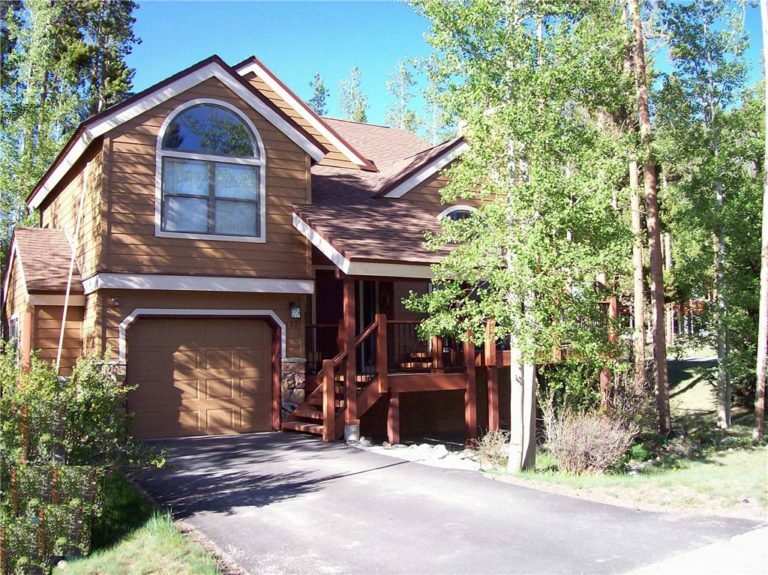 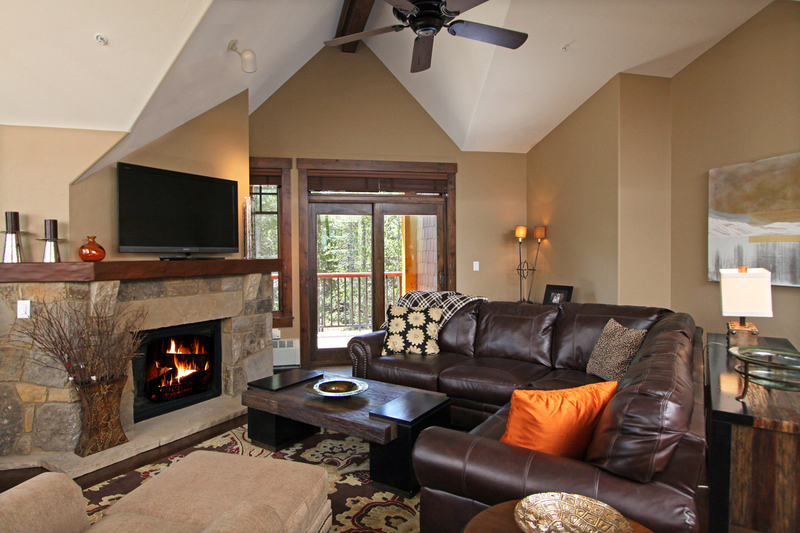 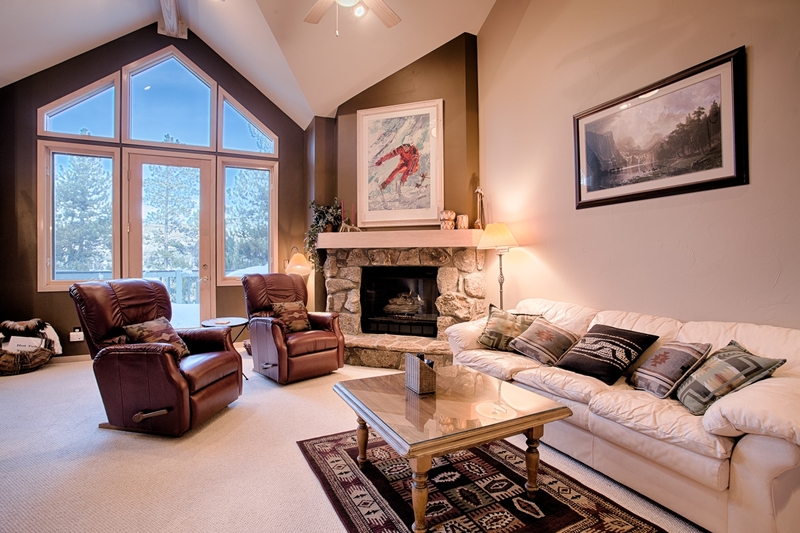 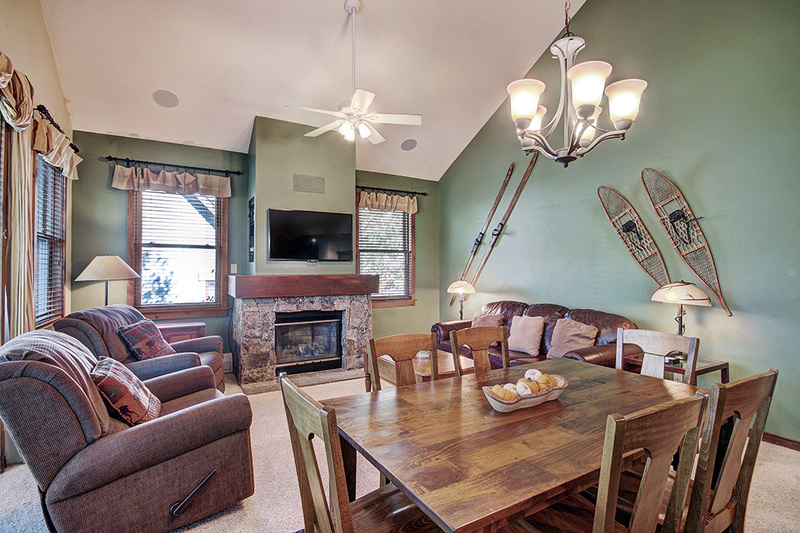 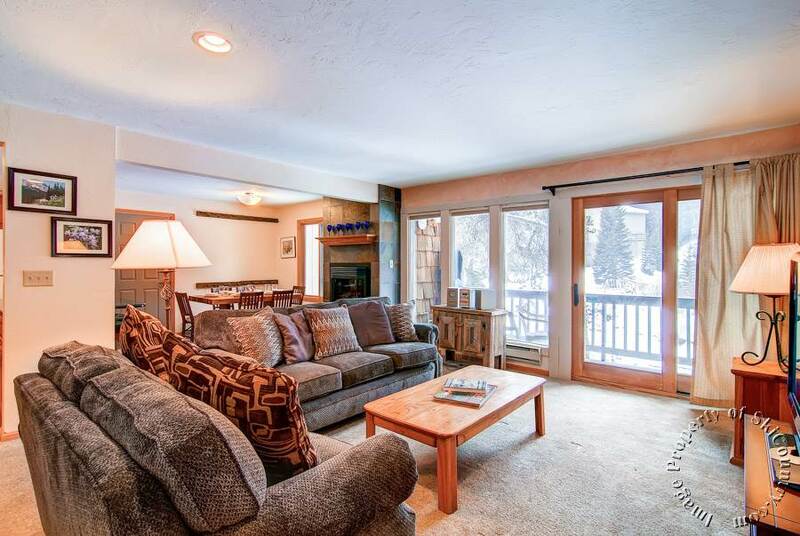 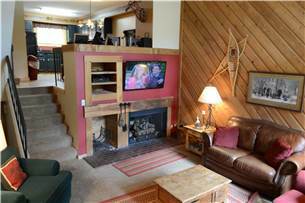 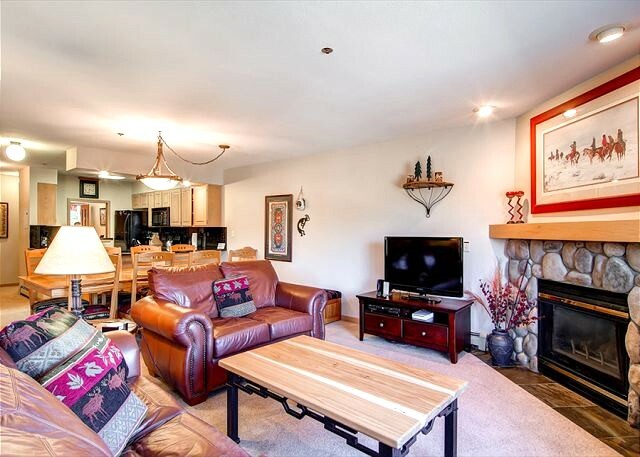 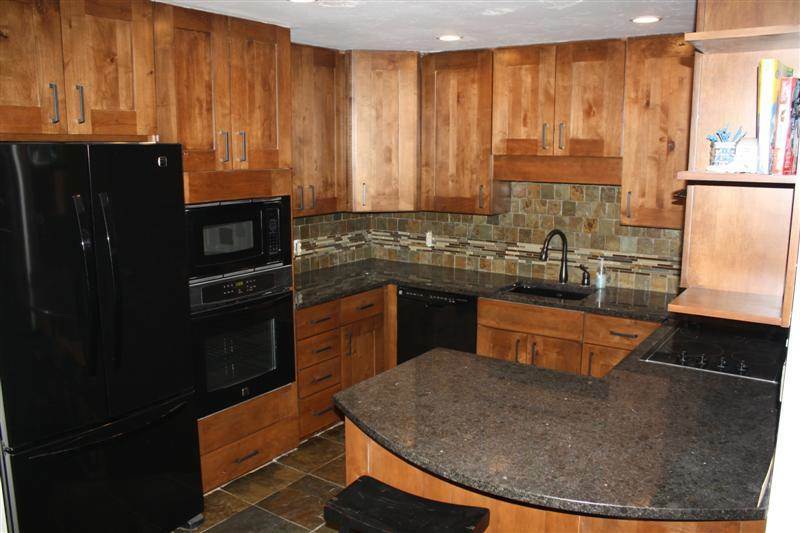 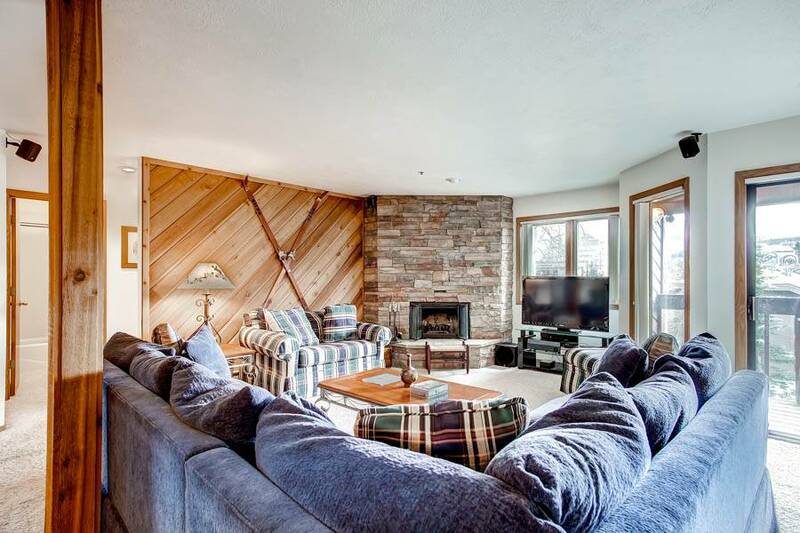 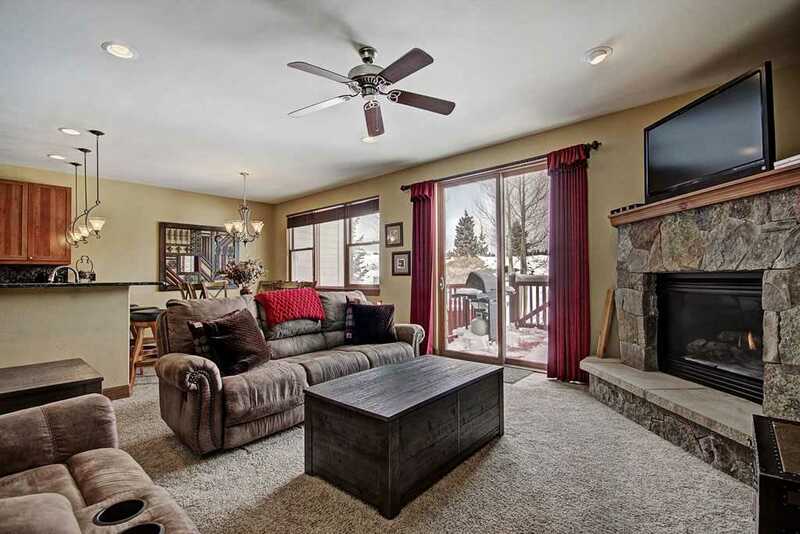 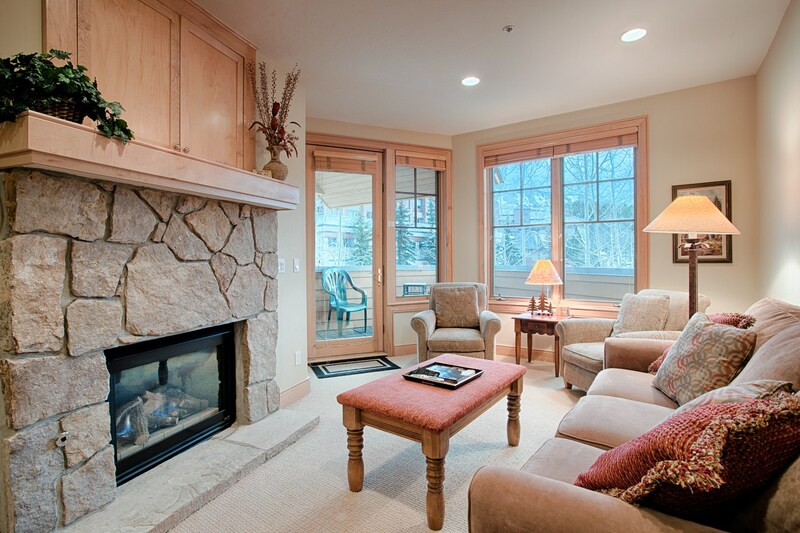 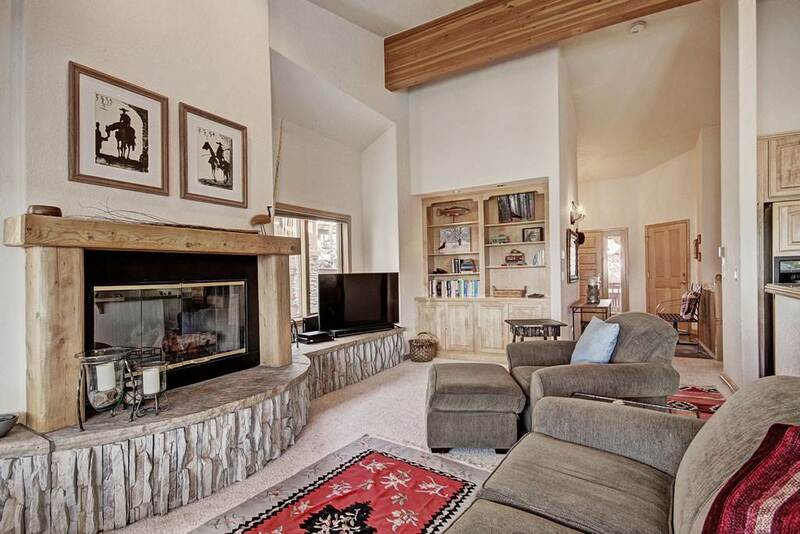 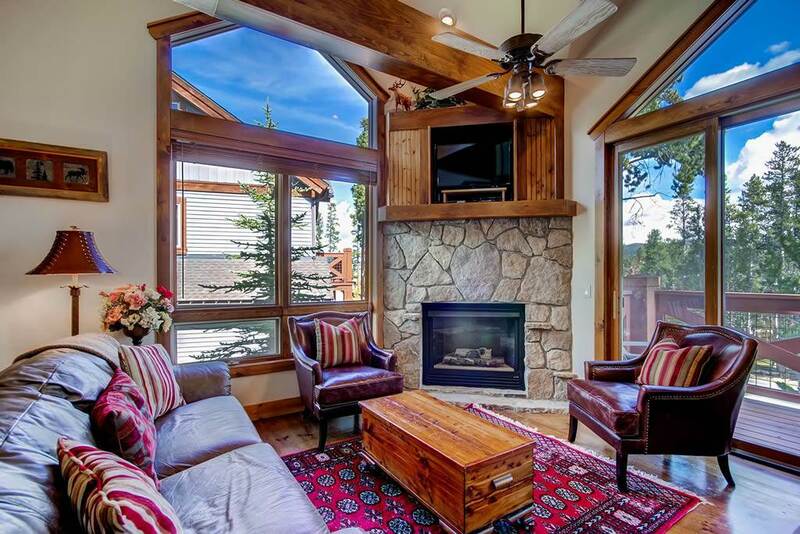 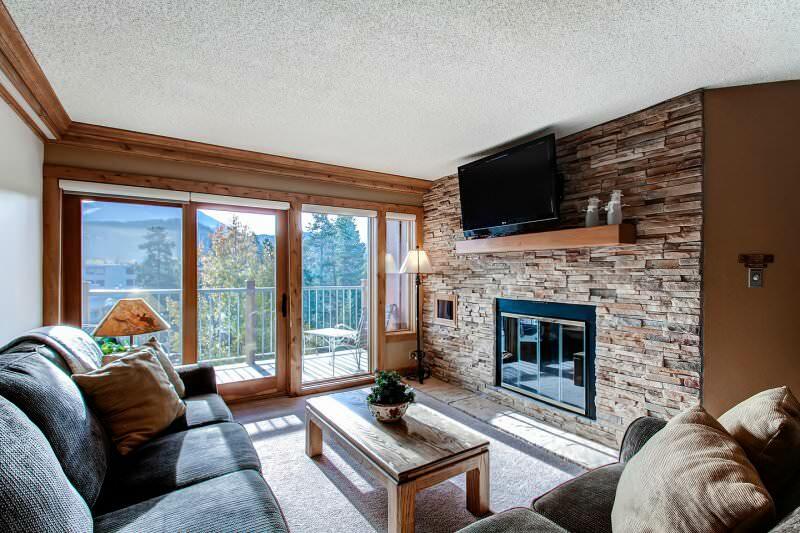 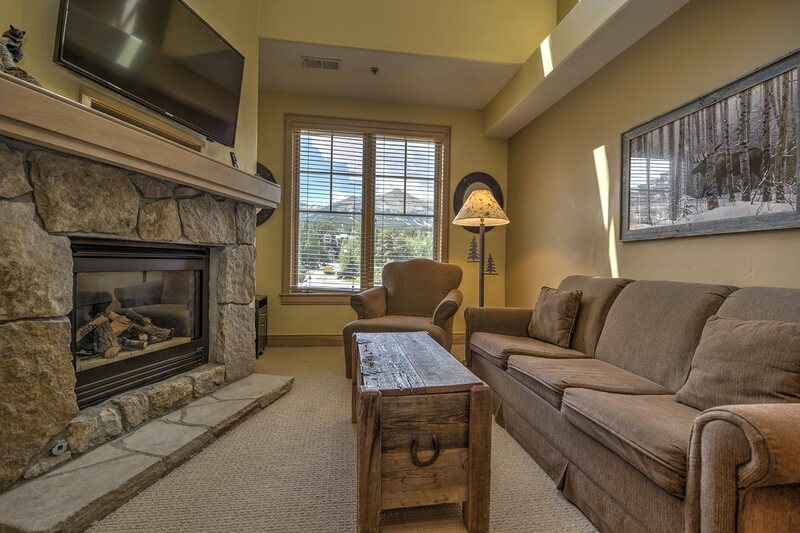 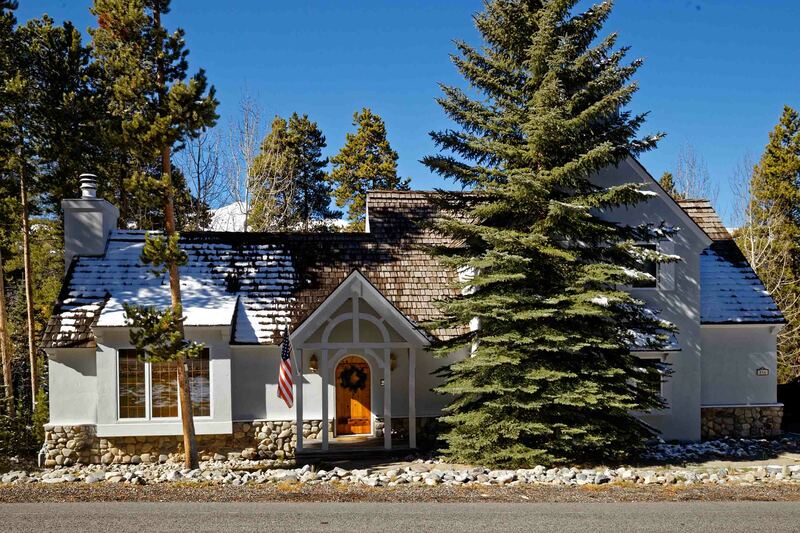 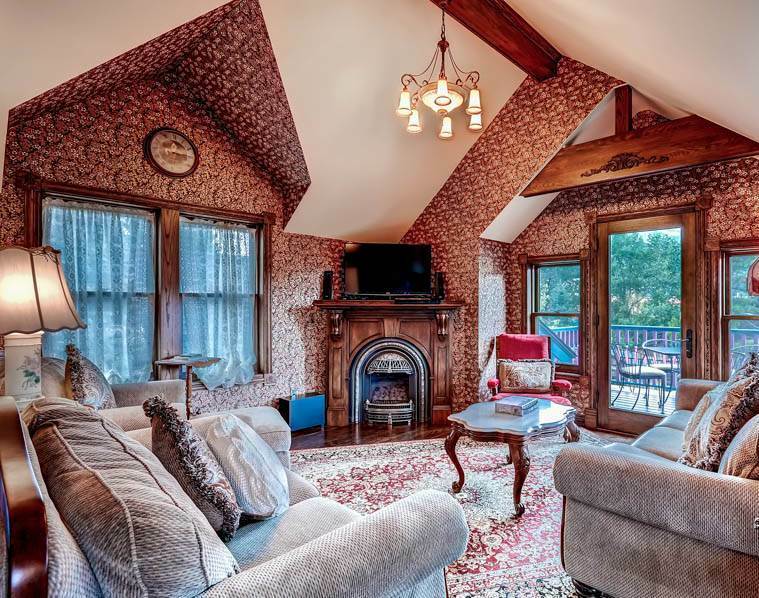 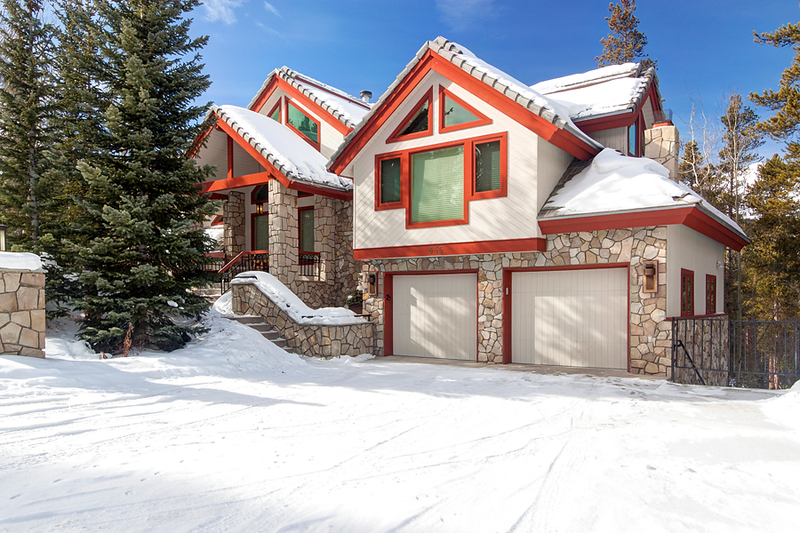 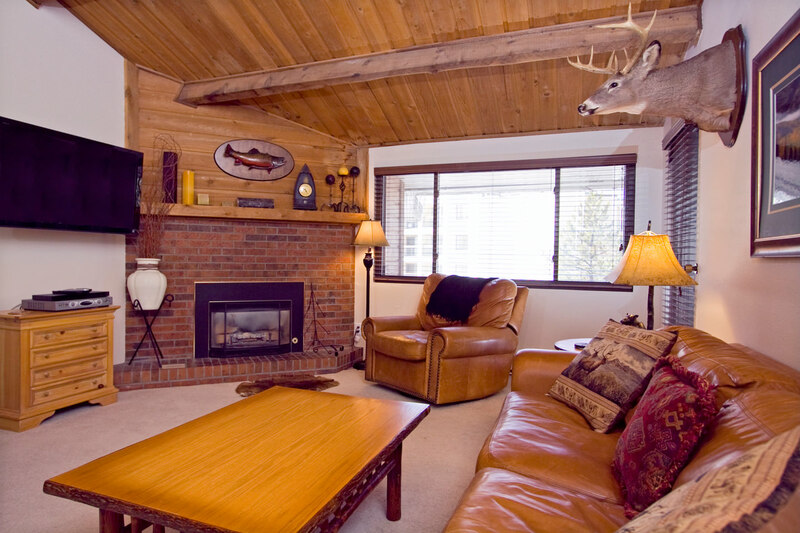 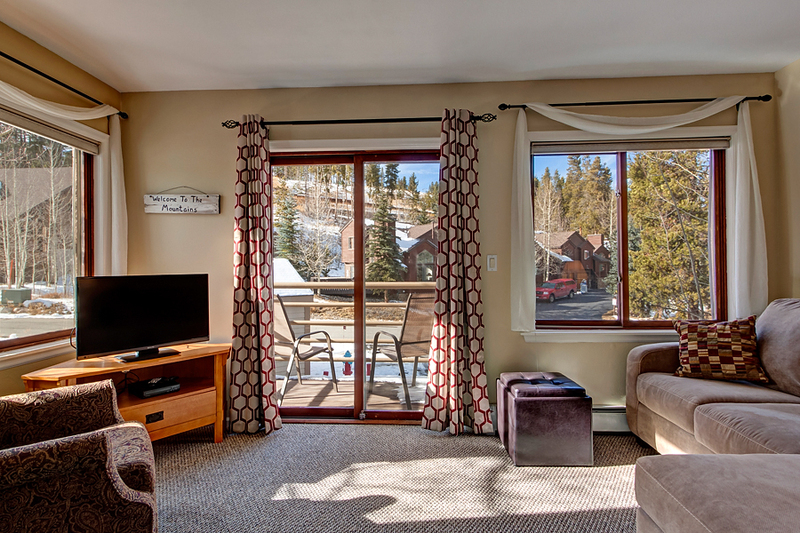 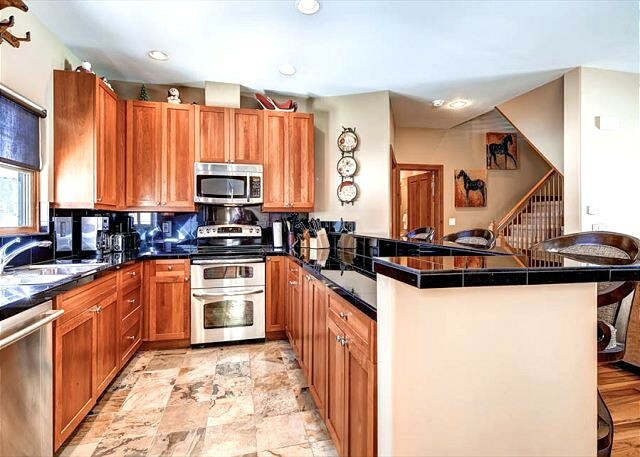 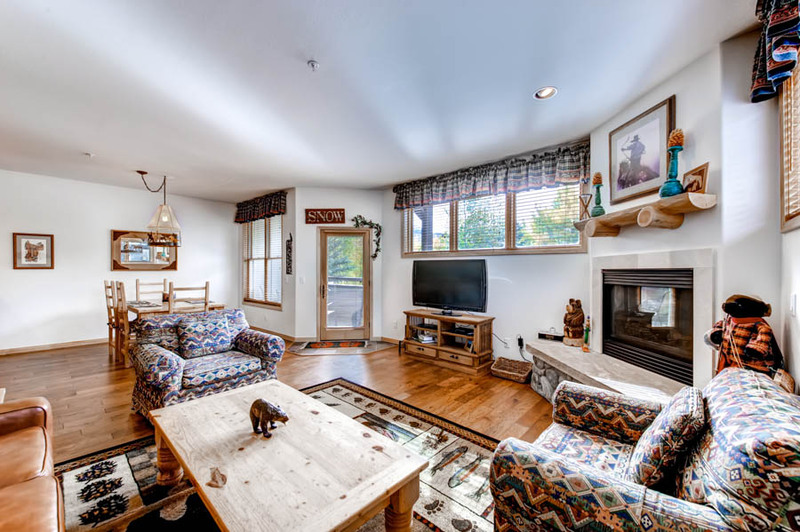 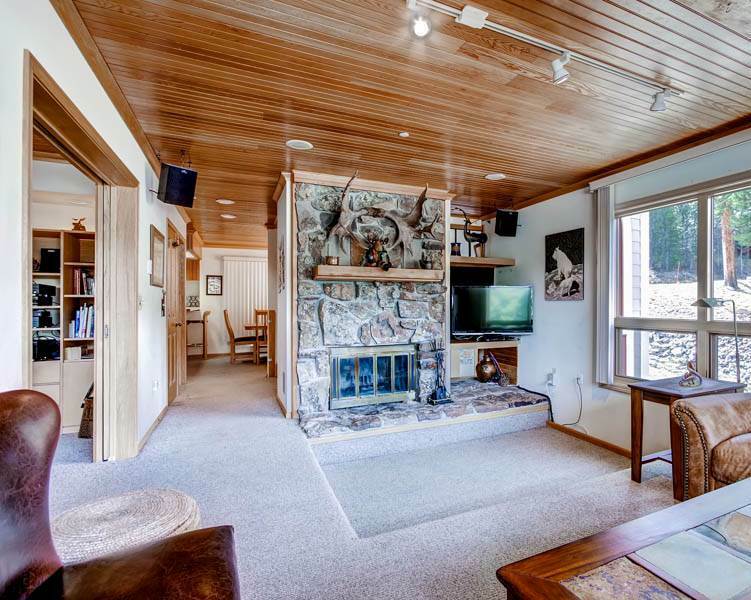 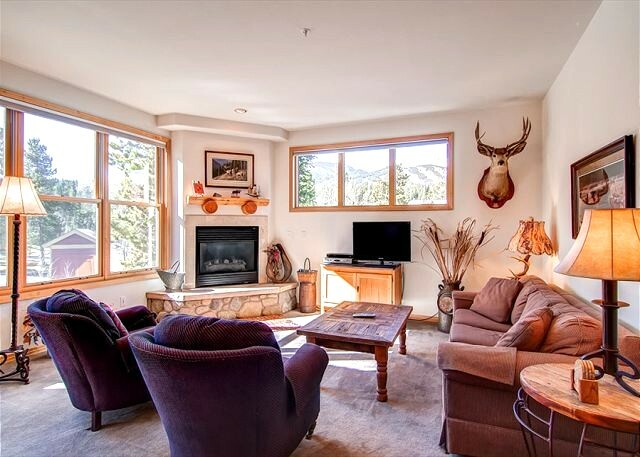 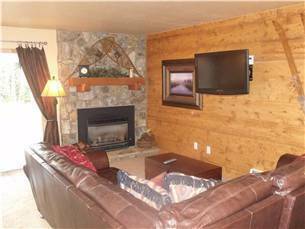 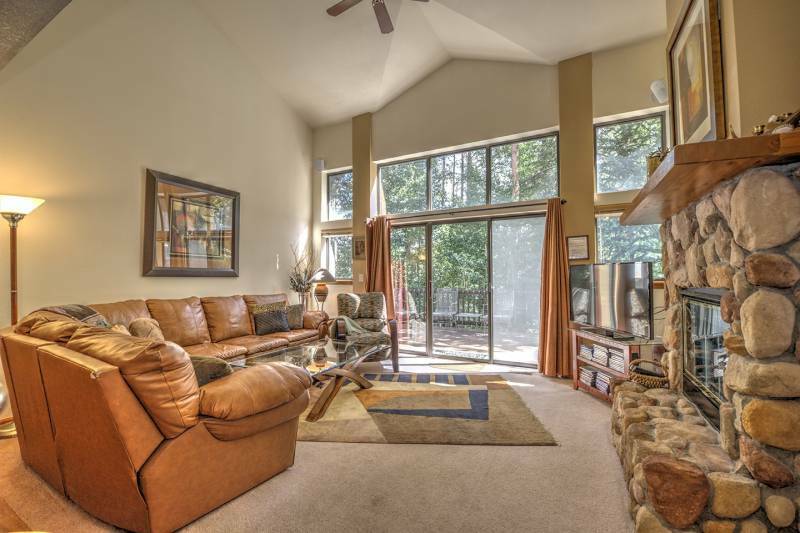 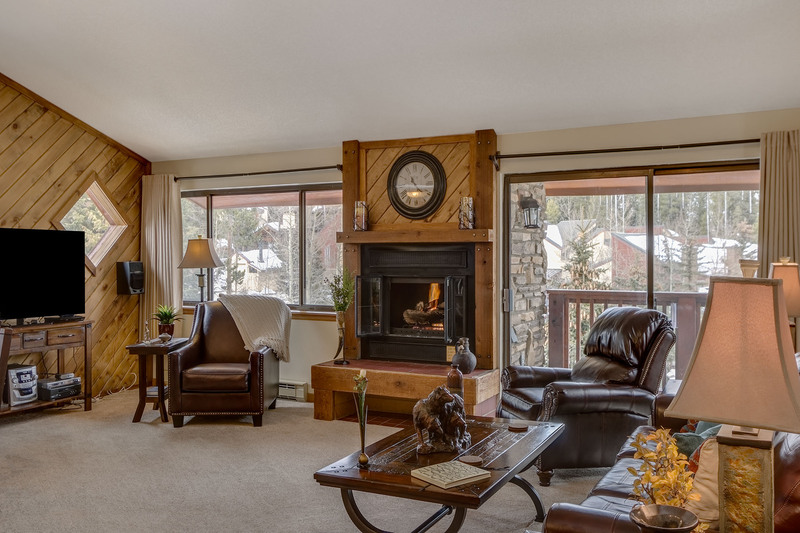 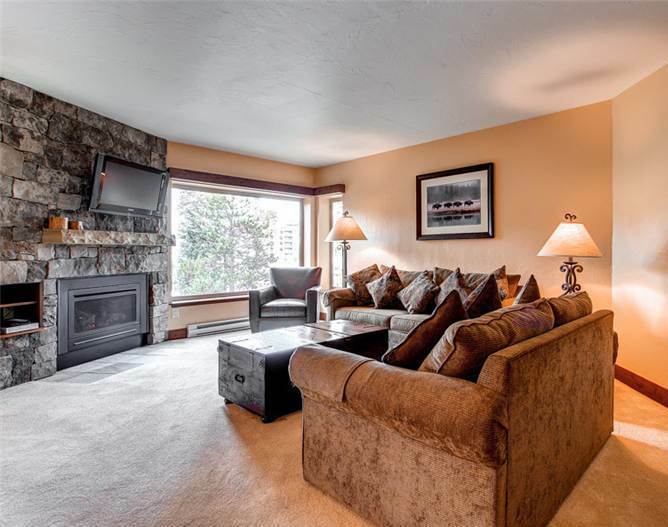 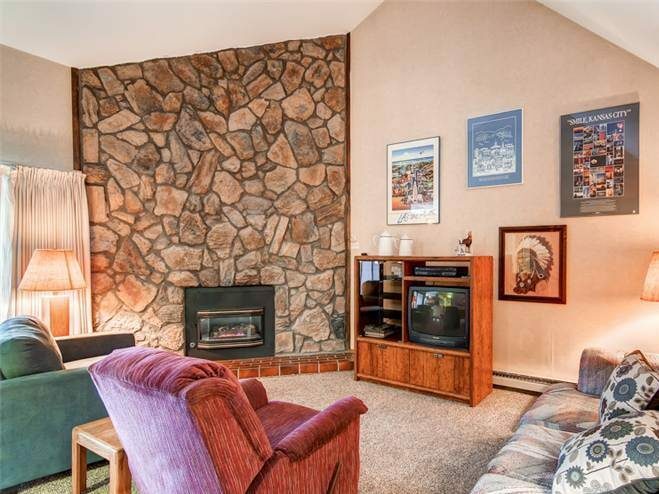 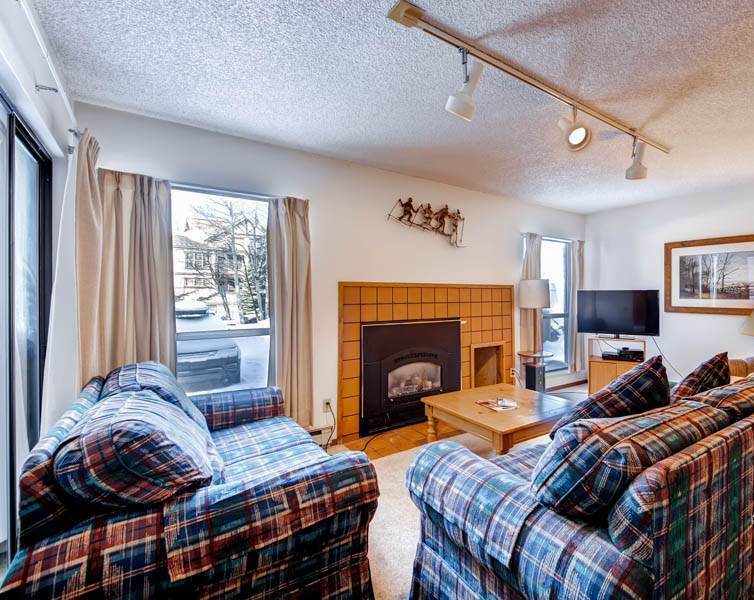 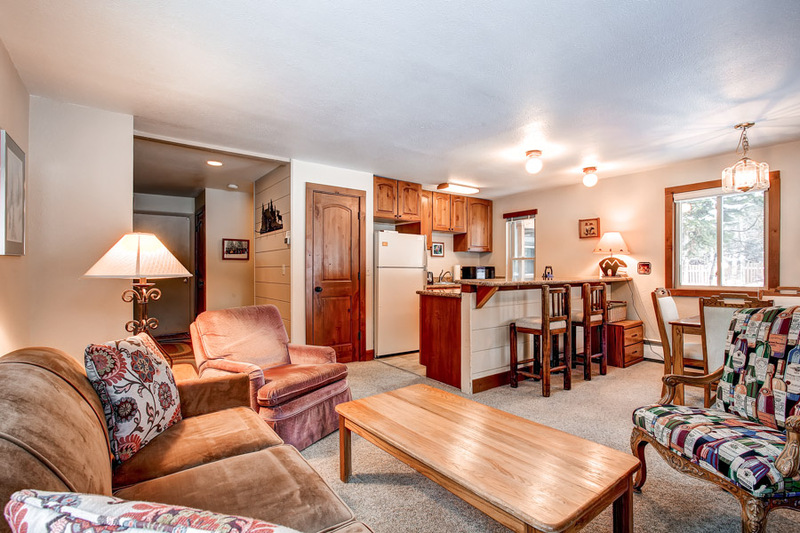 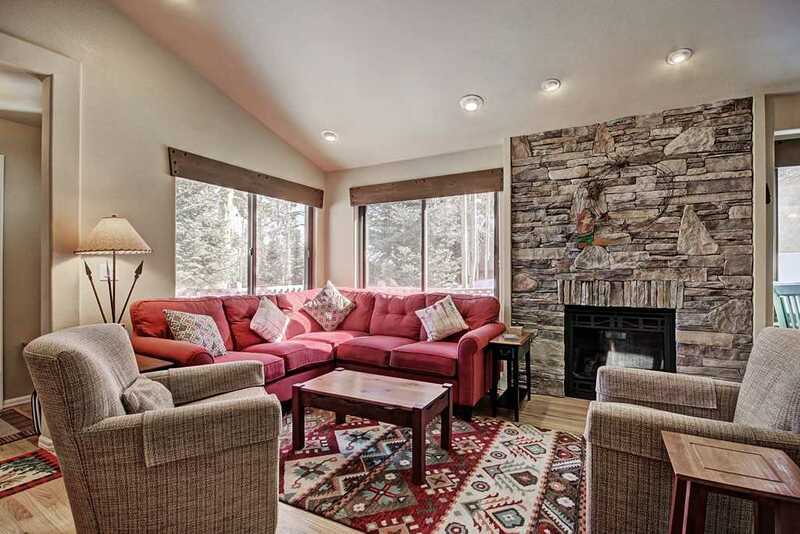 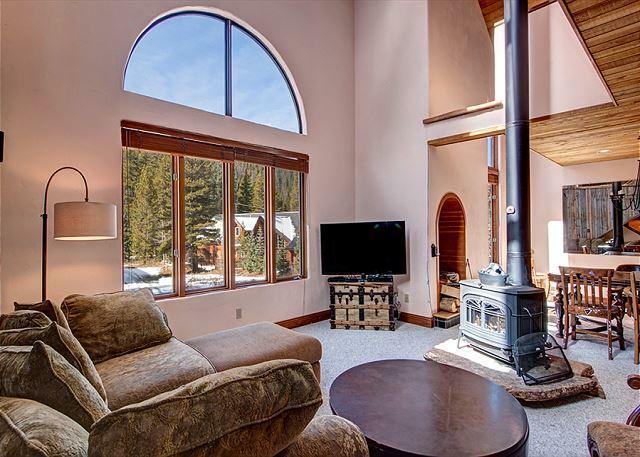 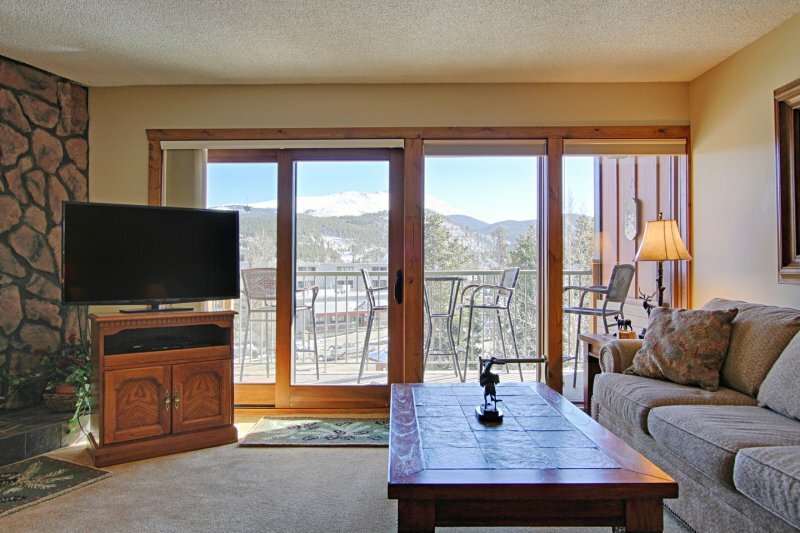 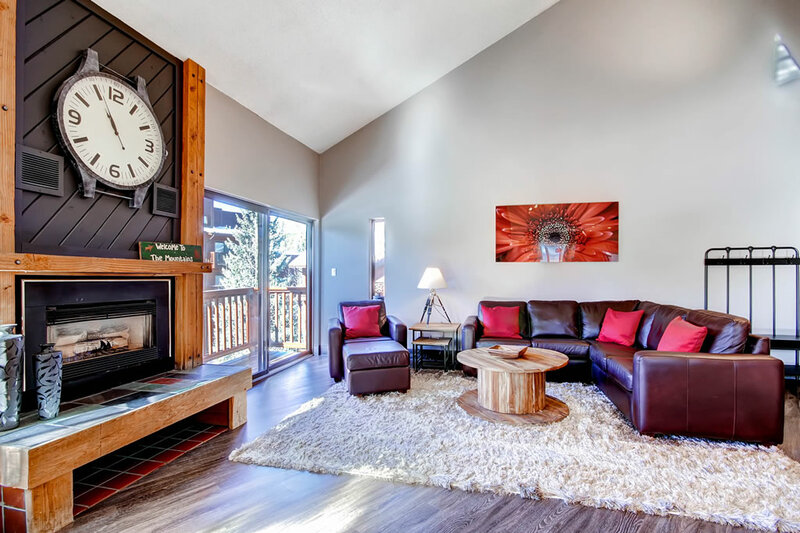 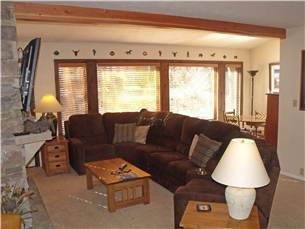 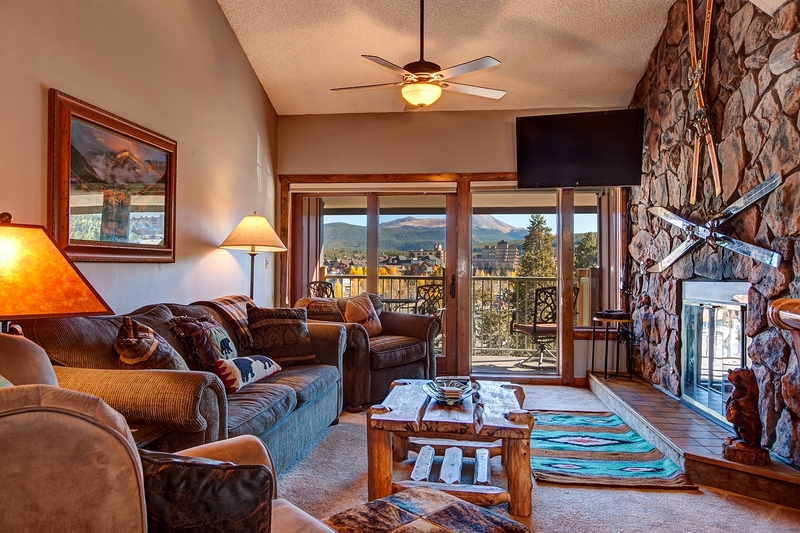 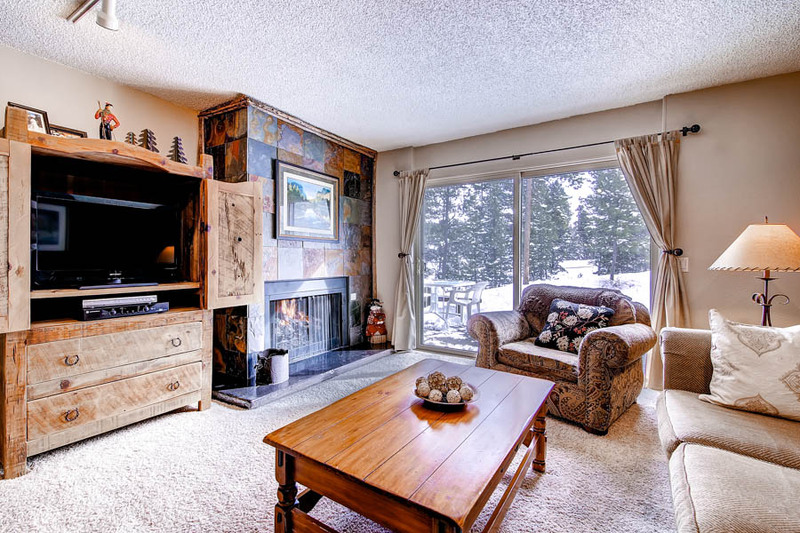 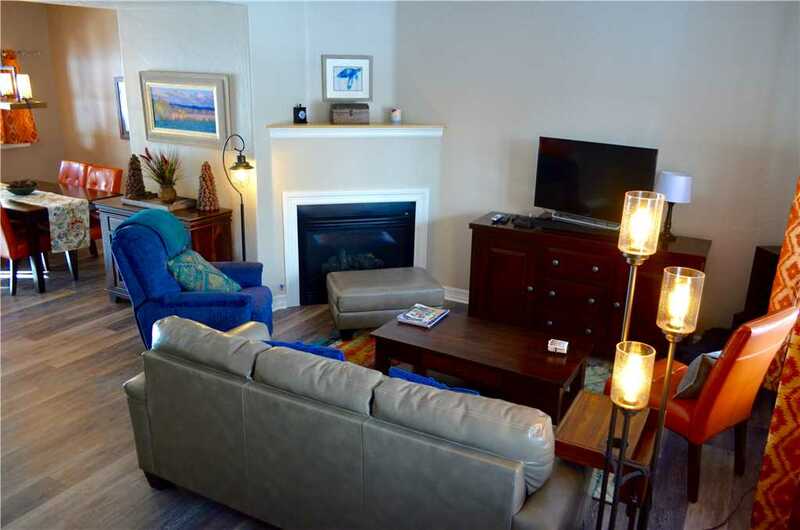 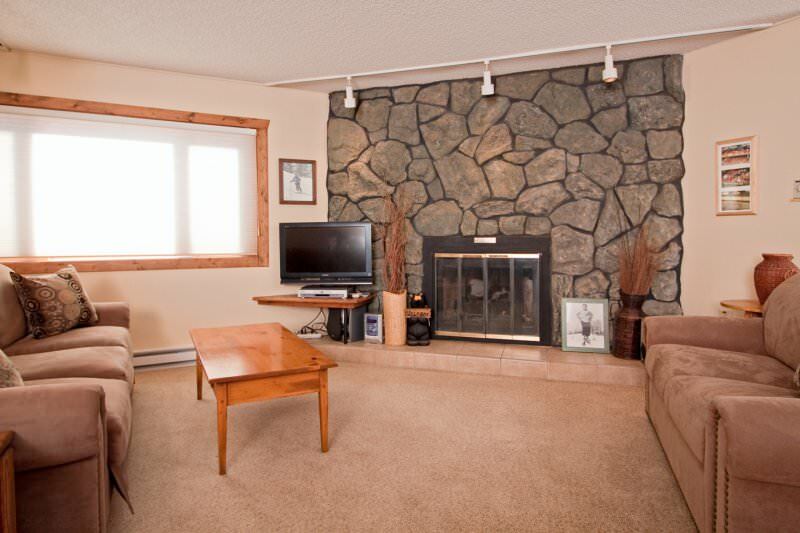 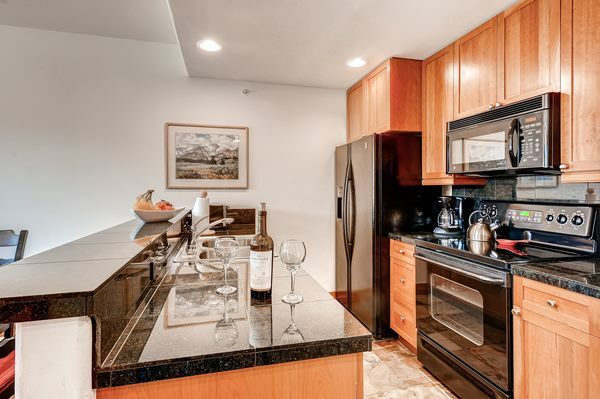 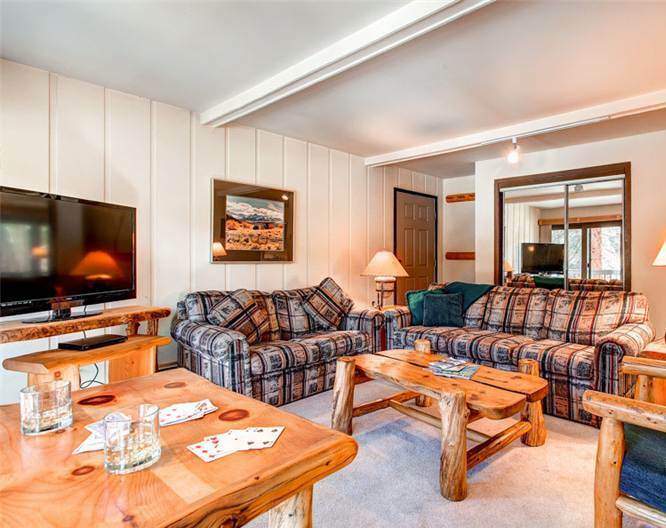 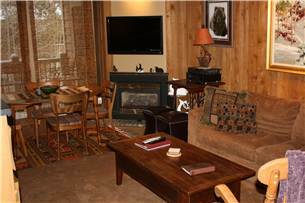 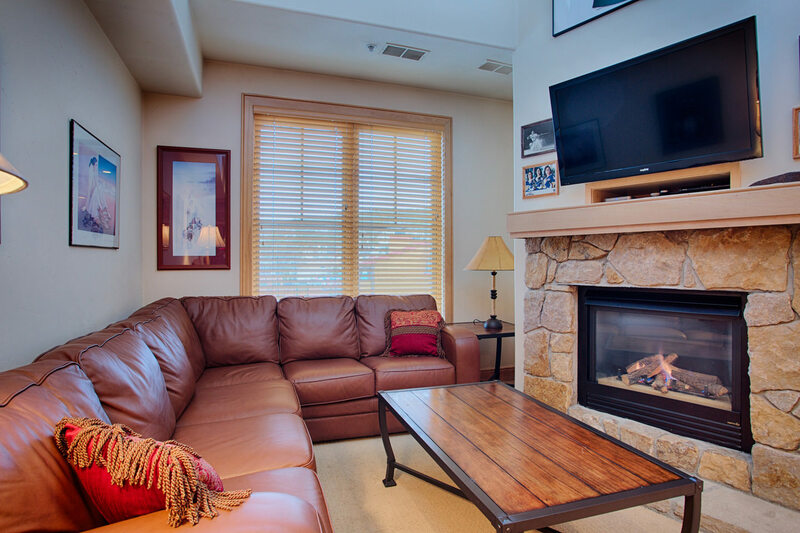 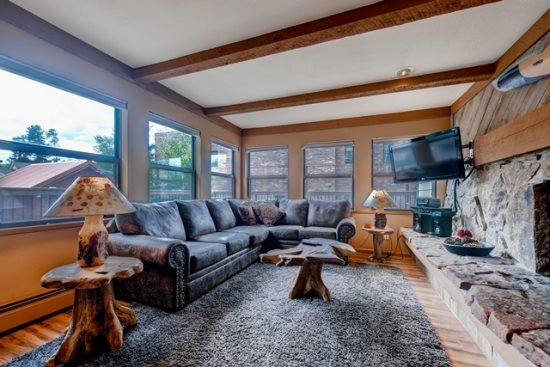 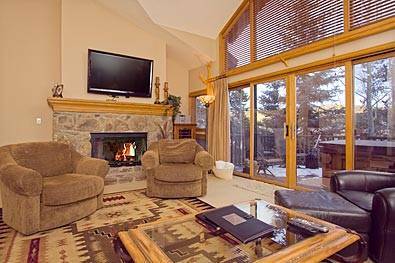 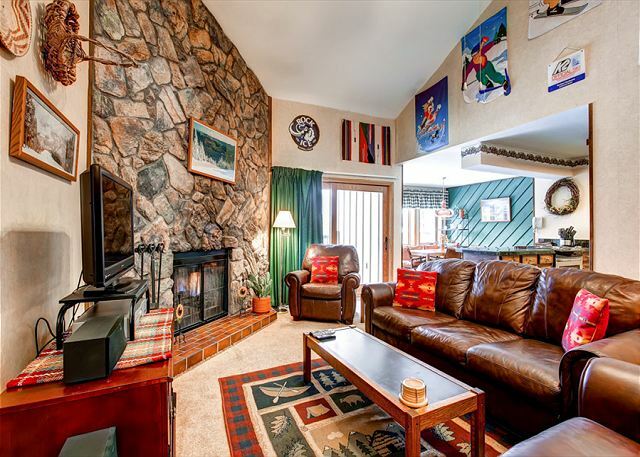 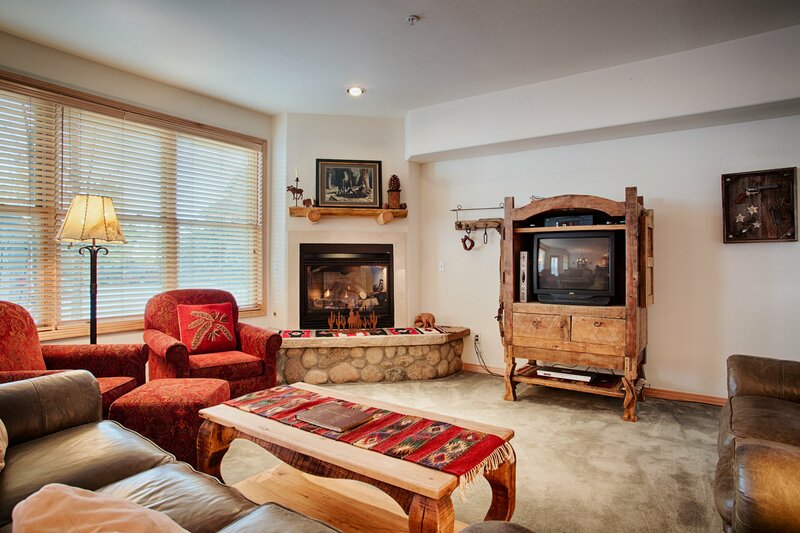 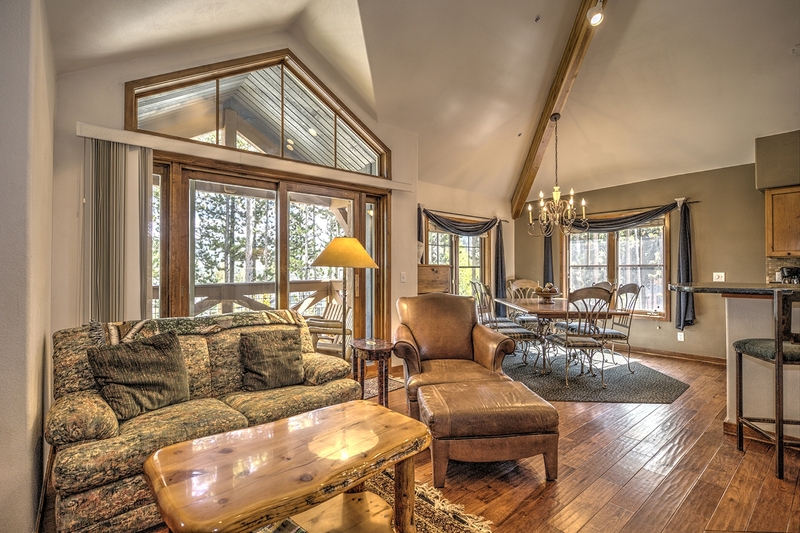 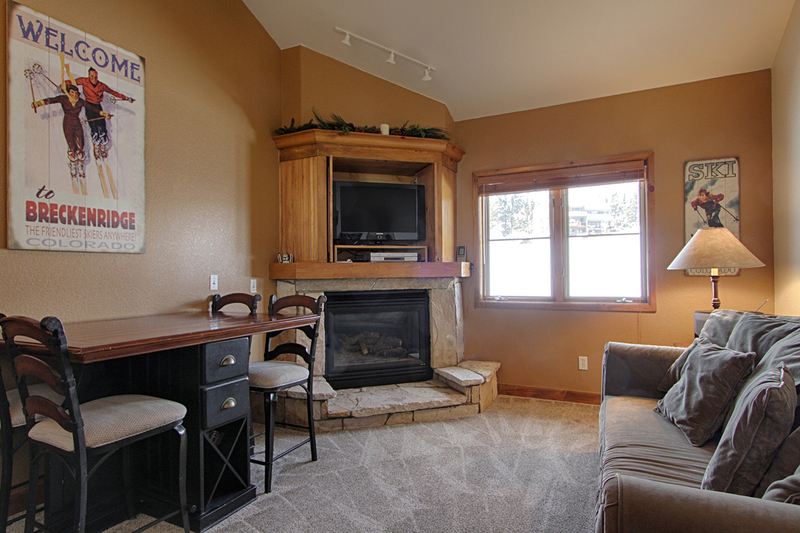 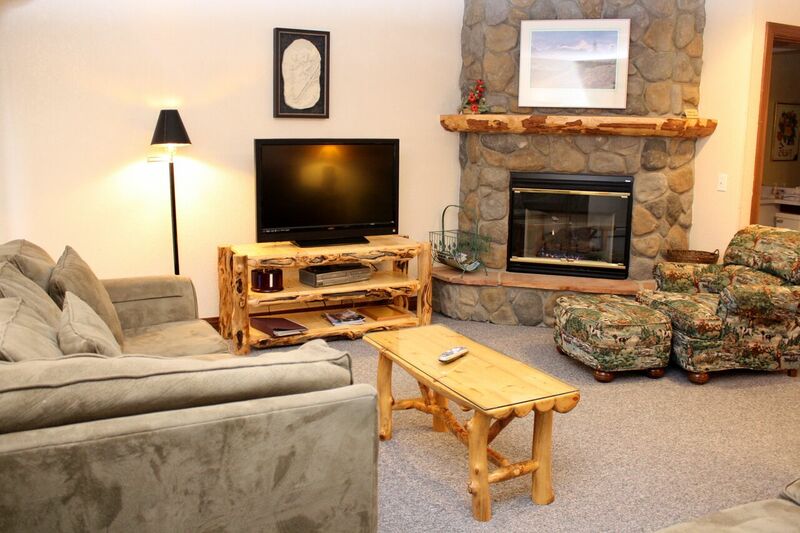 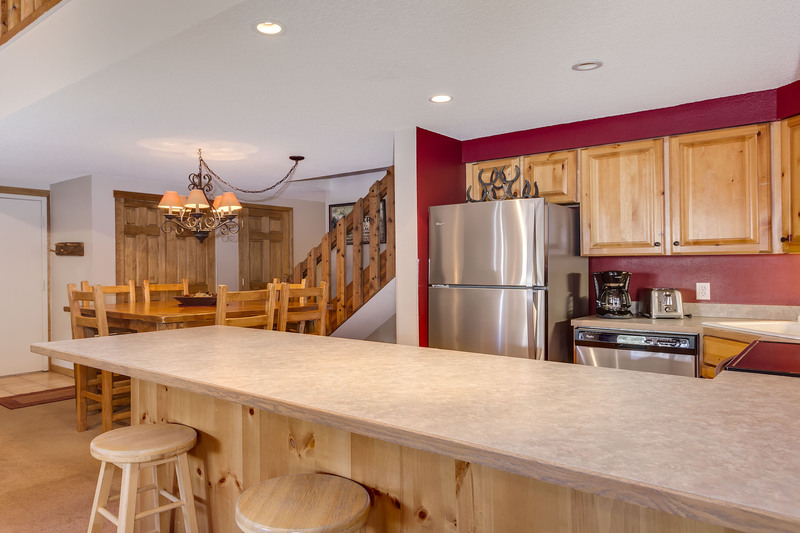 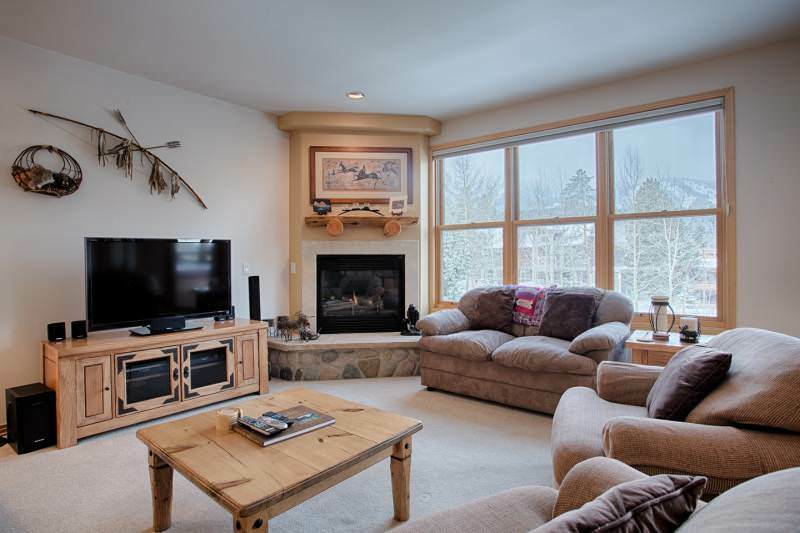 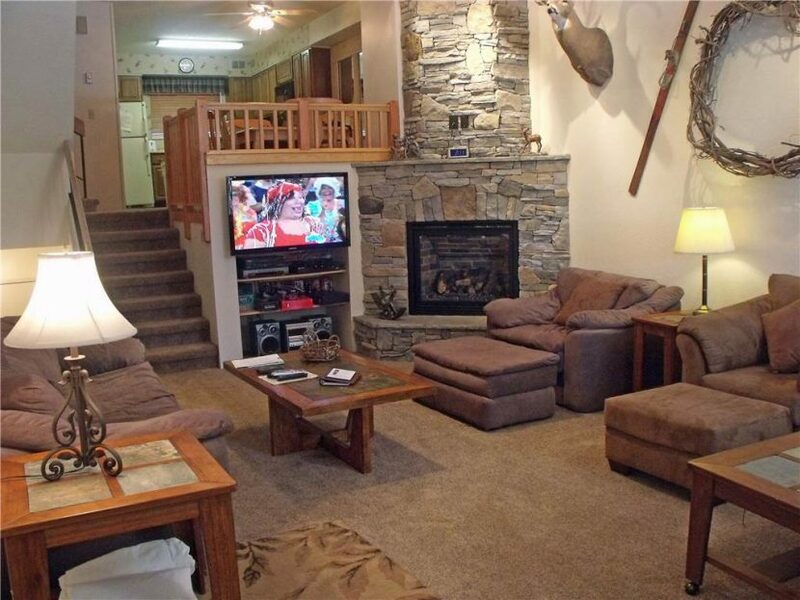 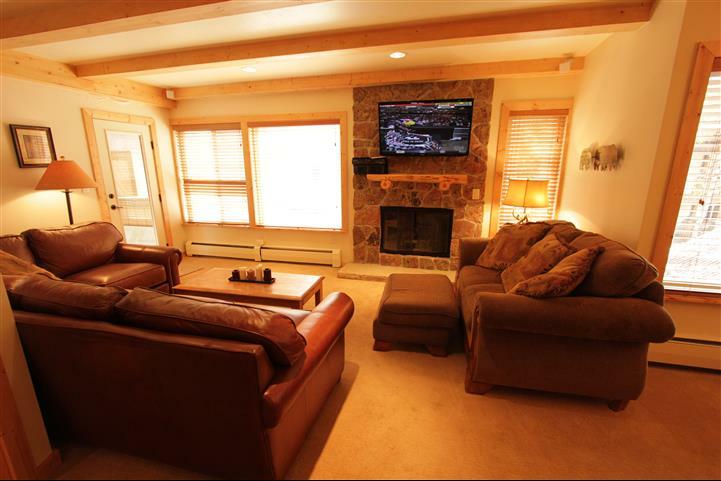 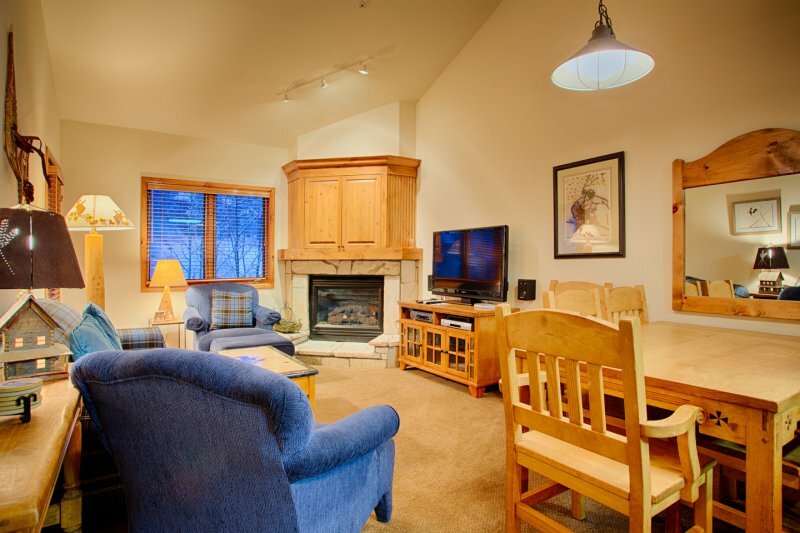 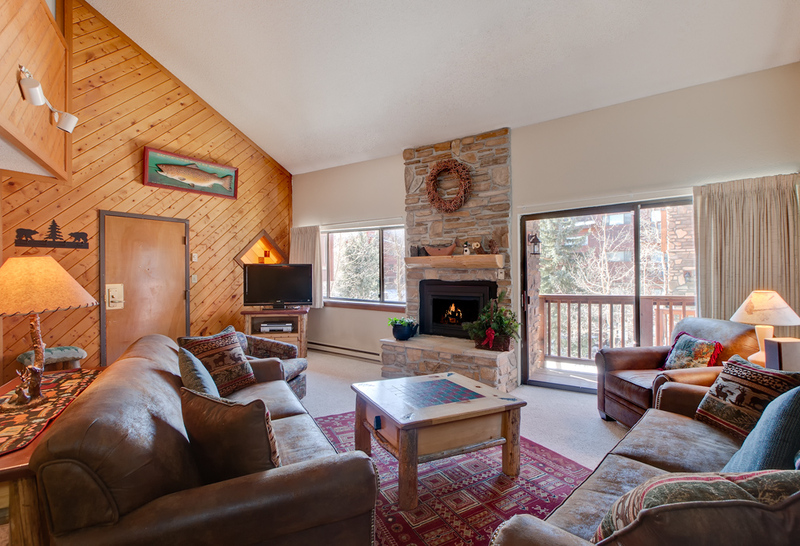 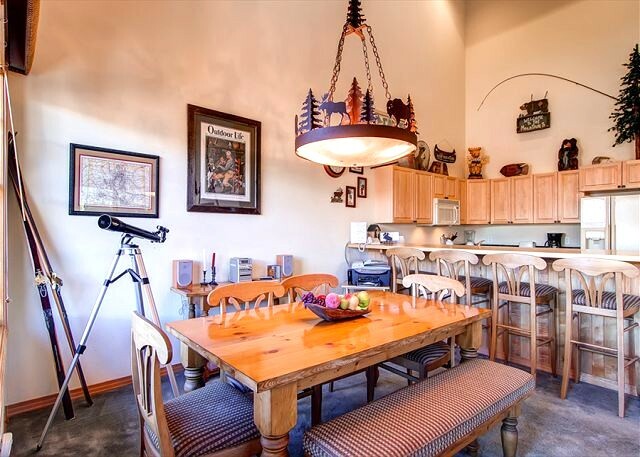 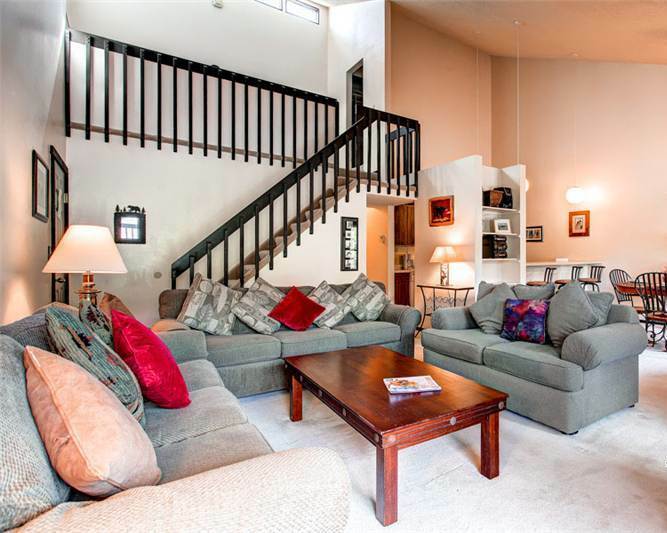 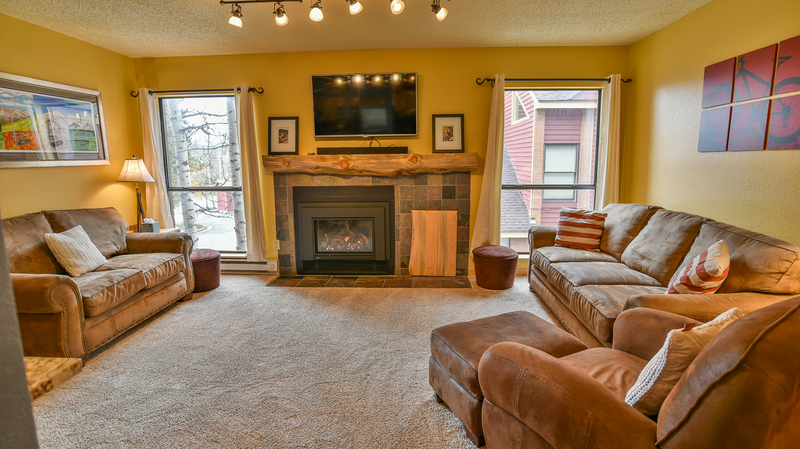 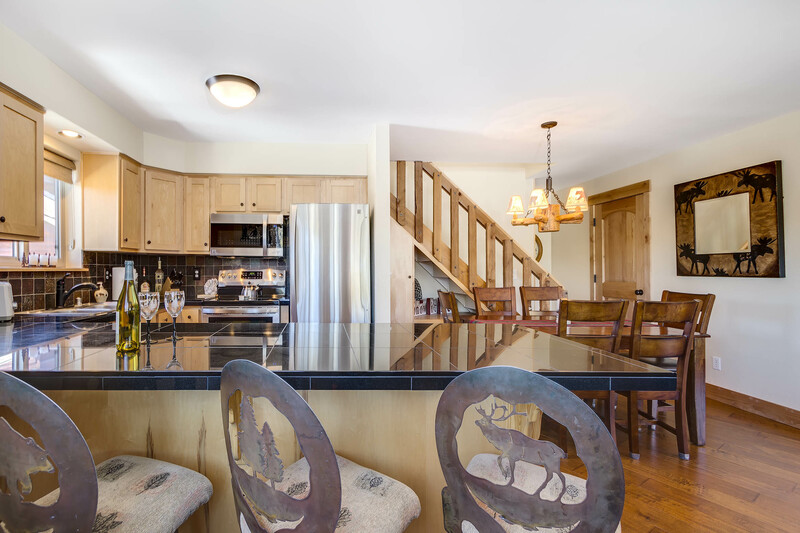 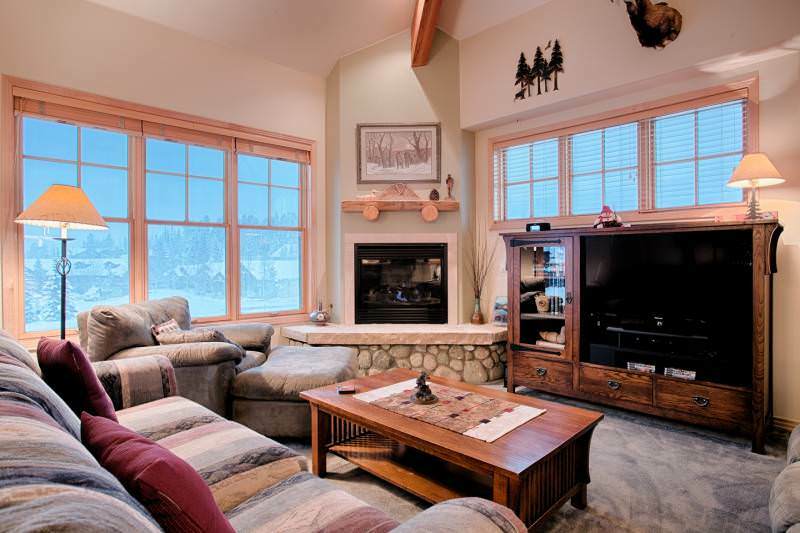 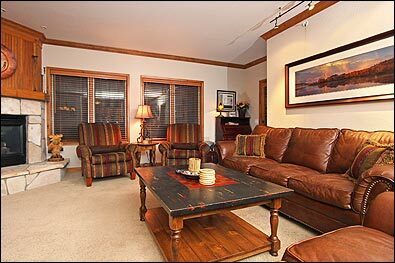 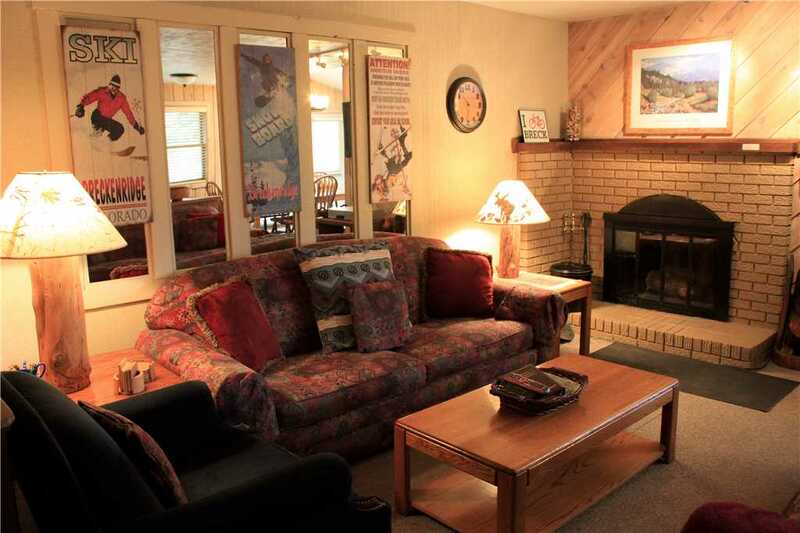 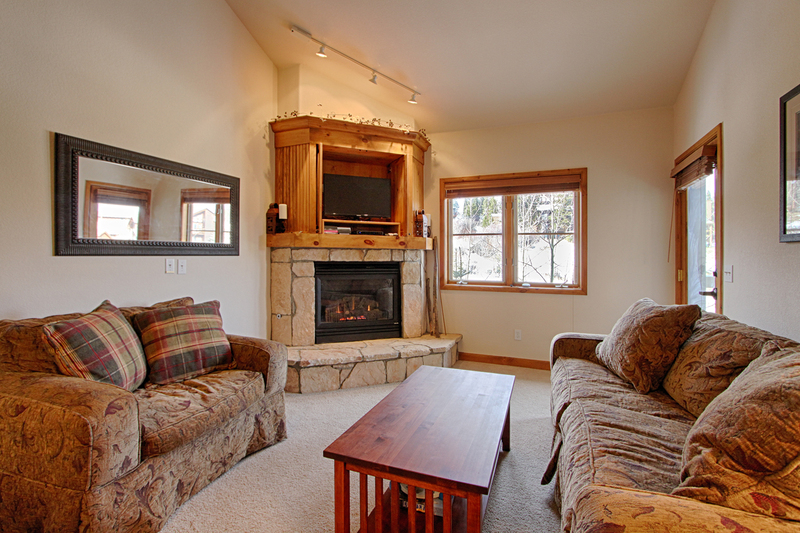 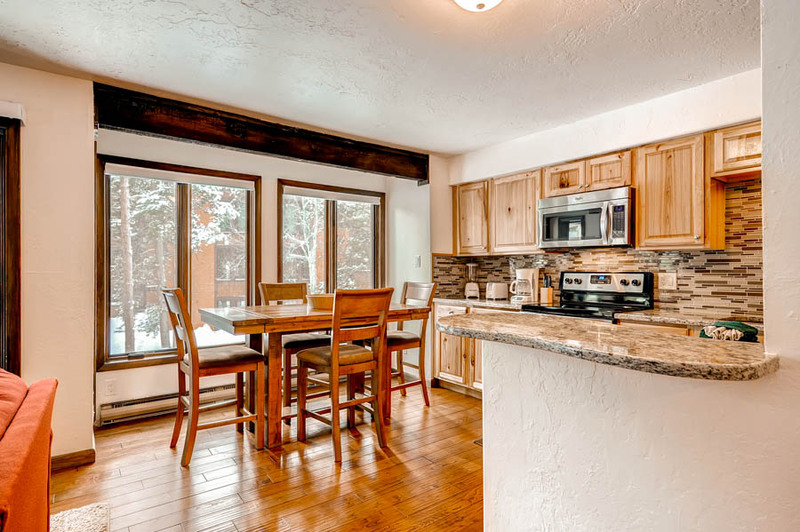 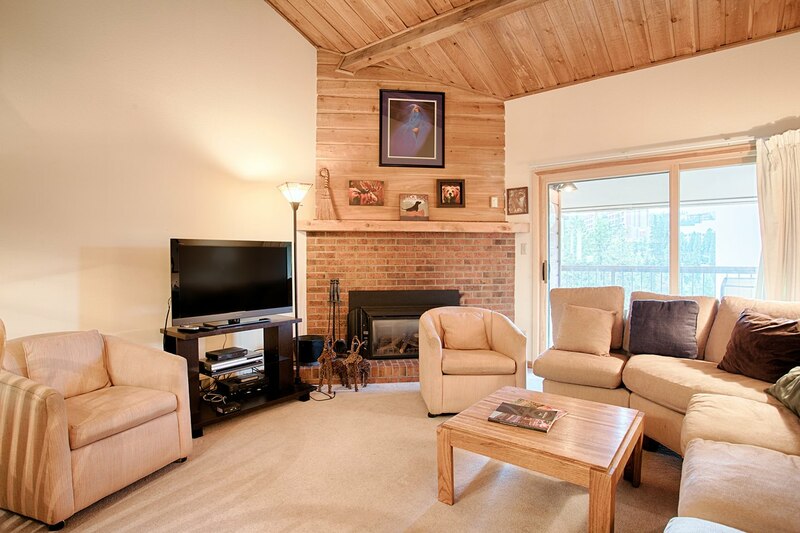 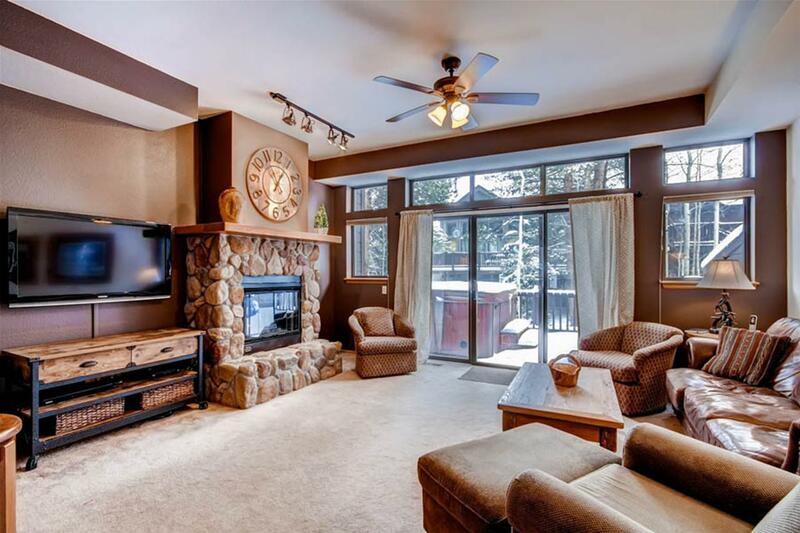 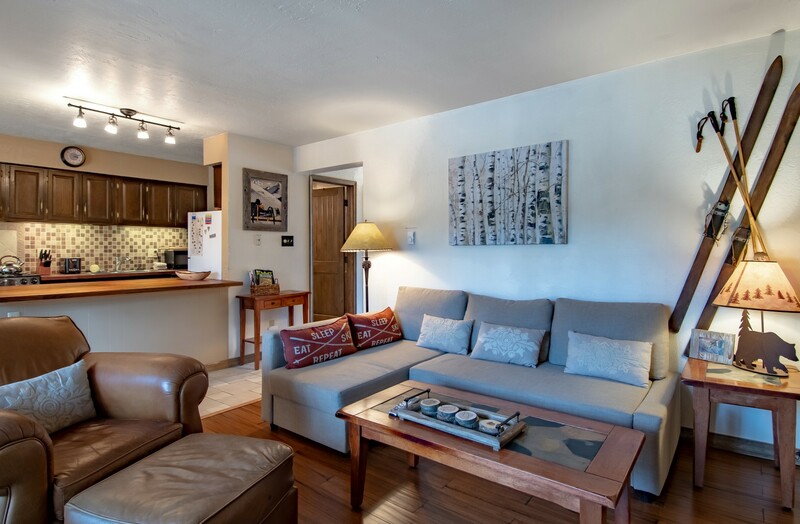 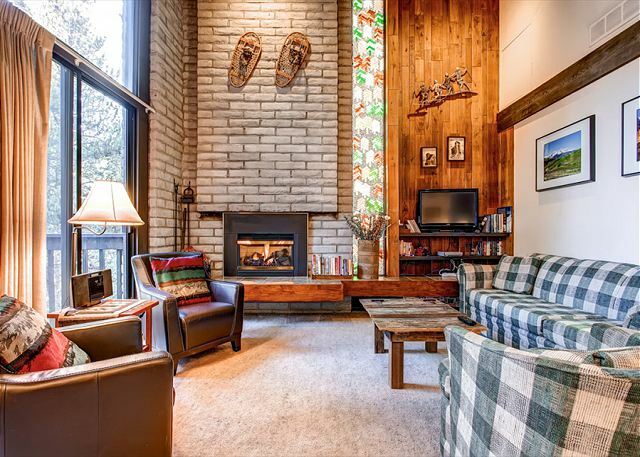 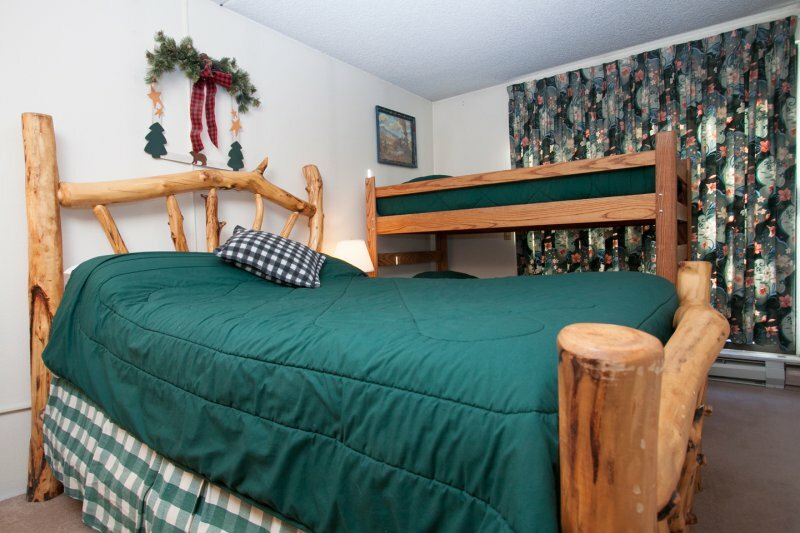 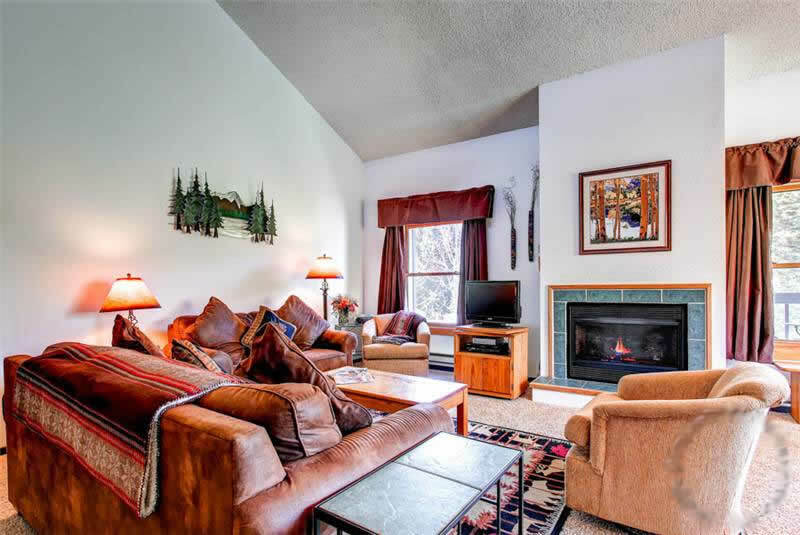 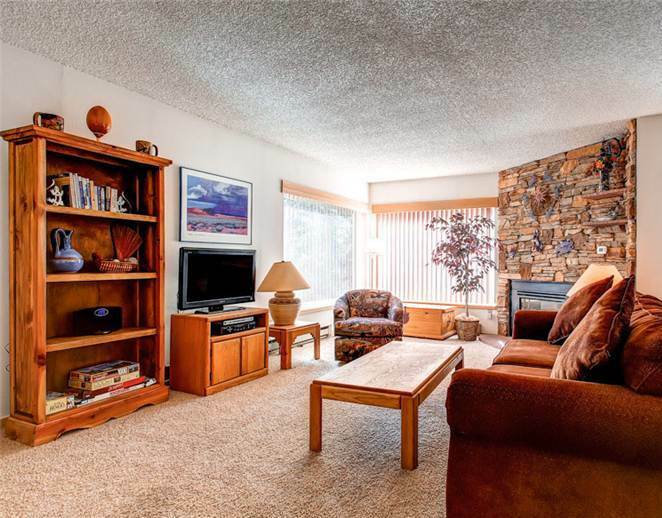 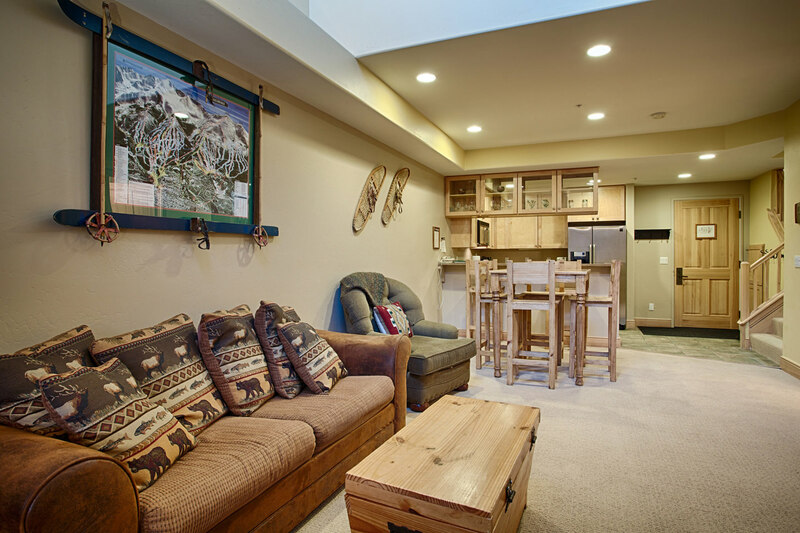 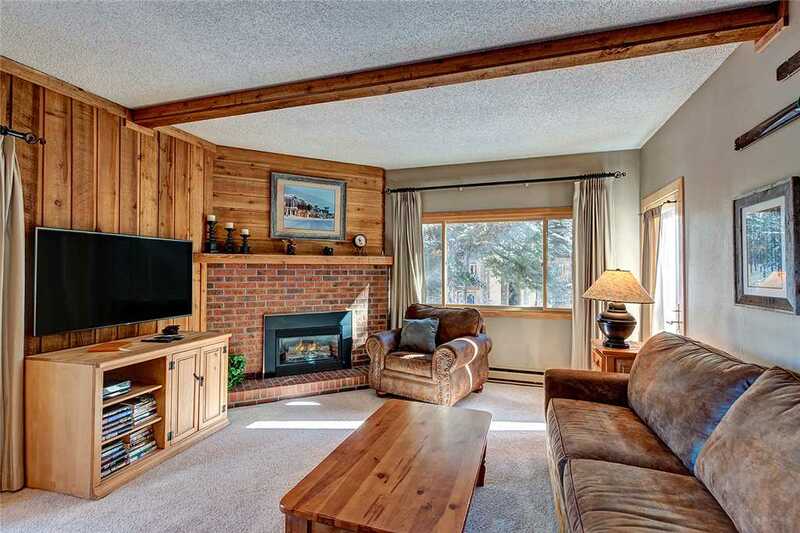 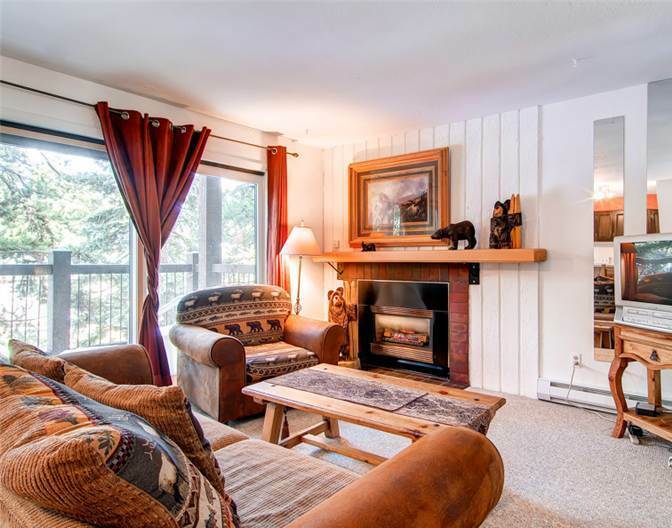 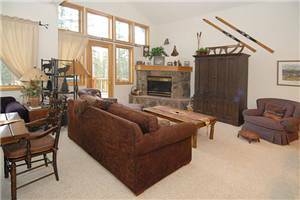 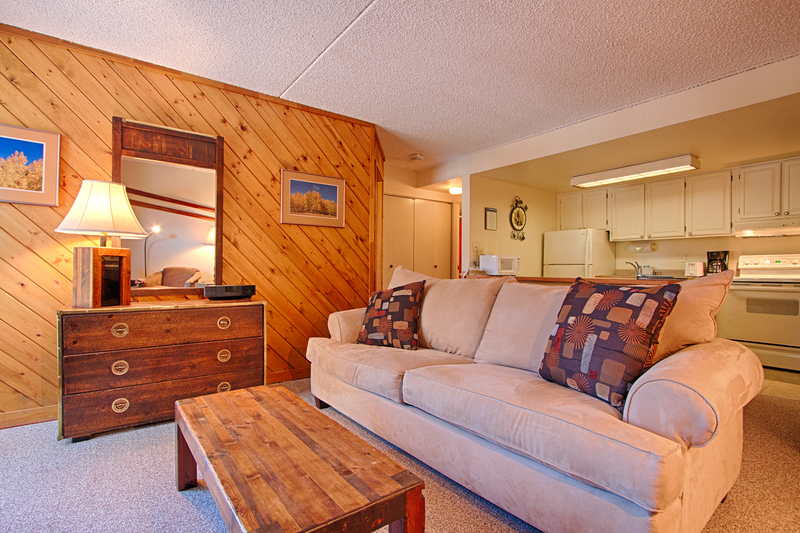 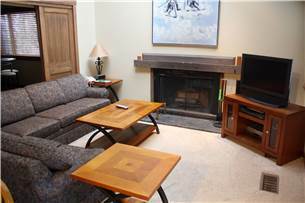 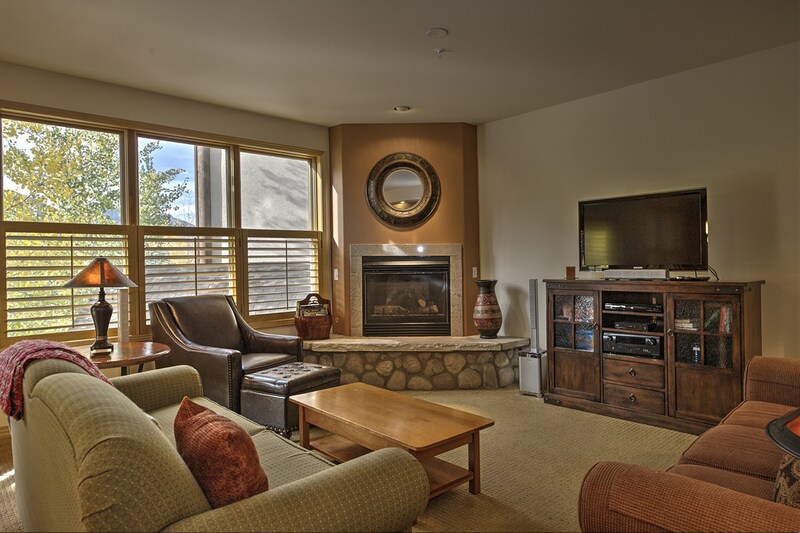 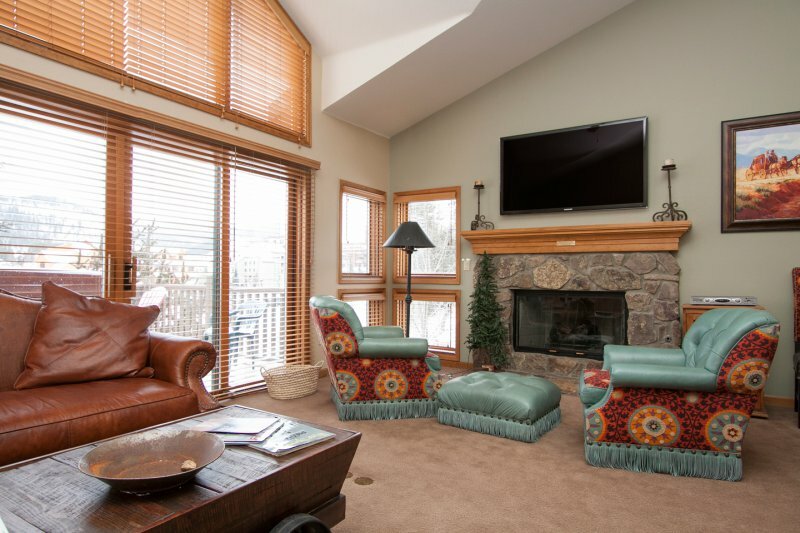 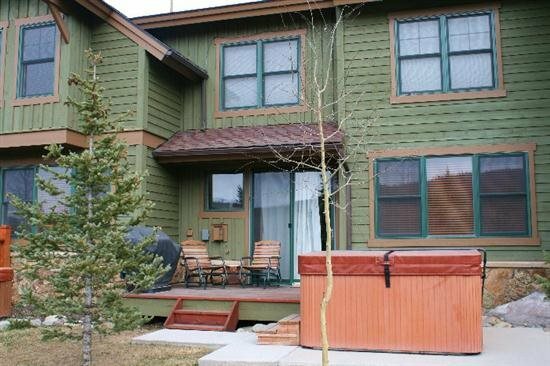 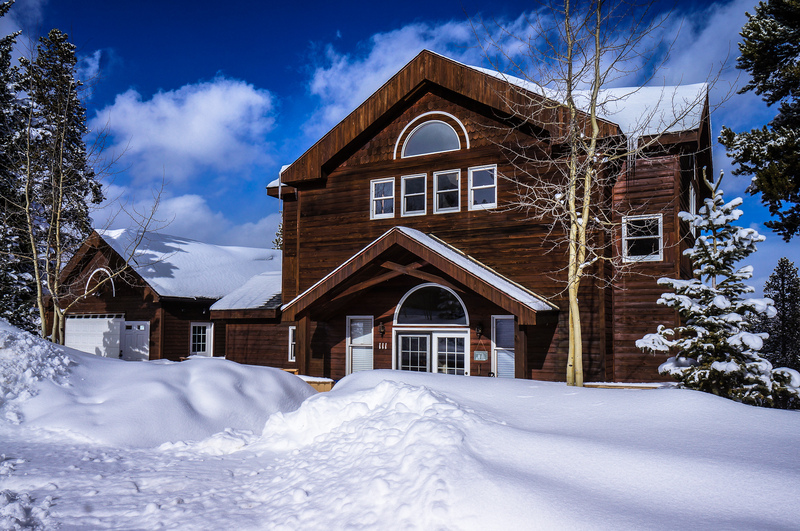 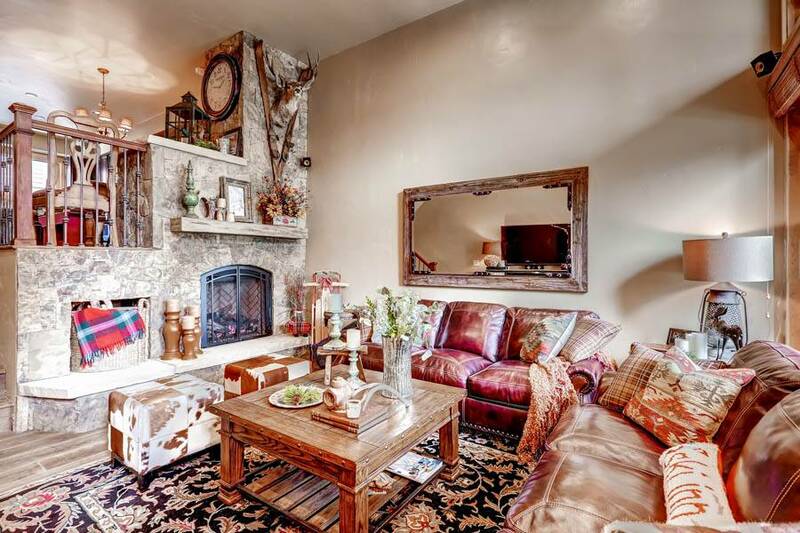 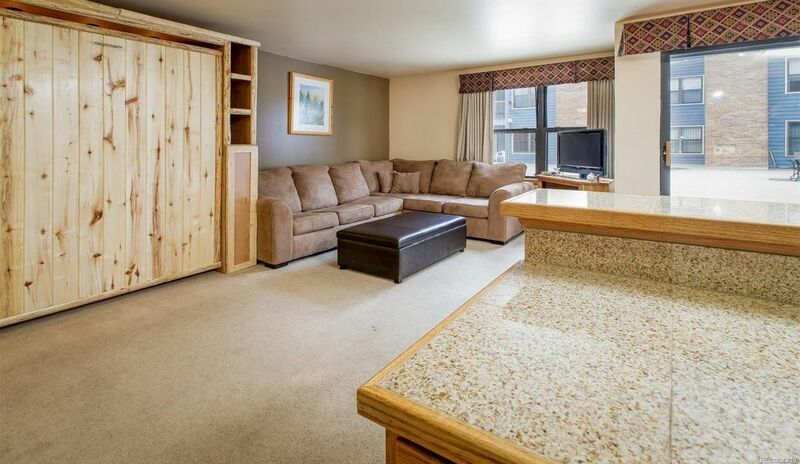 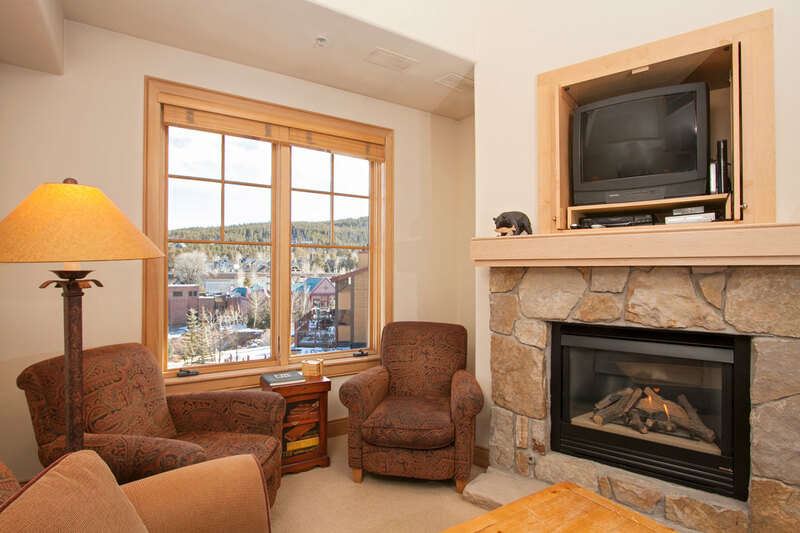 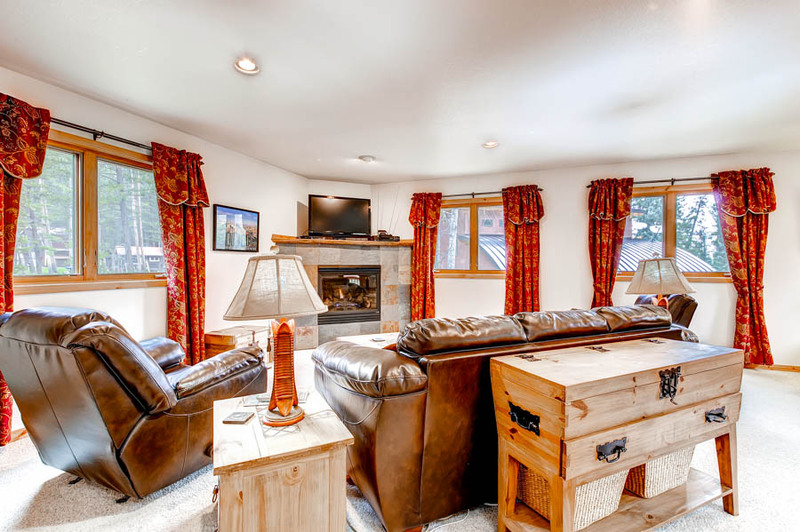 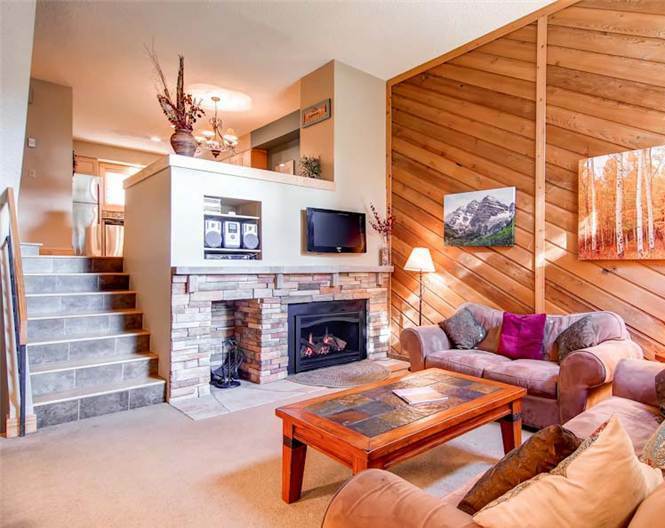 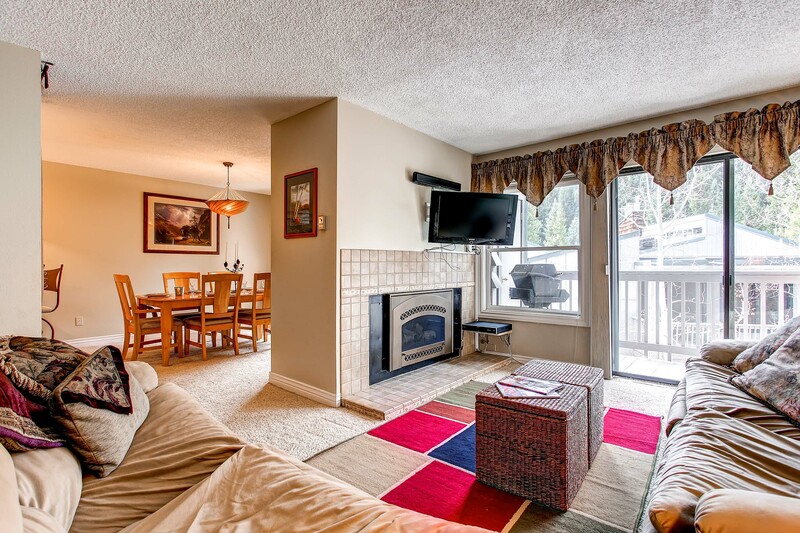 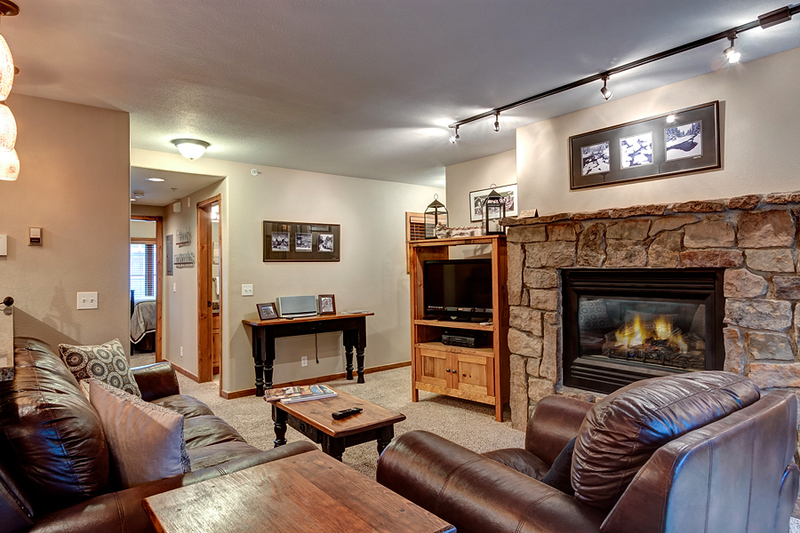 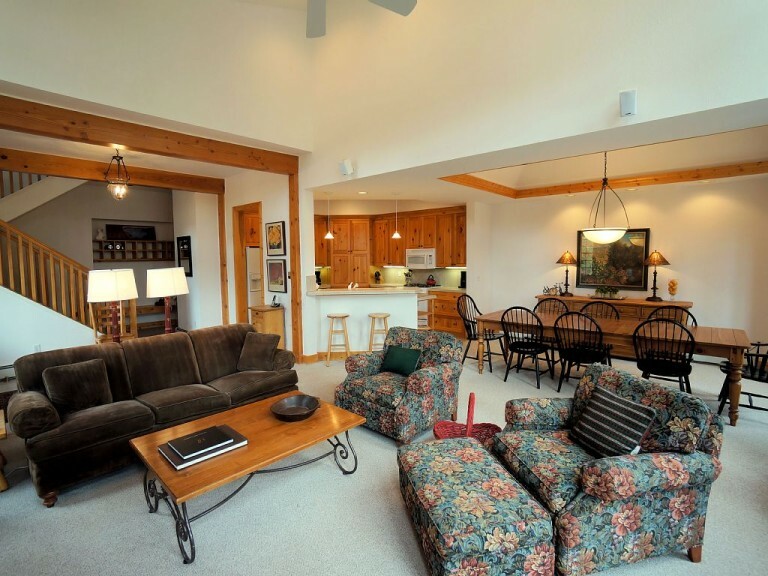 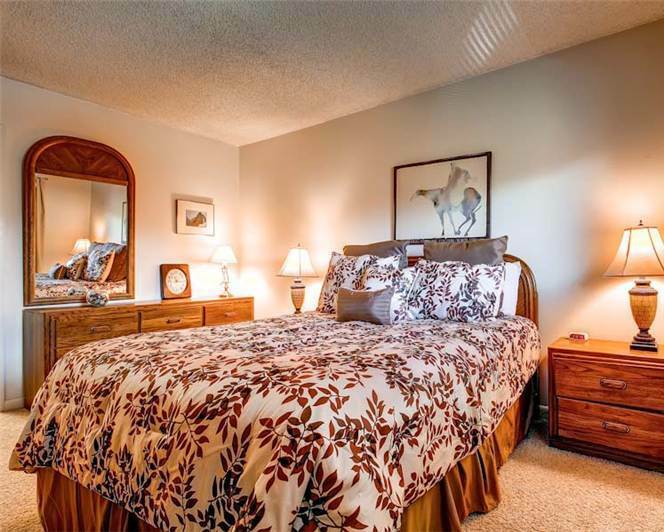 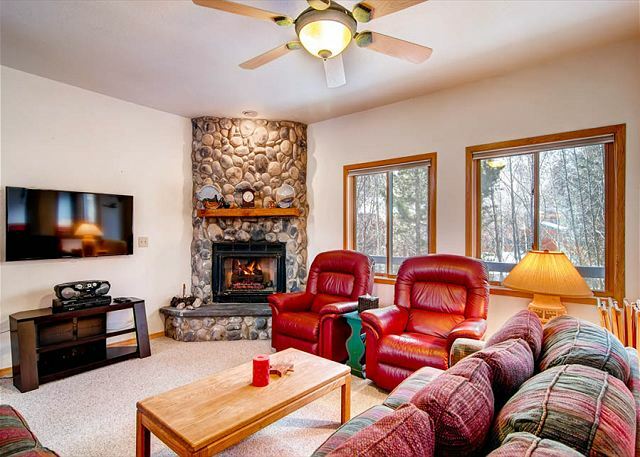 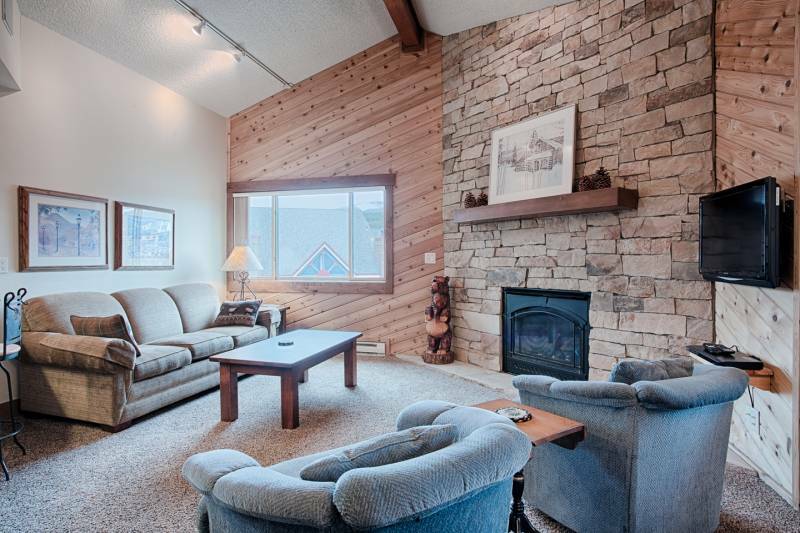 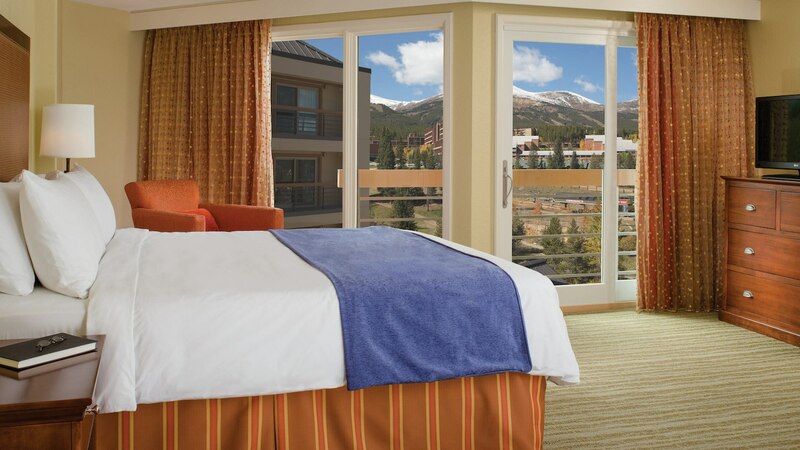 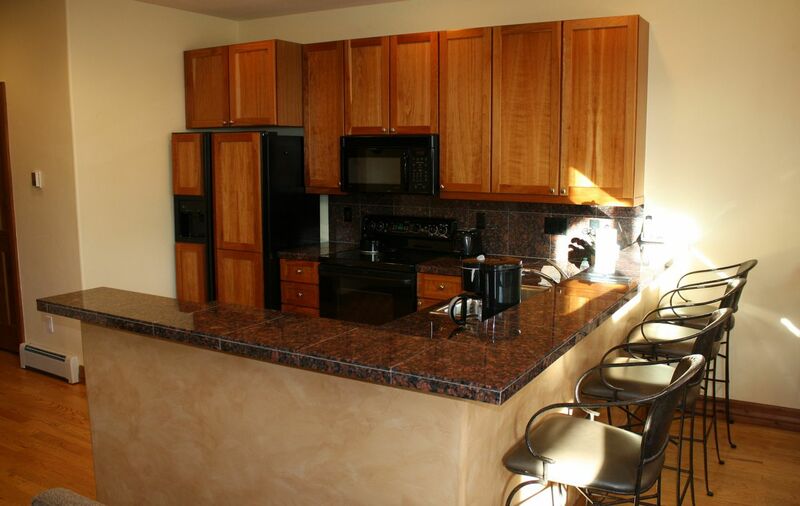 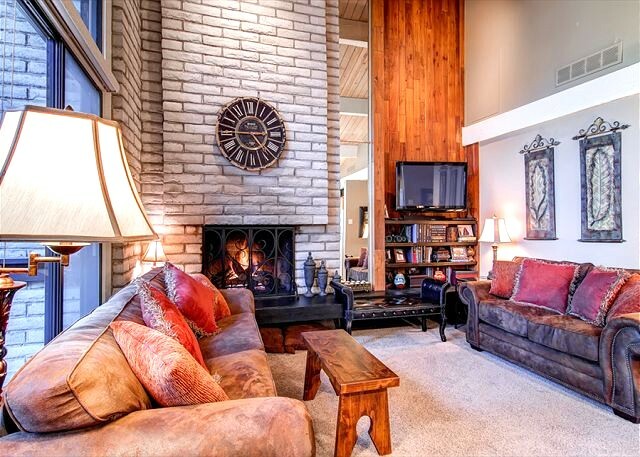 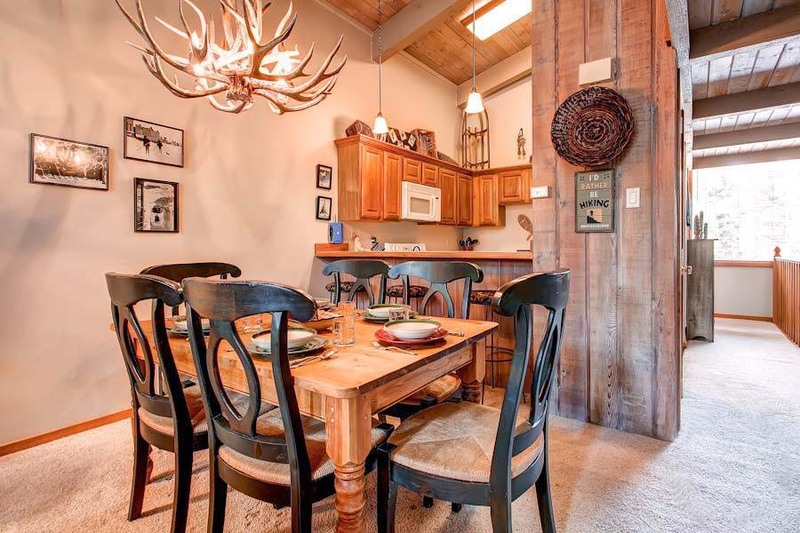 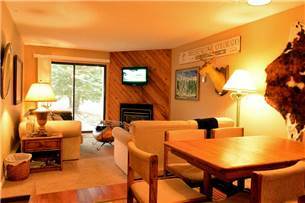 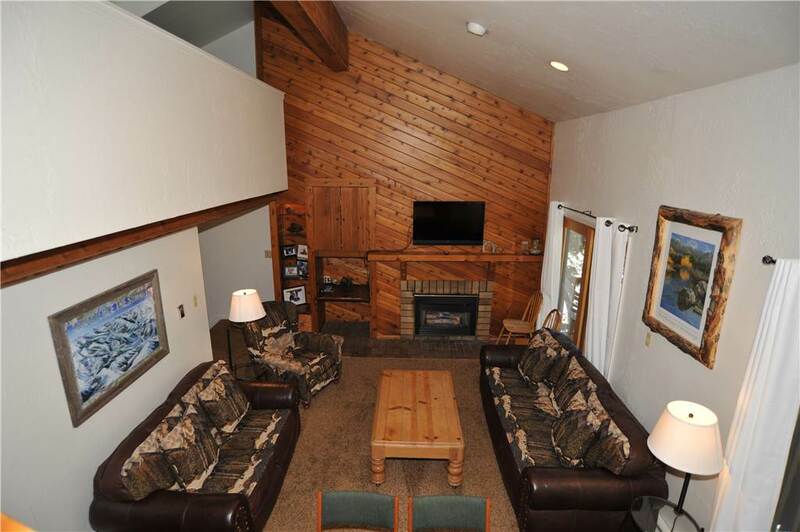 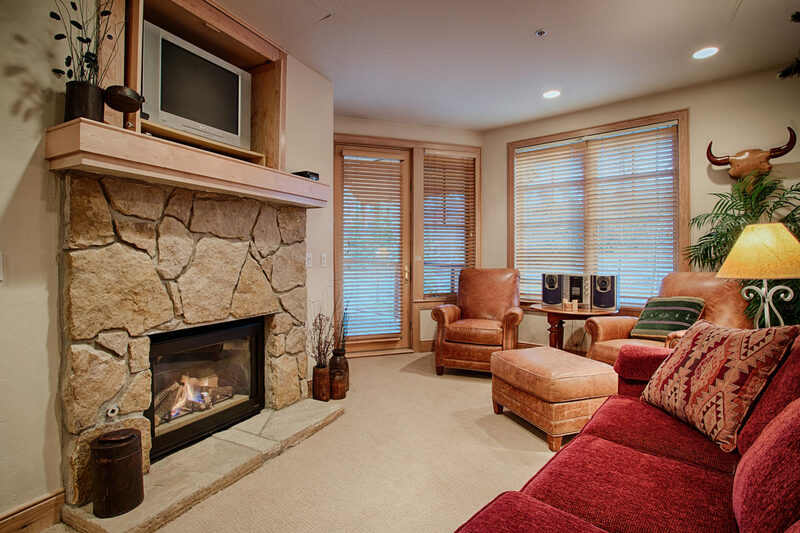 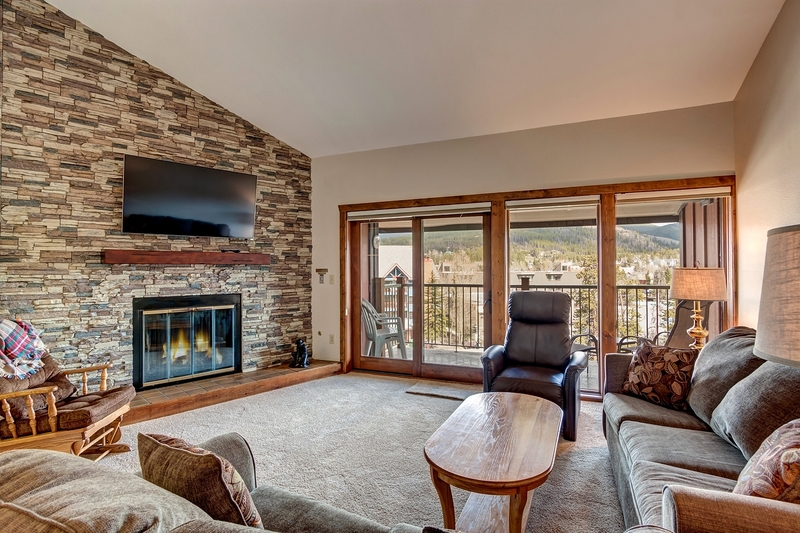 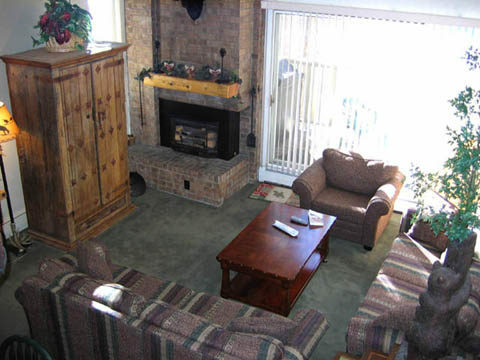 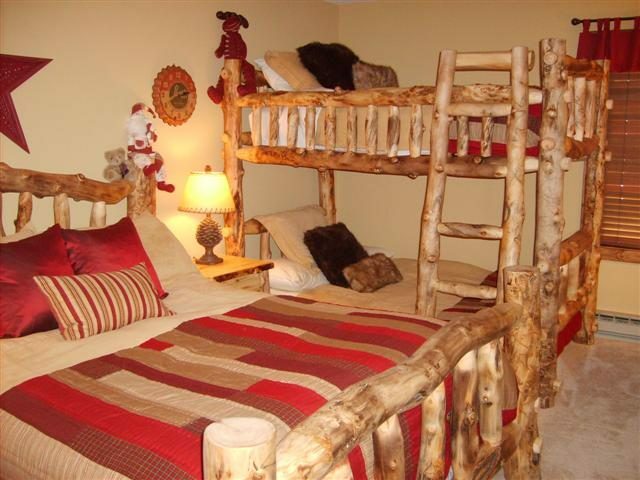 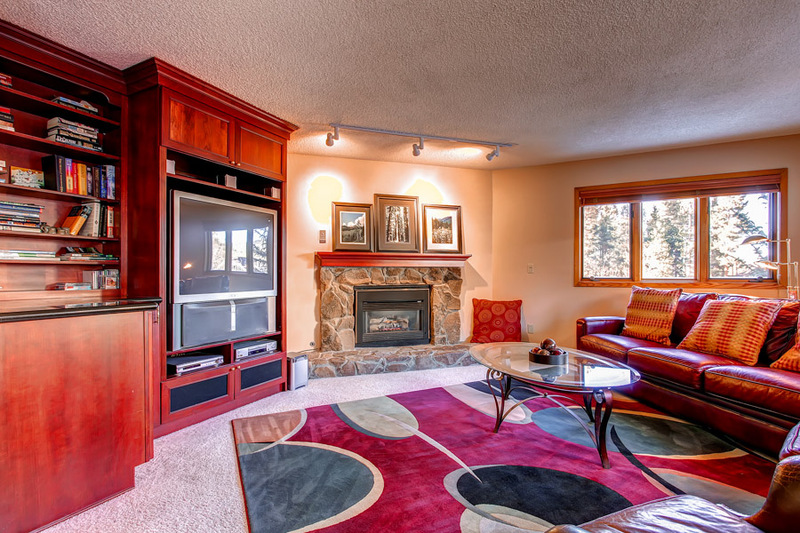 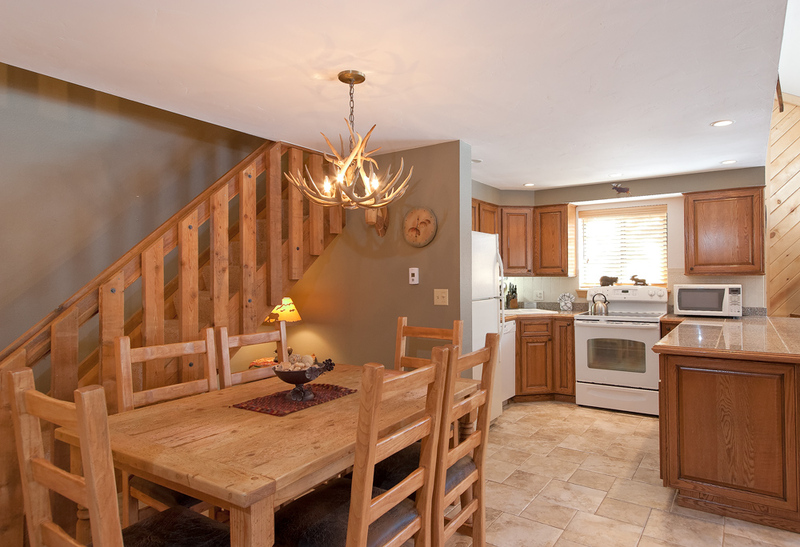 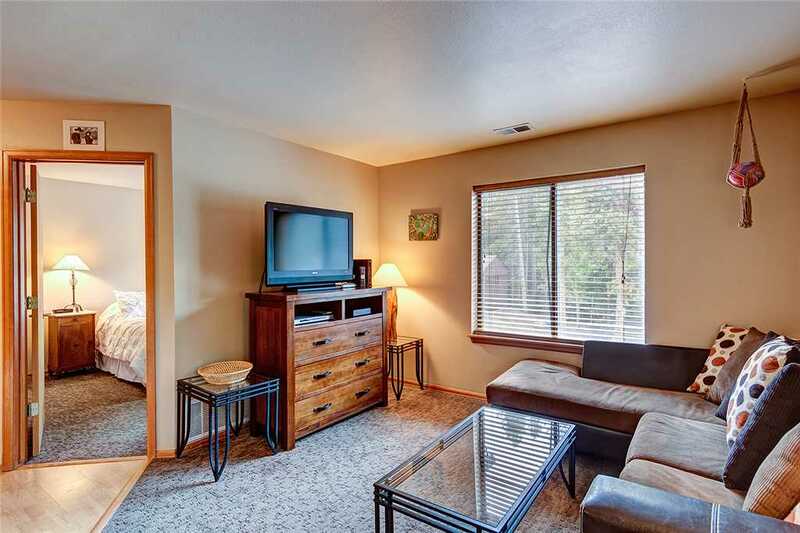 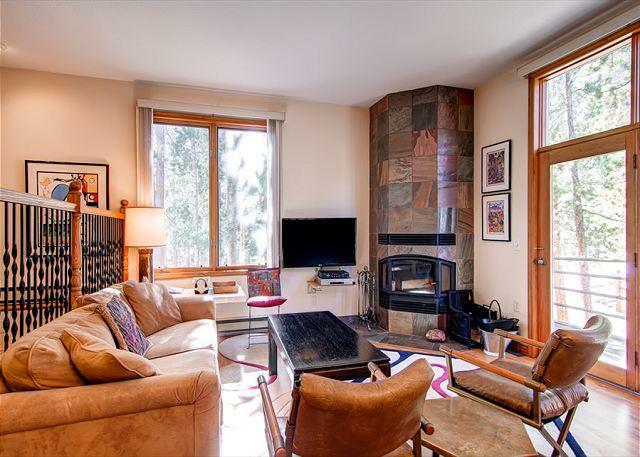 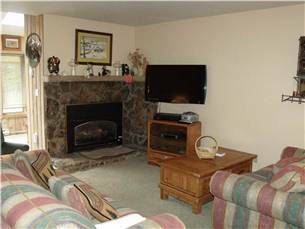 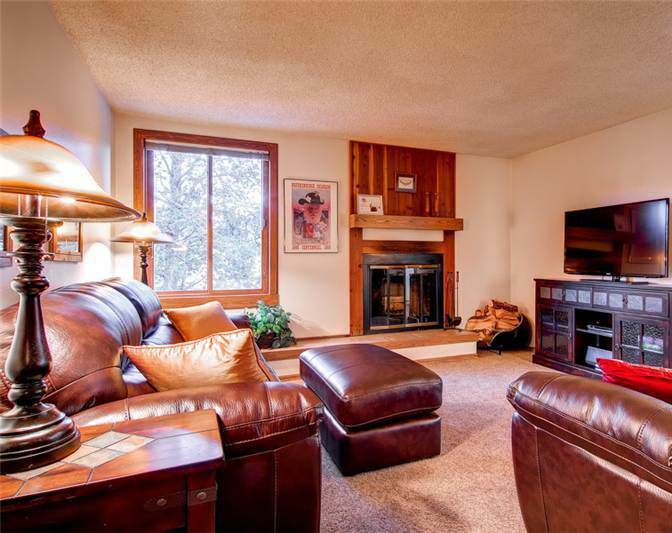 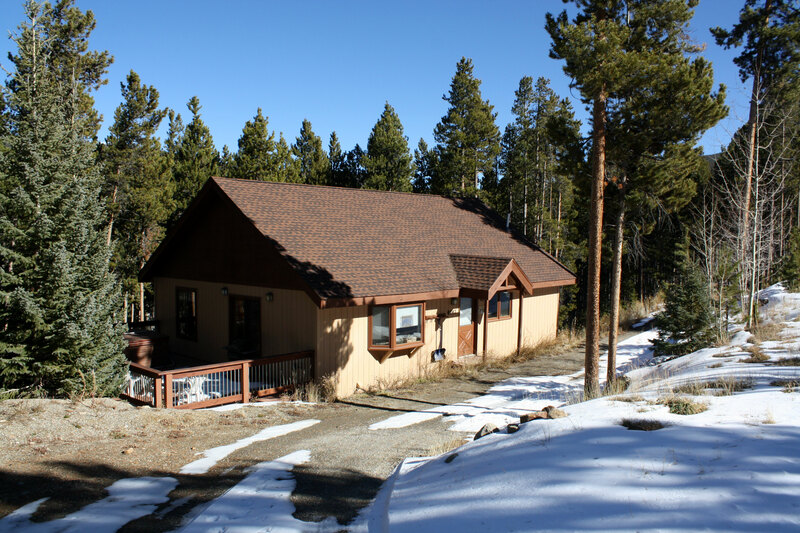 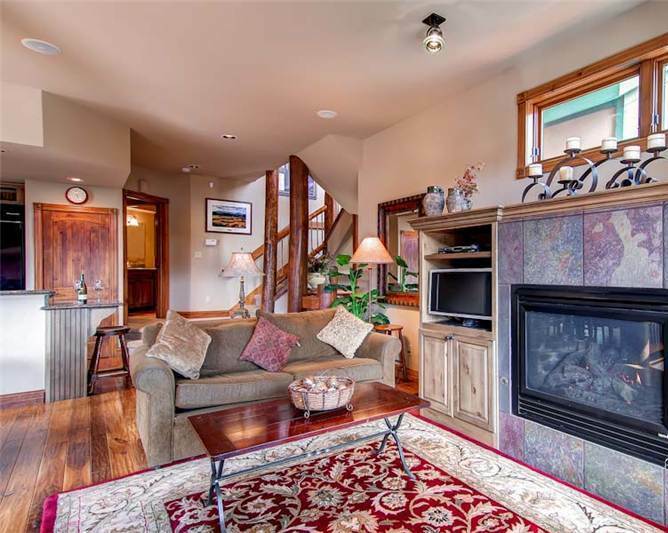 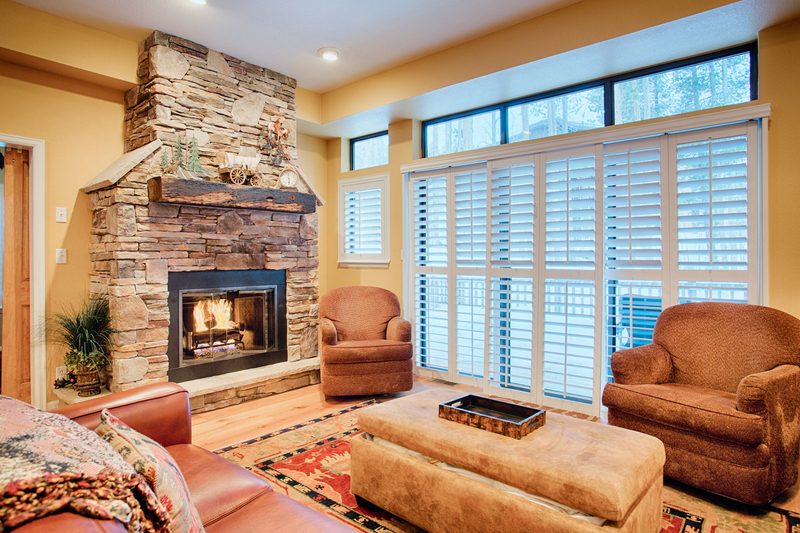 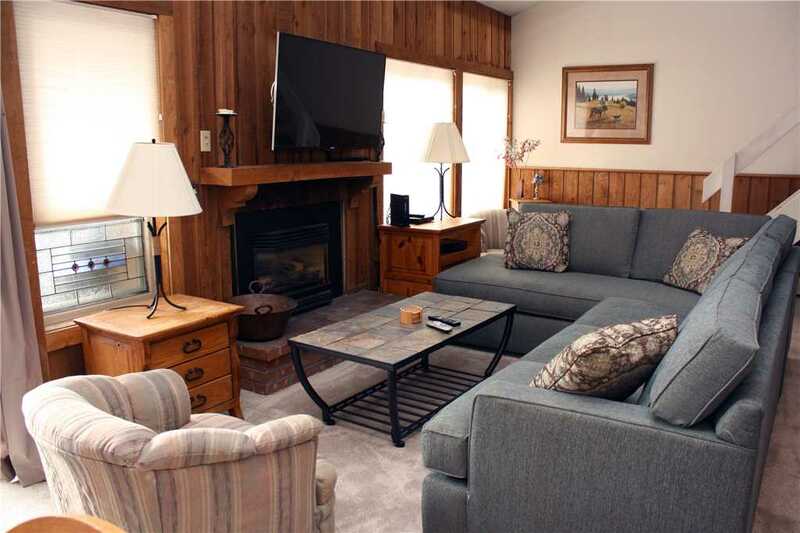 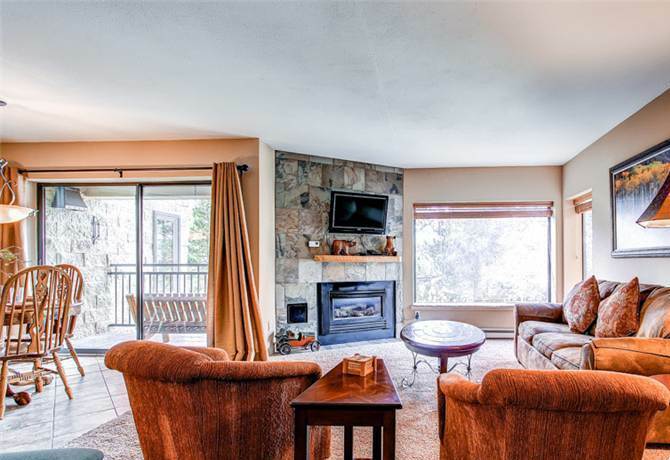 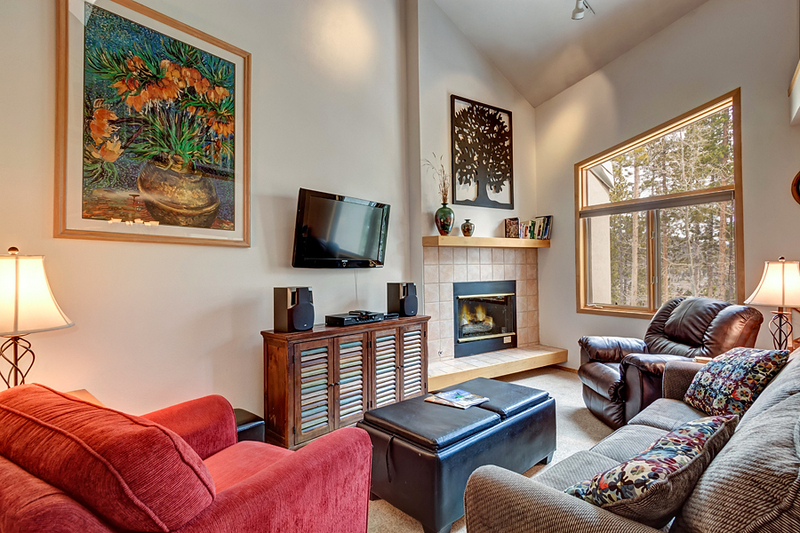 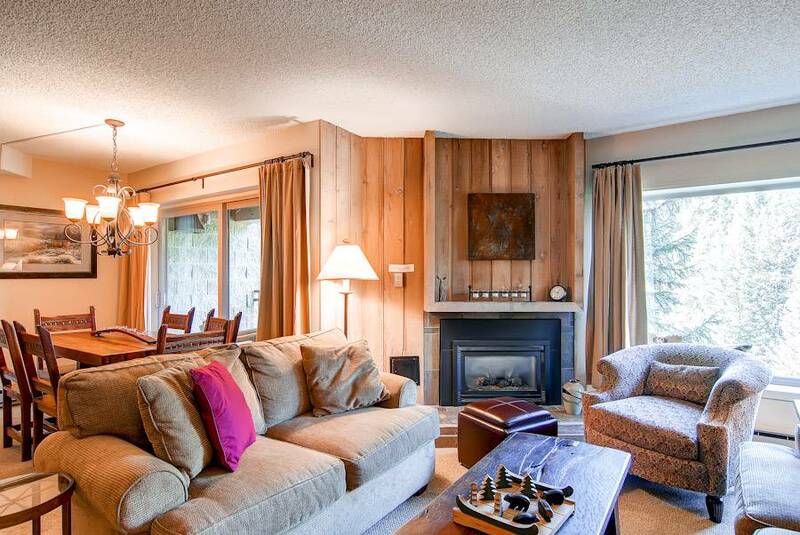 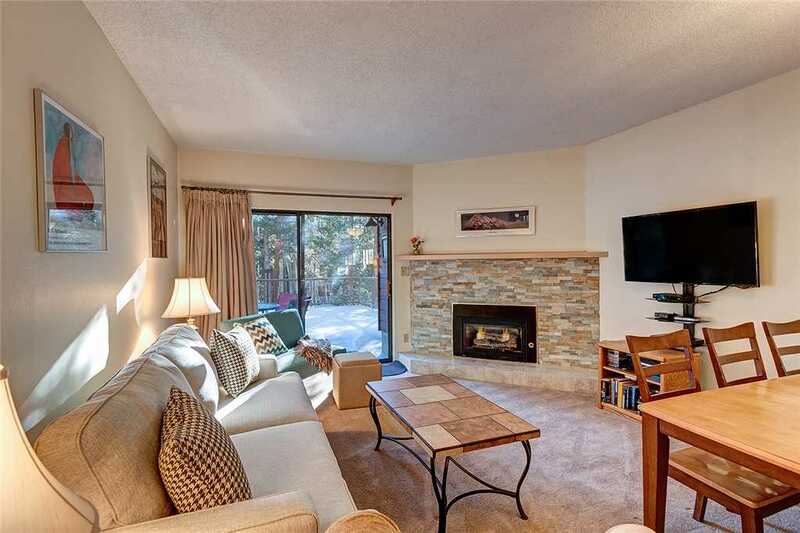 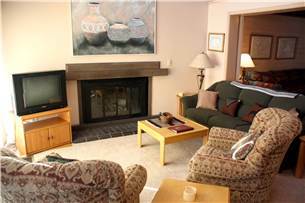 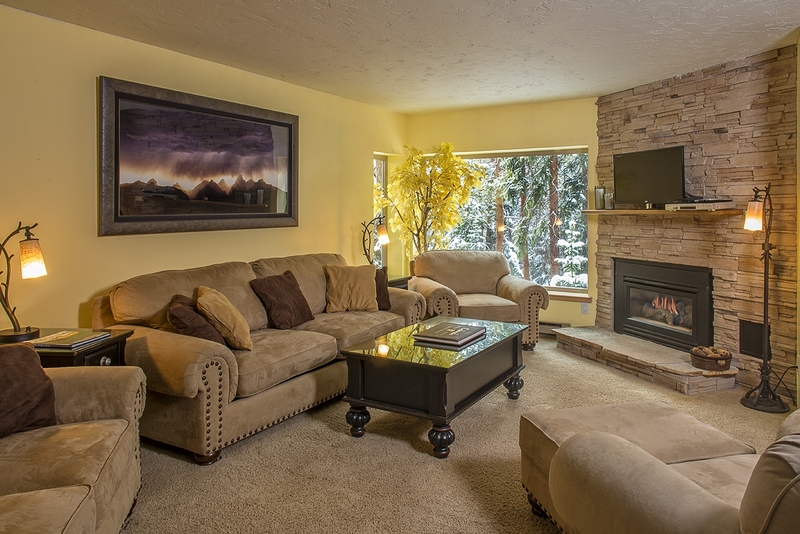 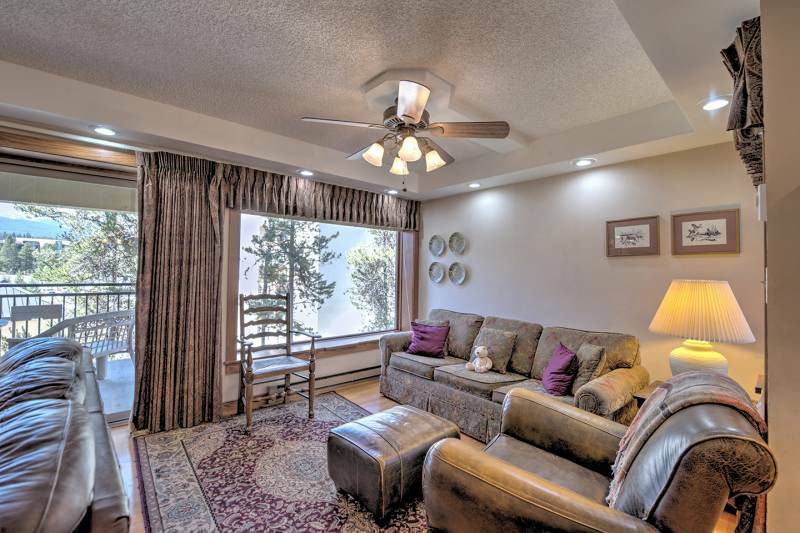 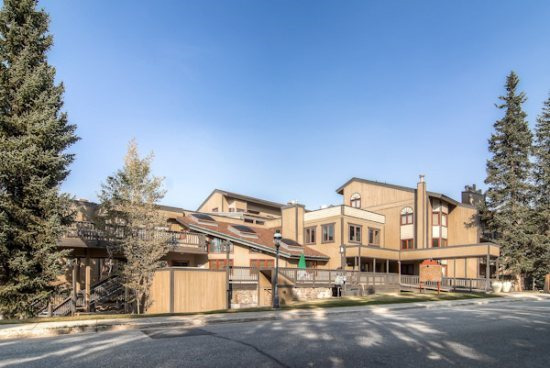 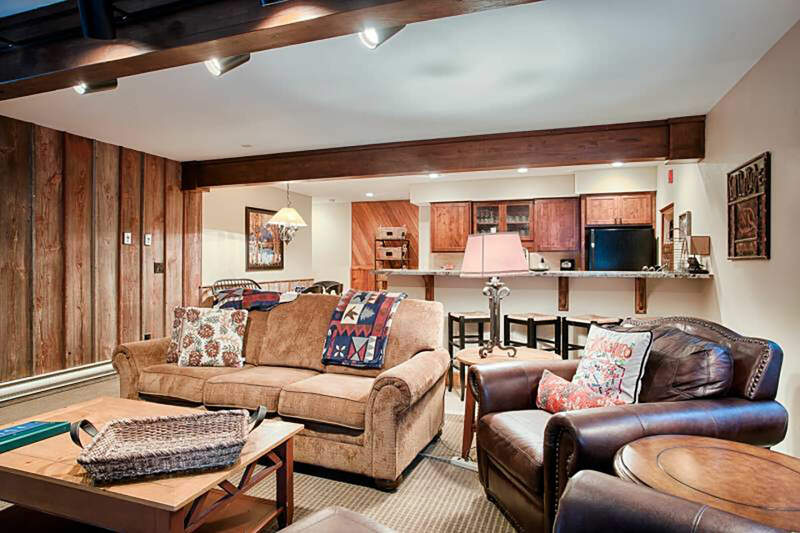 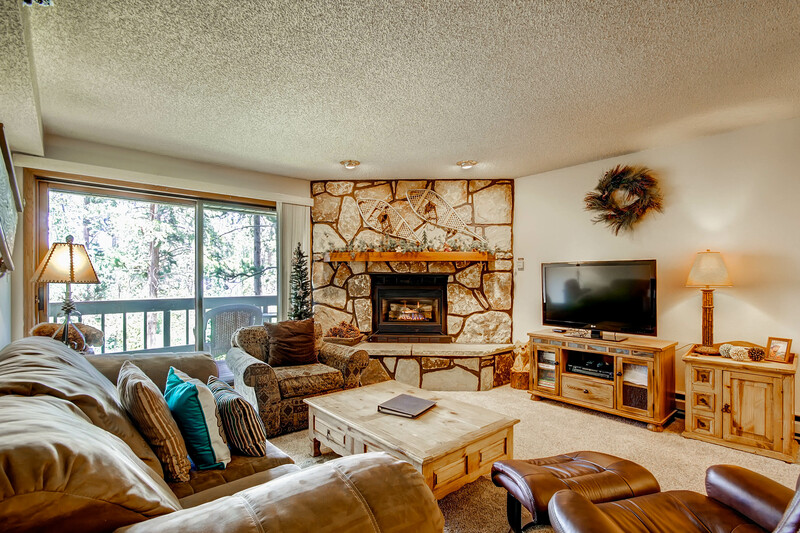 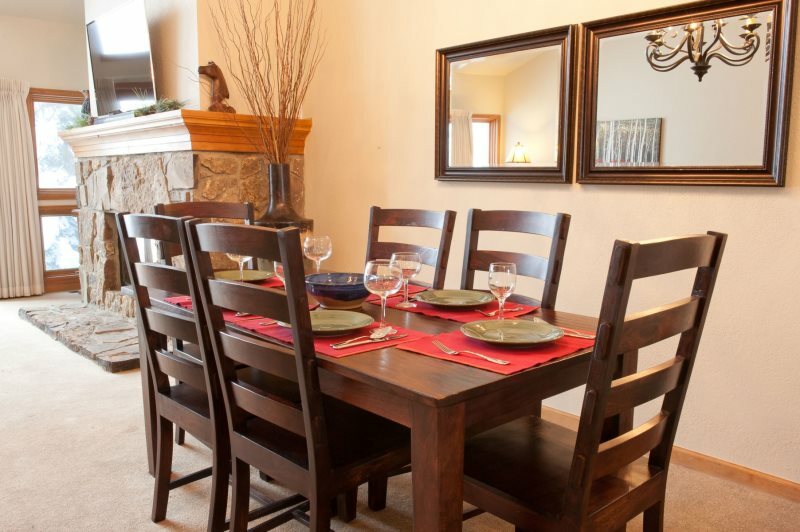 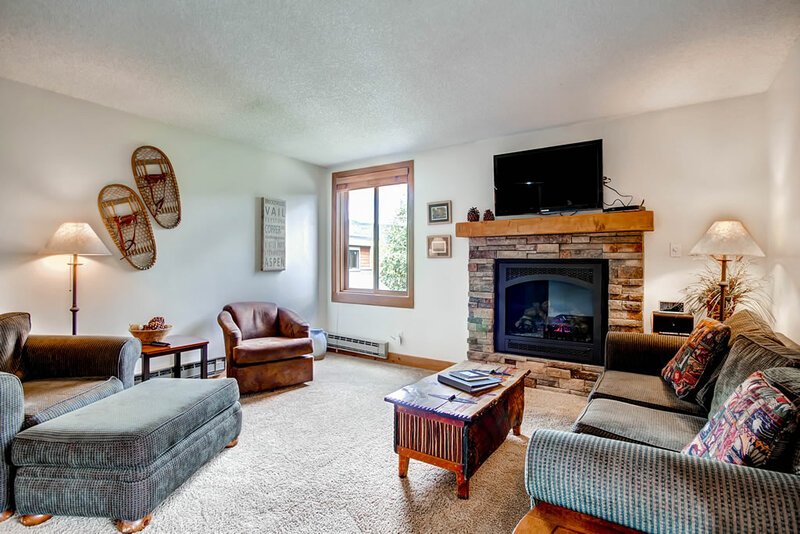 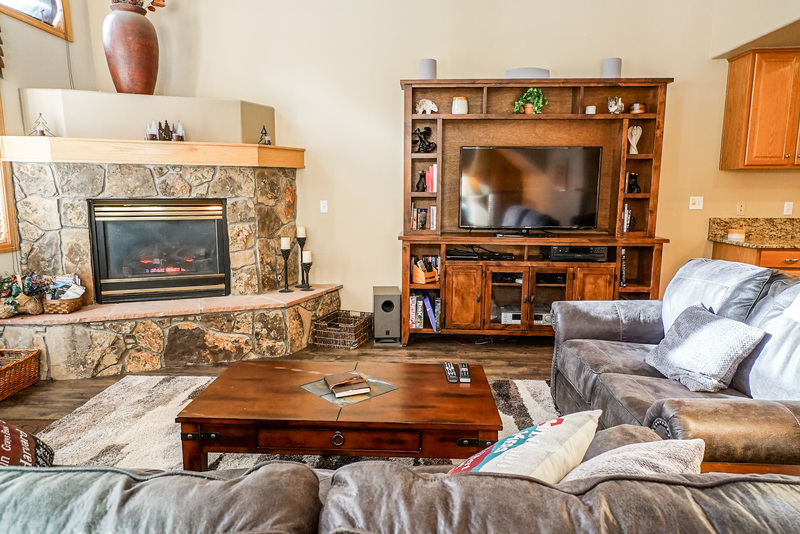 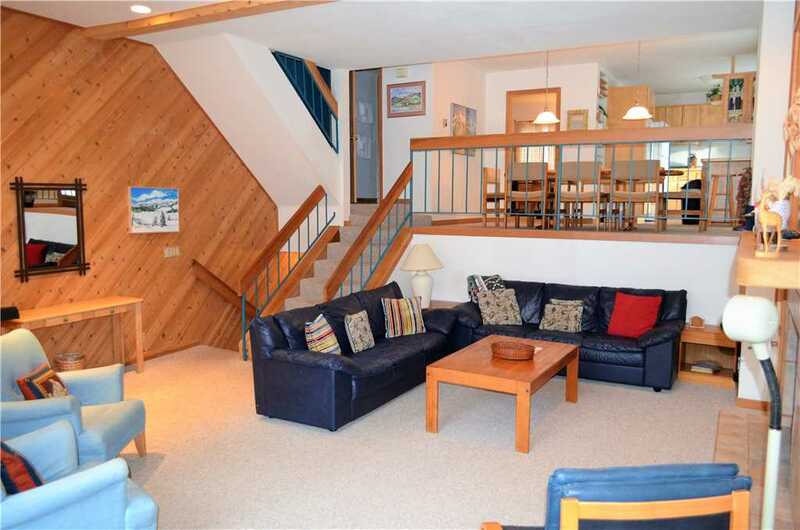 Just steps from the Four O’clock ski run, this two bedroom plus loft unit is sure to have everything you need. 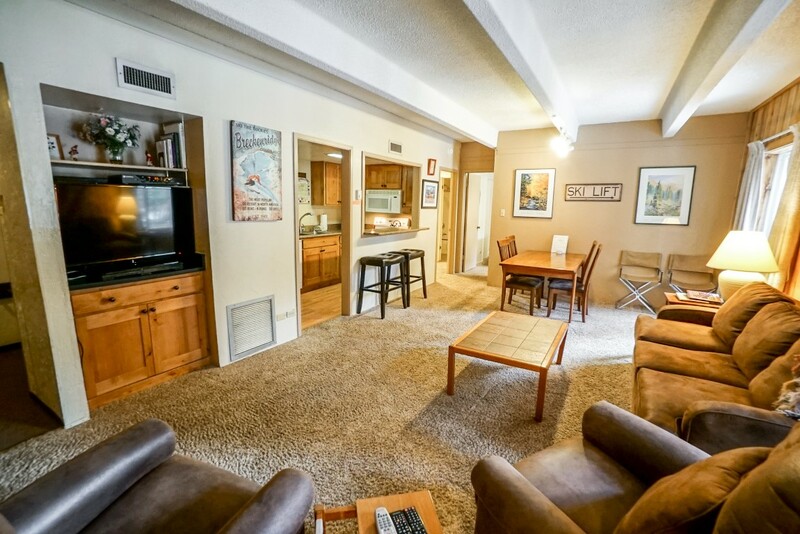 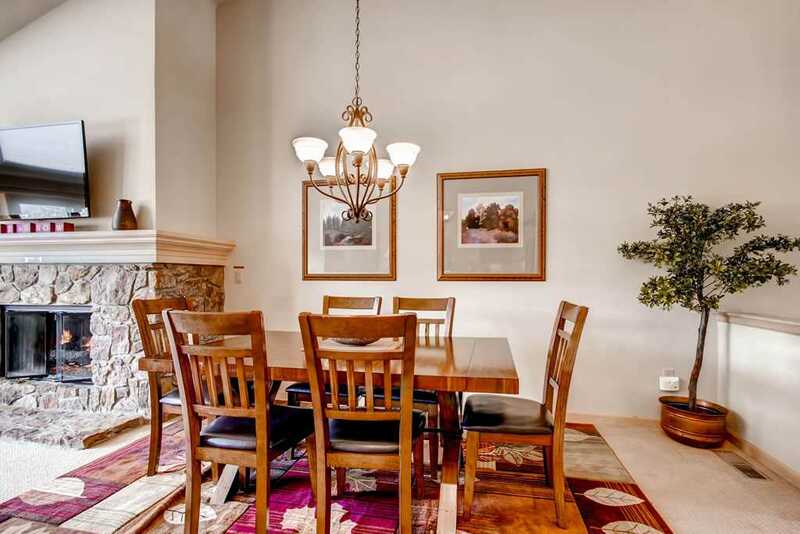 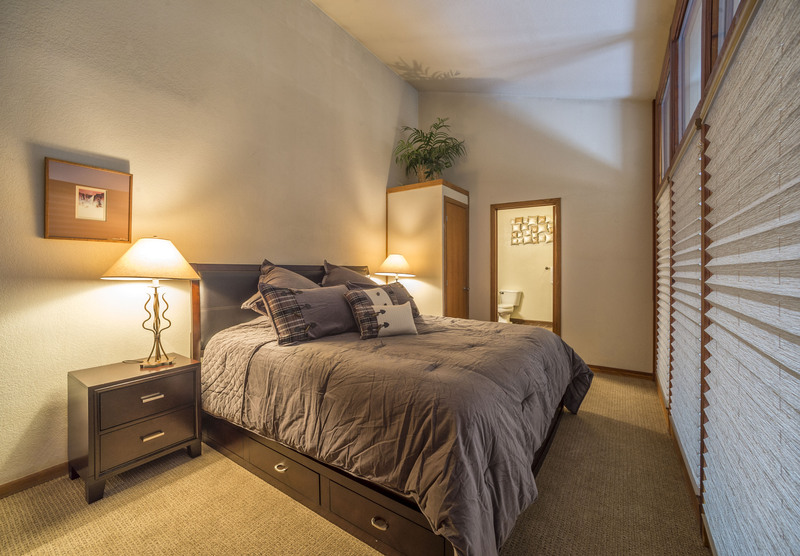 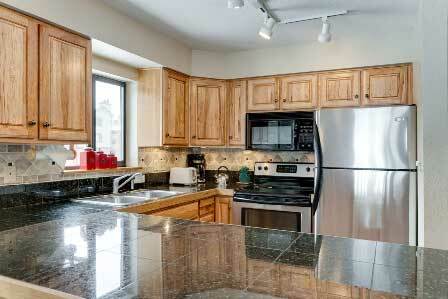 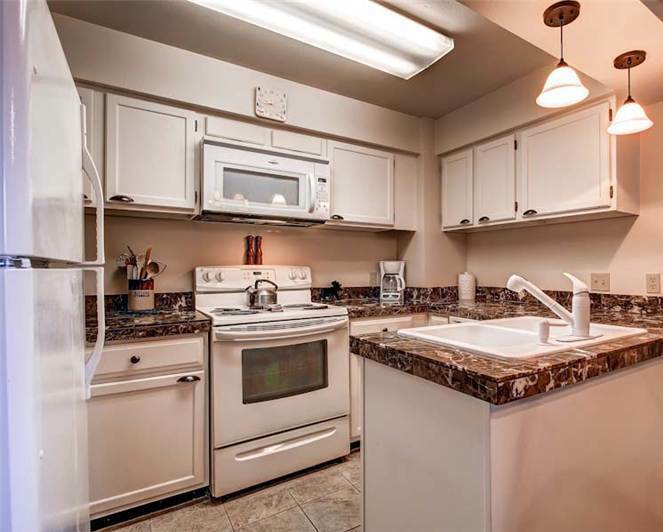 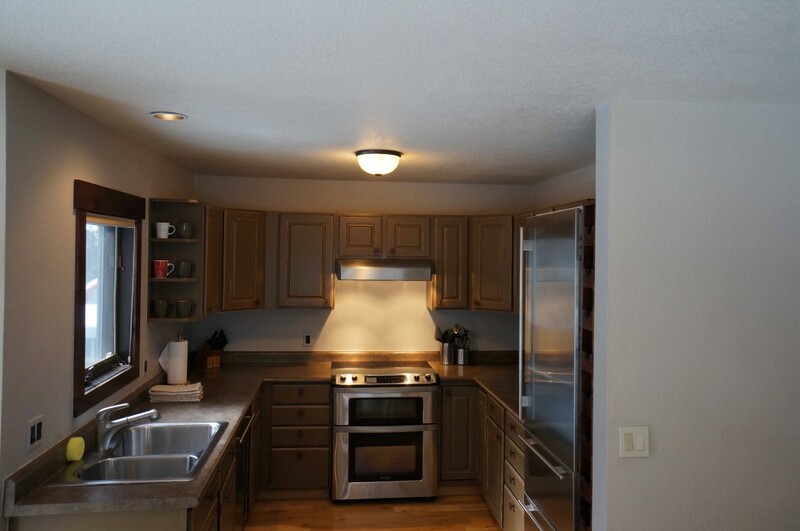 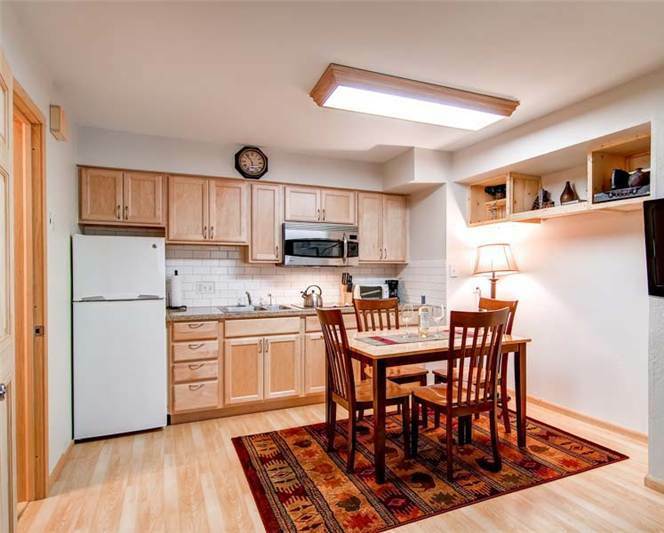 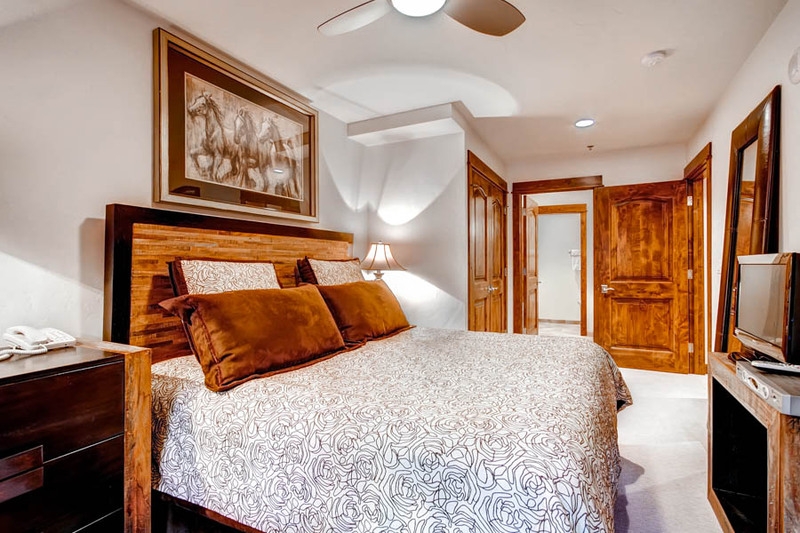 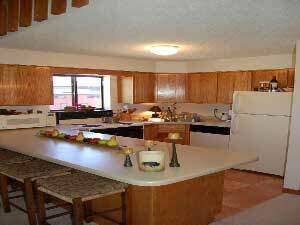 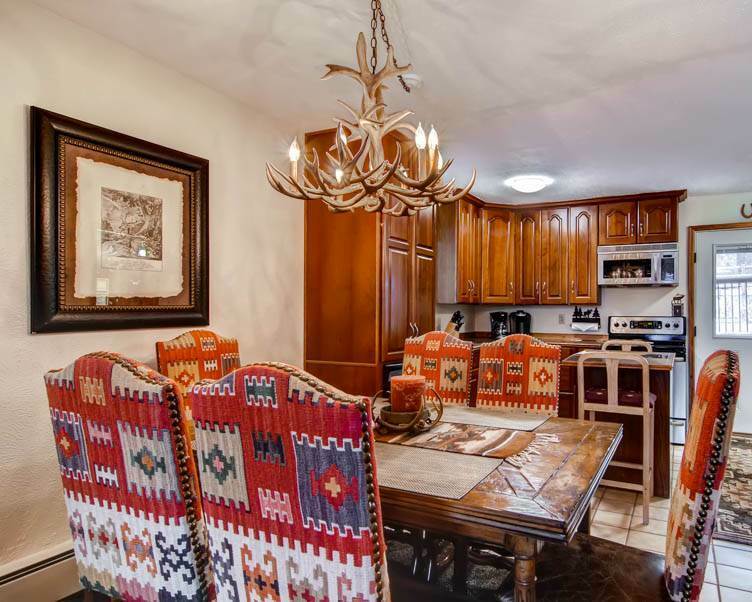 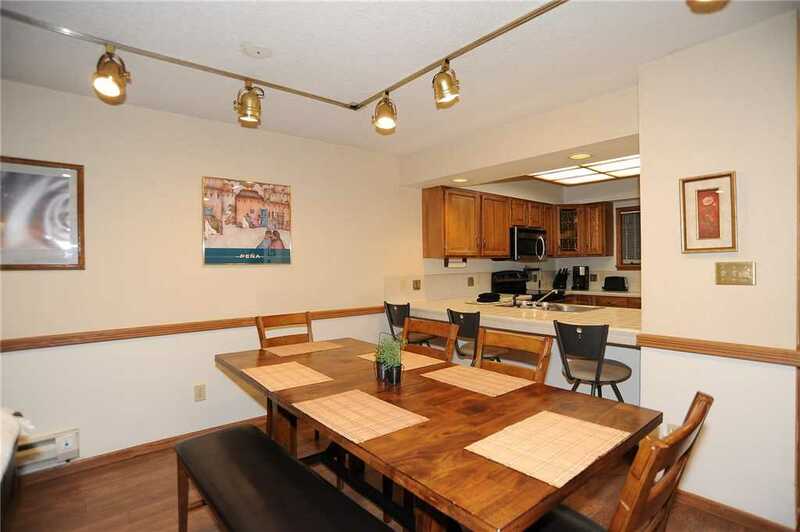 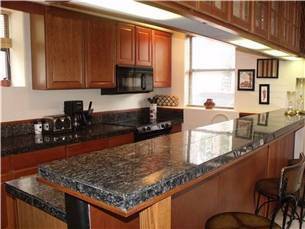 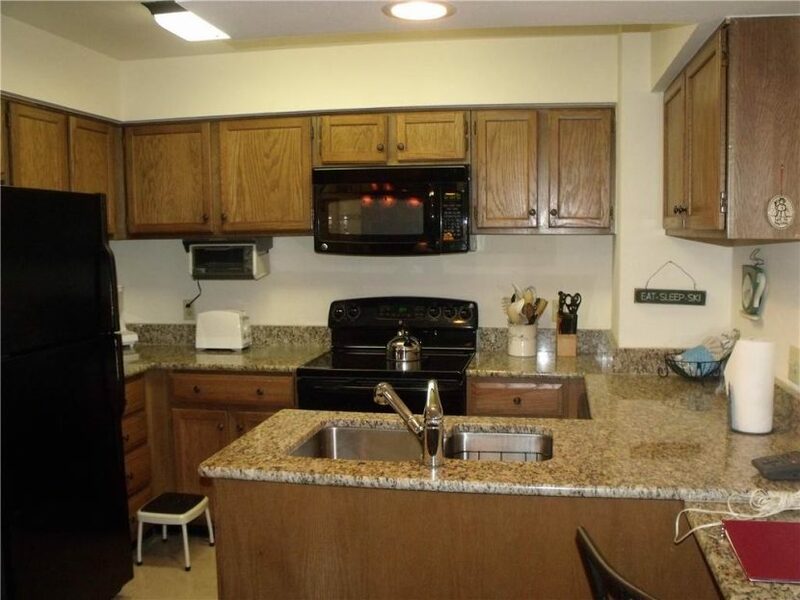 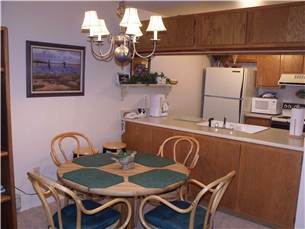 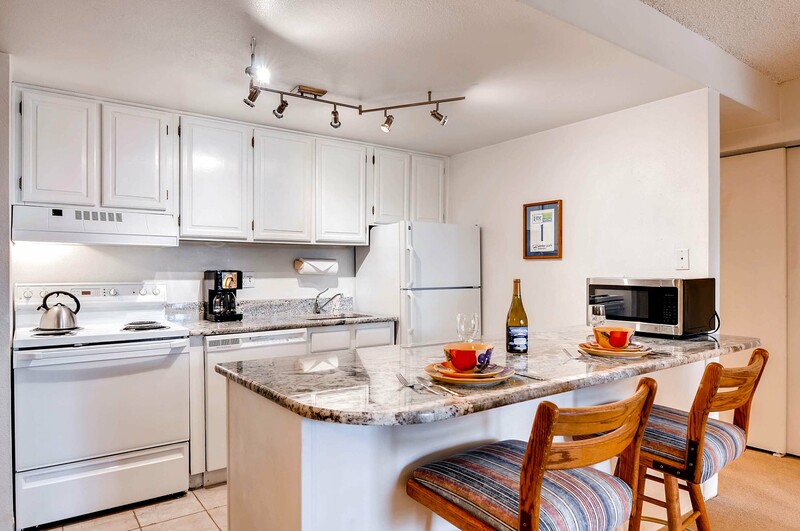 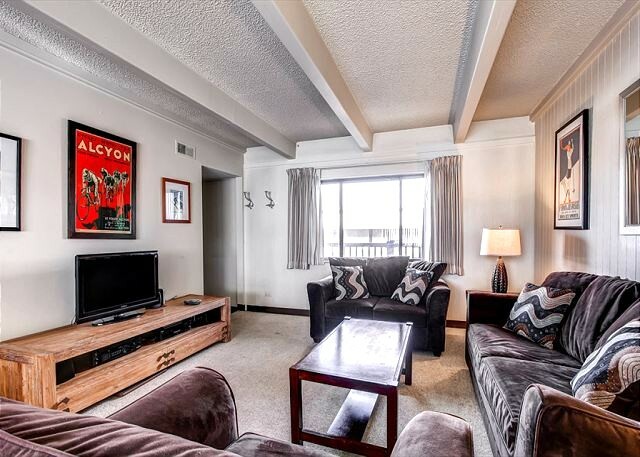 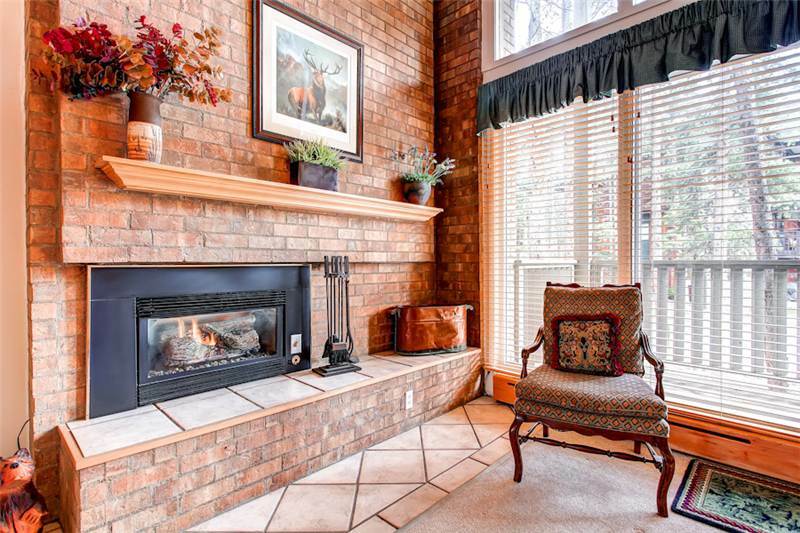 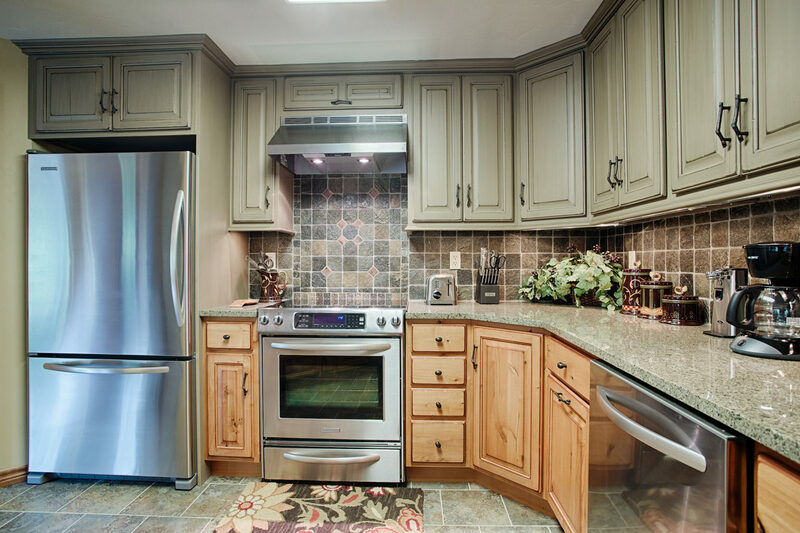 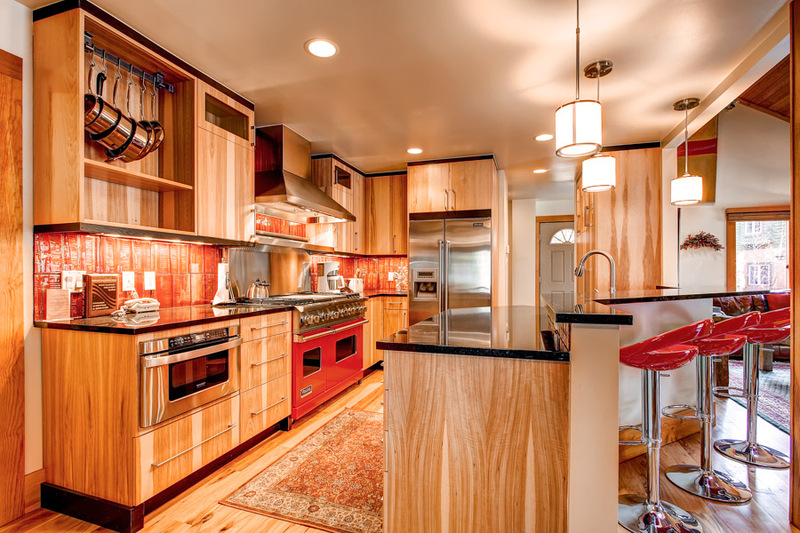 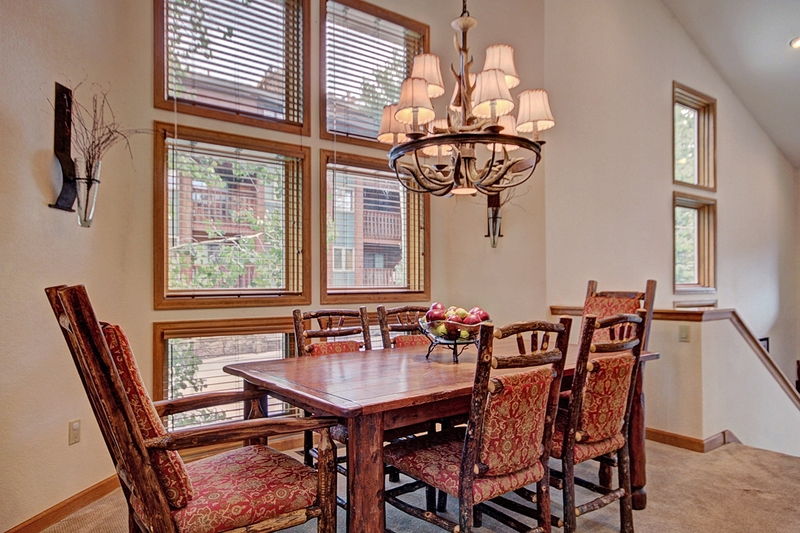 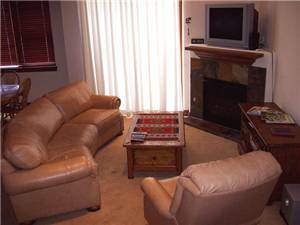 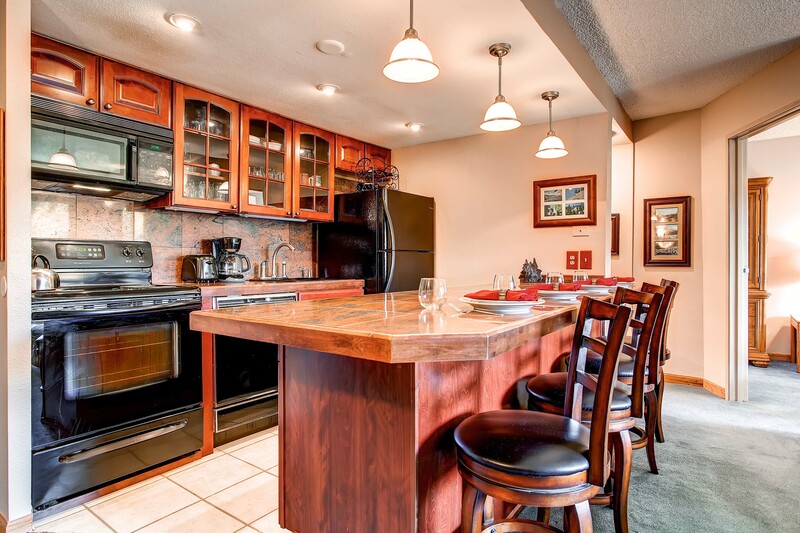 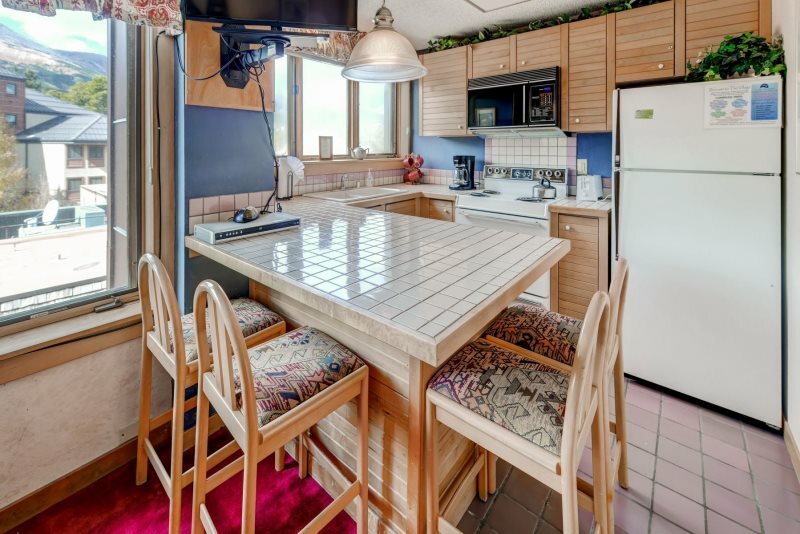 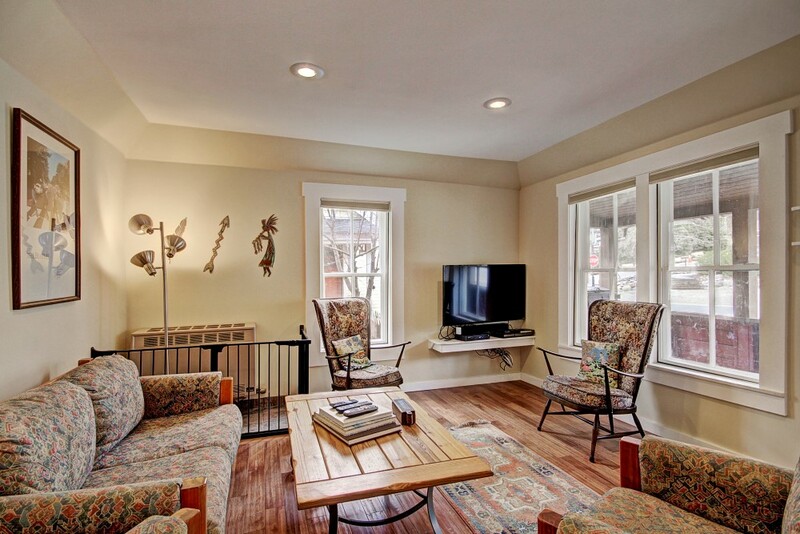 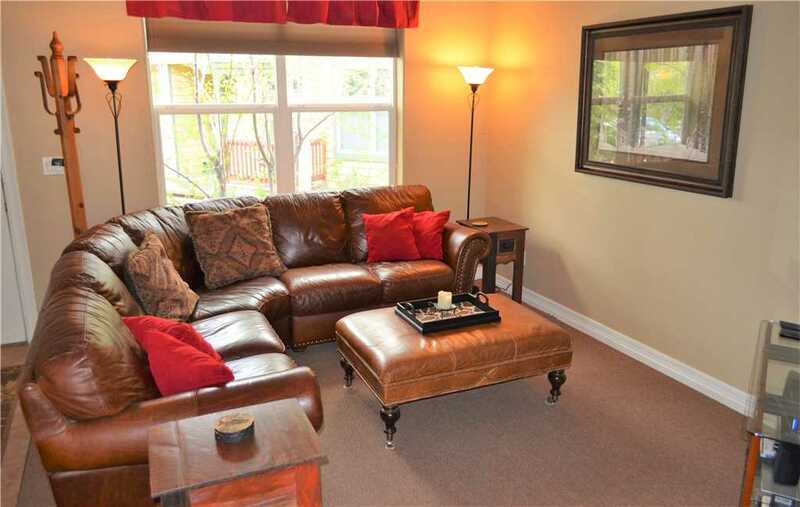 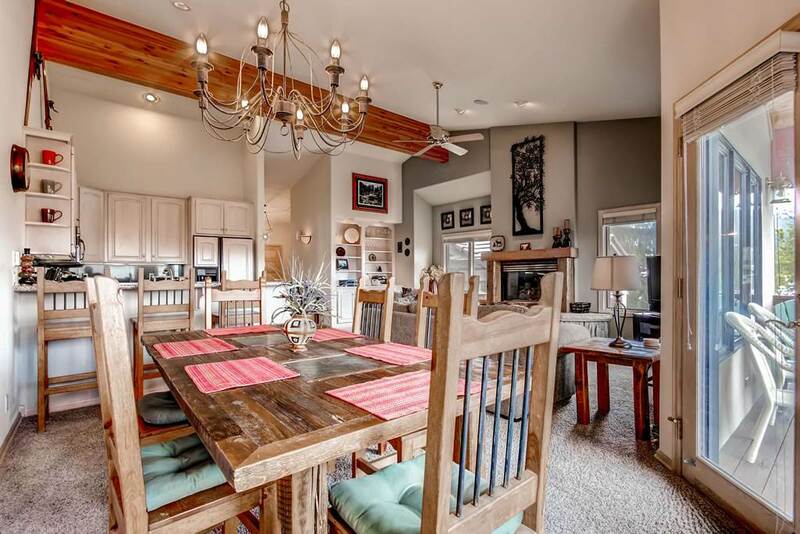 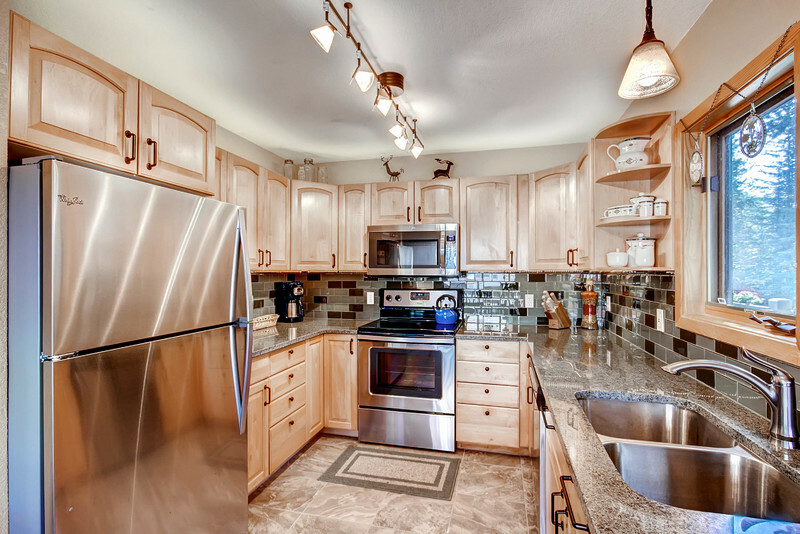 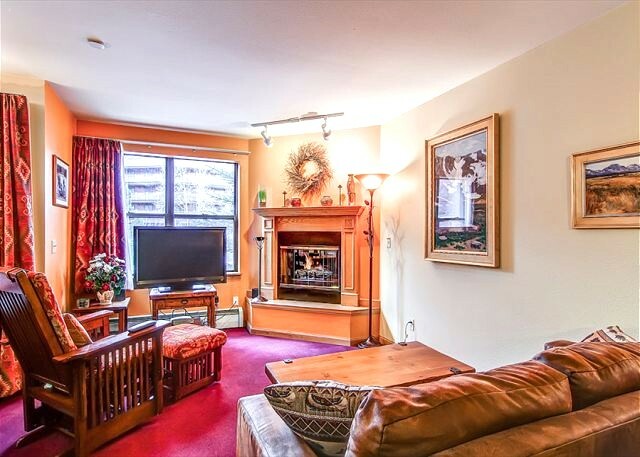 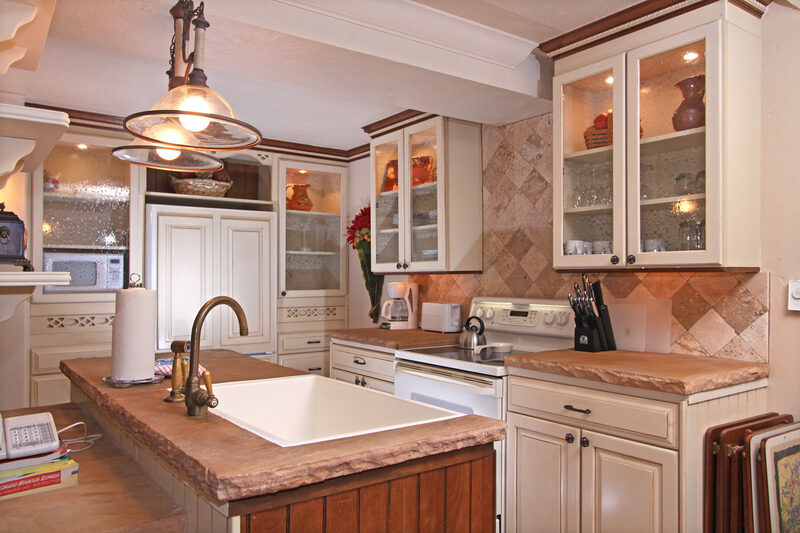 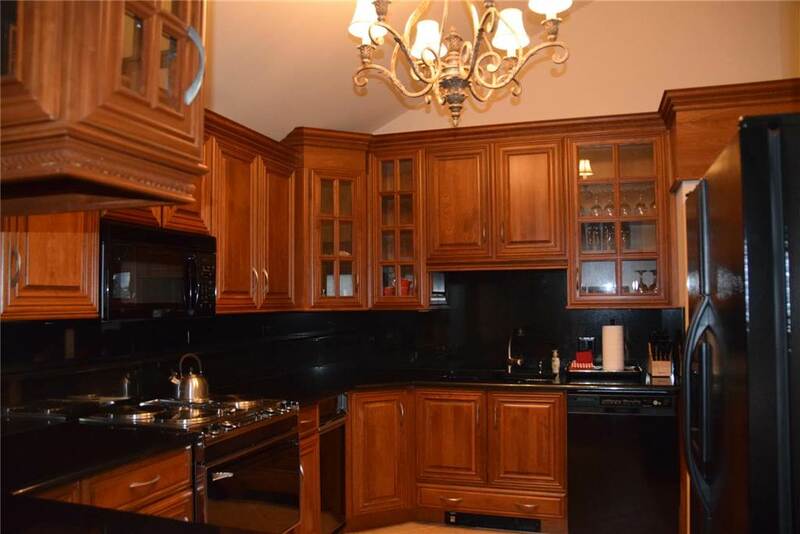 A block to historic Main Street, this unit offers dining, shopping and entertainment right out your door. 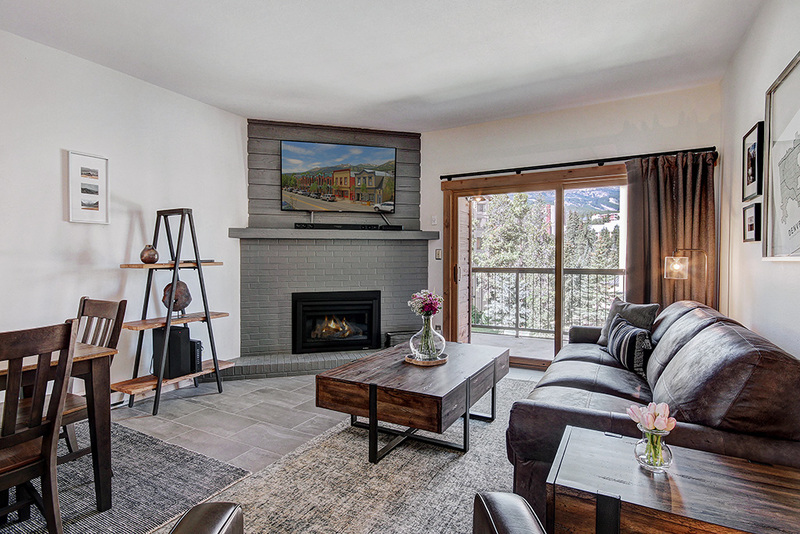 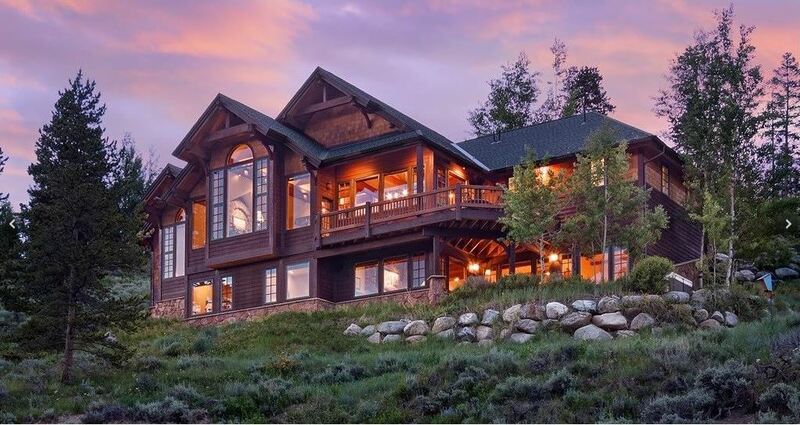 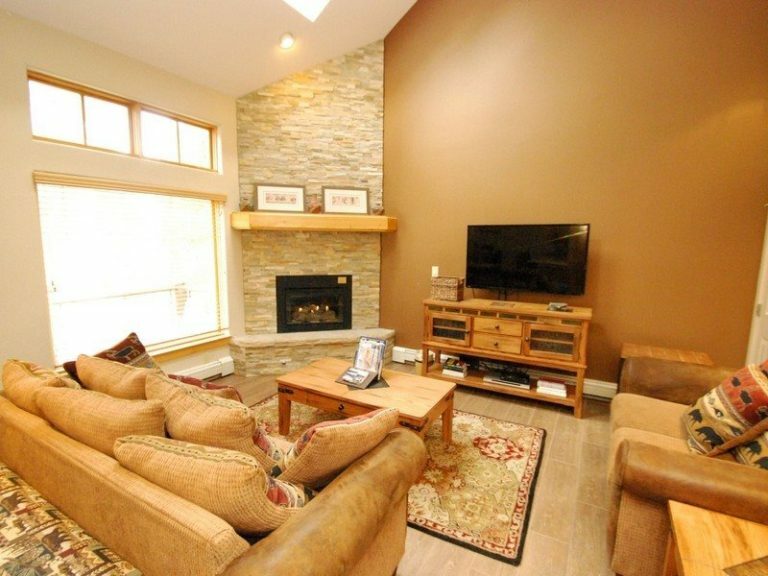 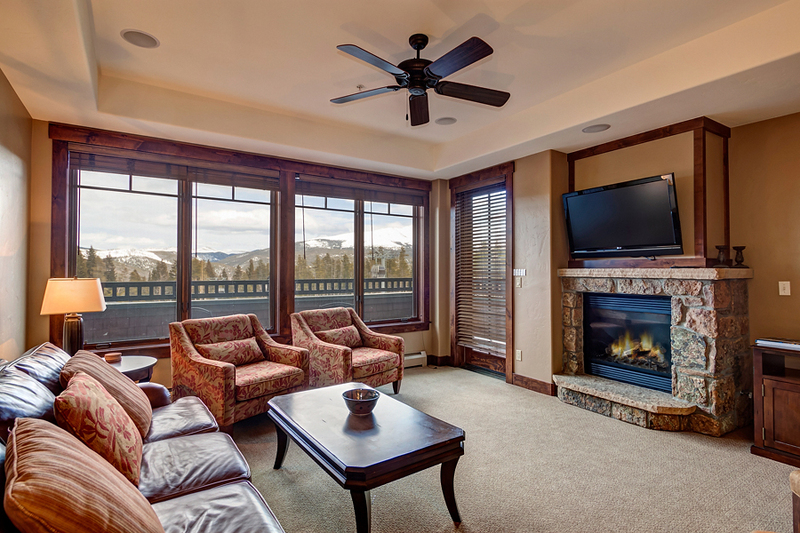 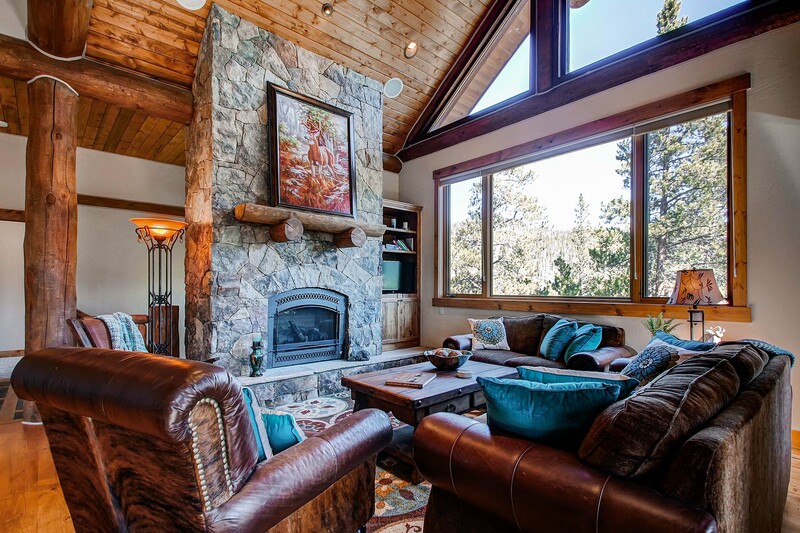 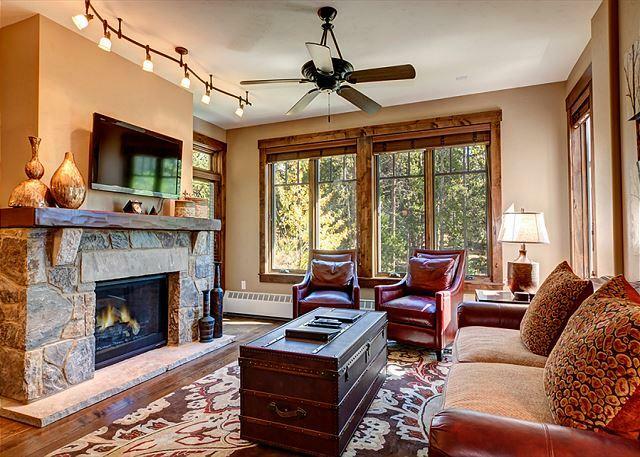 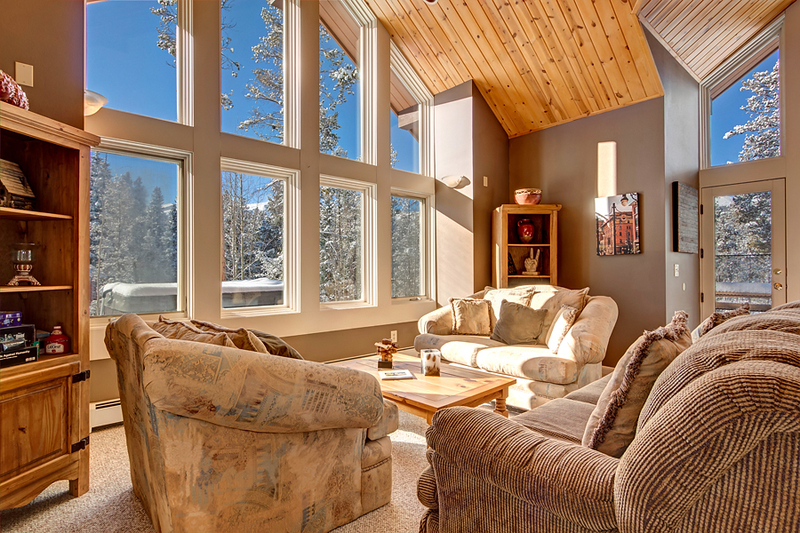 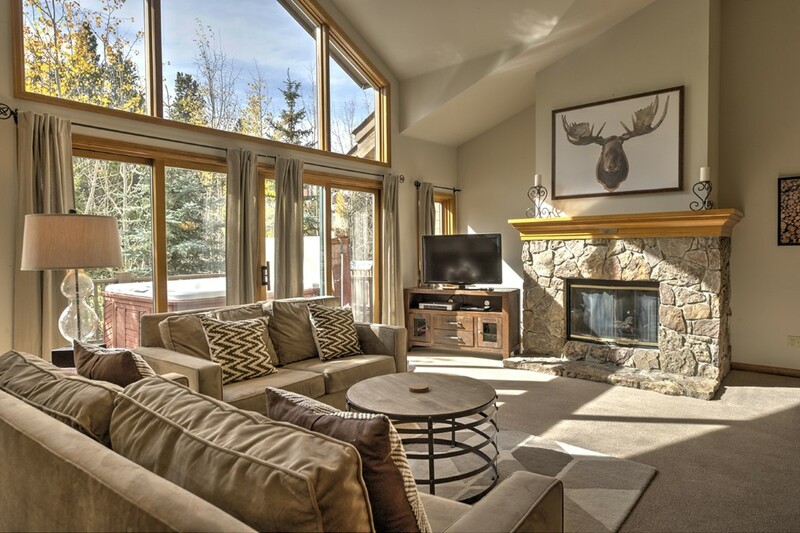 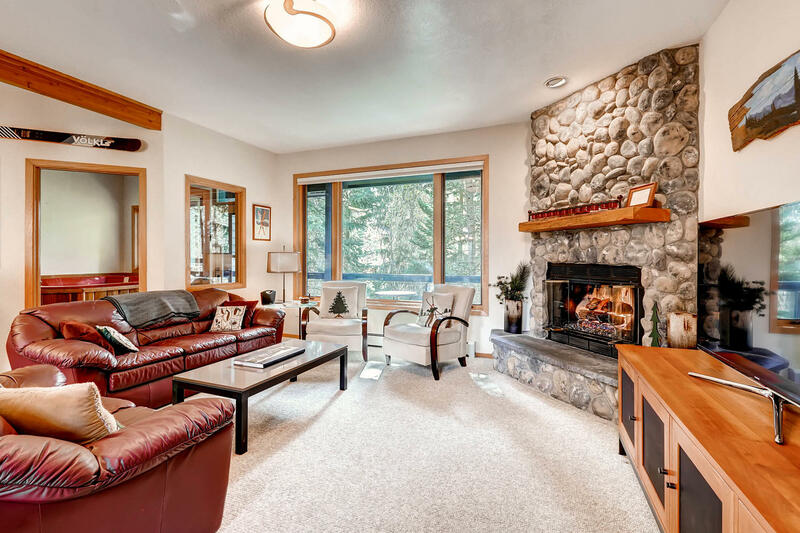 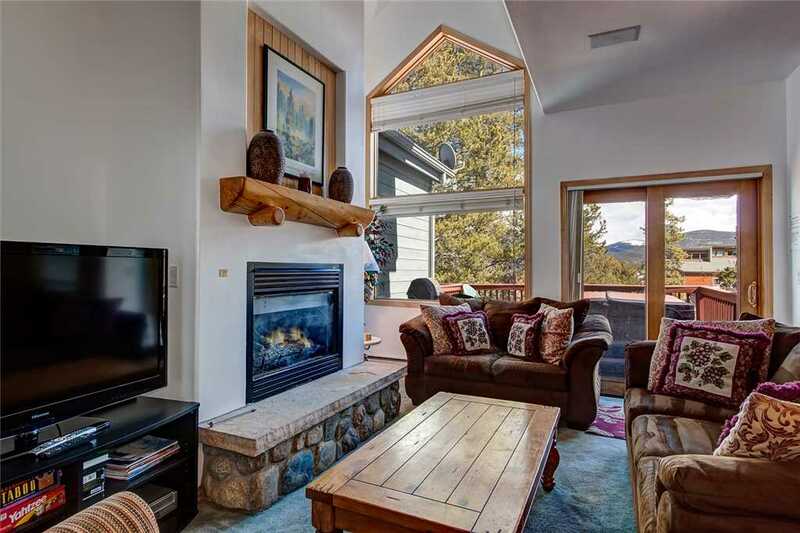 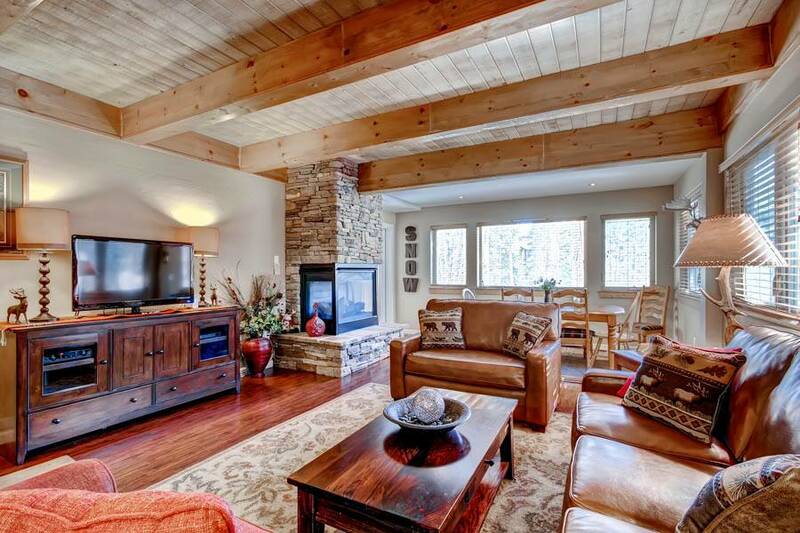 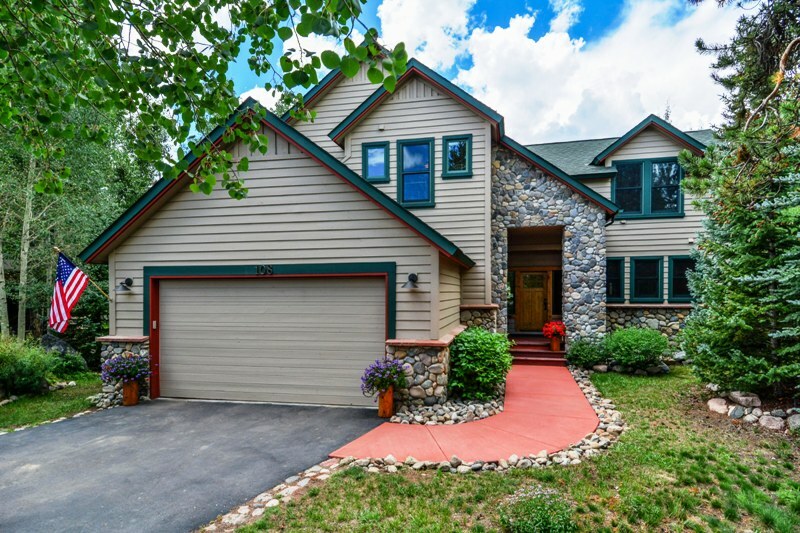 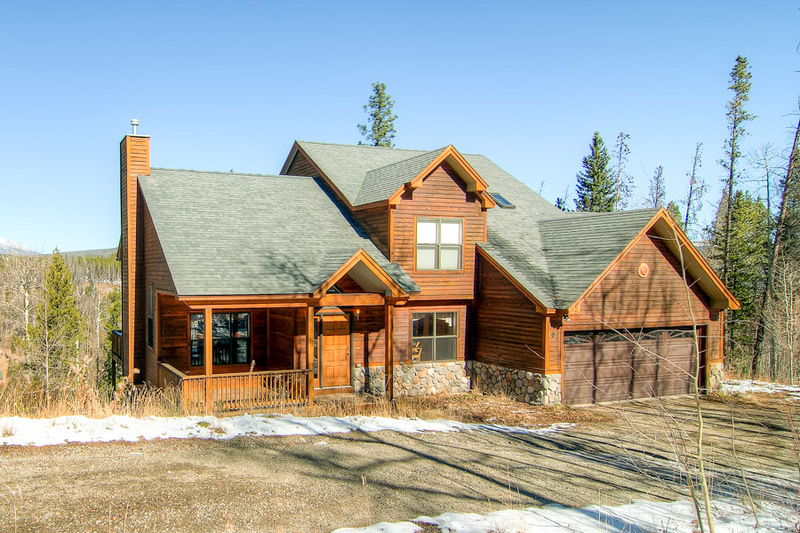 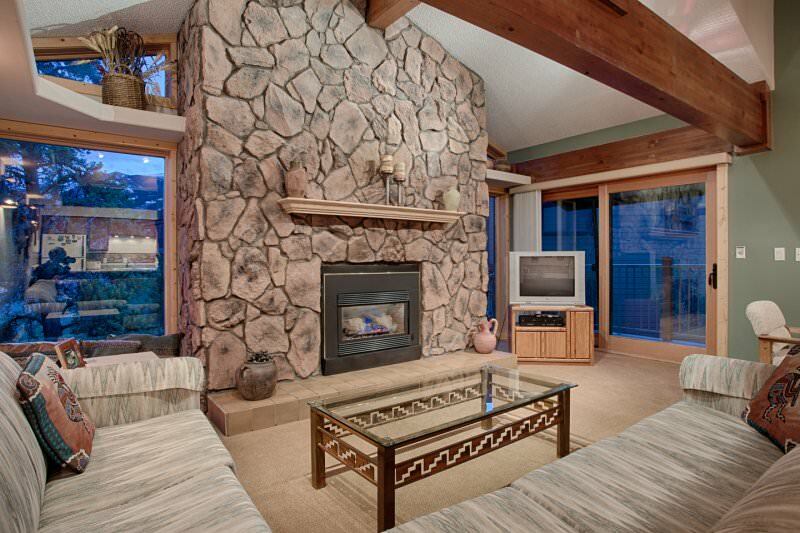 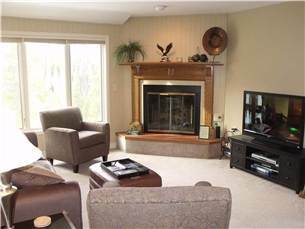 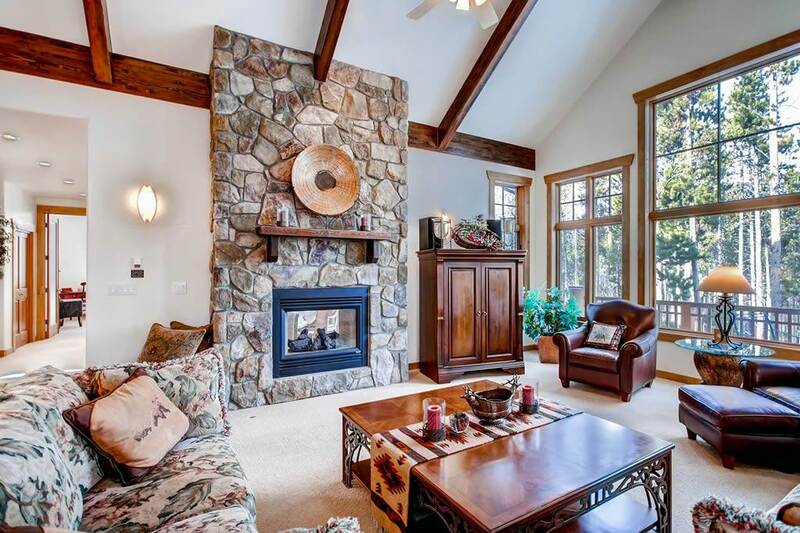 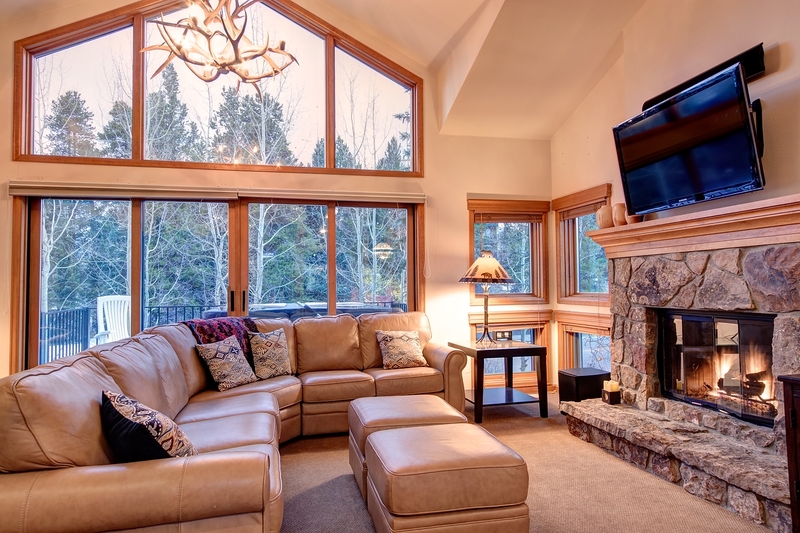 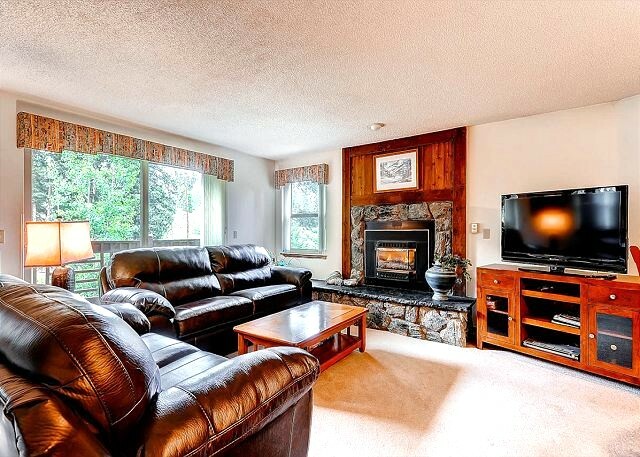 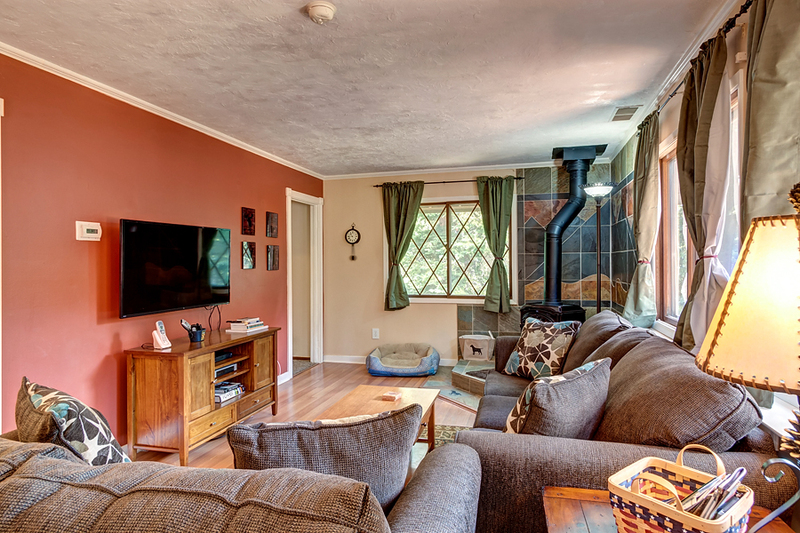 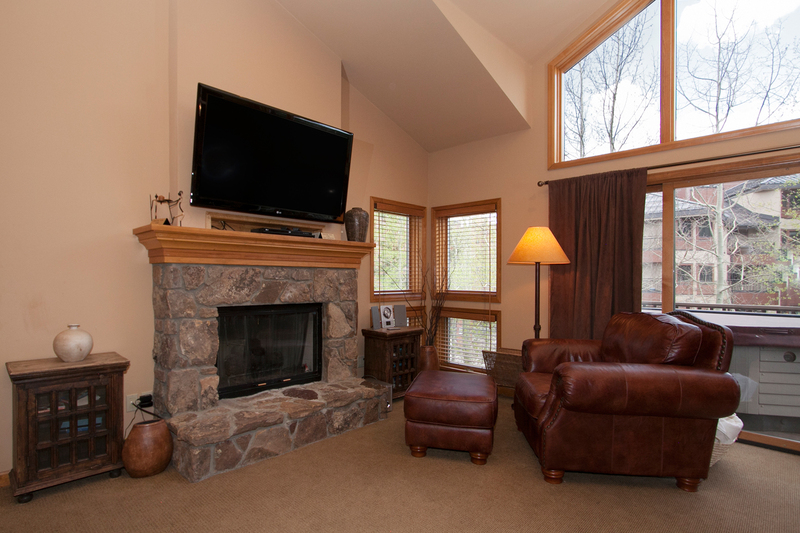 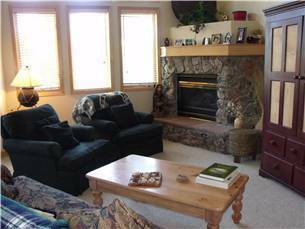 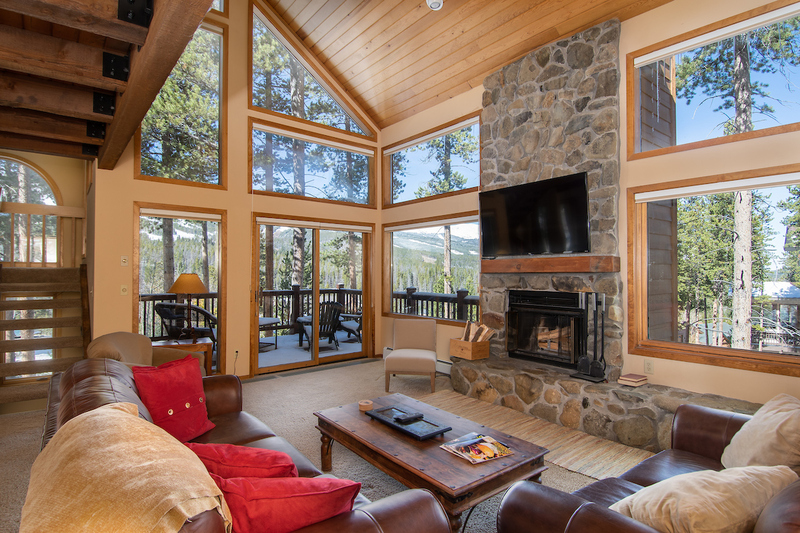 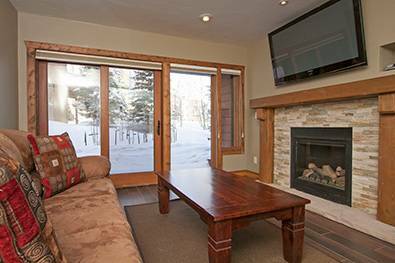 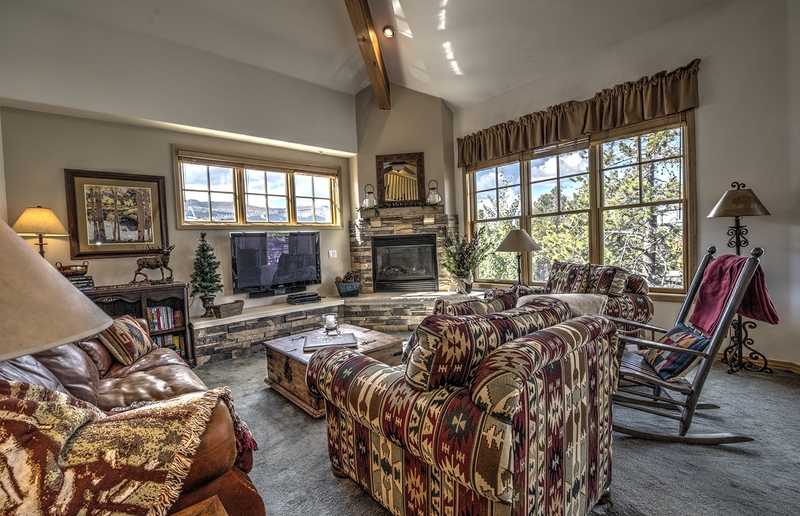 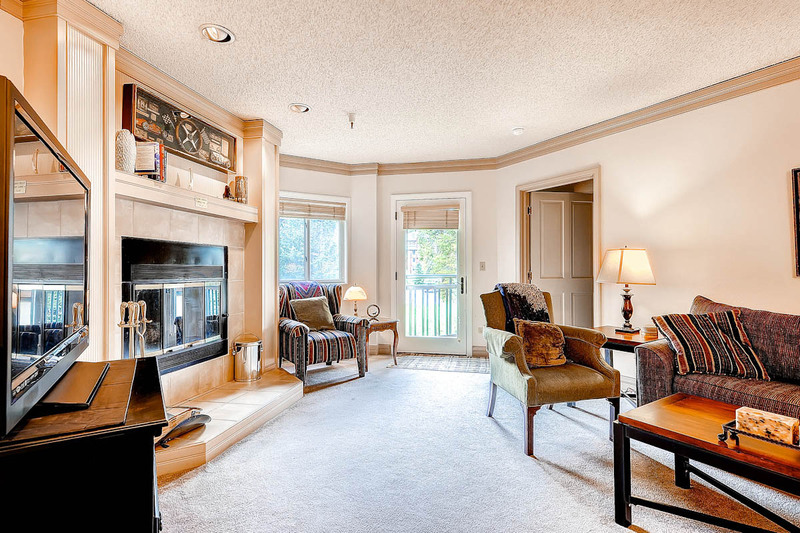 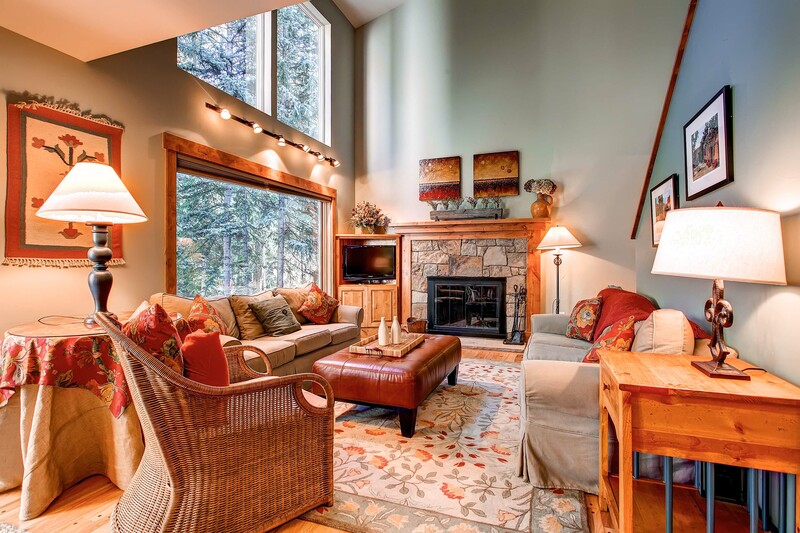 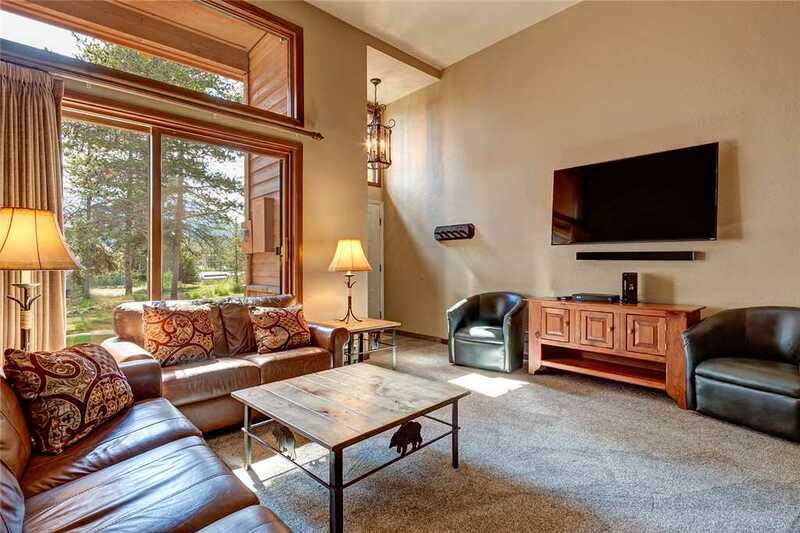 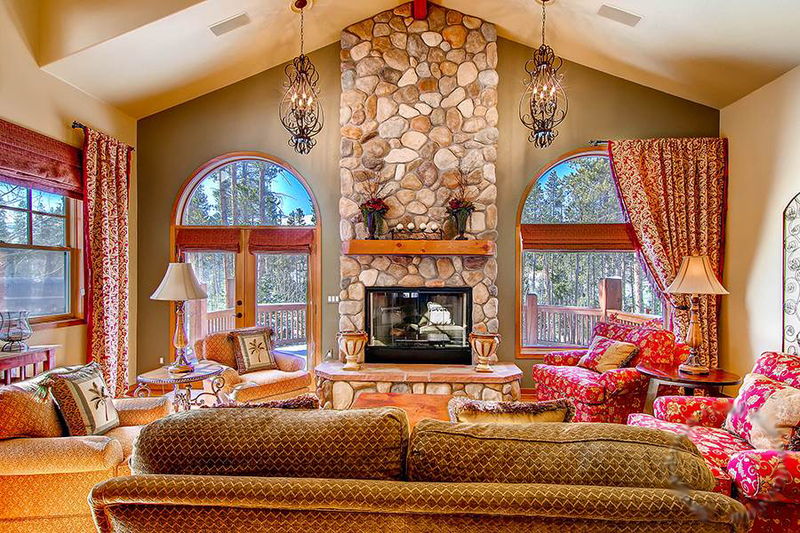 Enjoy the picturesque views from your vaulted living room equipped with updated countertops, a gas fireplace and complimentary Wi-Fi. 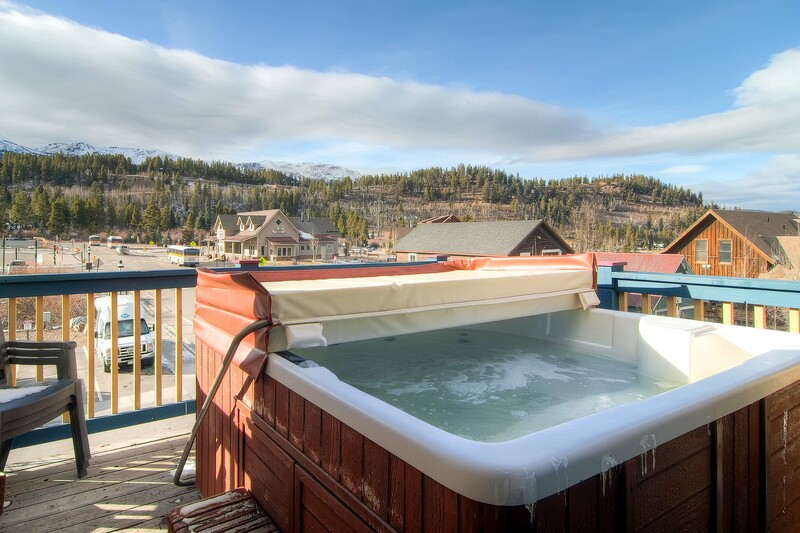 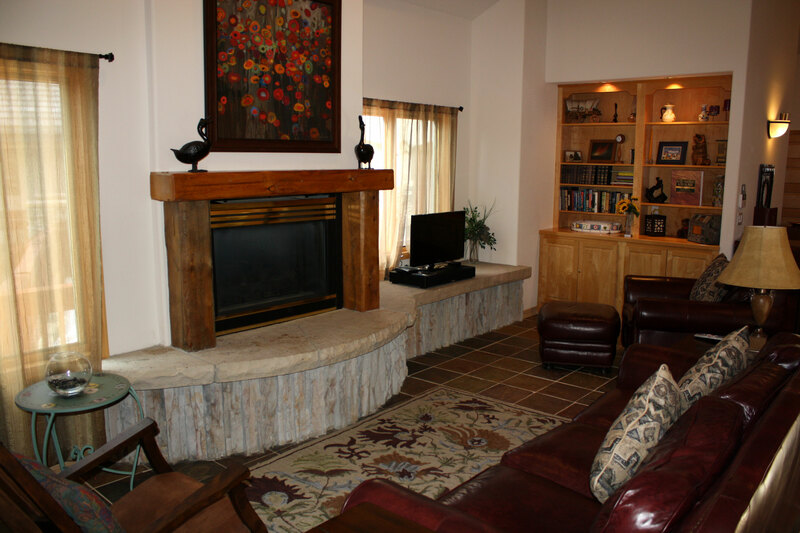 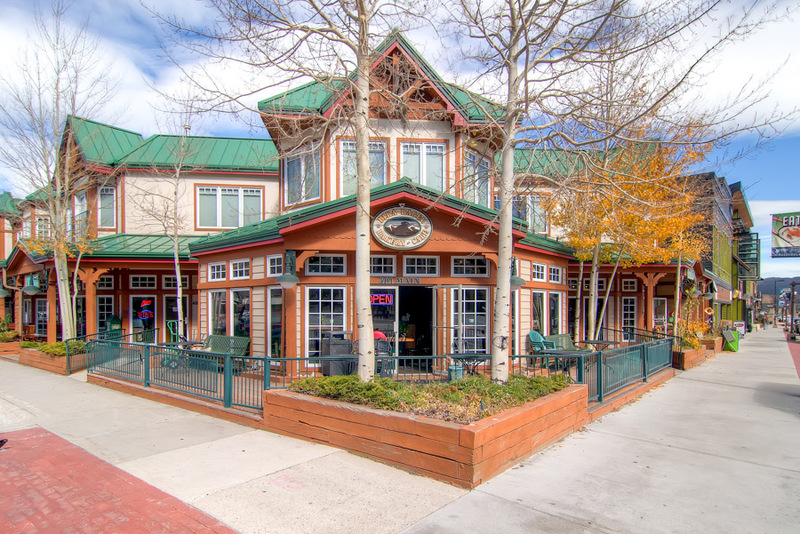 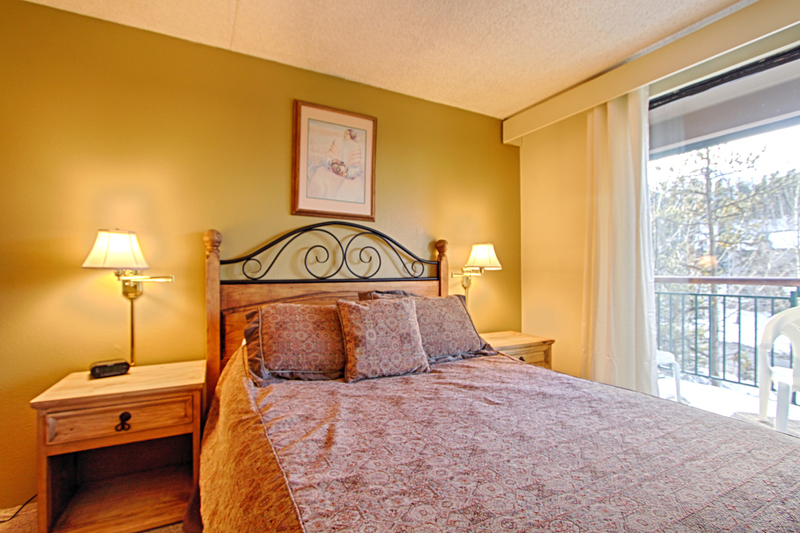 The Sawmill Creek building provides two large indoor hot tubs for your use as well as covered parking and shared gas grills.